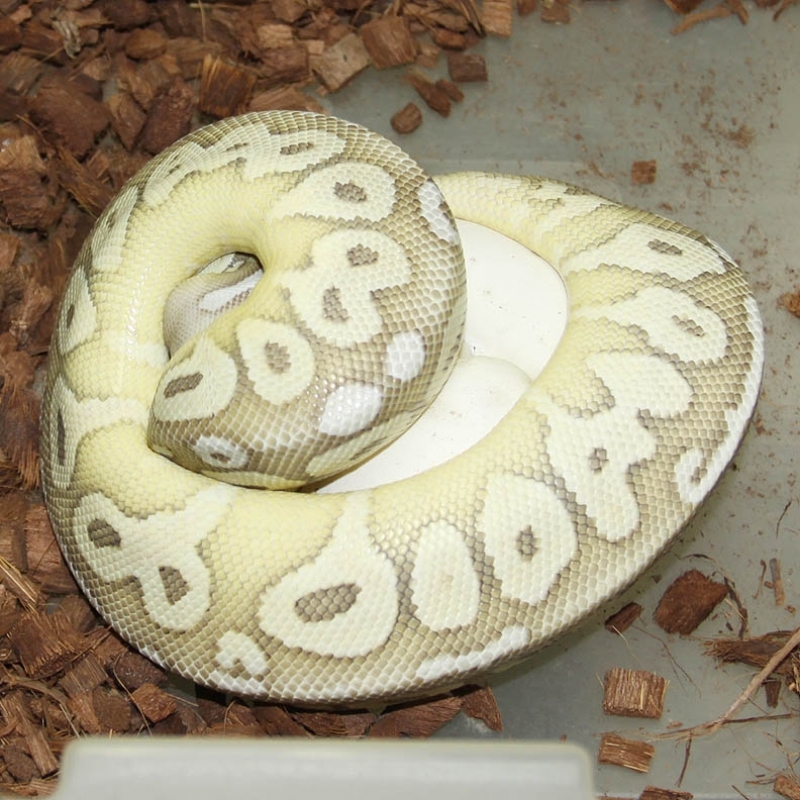 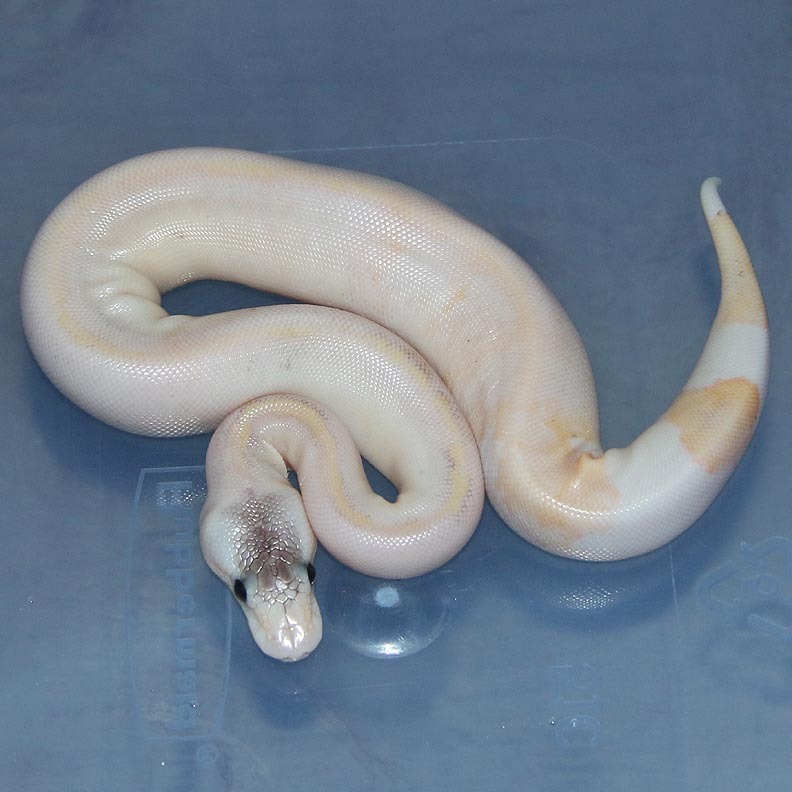 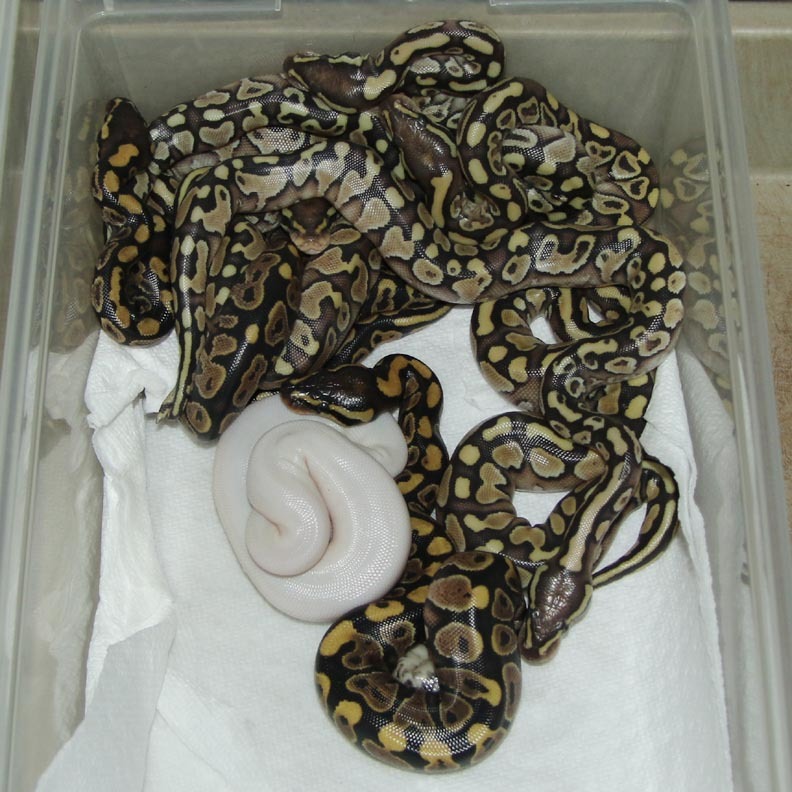 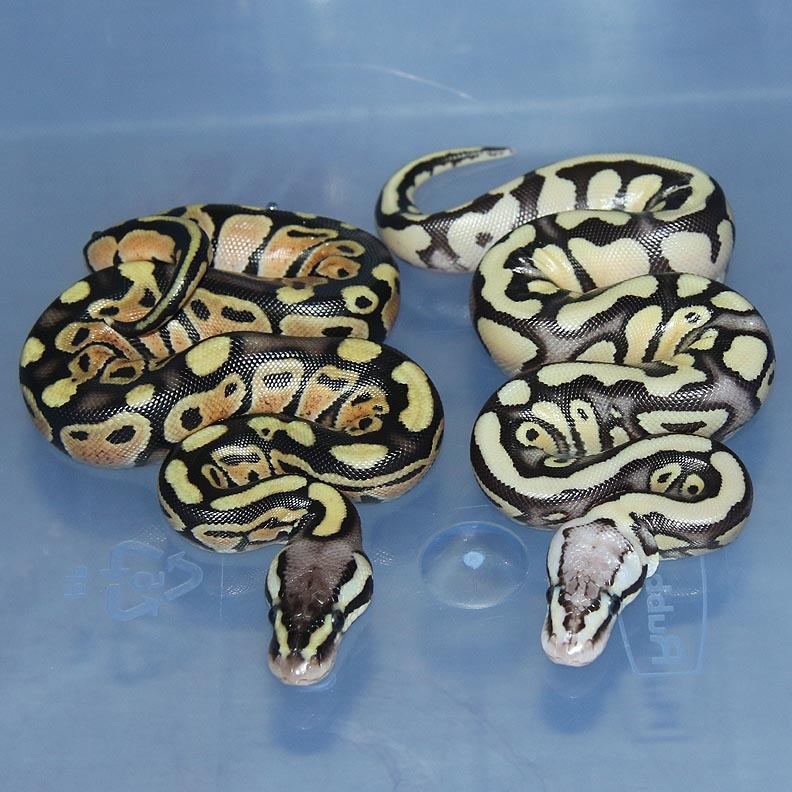 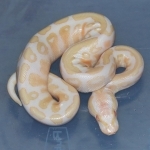 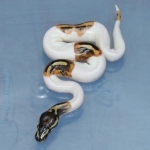 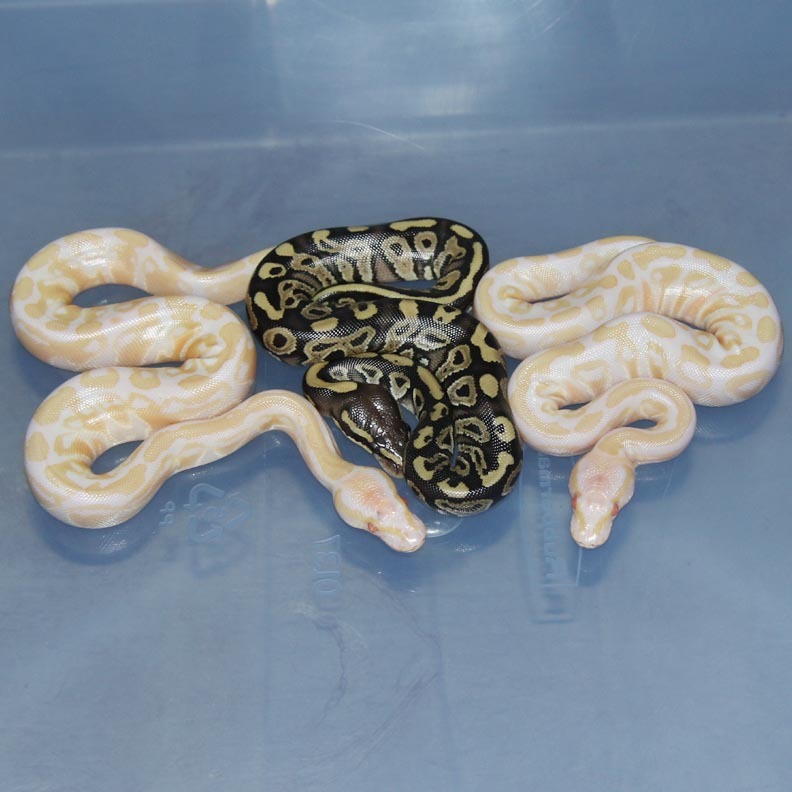 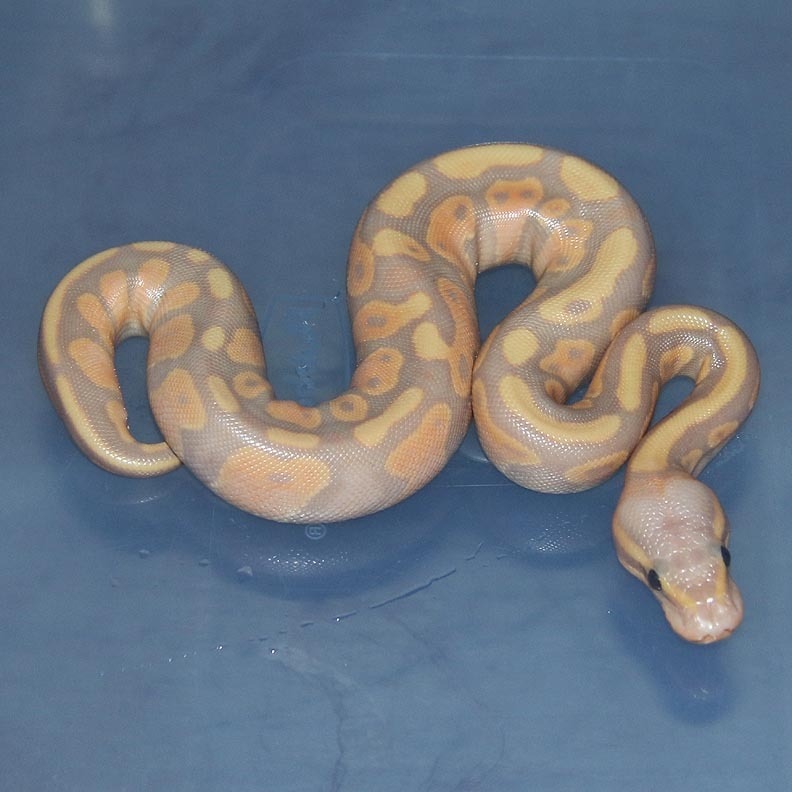 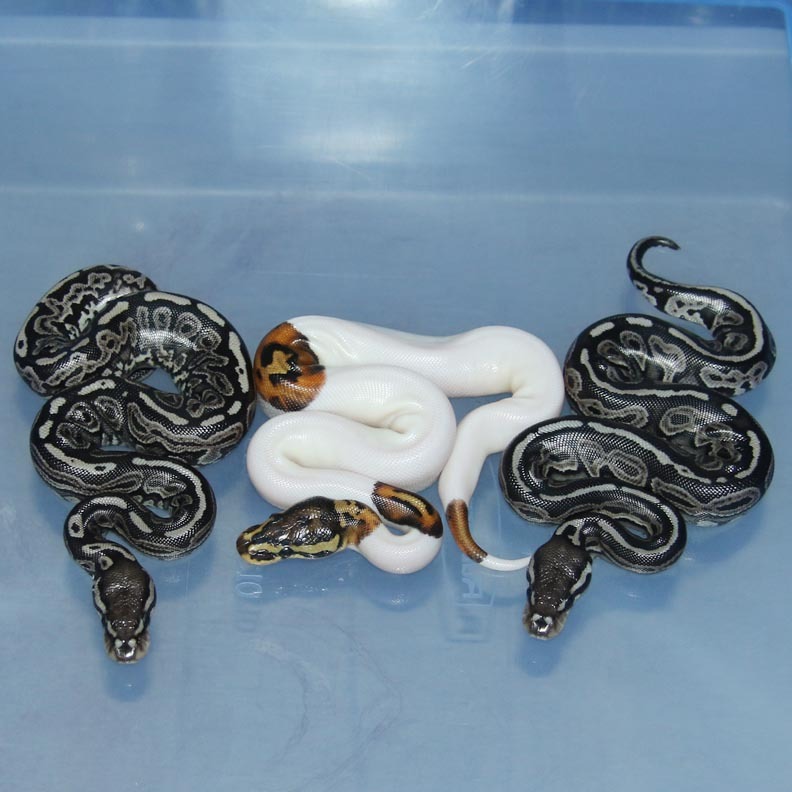 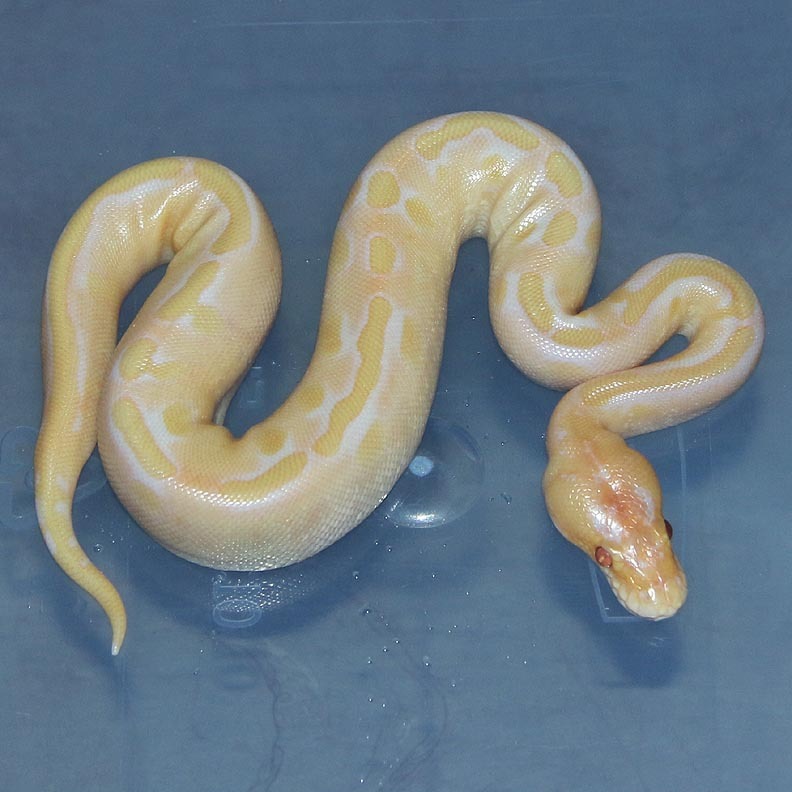 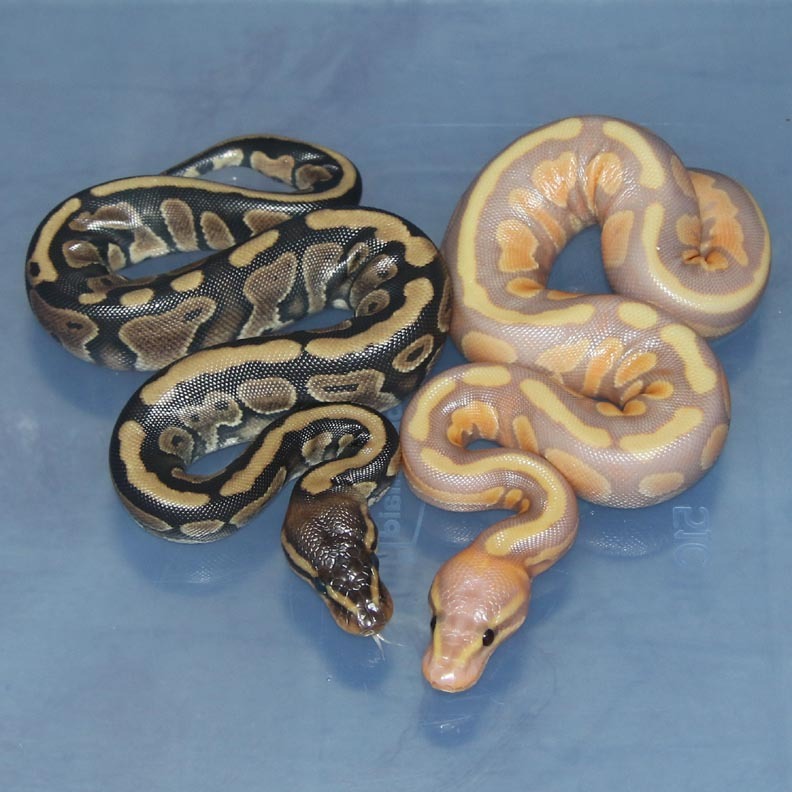 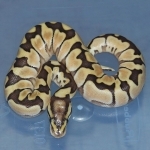 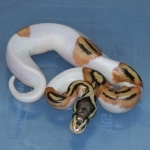 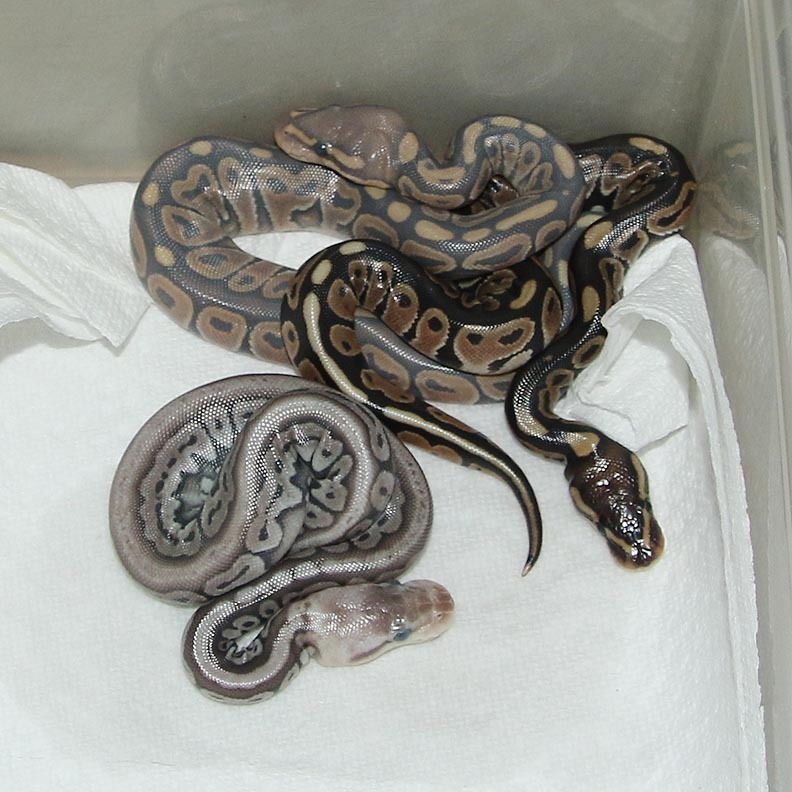 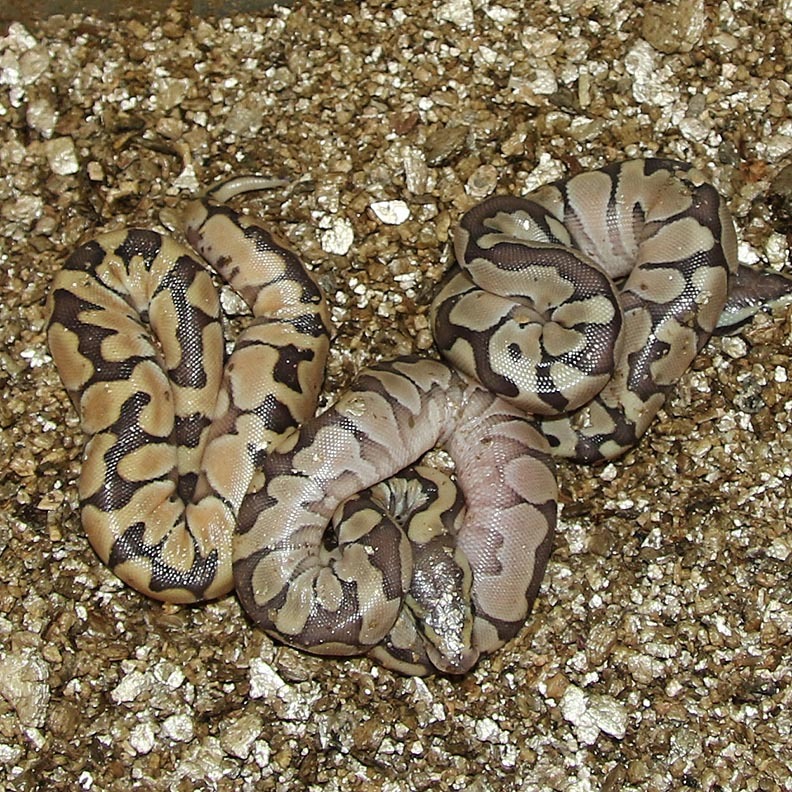 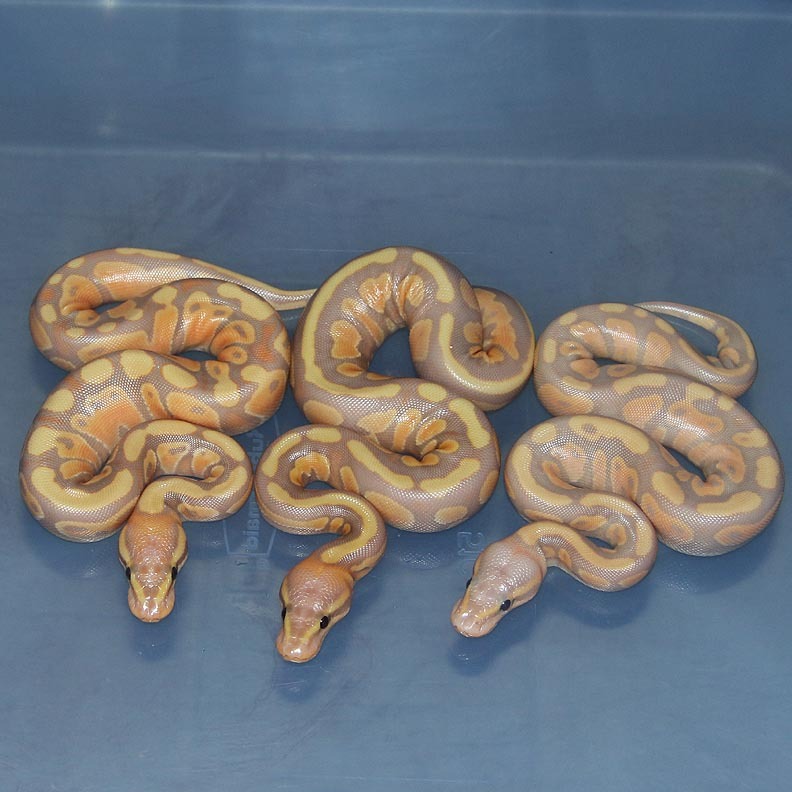 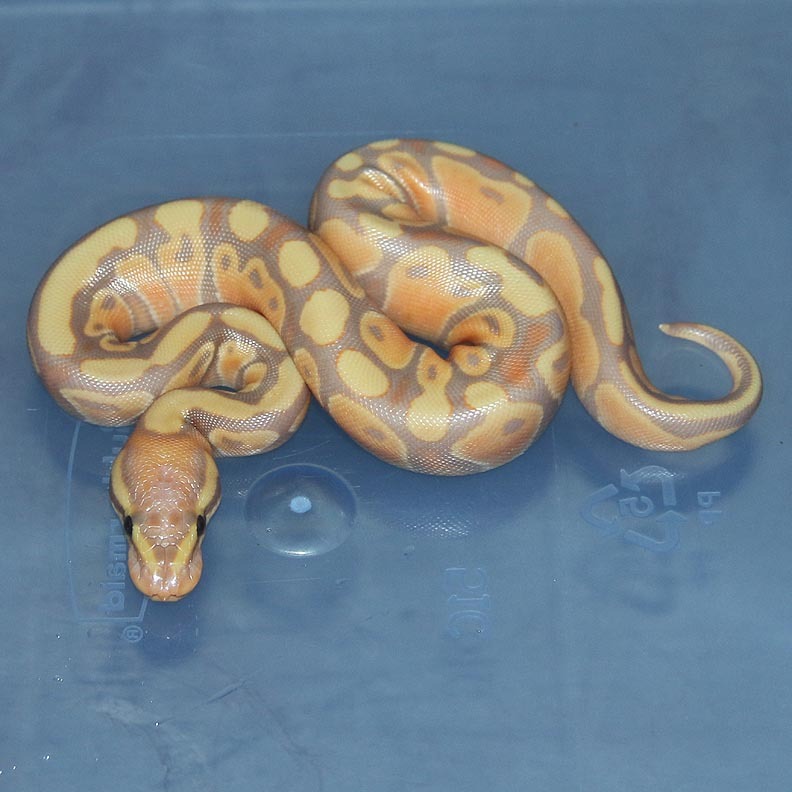 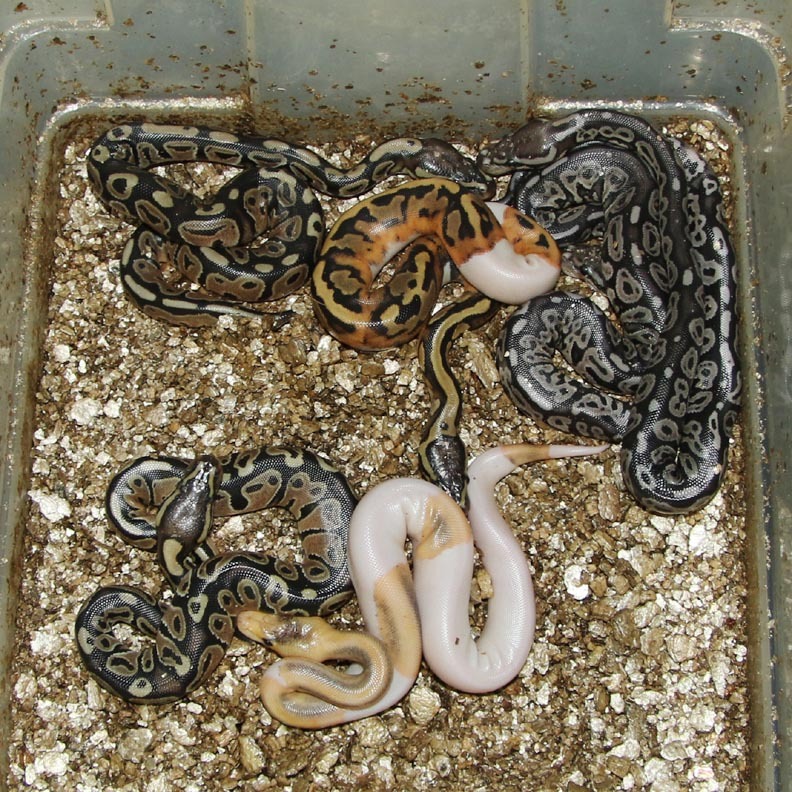 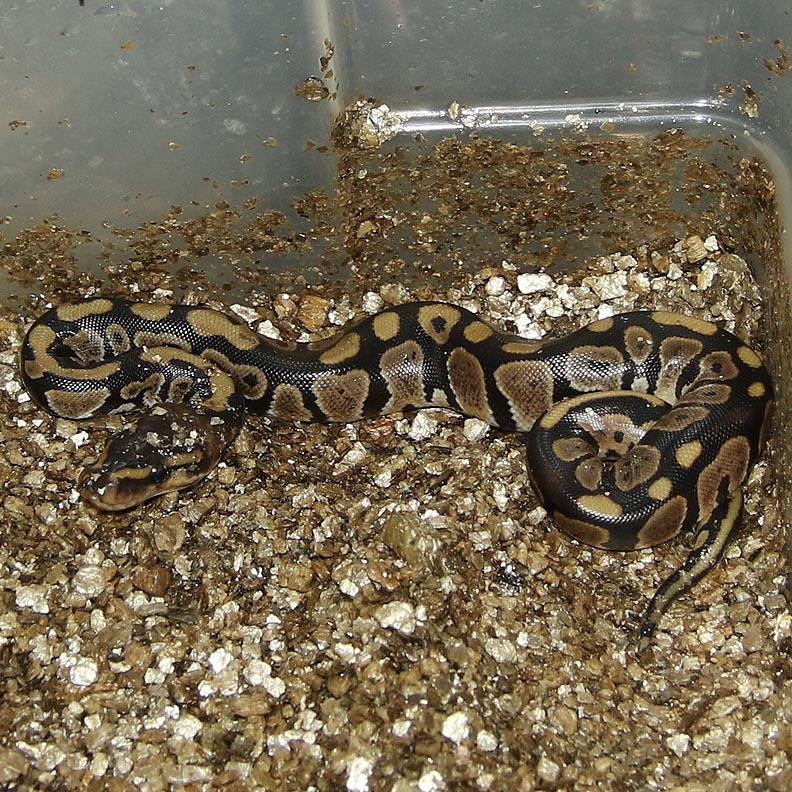 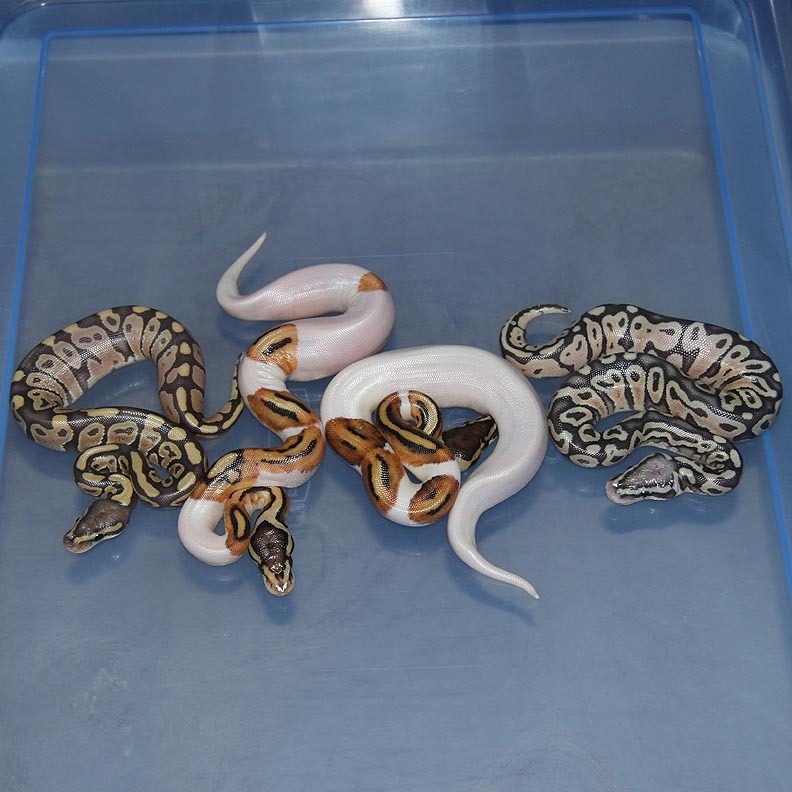 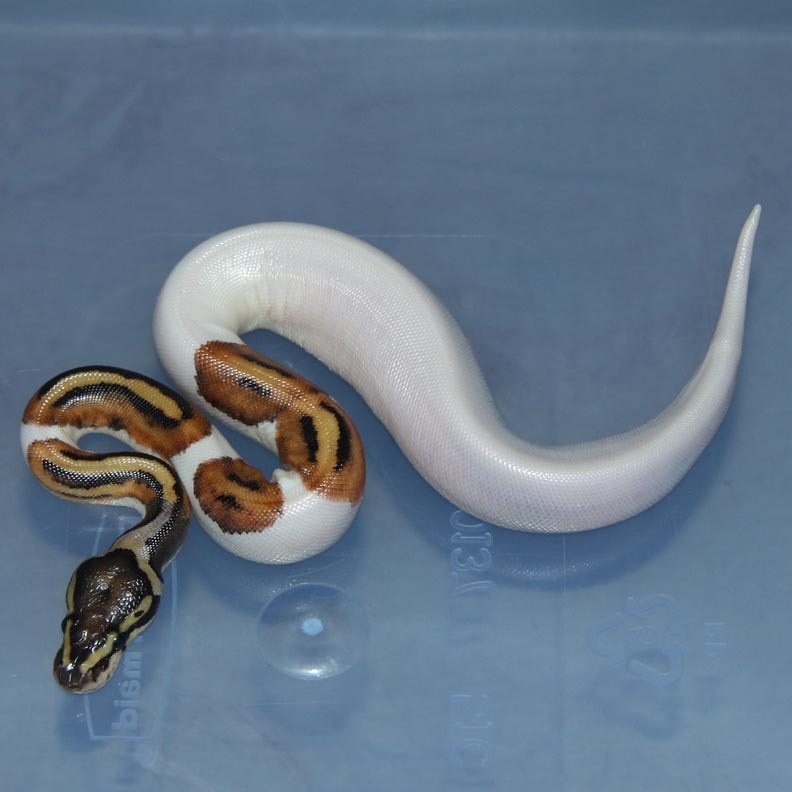 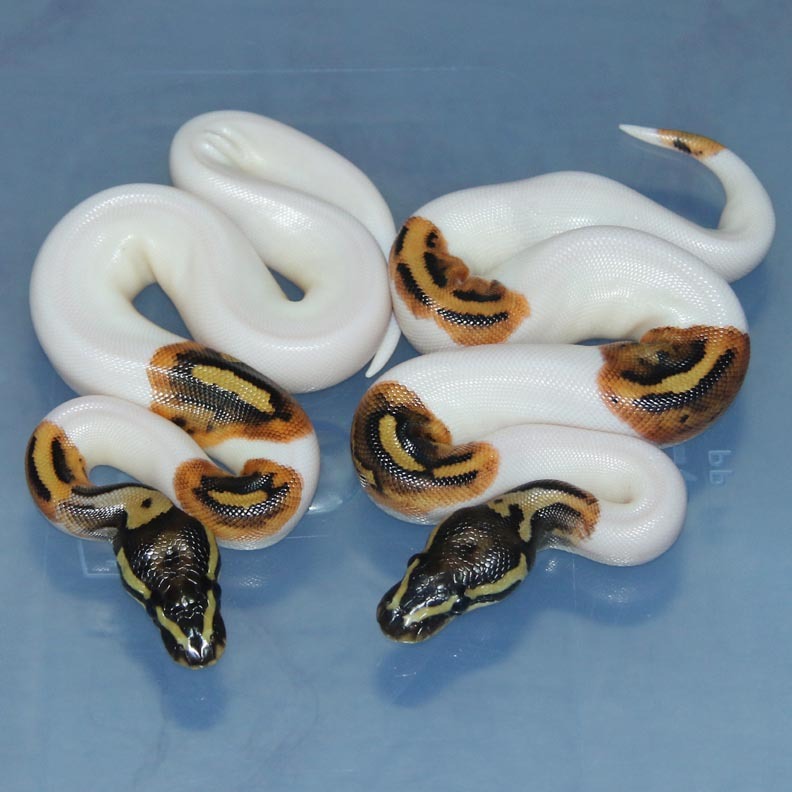 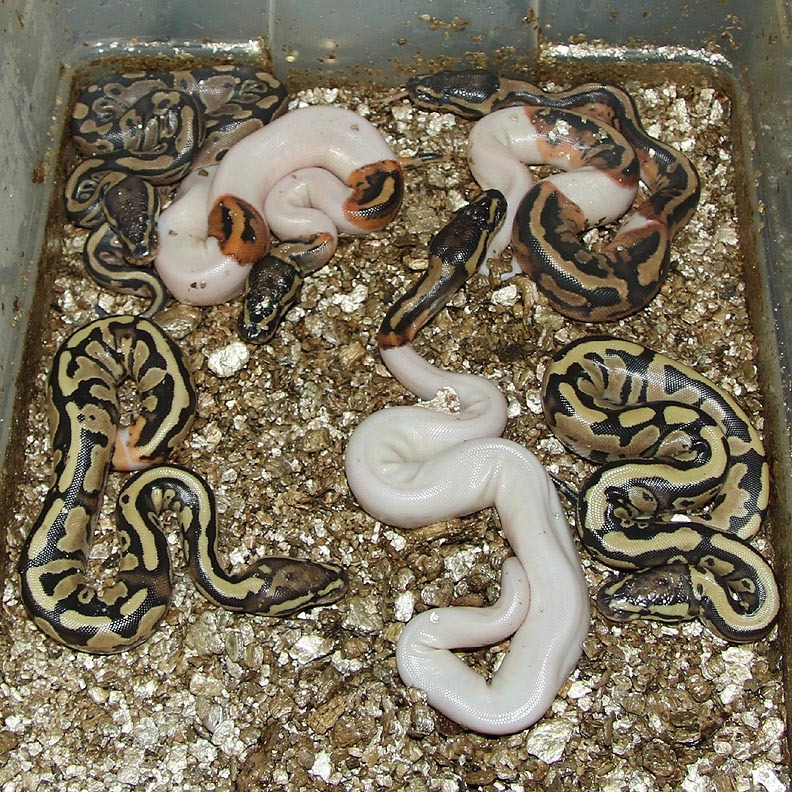 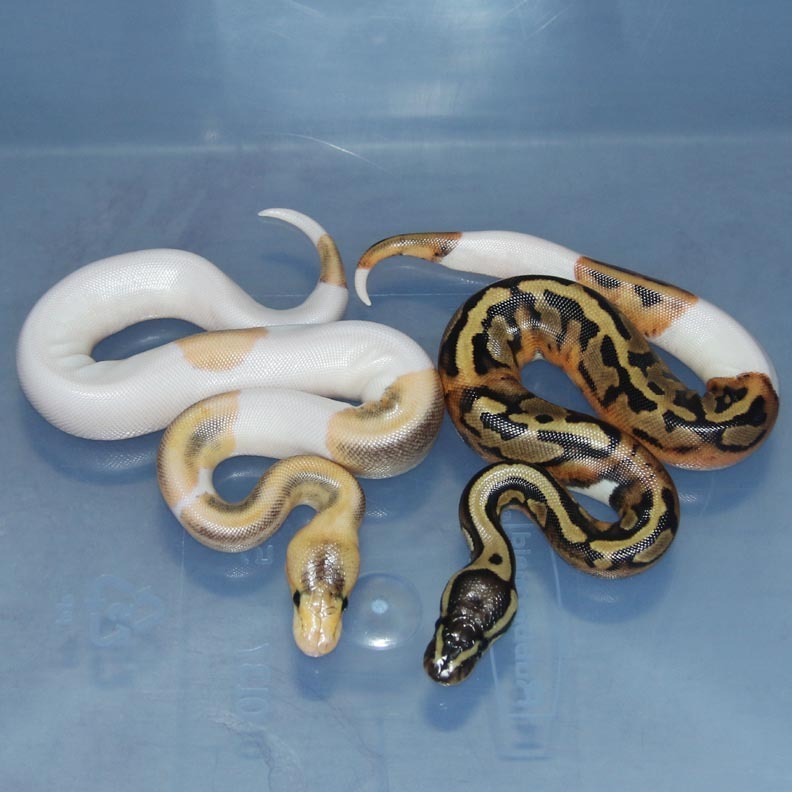 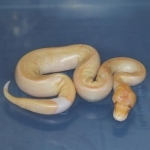 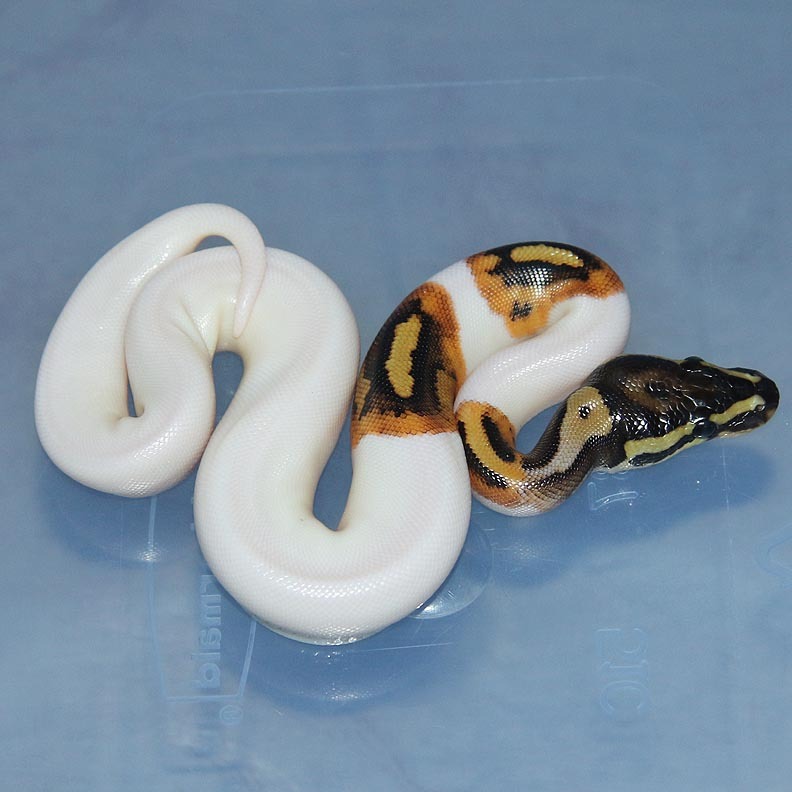 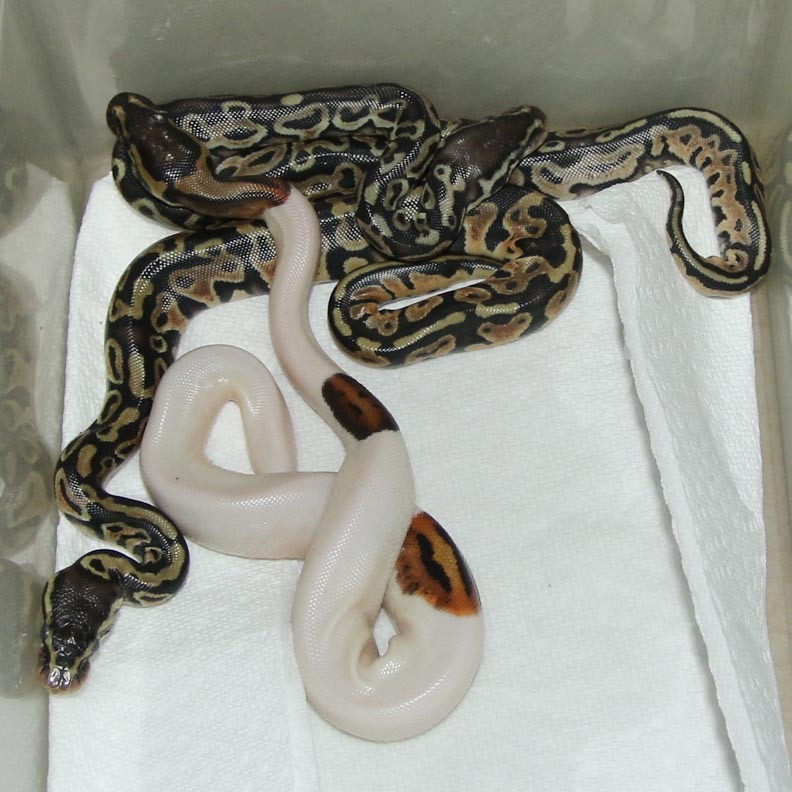 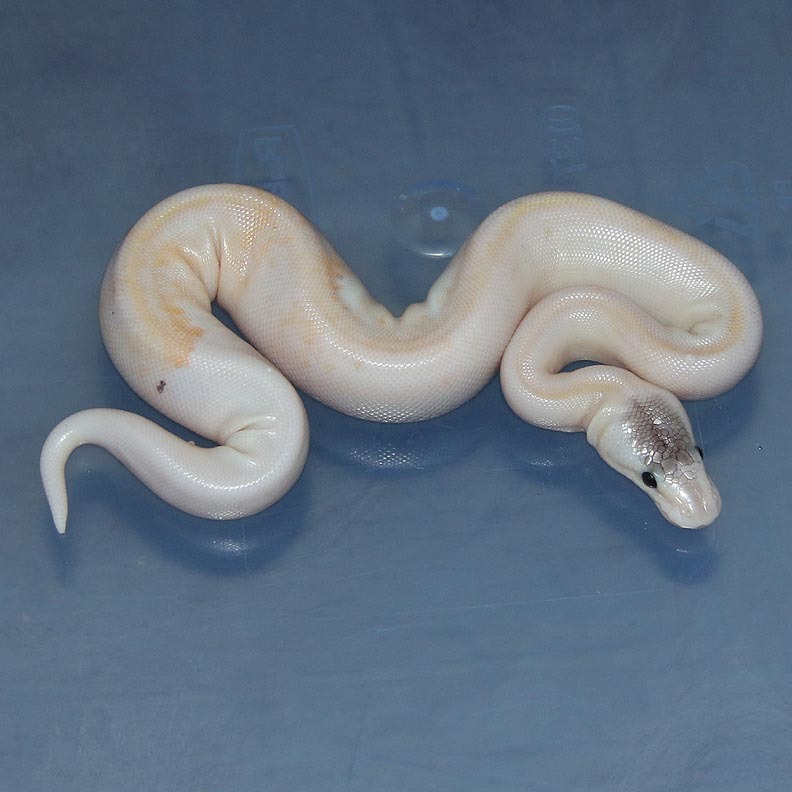 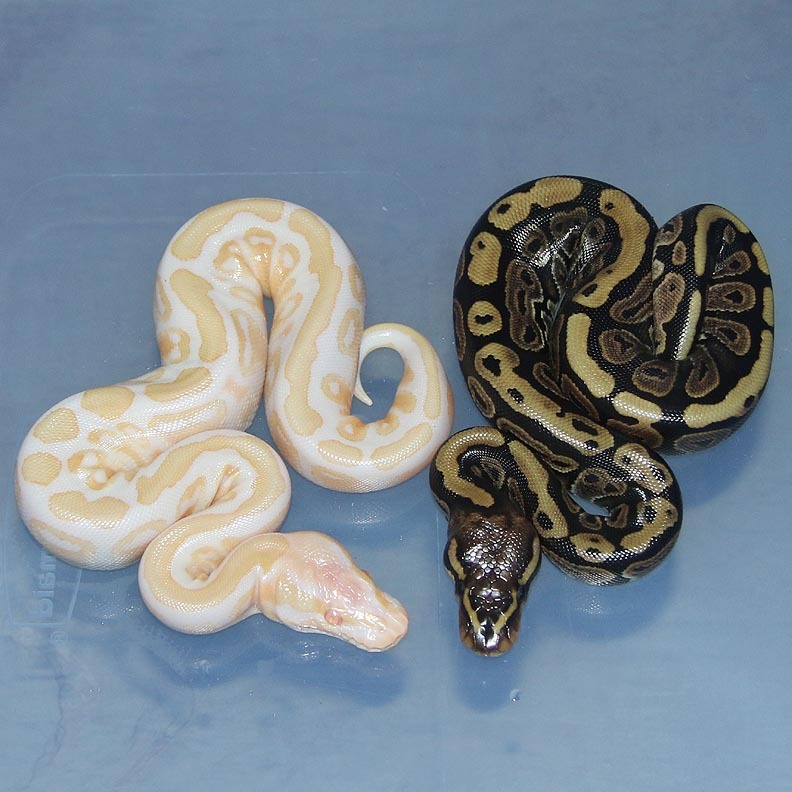 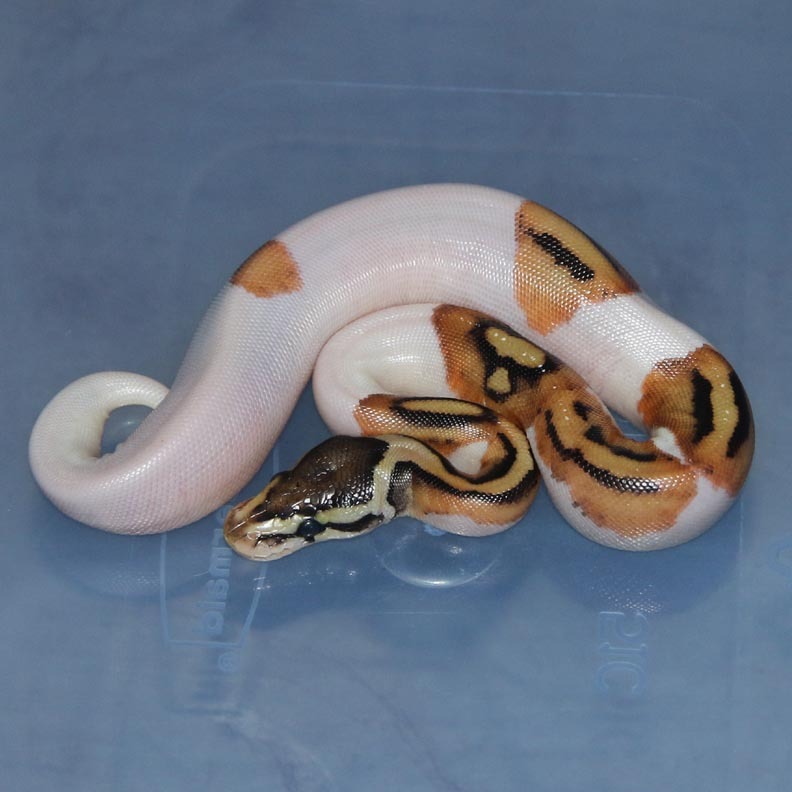 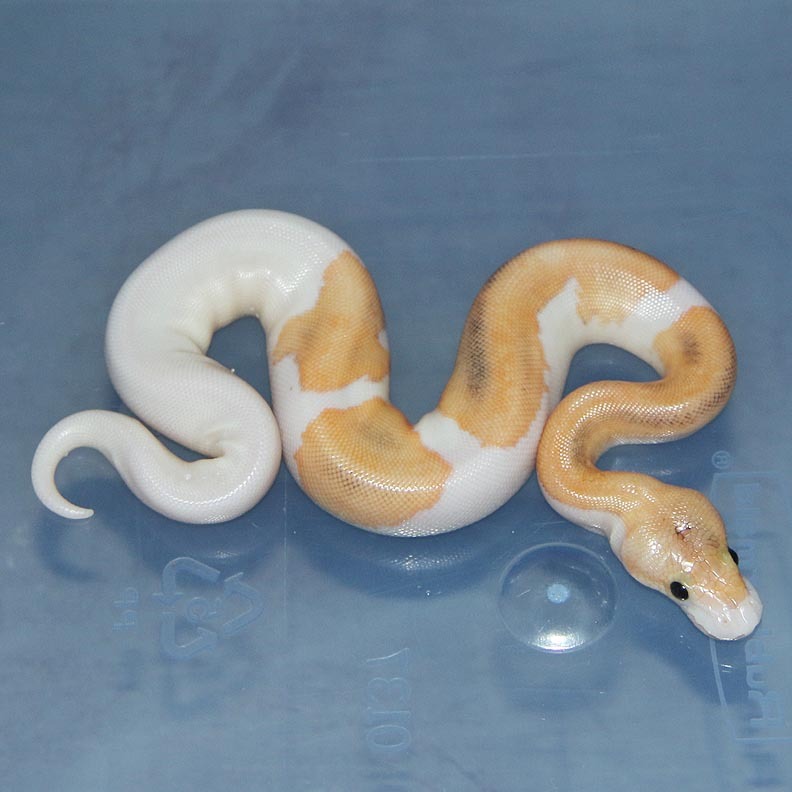 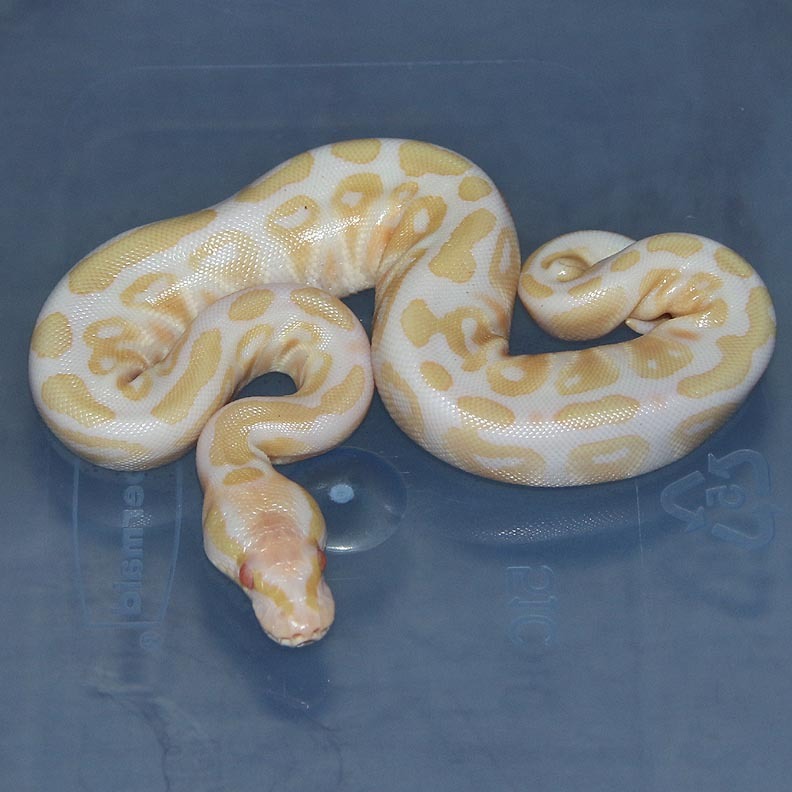 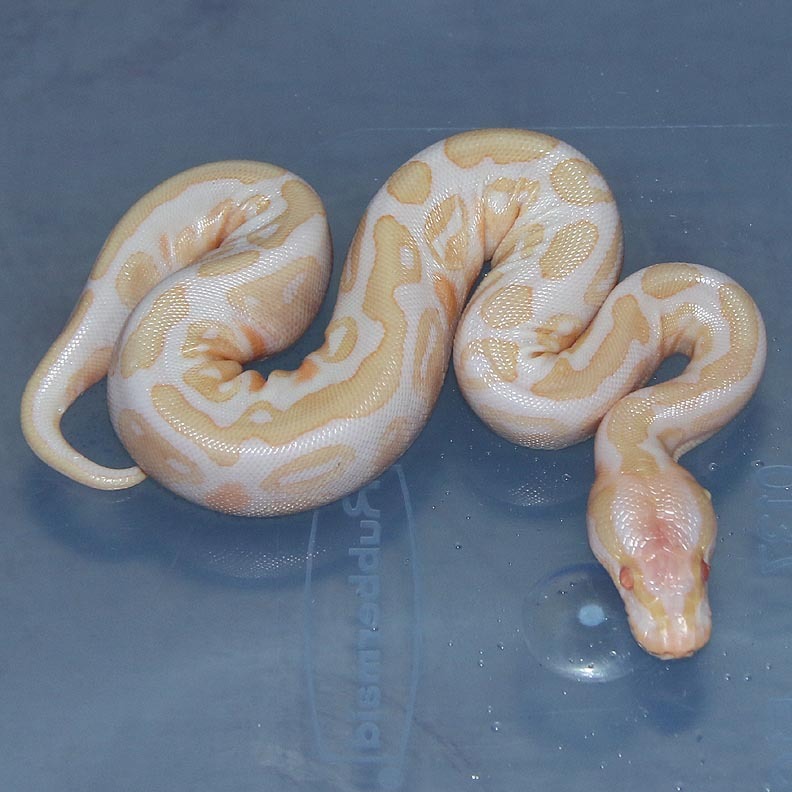 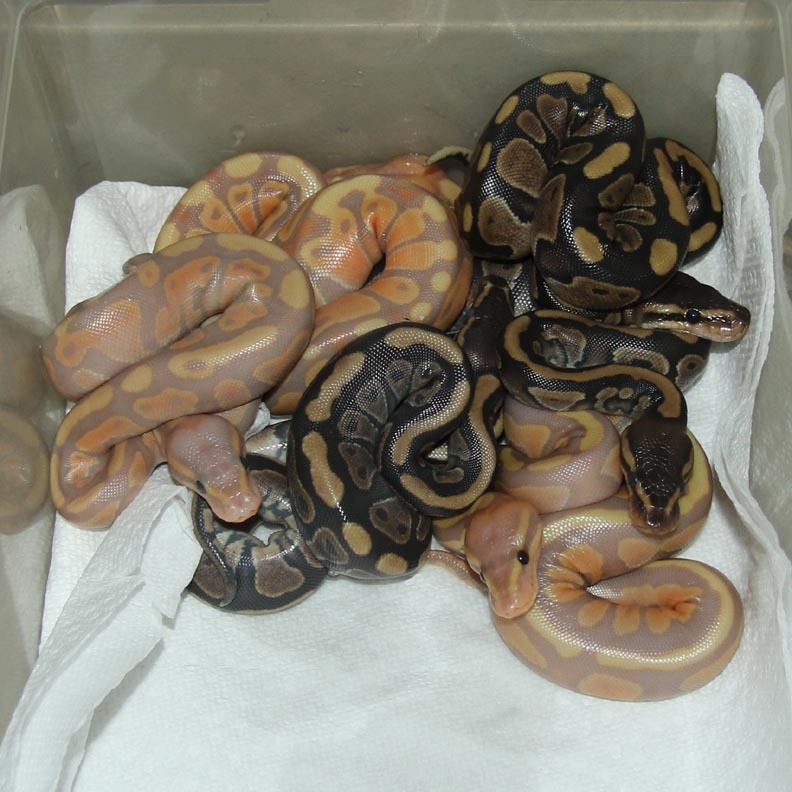 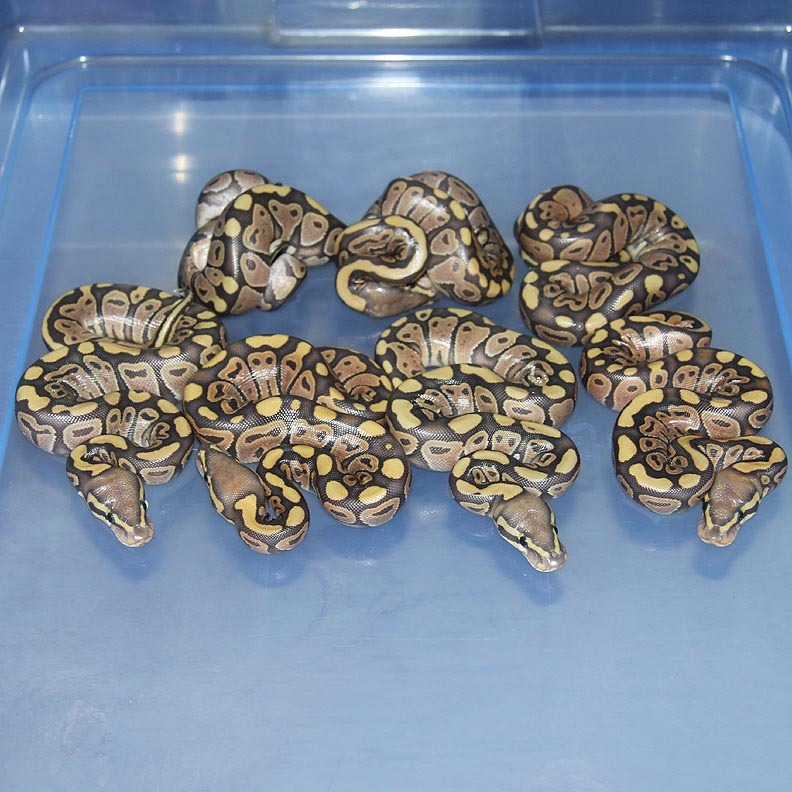 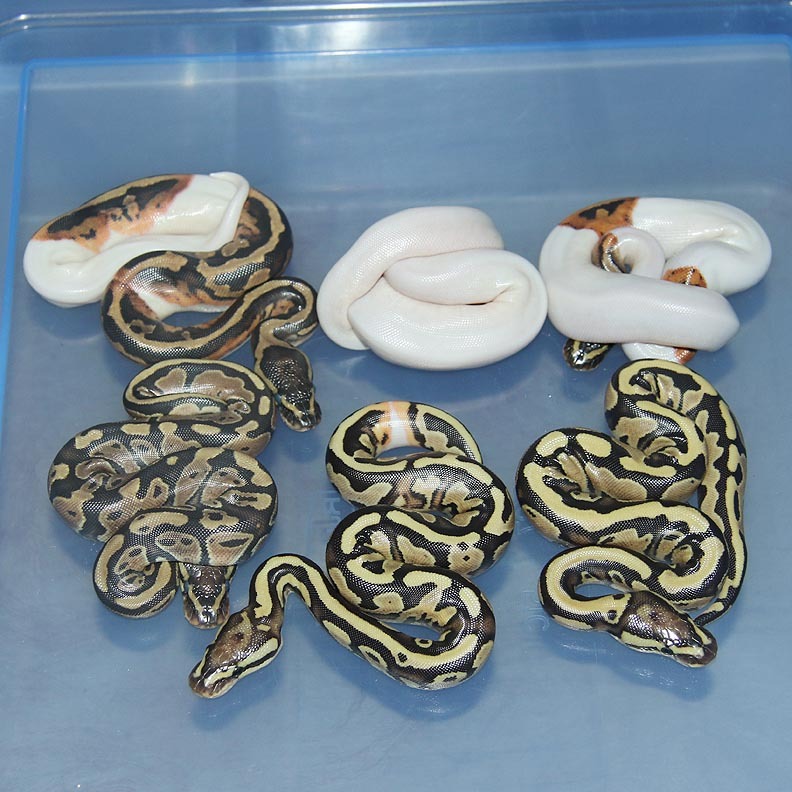 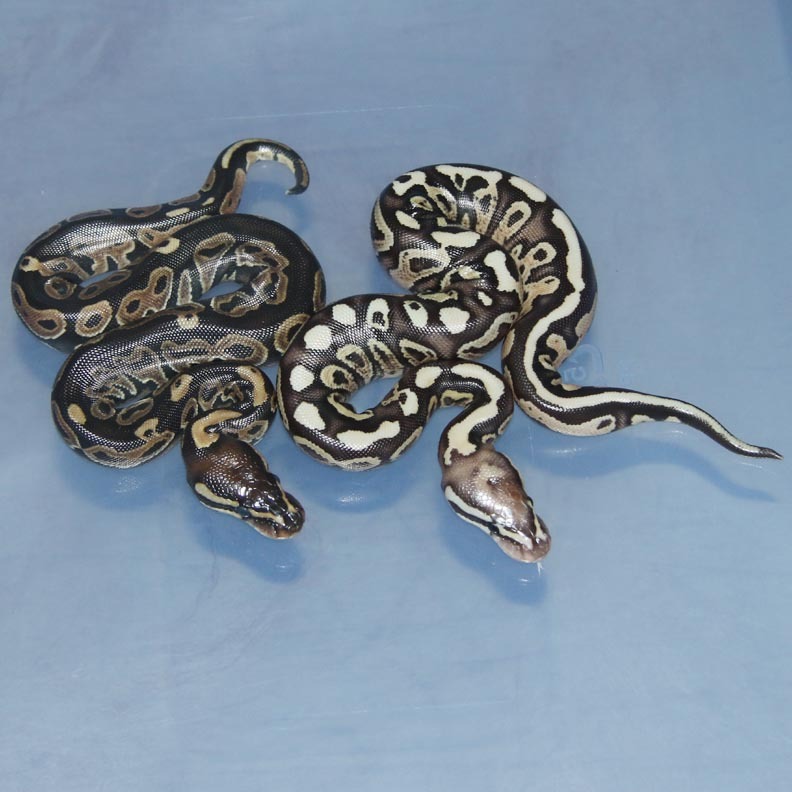 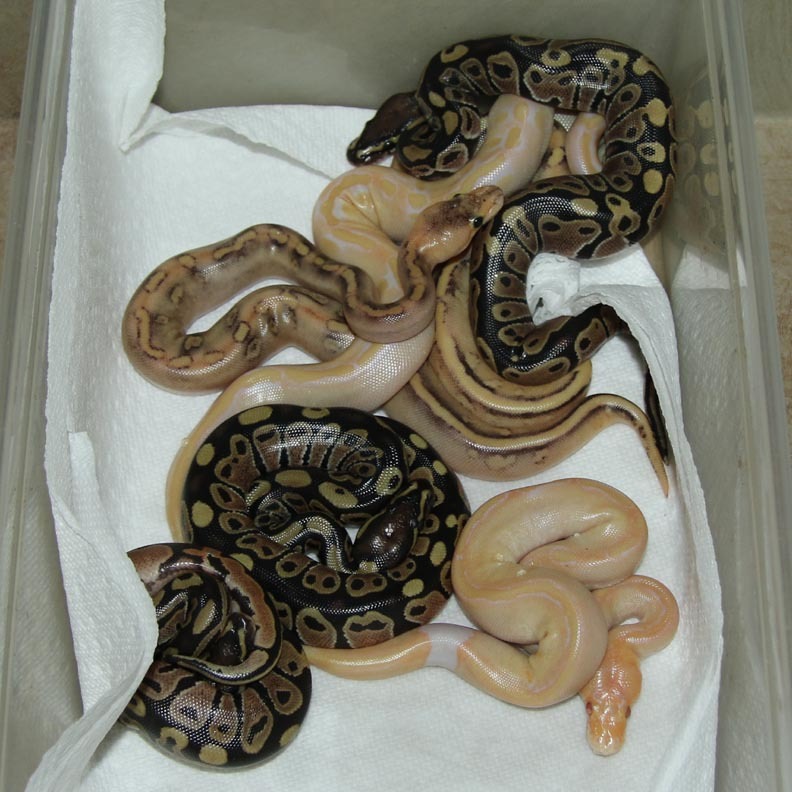 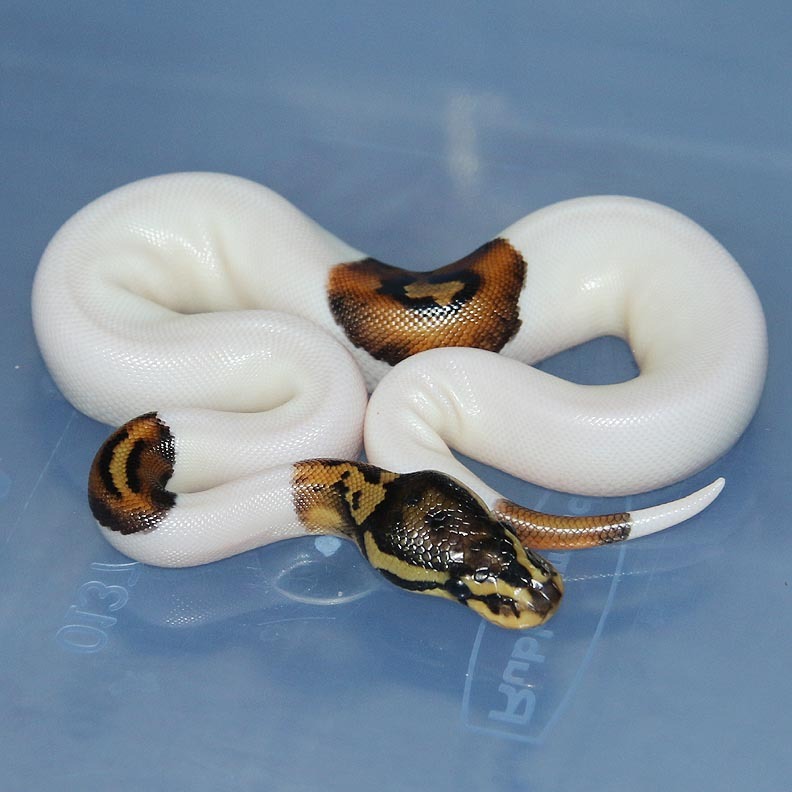 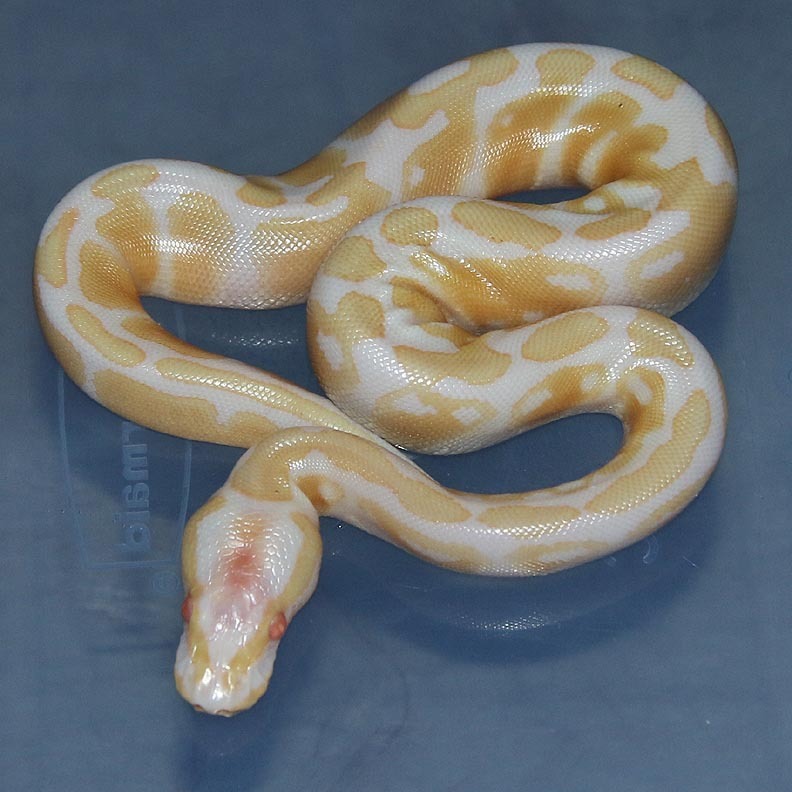 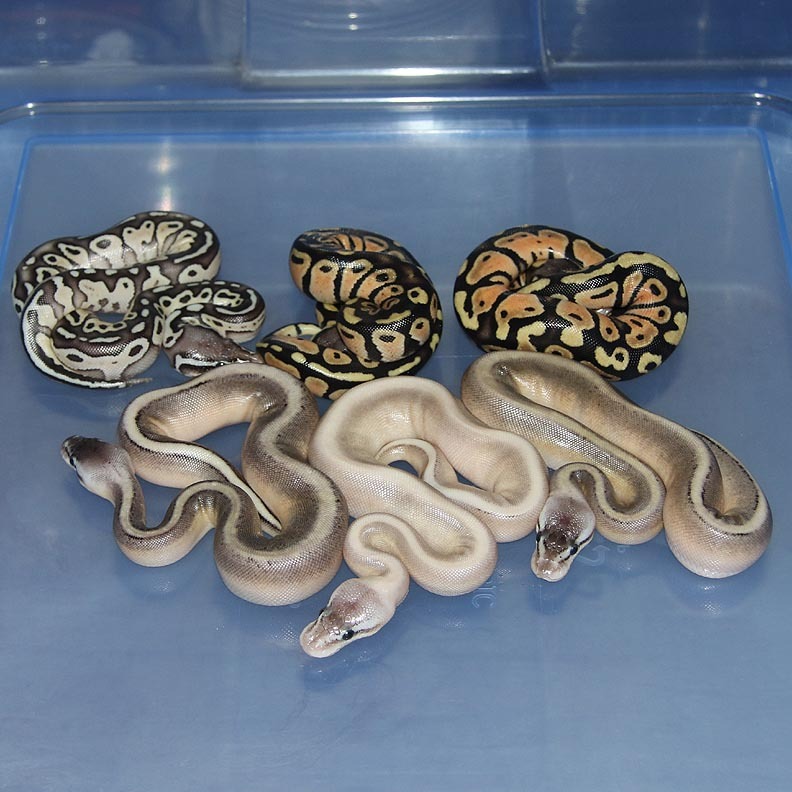 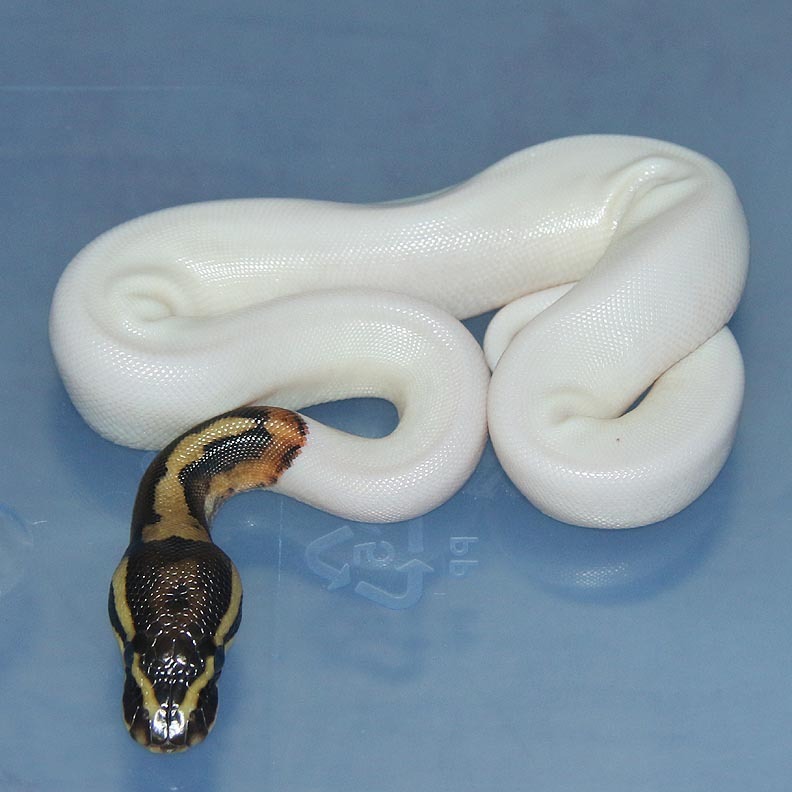 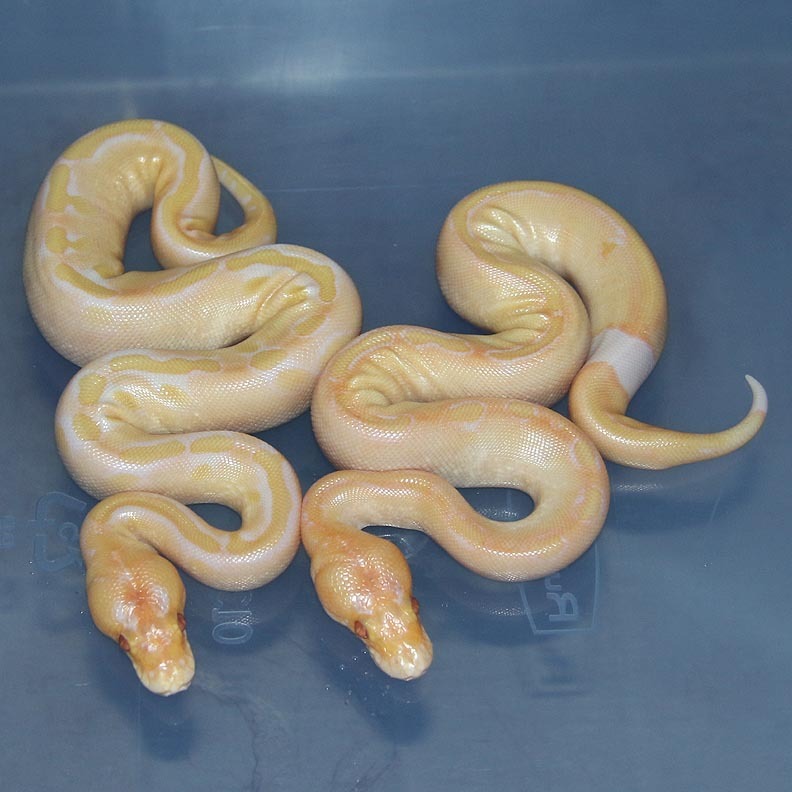 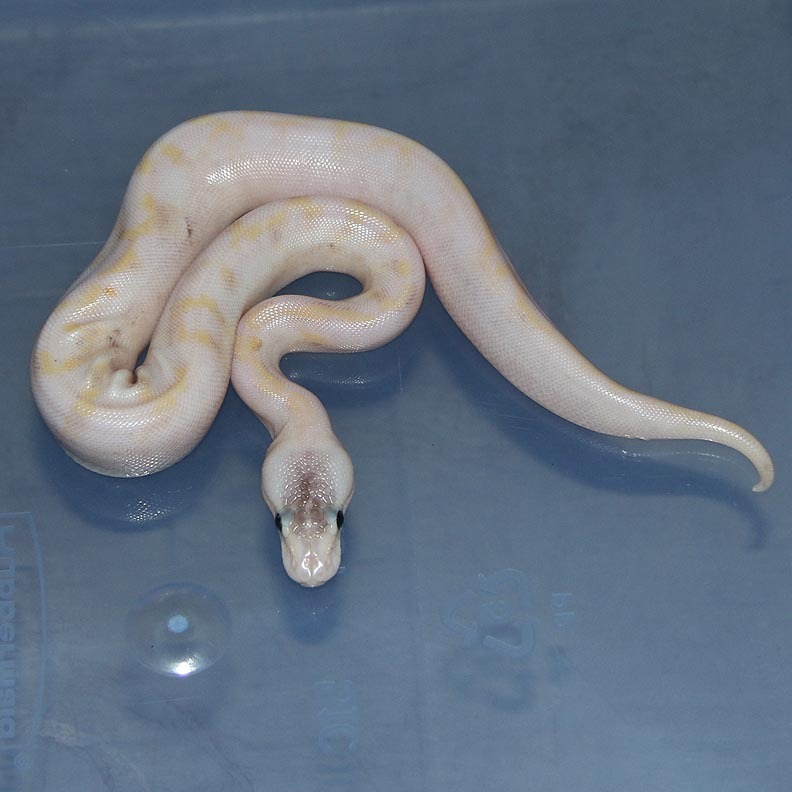 Description: Pastel Het RA DH Orange Ghost/Pied 1/13 x DH Orange Ghost/Pied 2/11. 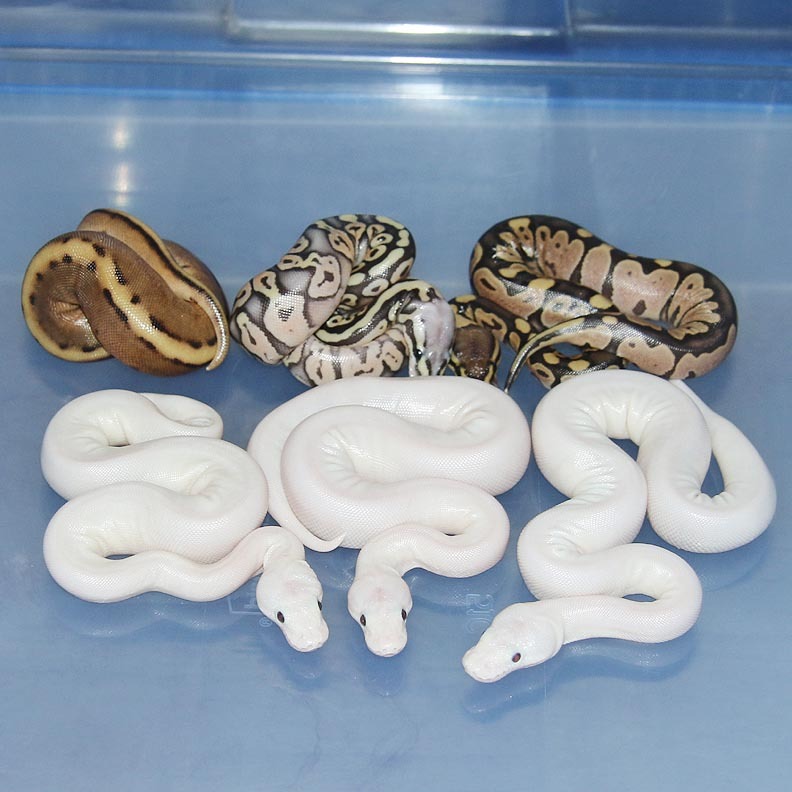 These guys are really nice! 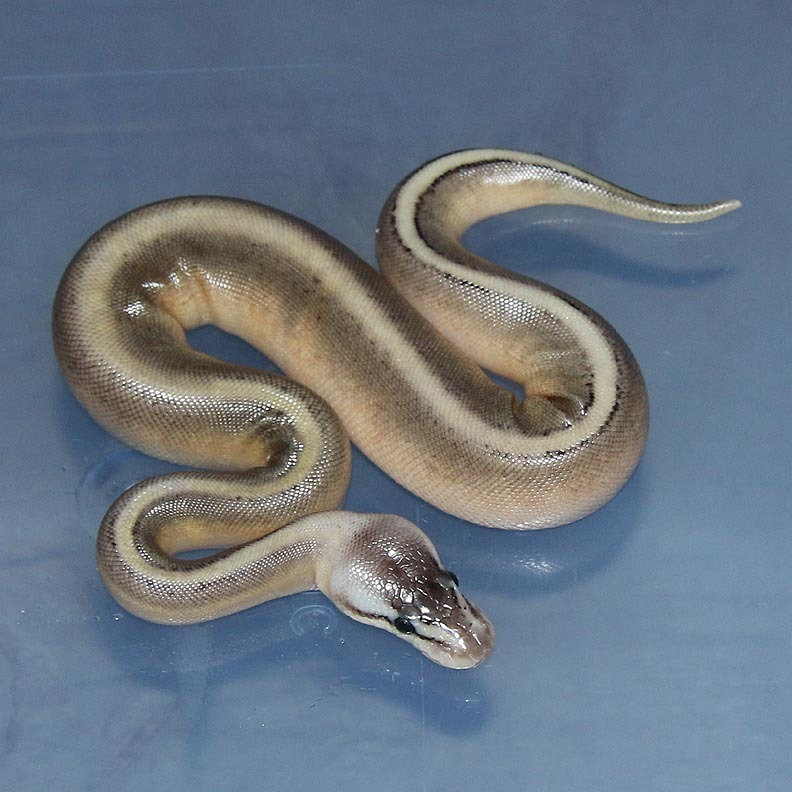 Description: Lesser Genetic Stripe Het Red Axanthic 1/12 x Red Axanthic Het Genetic Stripe 2/10. 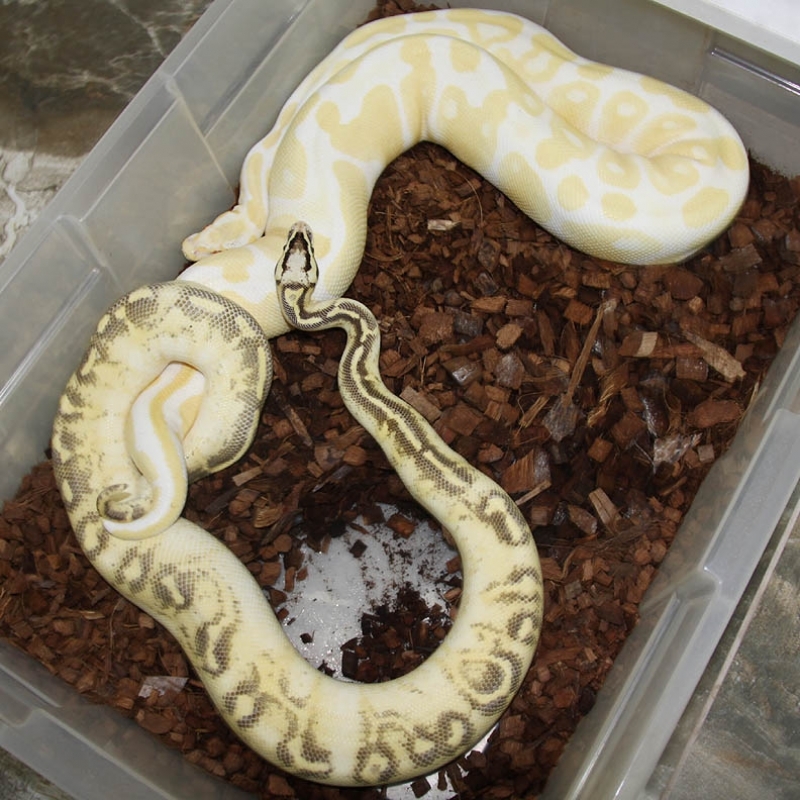 Yup, these guys are still awesome! 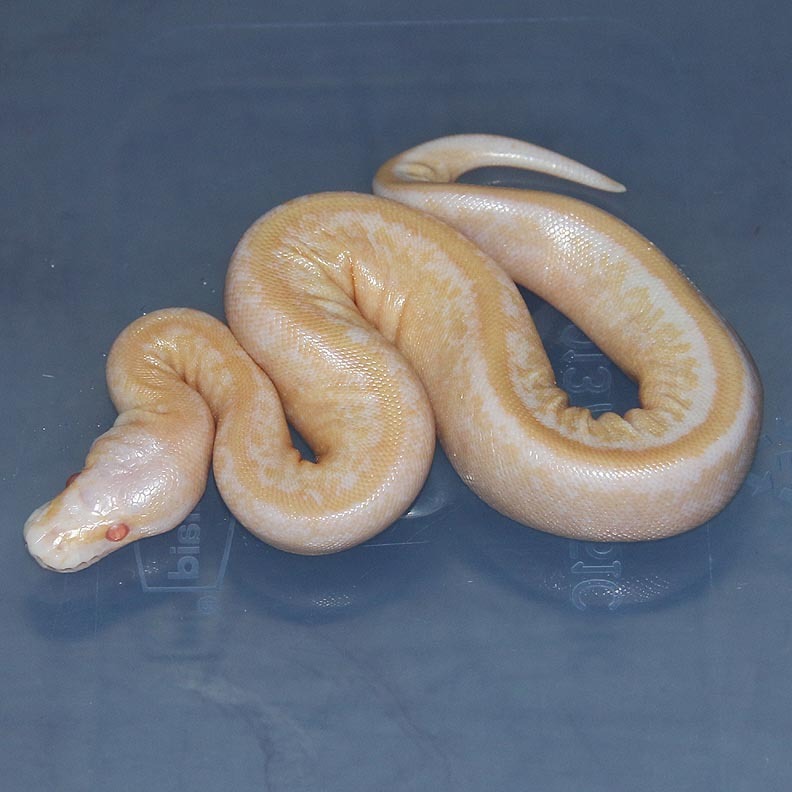 Description: Mahogany Het Albino 3/13 x Albino 1/11 Sestak. 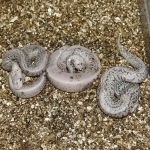 Description: Super Pastel Red Axanthic Dot Matrix 1/13 x Super Pastel Red Axanthic Dot Matrix 1/12. 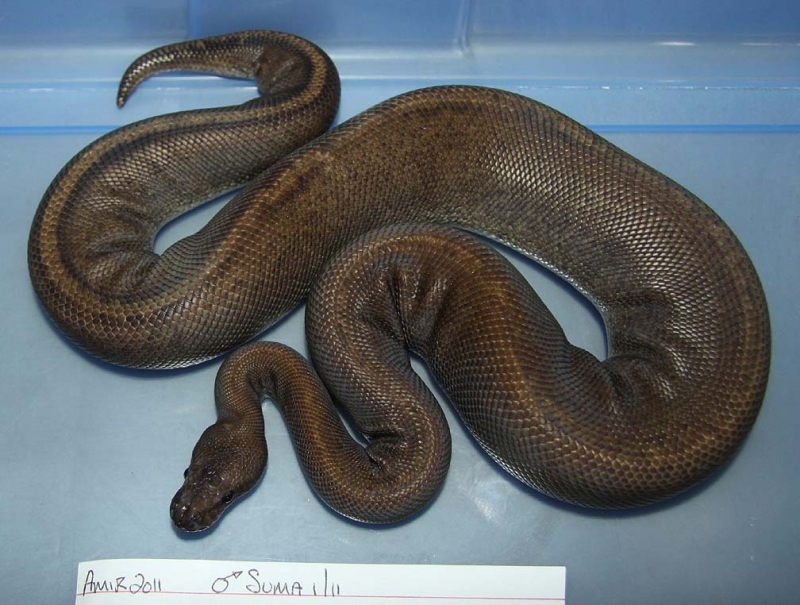 Description: SUMA (Super Mahogany) 1/11 x Red Axanthic Pinstripe 3/12. 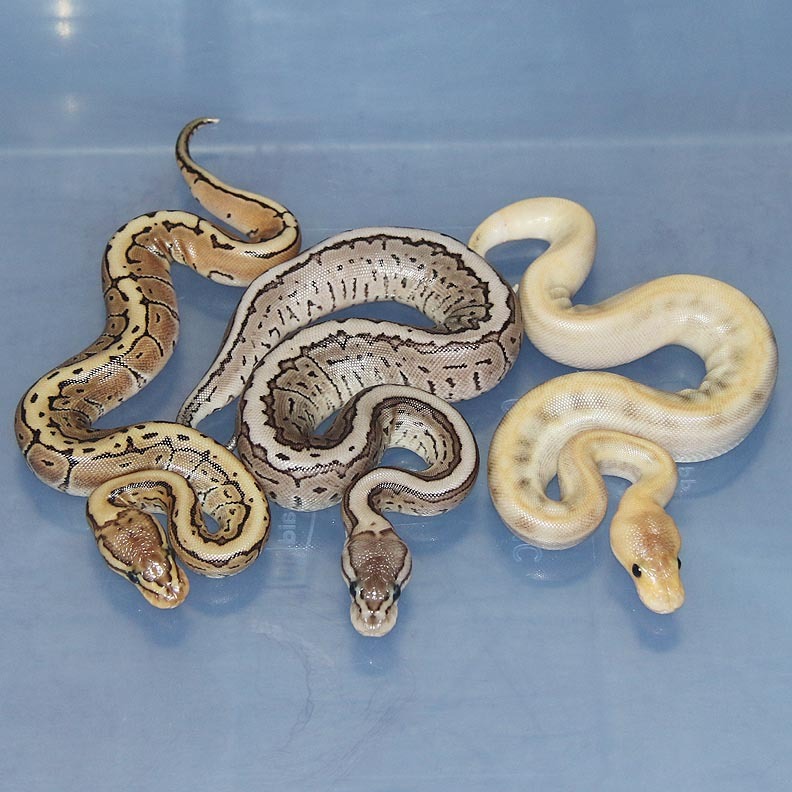 These guys are really nice in person! 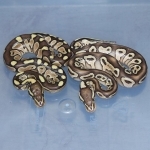 Description: Mutation X POG 1/13 x Genetic Stripe PHOG 2/12. 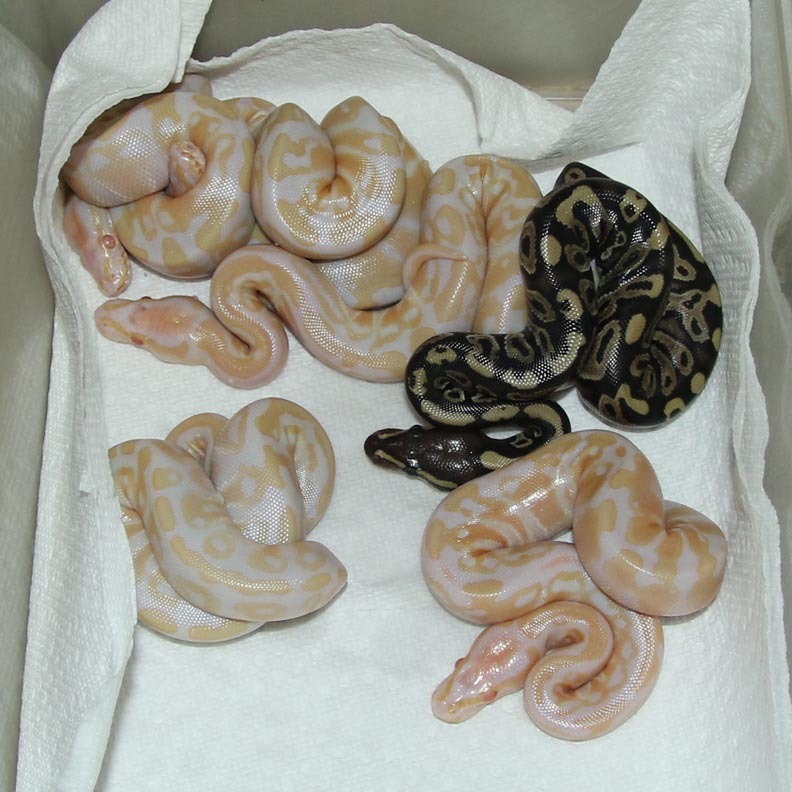 Description: Pastel Het RA DH Orange Ghost/Pied 1/13 x DH Orange Ghost/Pied 6/10. 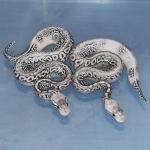 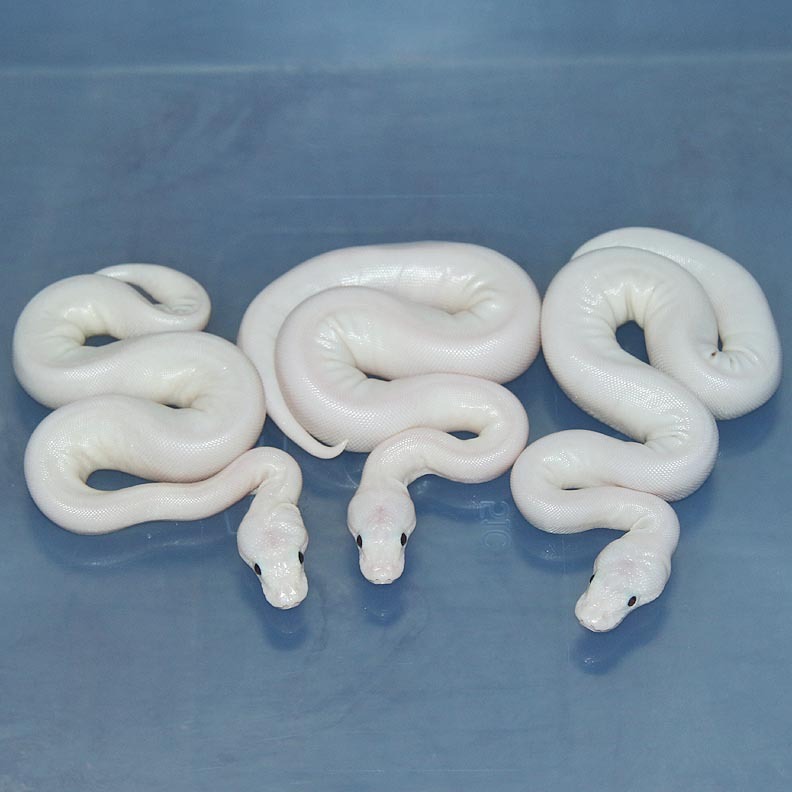 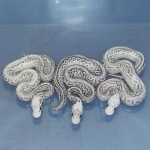 Description: Super Pastel Green Ghost Lesser HRA 1/13 x Pastel Green Ghost Lesser HRA 1/13. 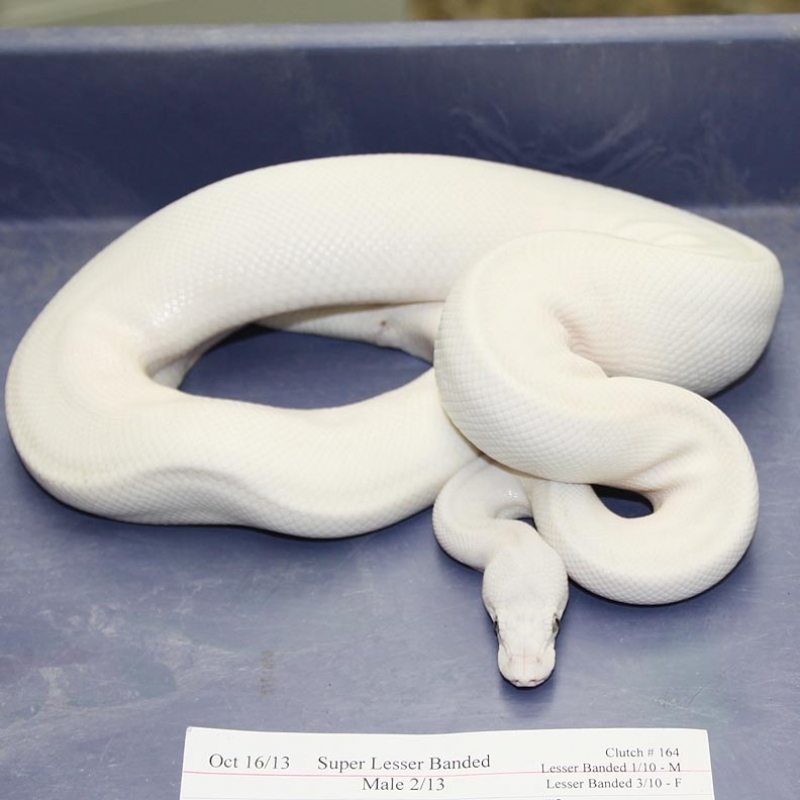 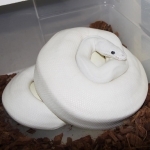 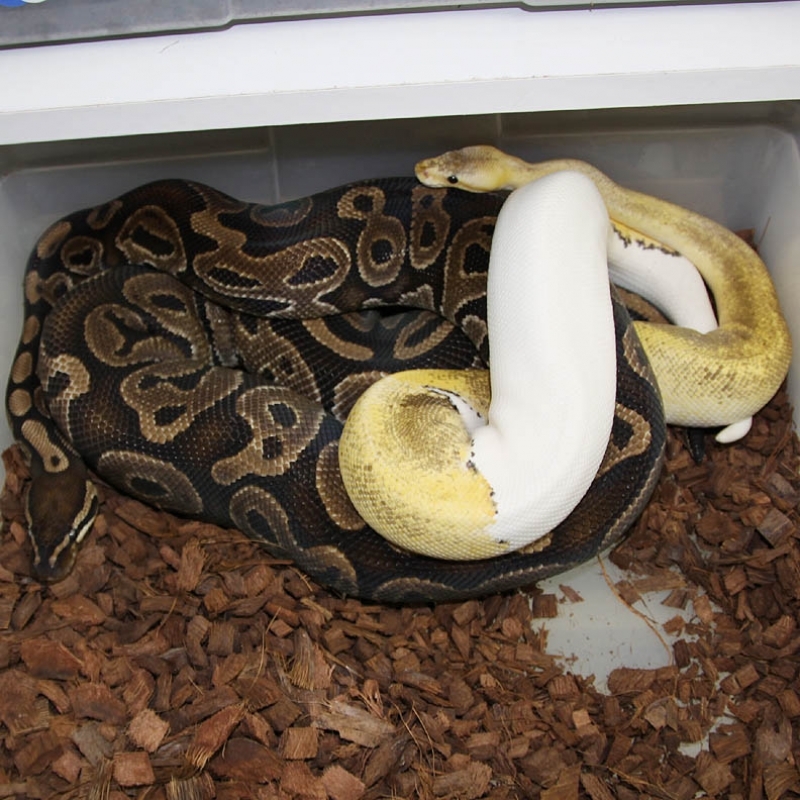 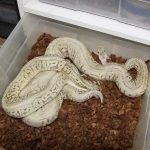 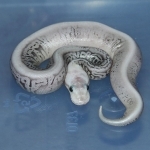 Description: Phantom Het Albino 1/12 x WB Albino 1/10. 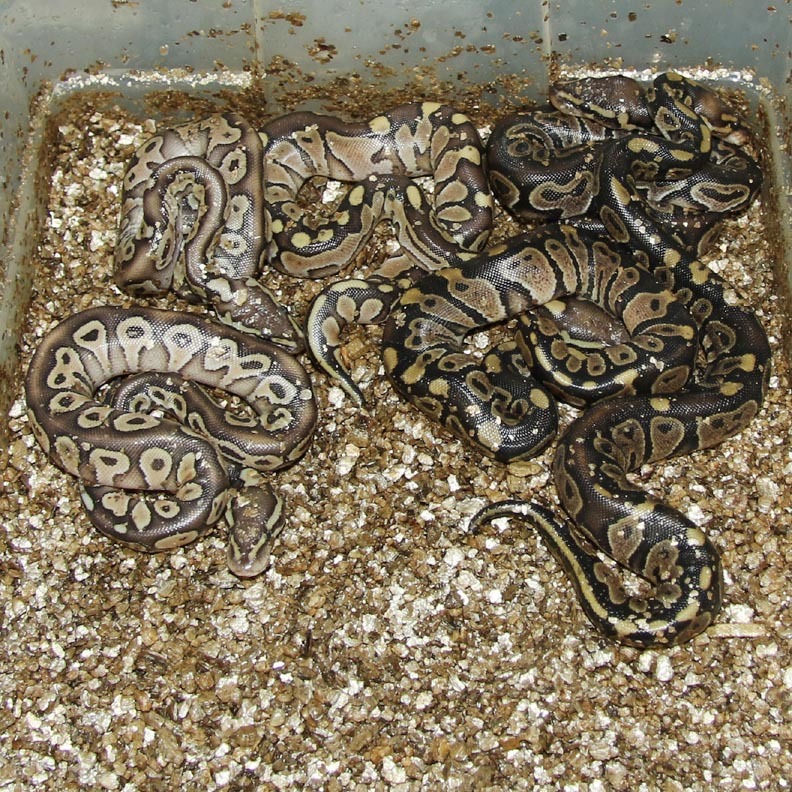 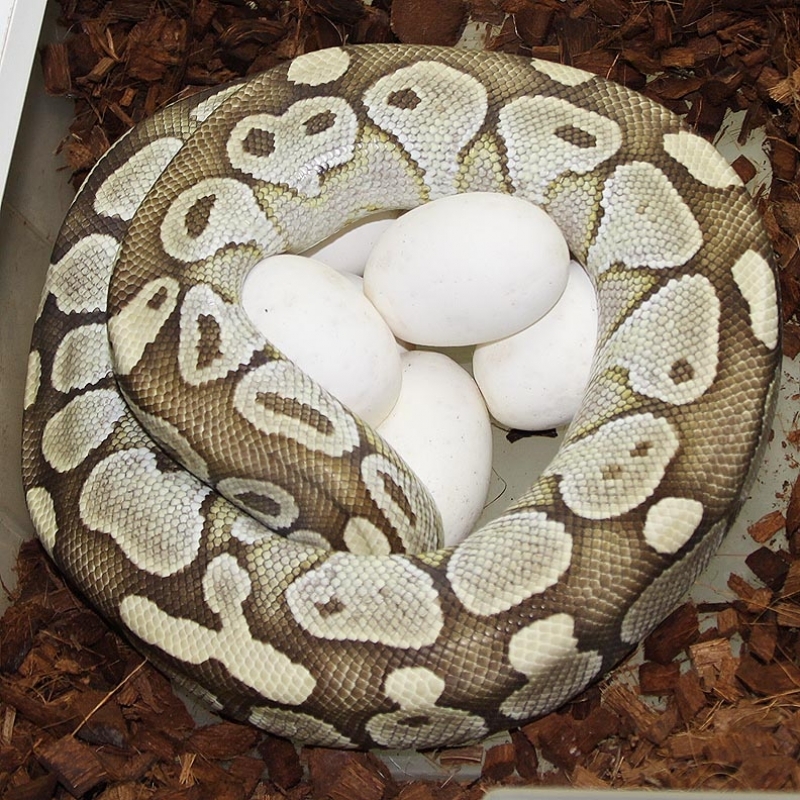 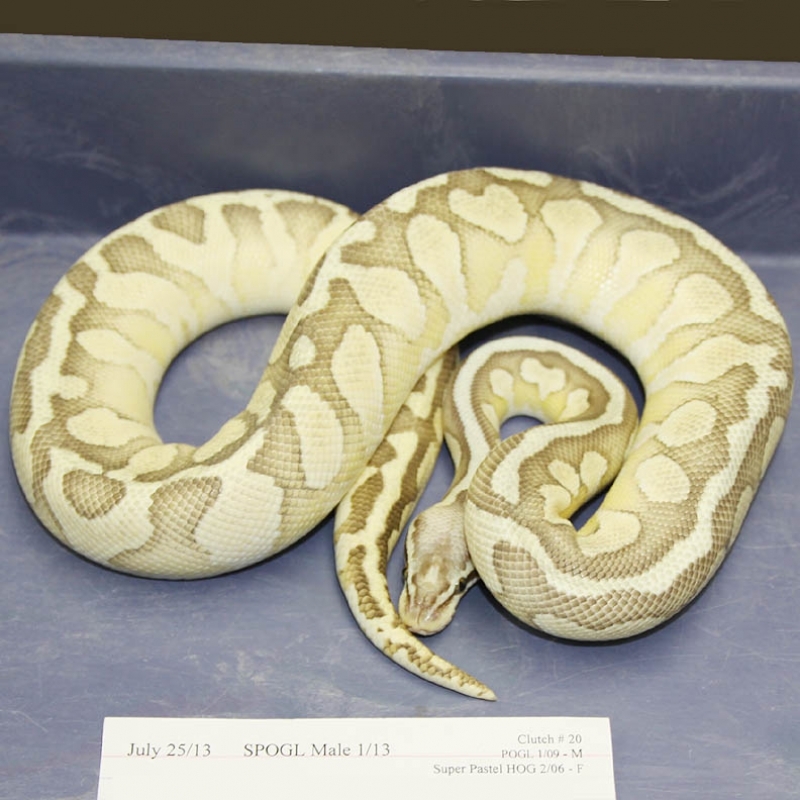 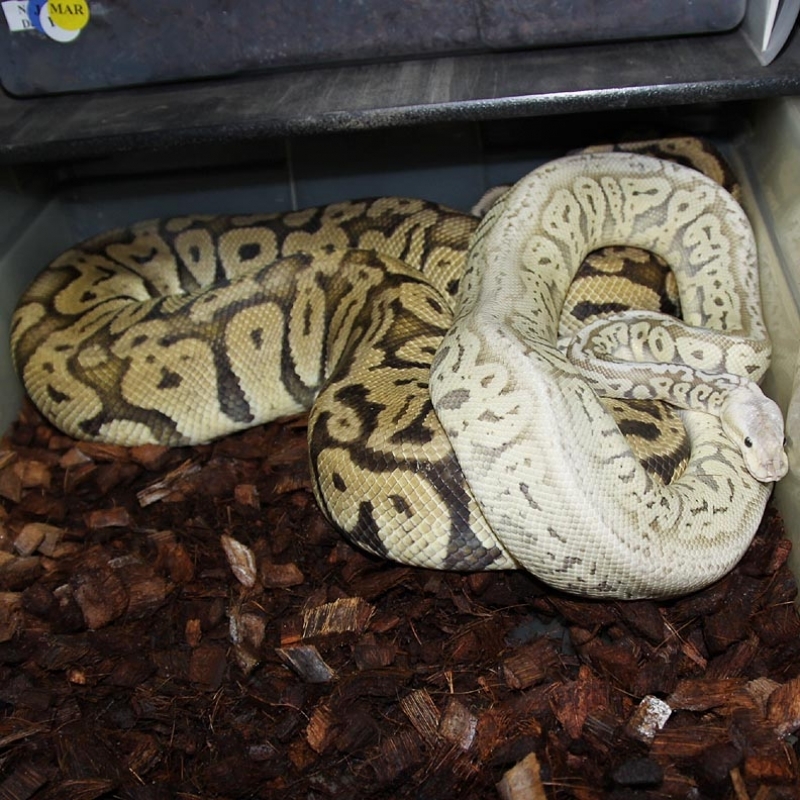 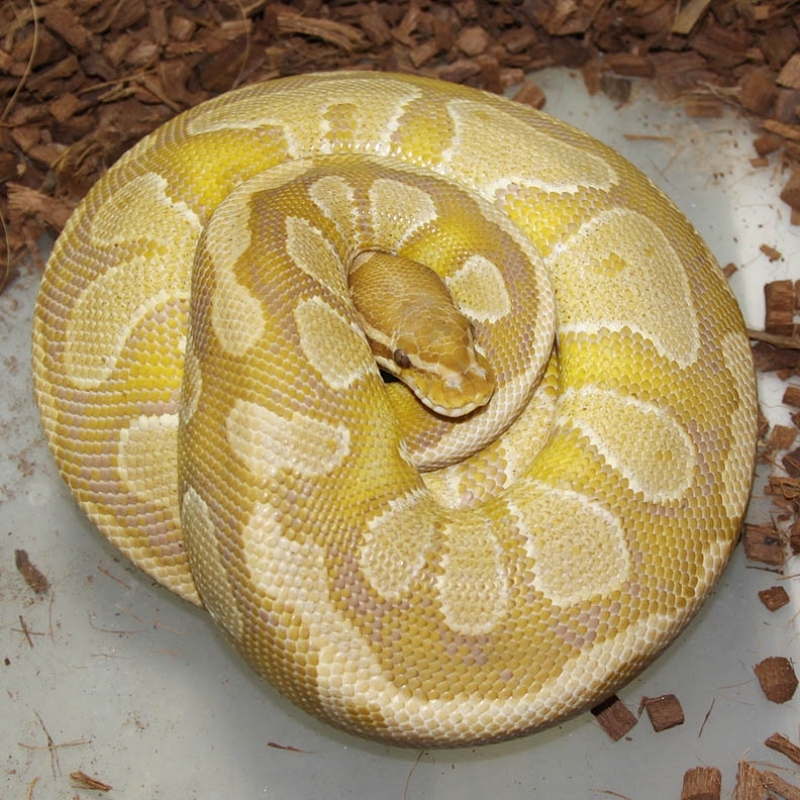 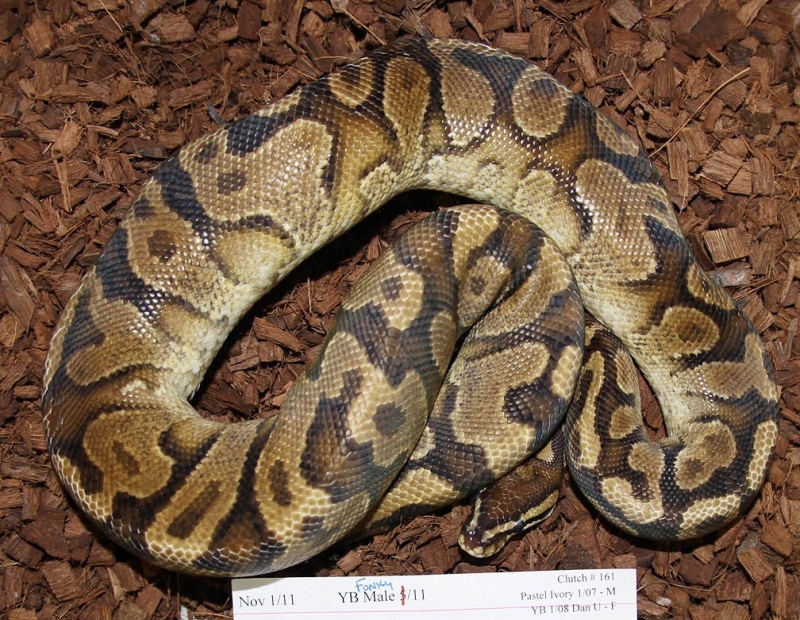 Description: Pastel Champagne Het Pied 1/13 x Het RA Het Pied 8/10. There is no Lucy in this clutch. 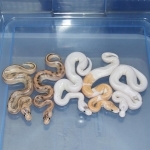 However, one of the animals is almost white. 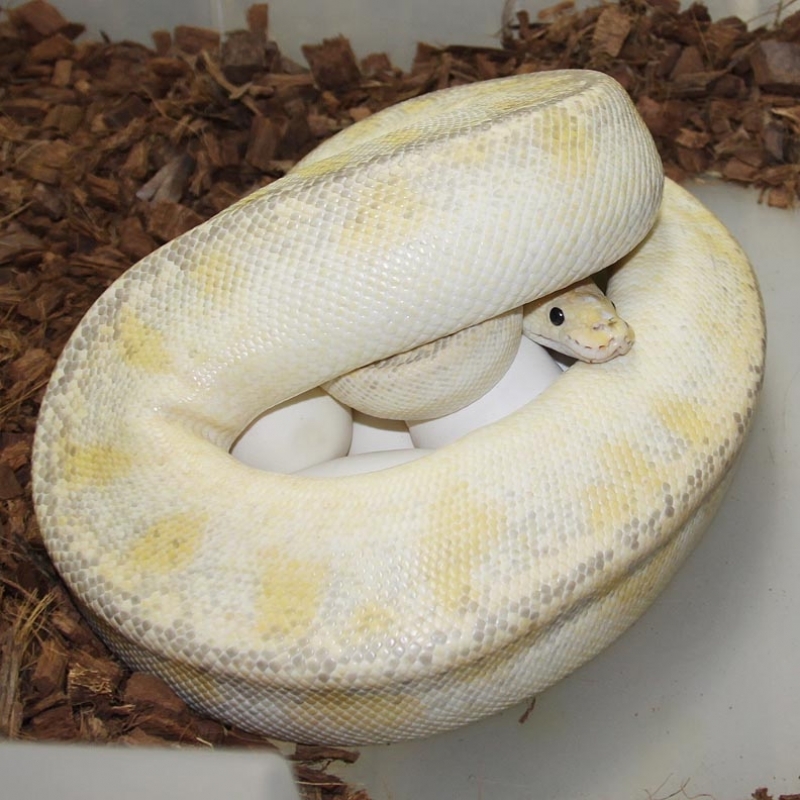 I'll wait to see what he looks like after a few sheds. Also, even though the Champagne HRA is a double ringer I don't believe he is a Het Pied. 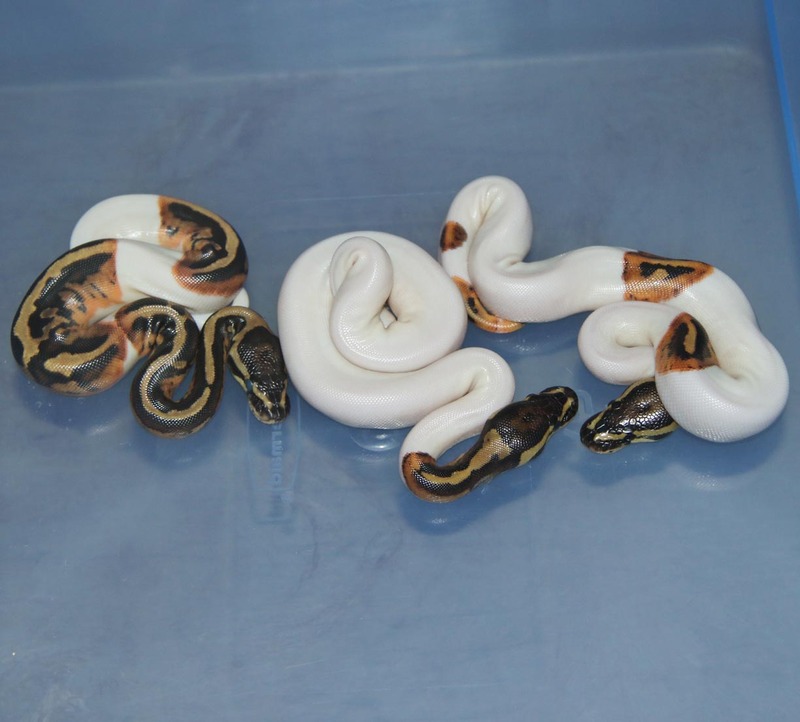 All of the Hed Pied Champs have had more white on them. I think he is just a ringer due to the HRA and not the Het Pied. 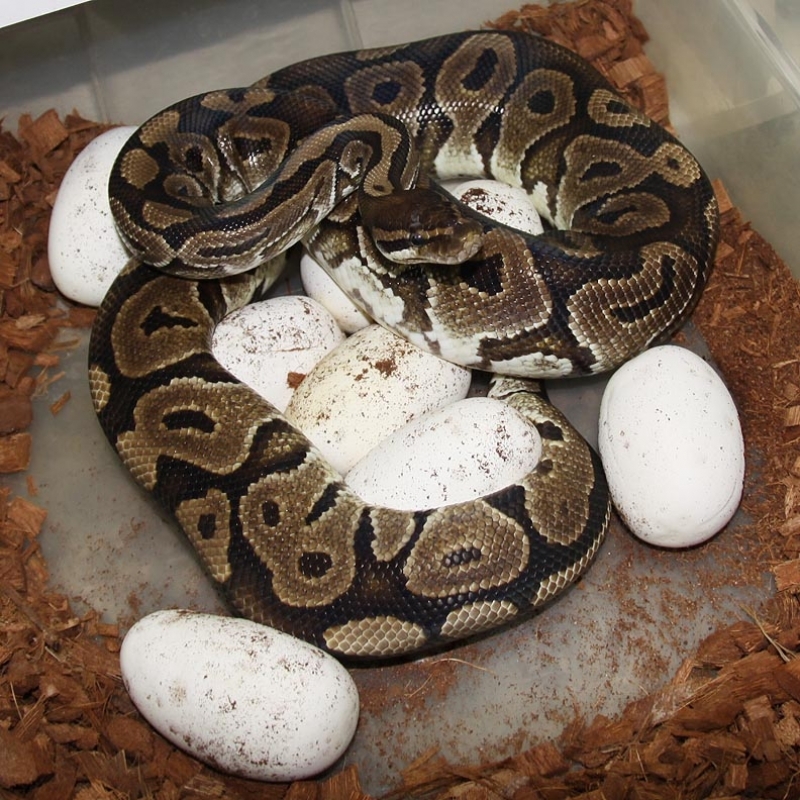 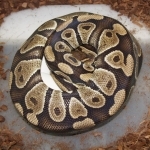 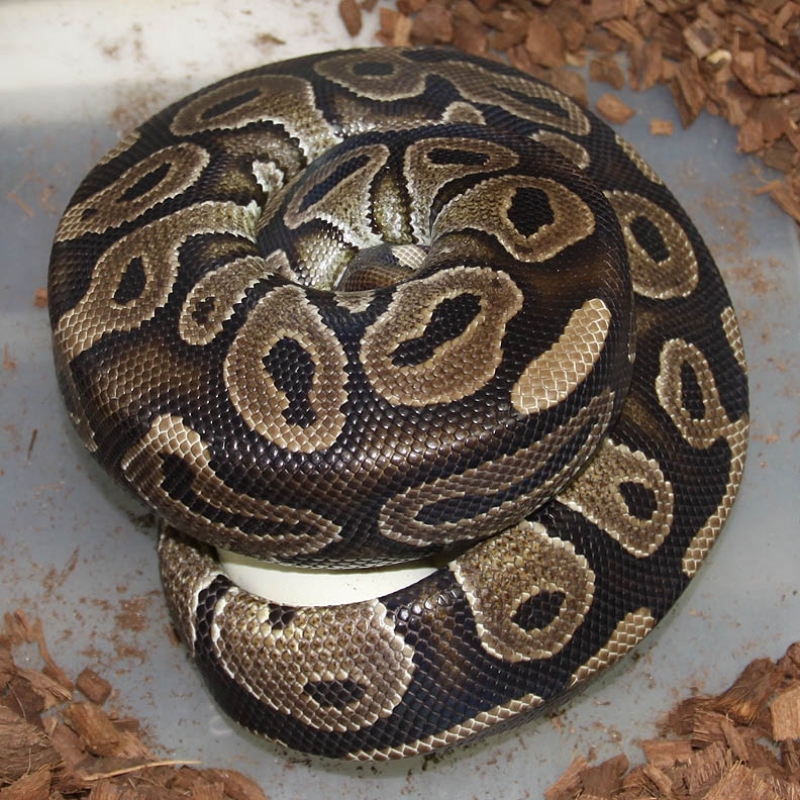 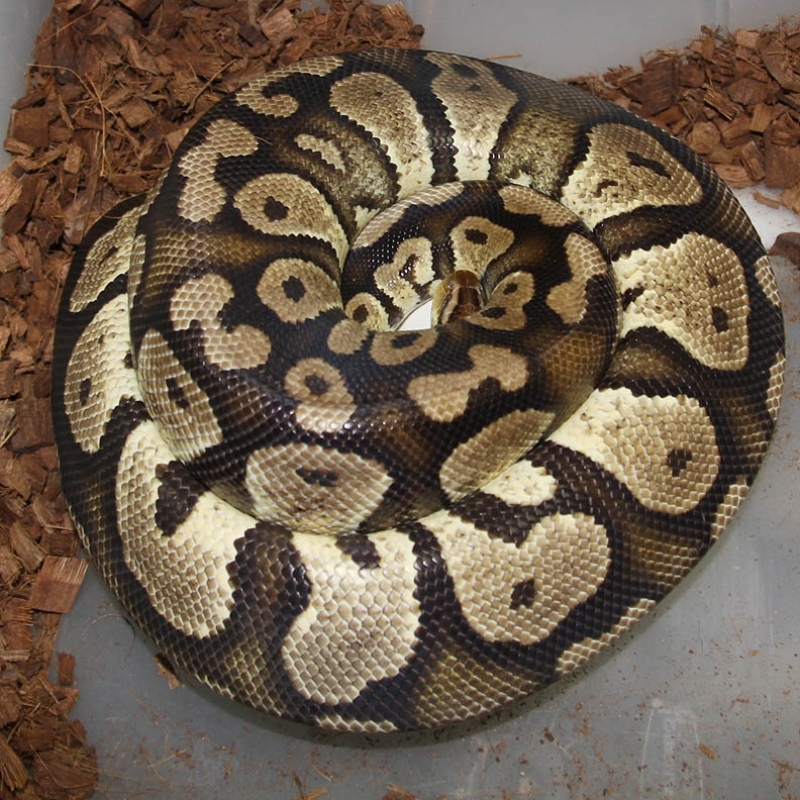 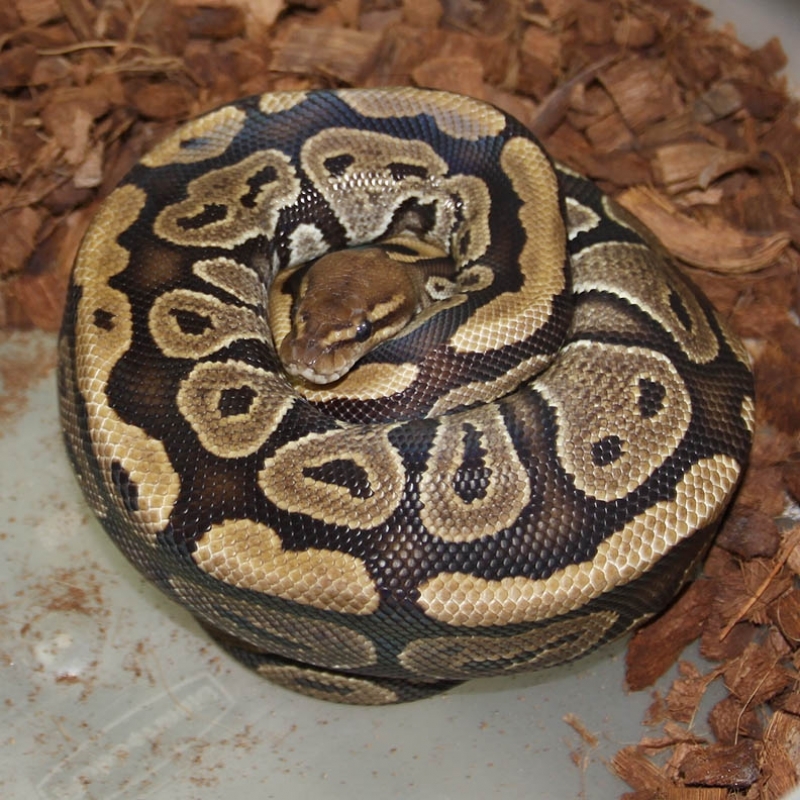 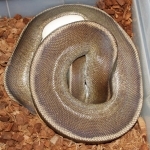 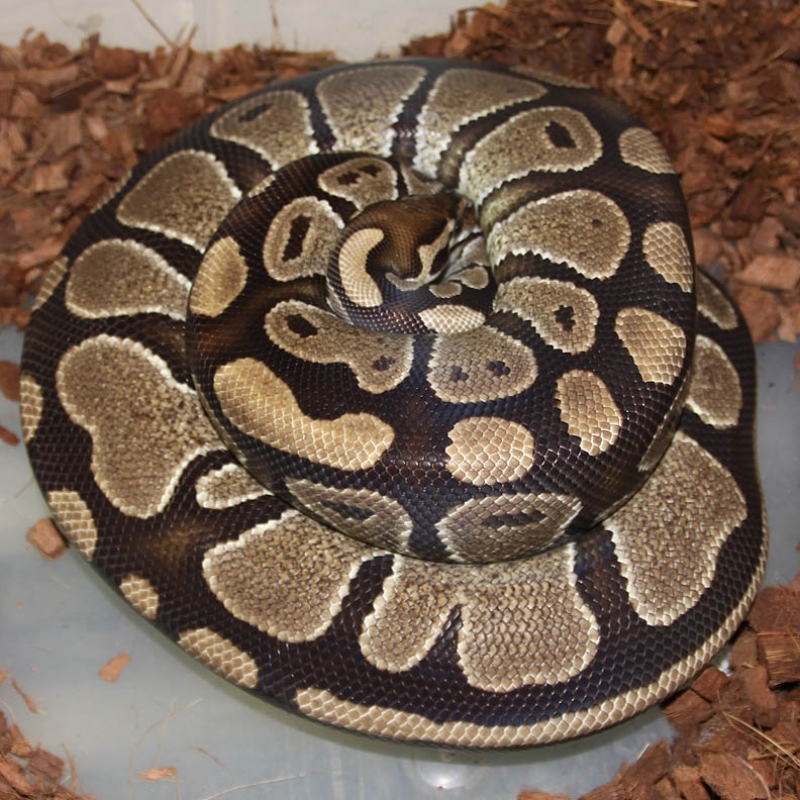 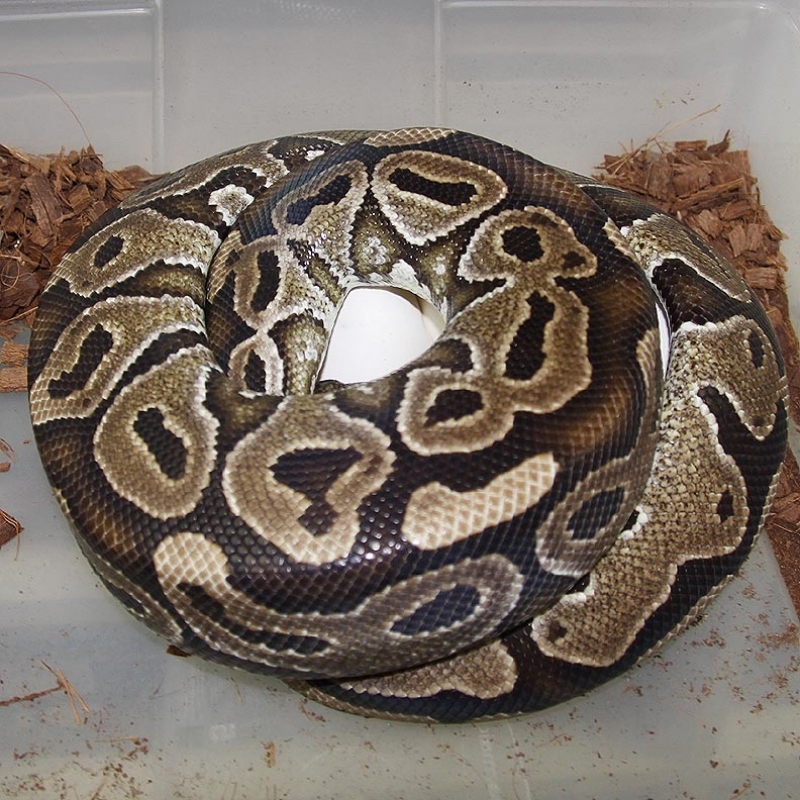 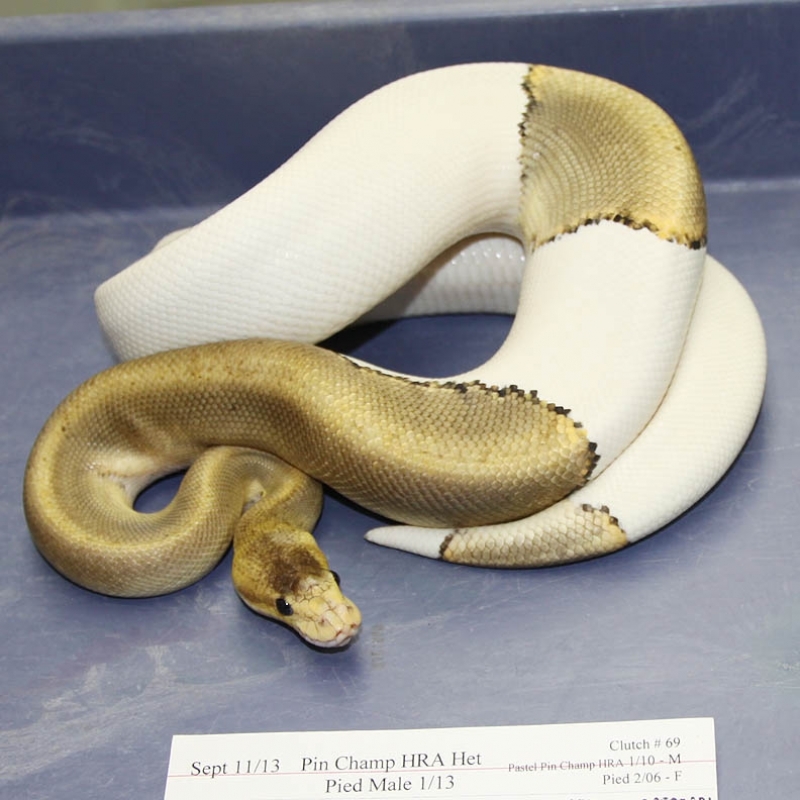 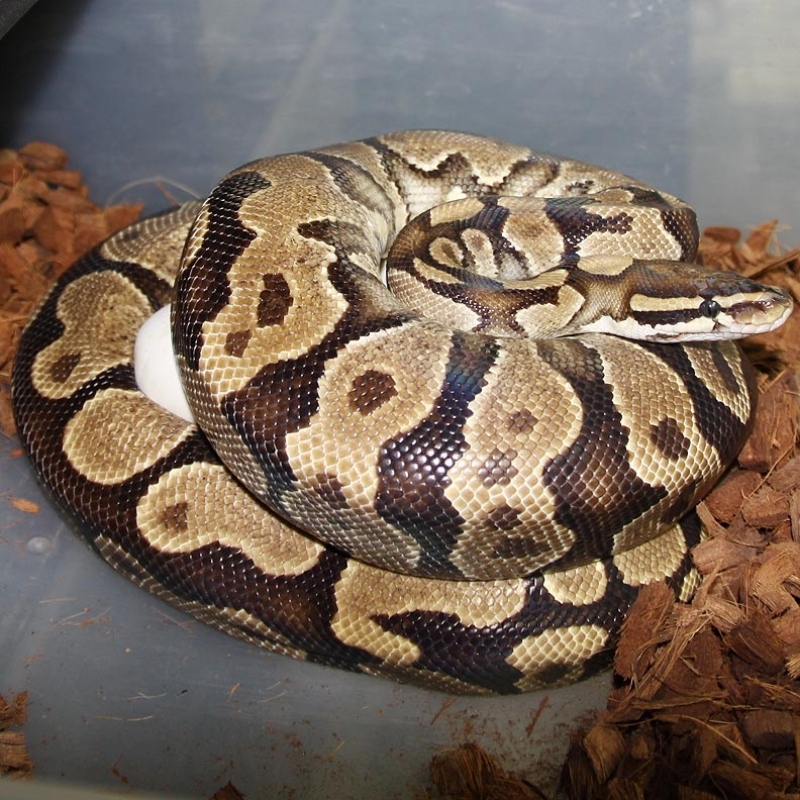 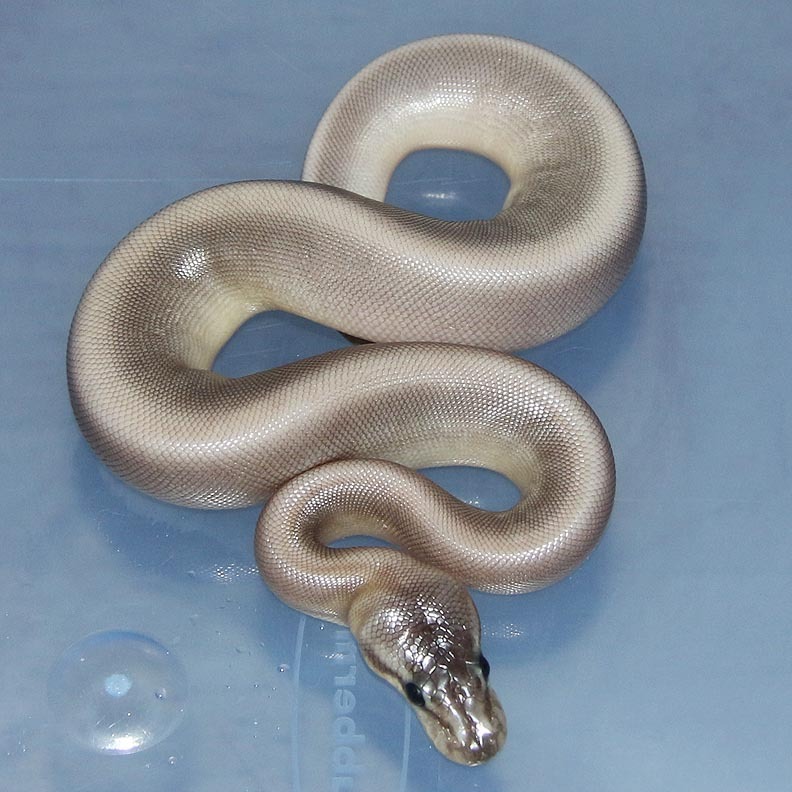 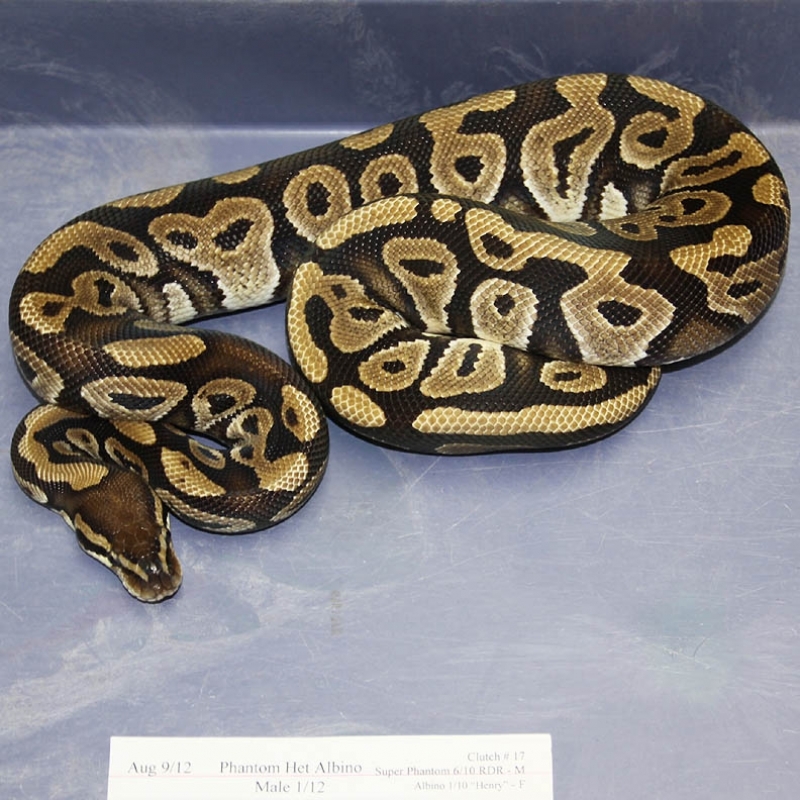 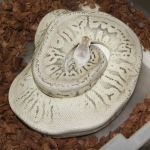 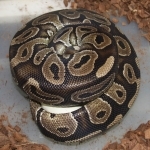 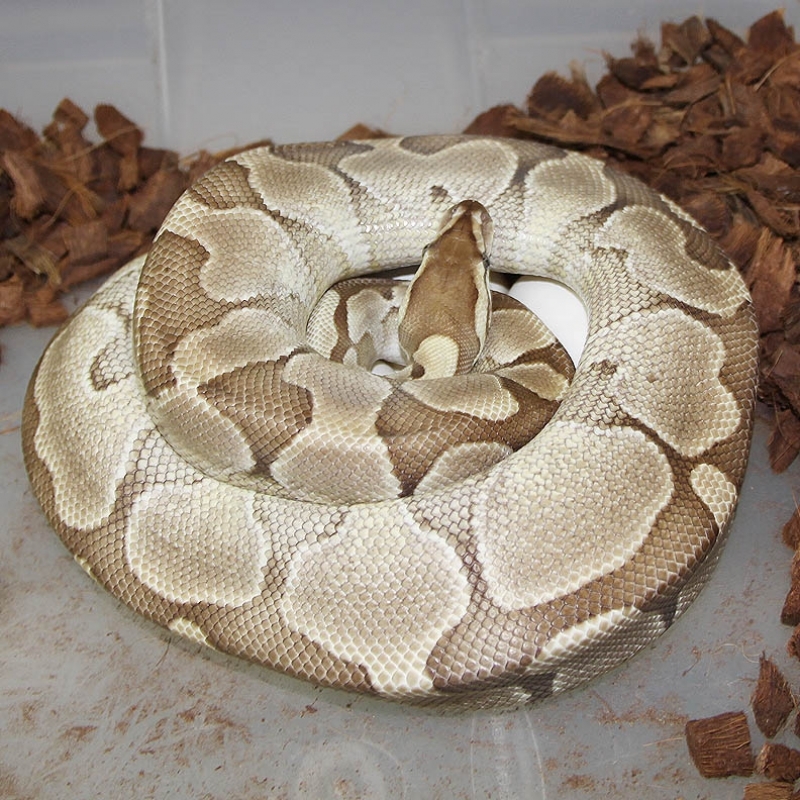 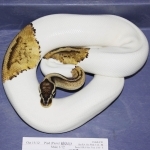 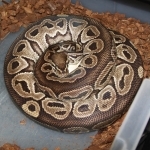 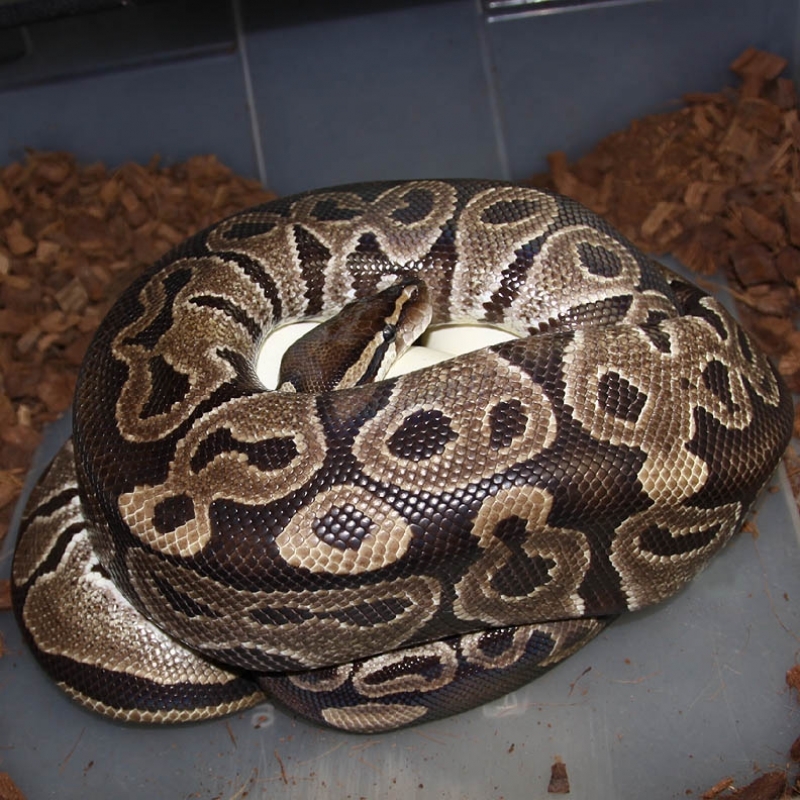 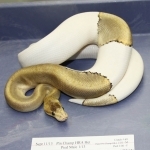 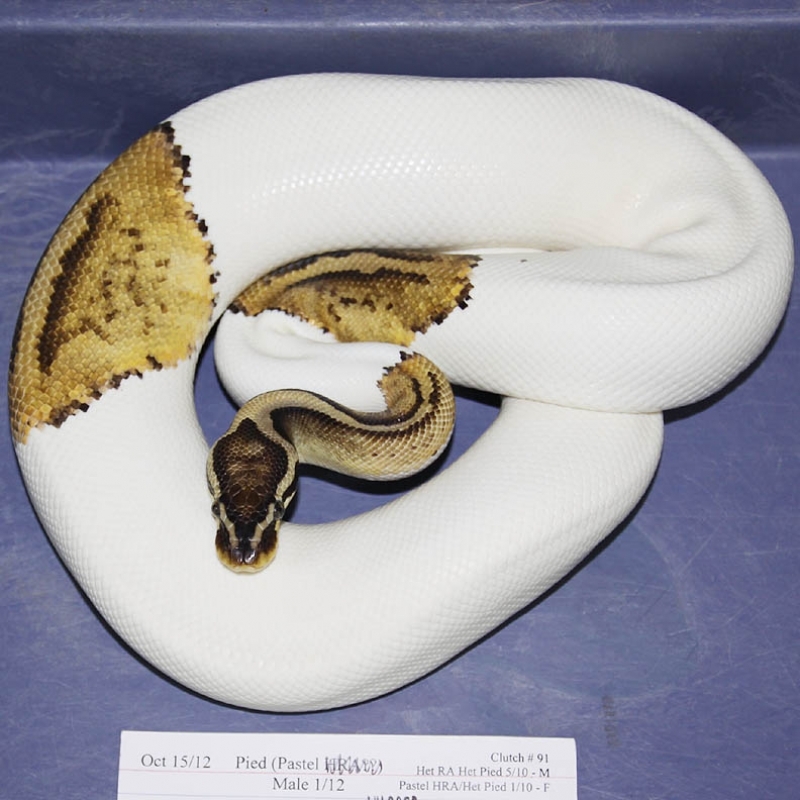 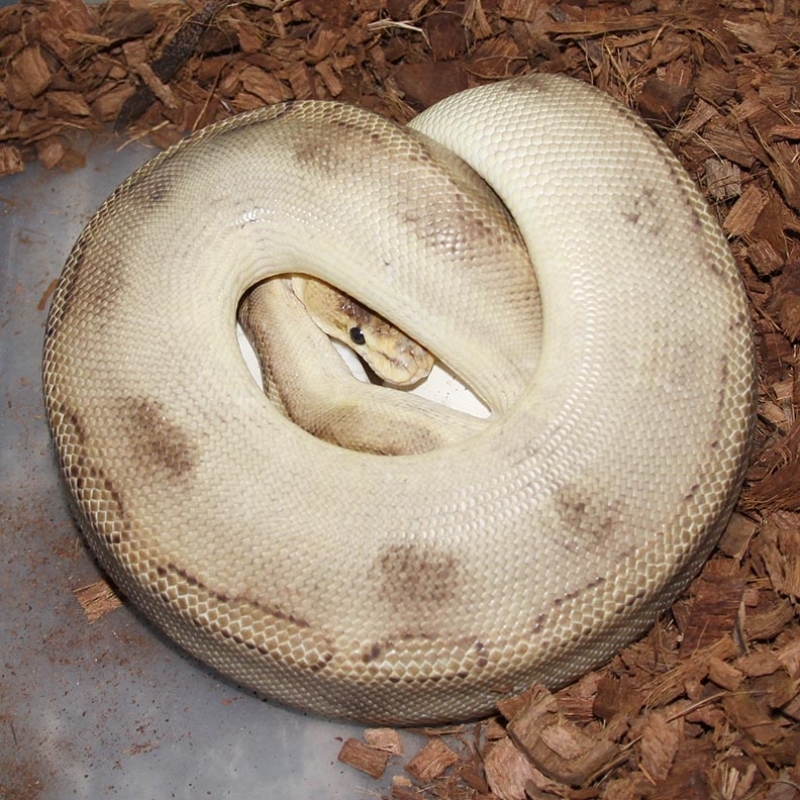 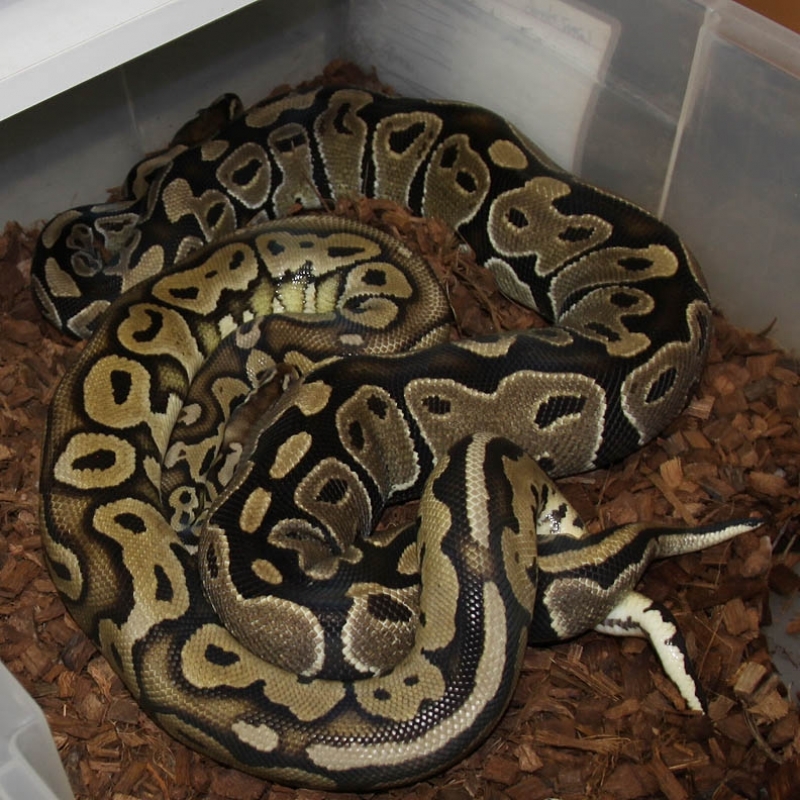 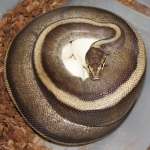 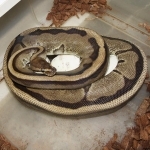 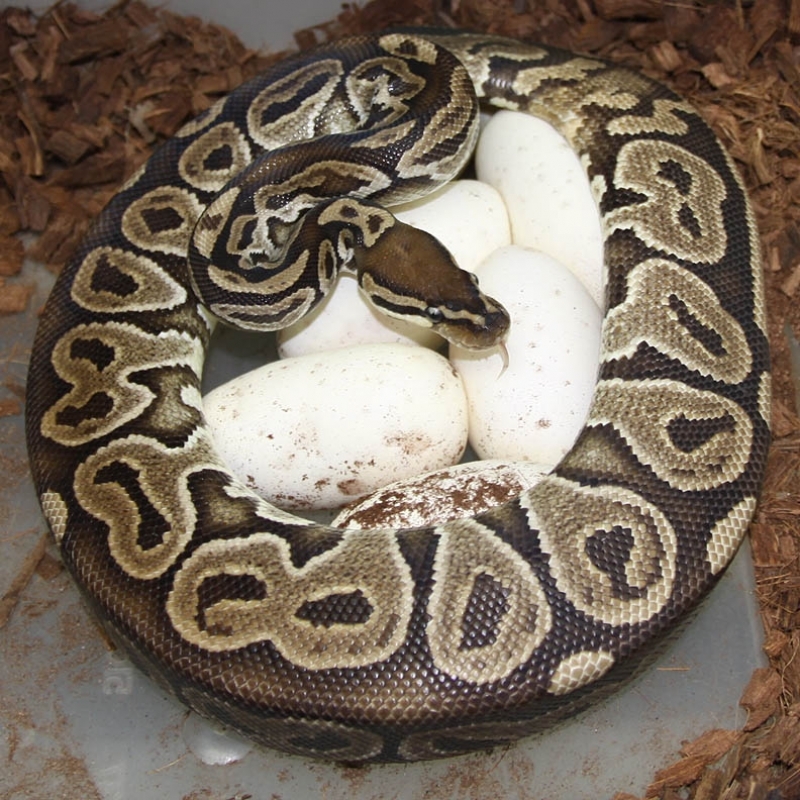 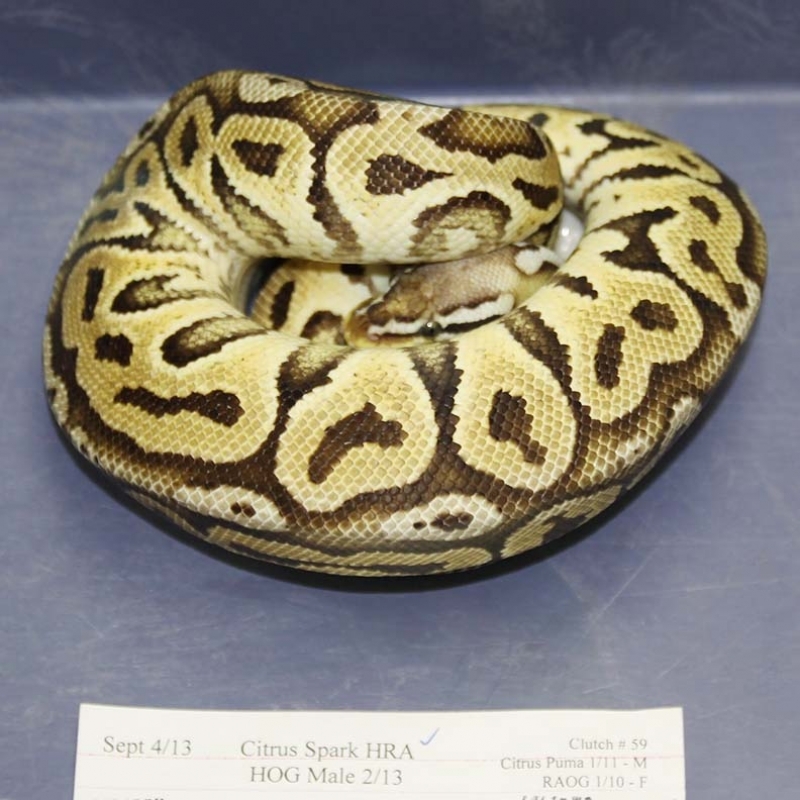 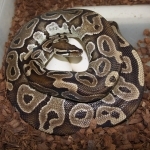 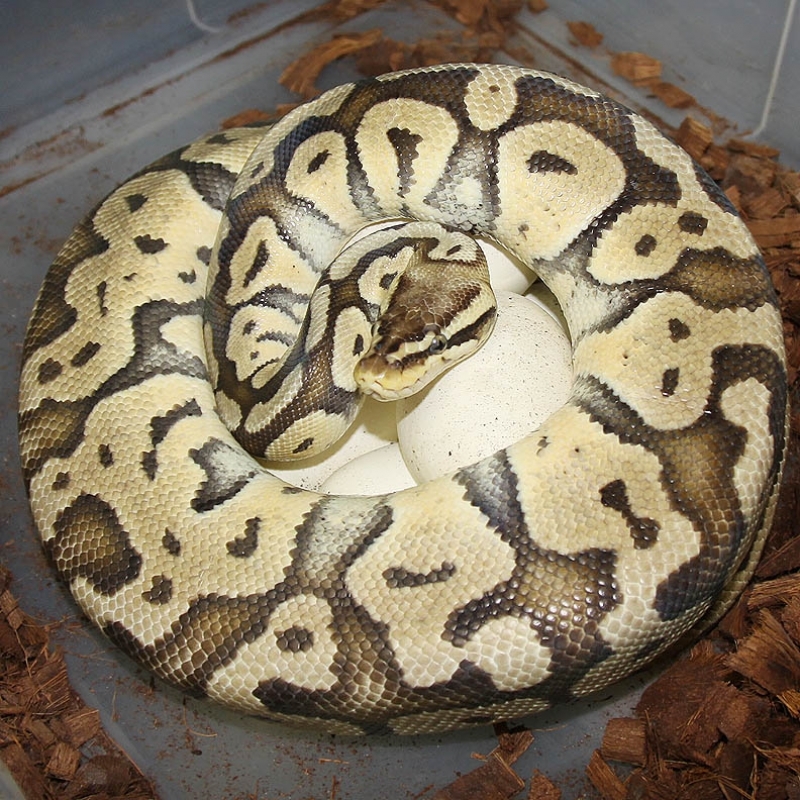 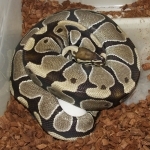 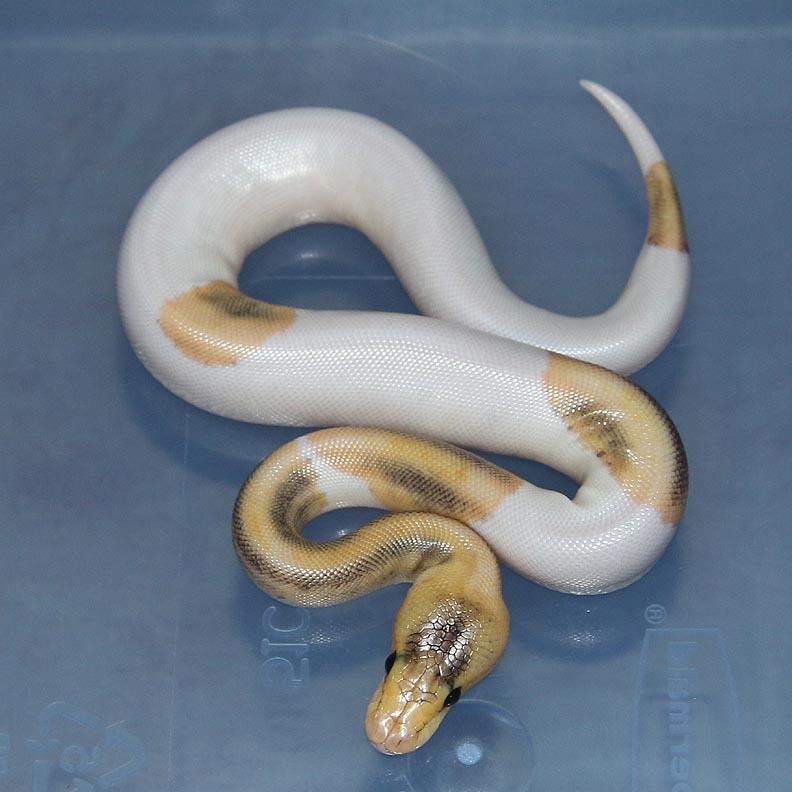 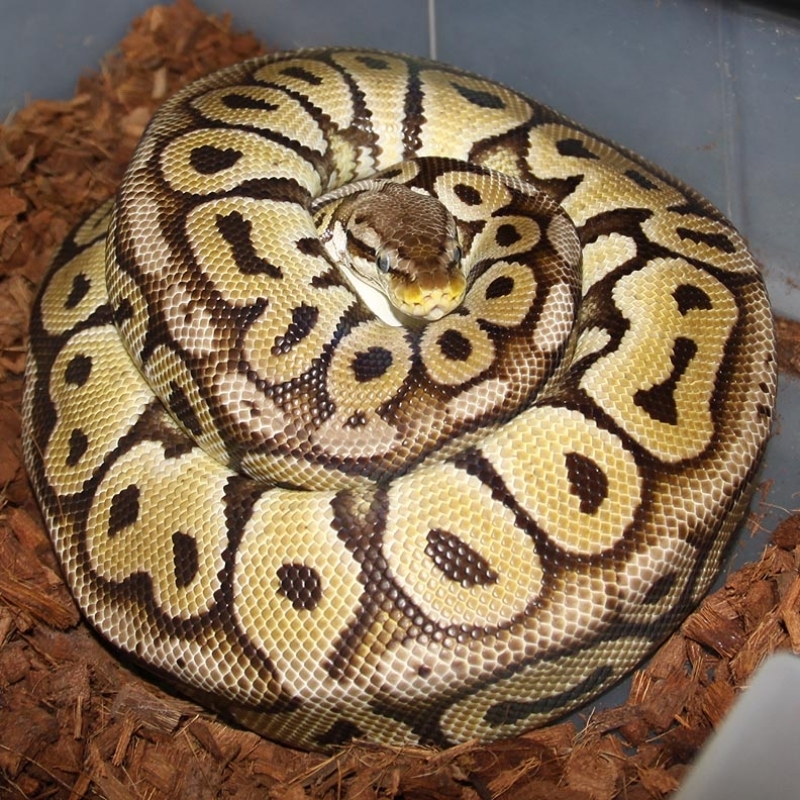 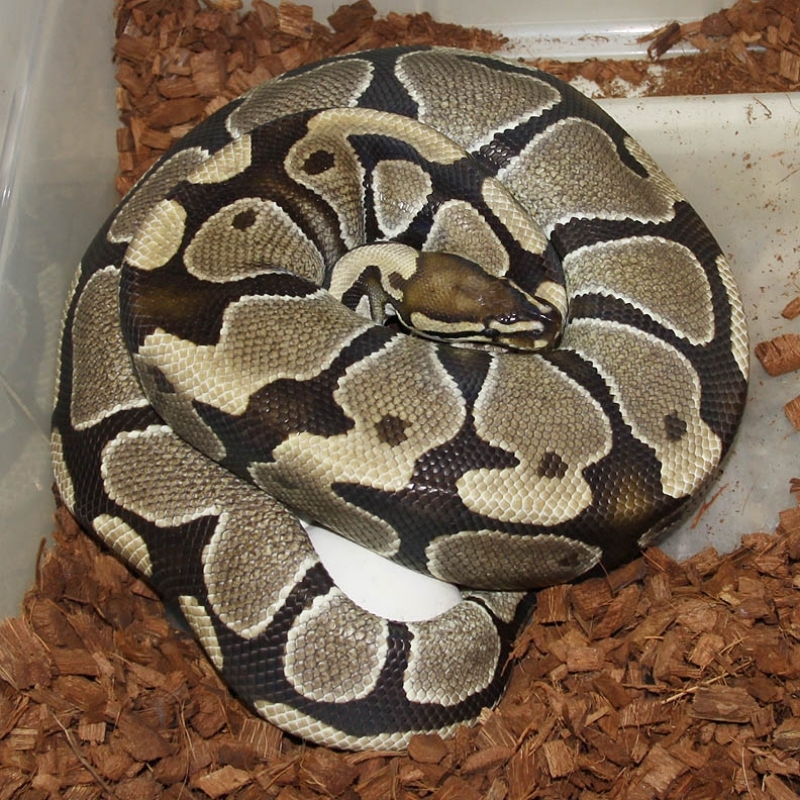 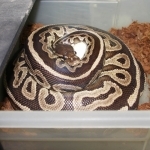 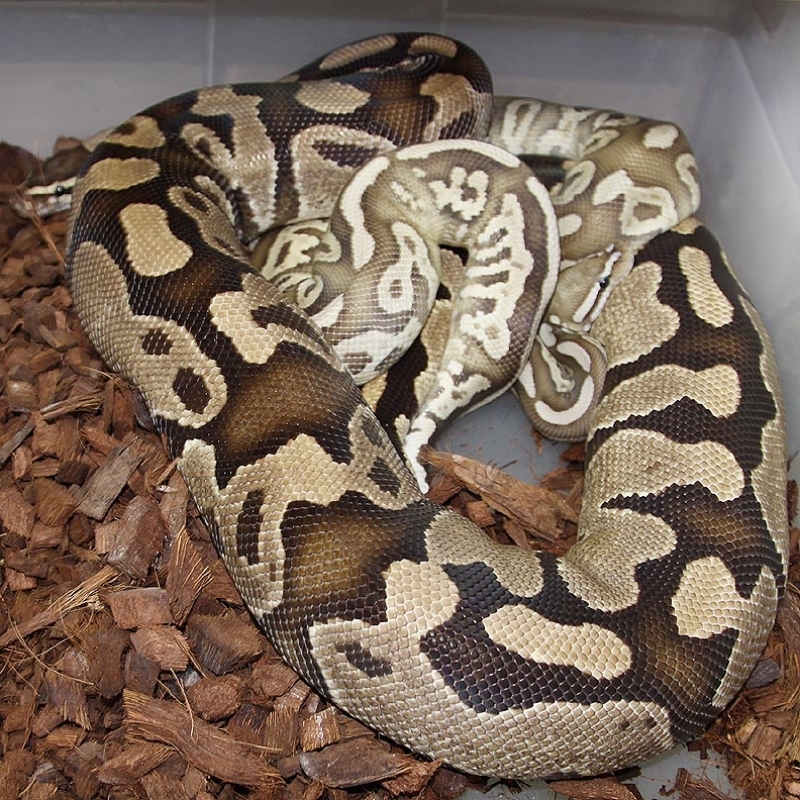 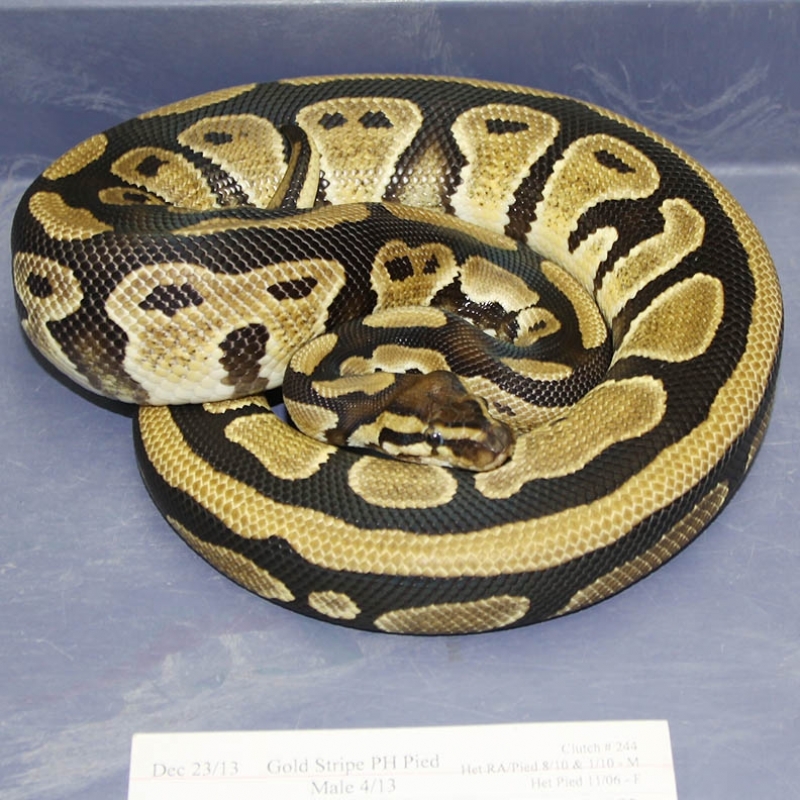 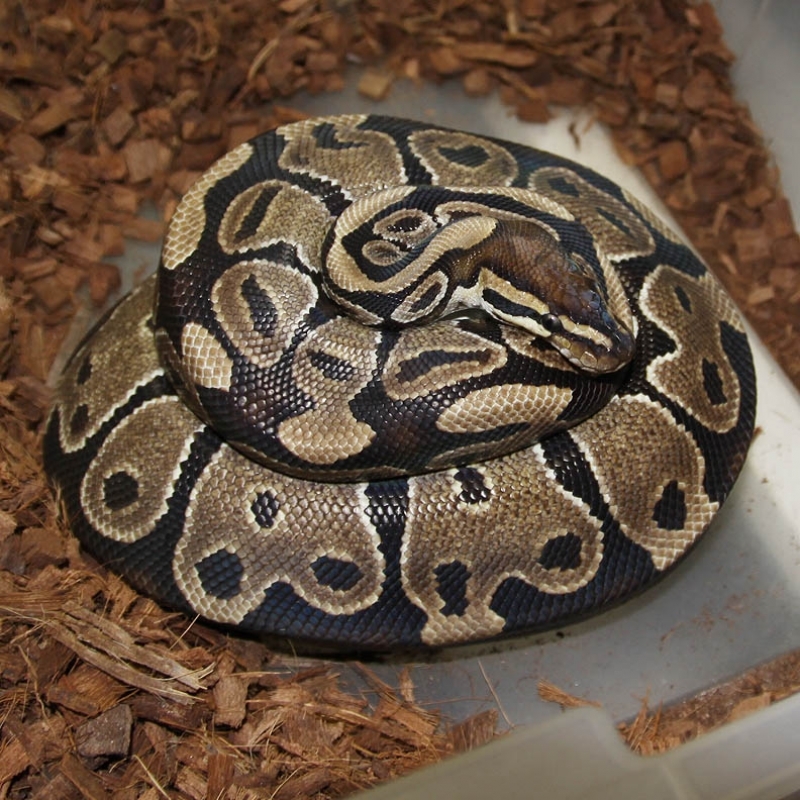 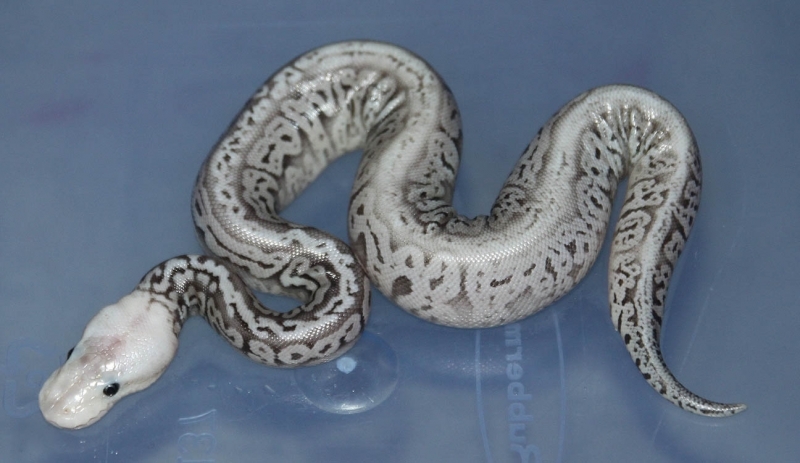 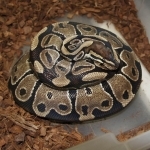 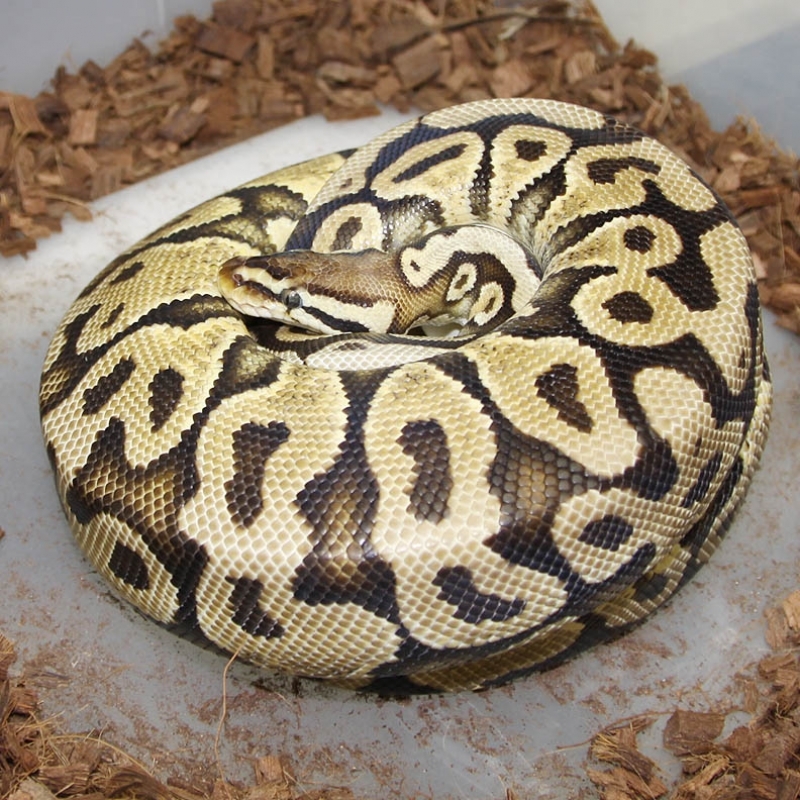 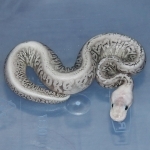 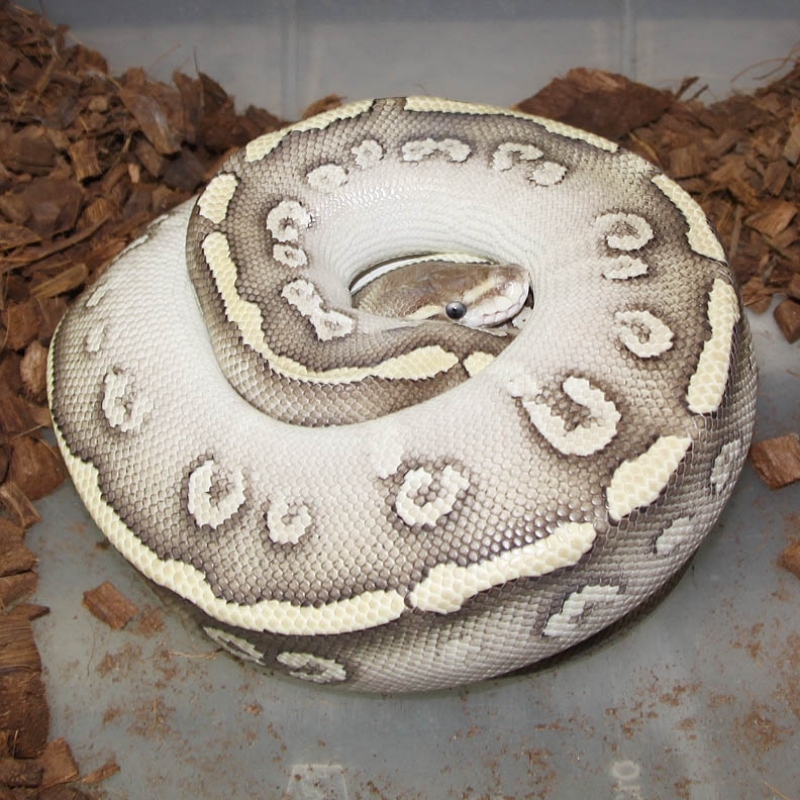 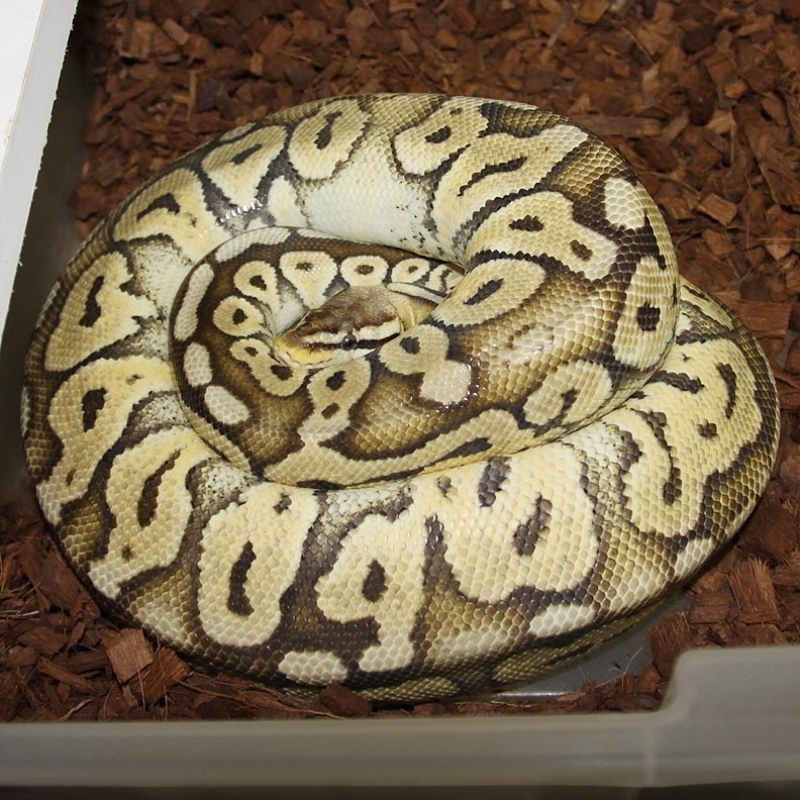 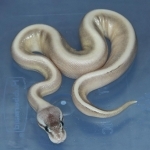 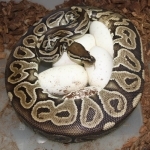 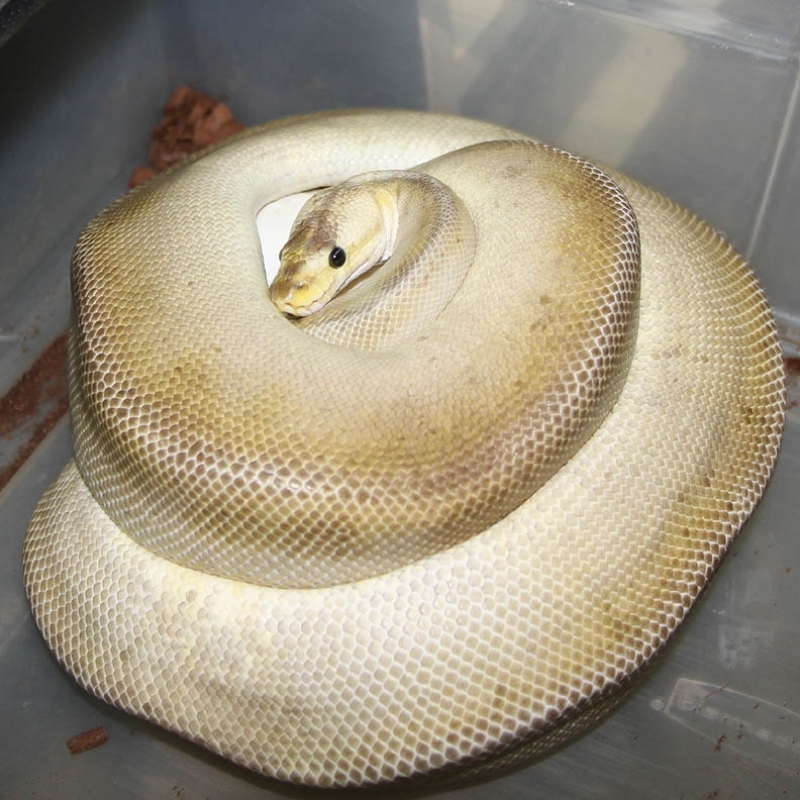 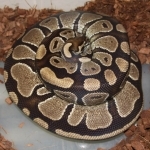 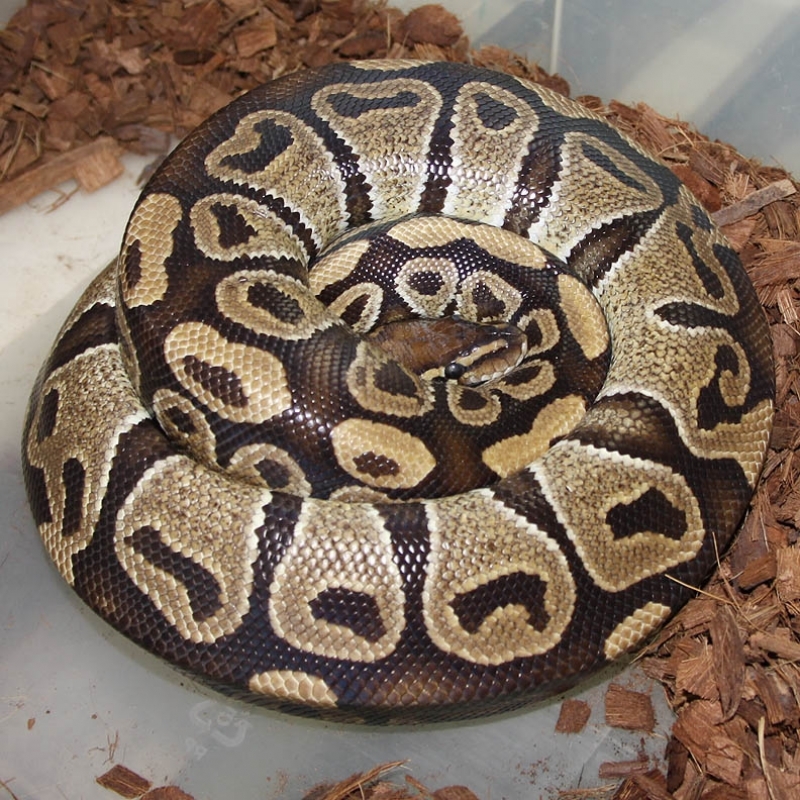 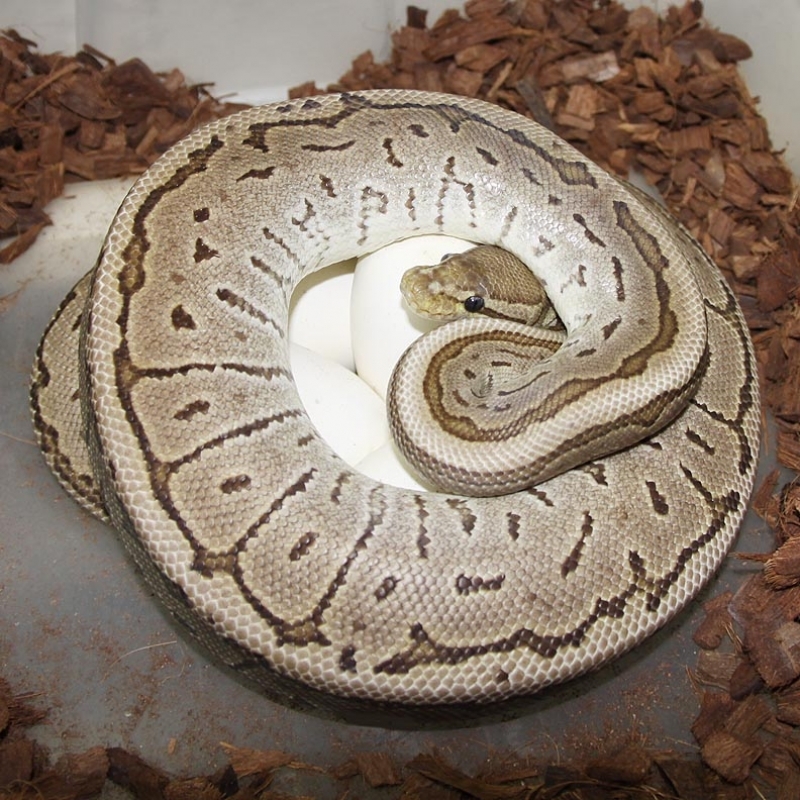 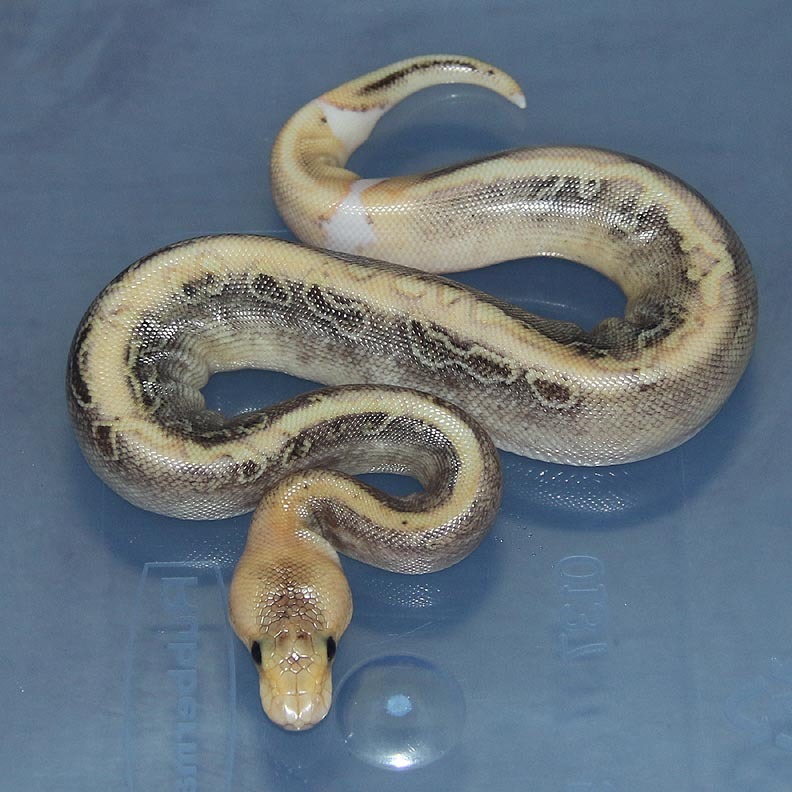 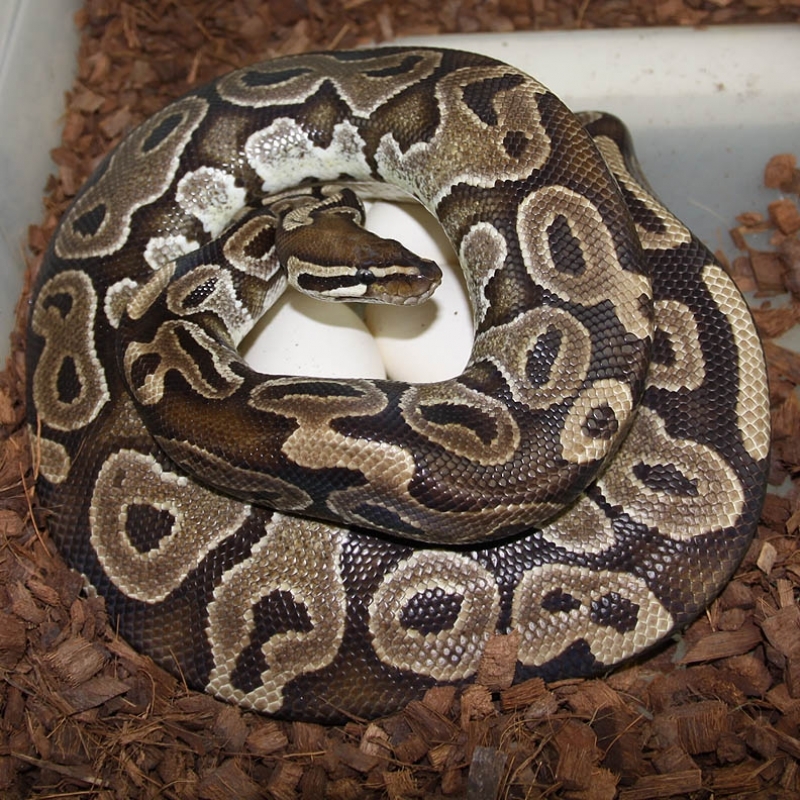 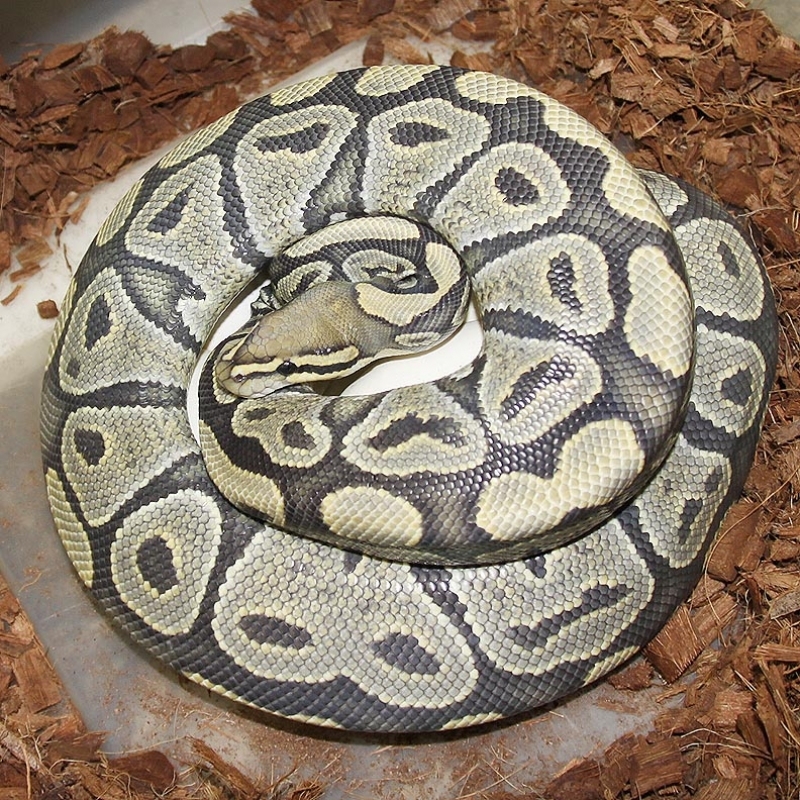 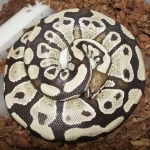 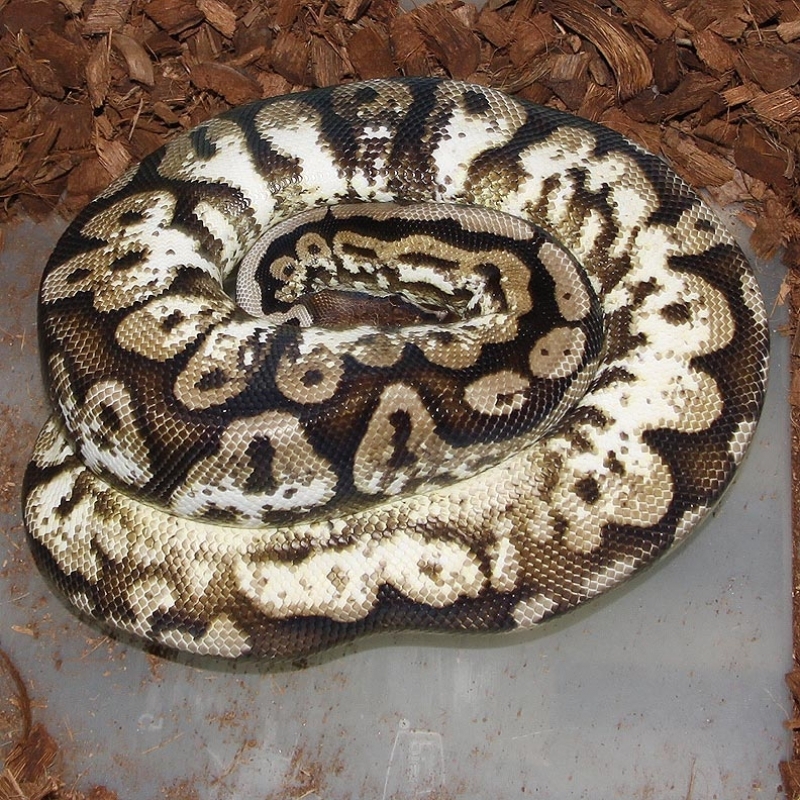 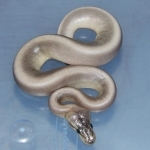 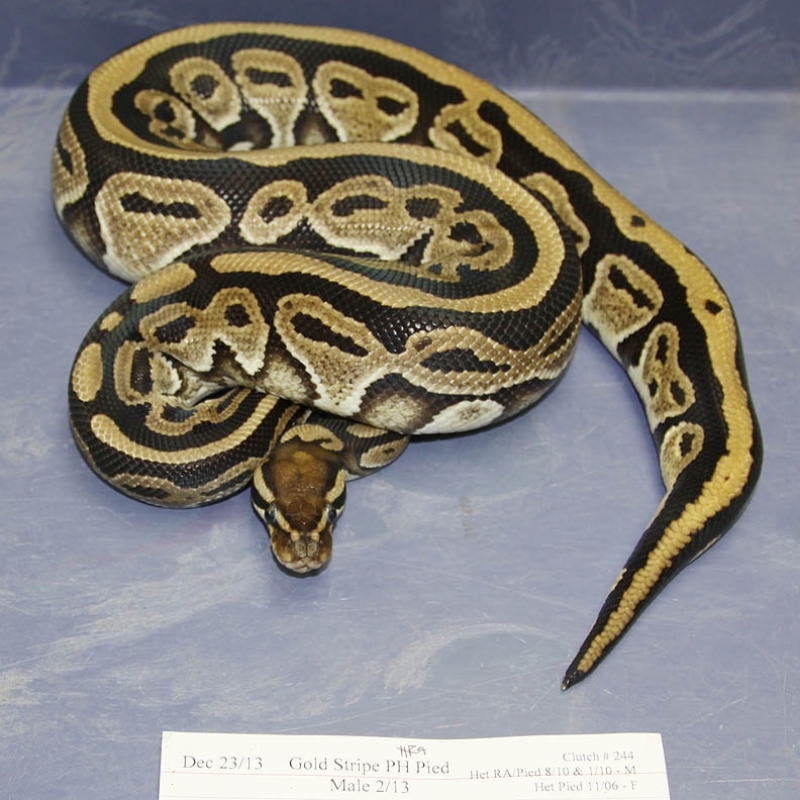 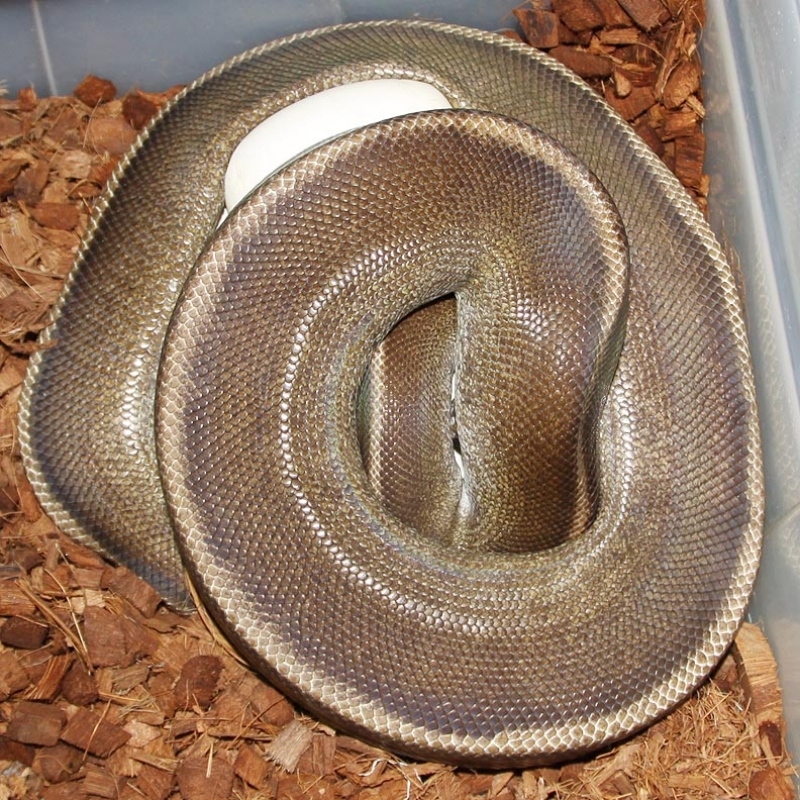 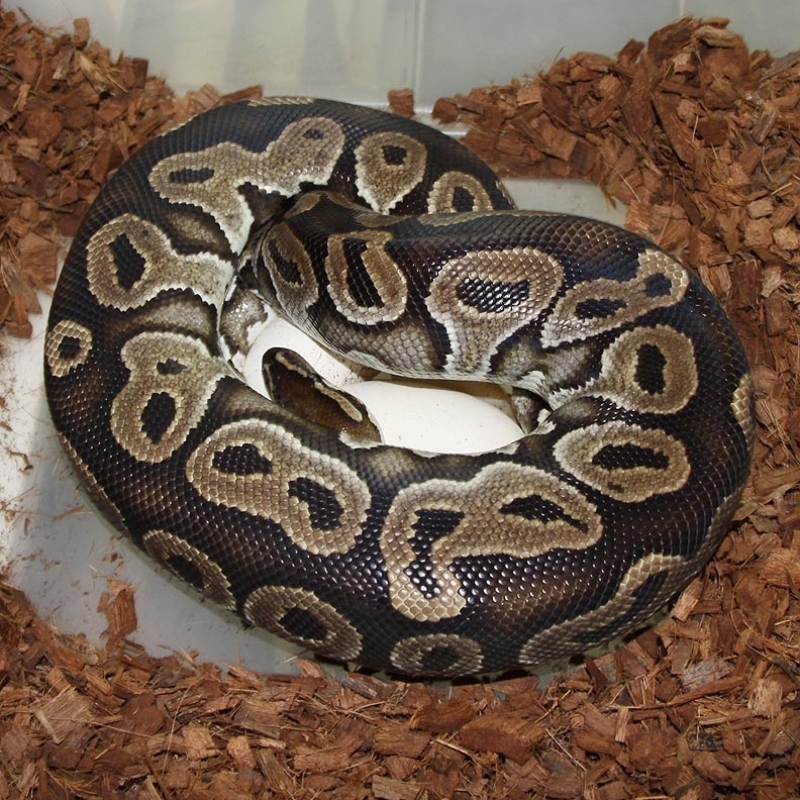 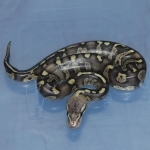 Description: Pinstripe Champagne Het RA Het Pied 1/13 x Het RA Het Pied 11/10. 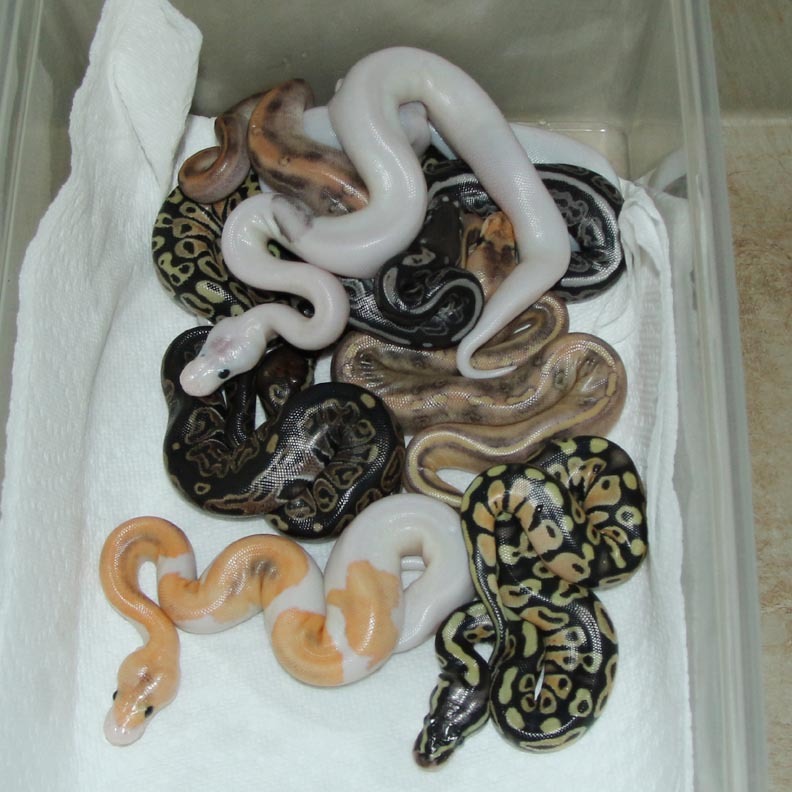 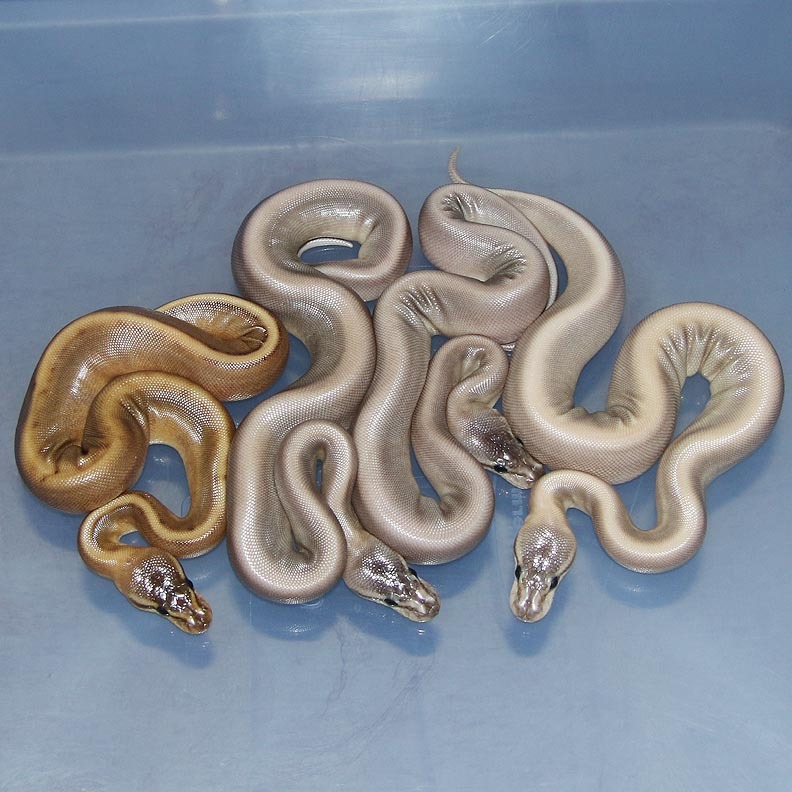 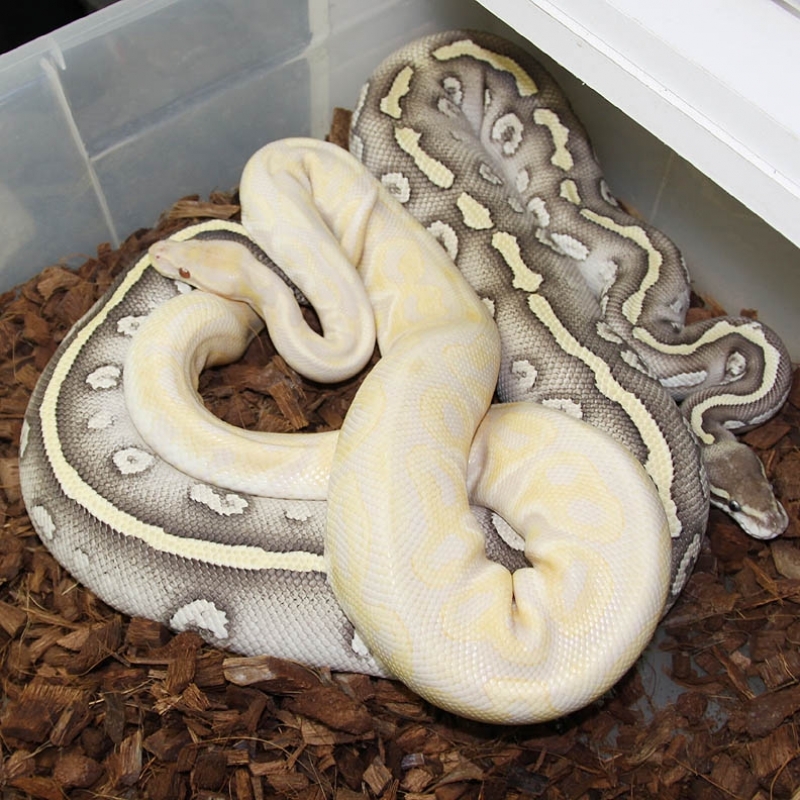 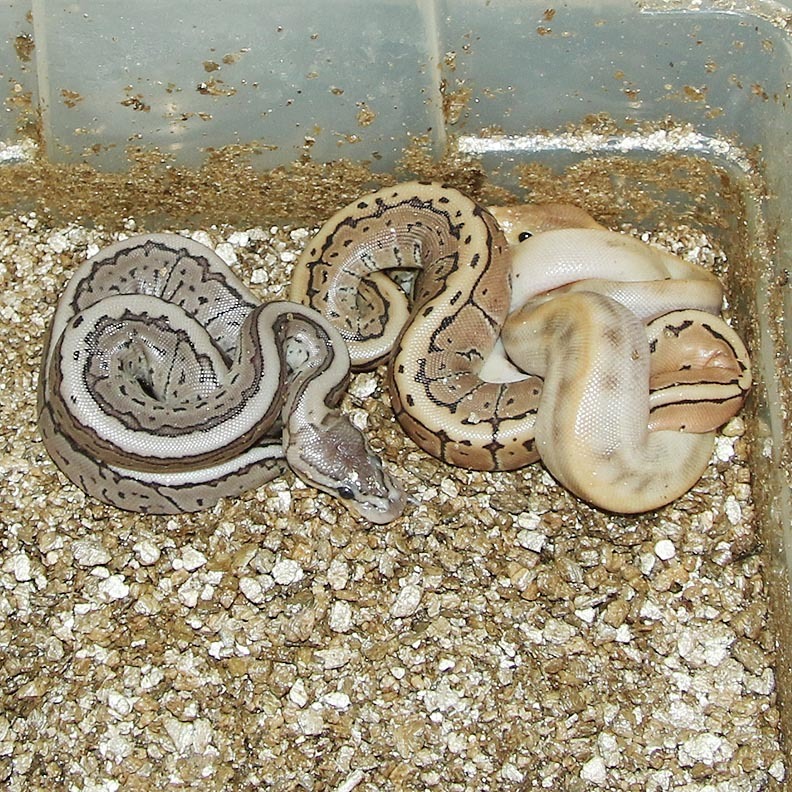 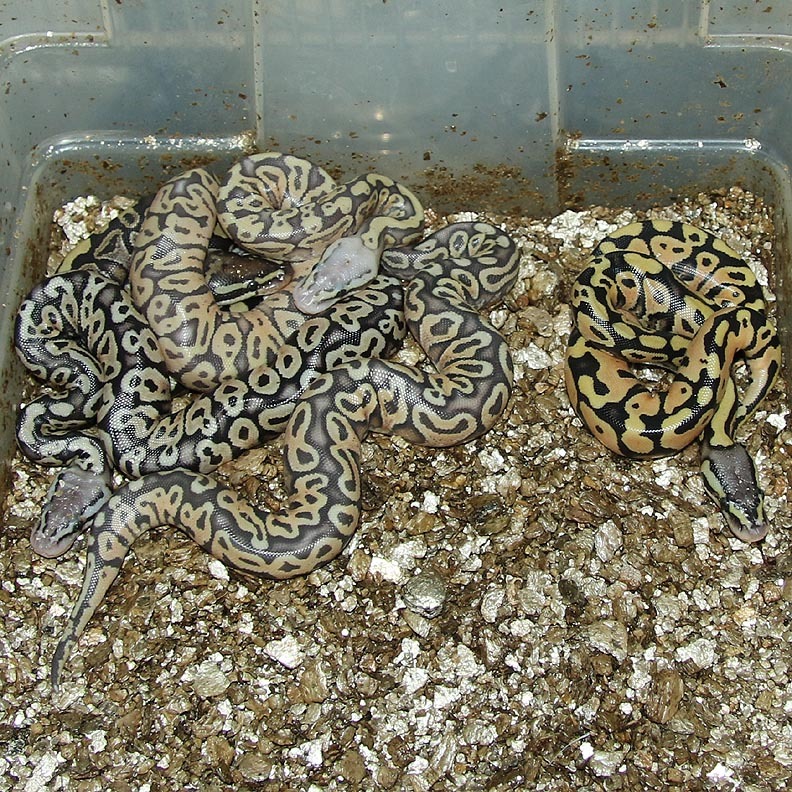 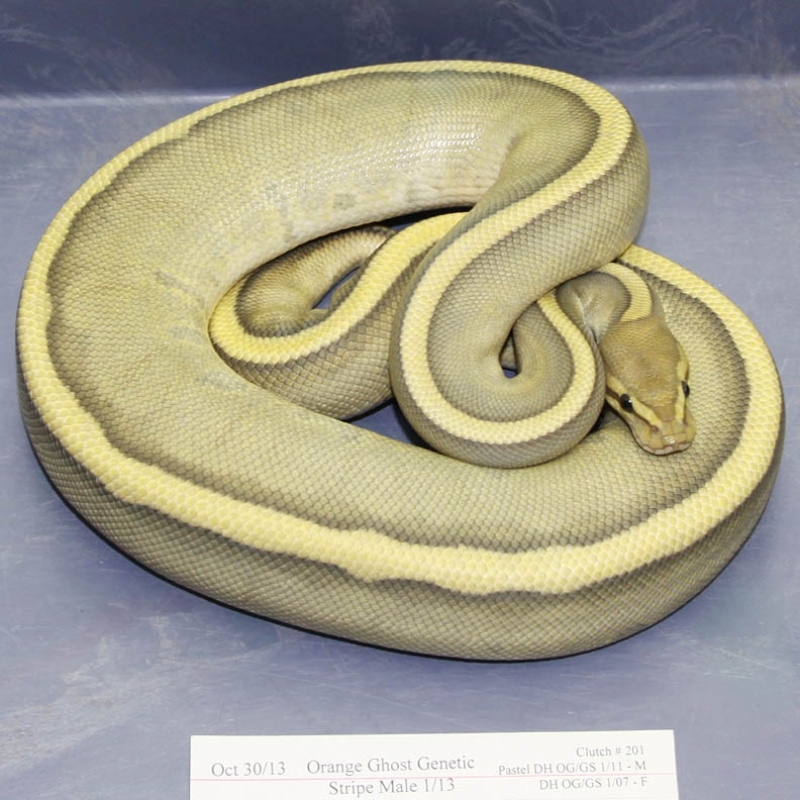 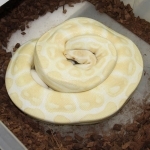 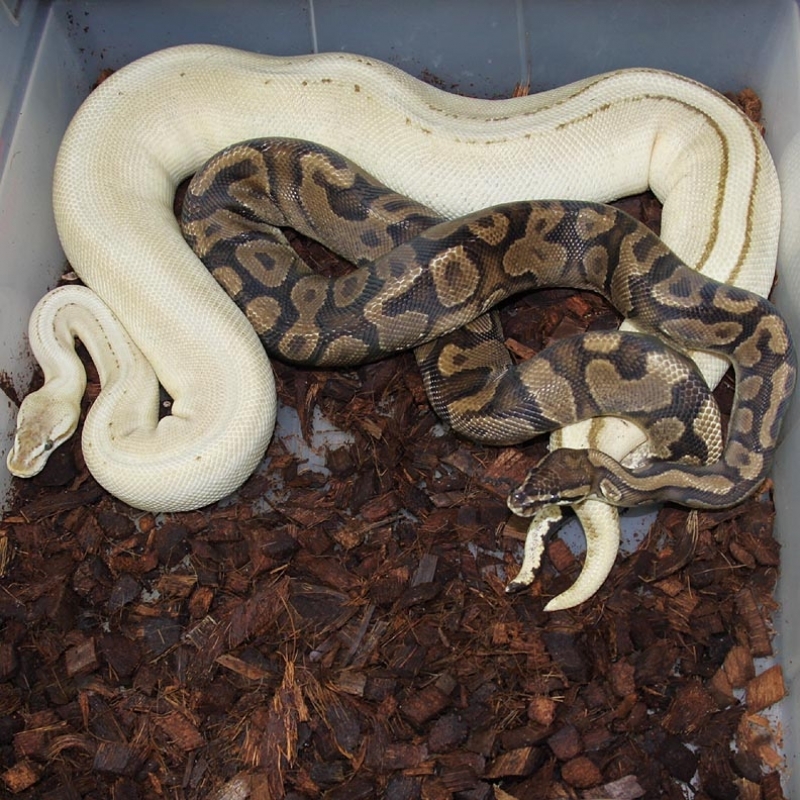 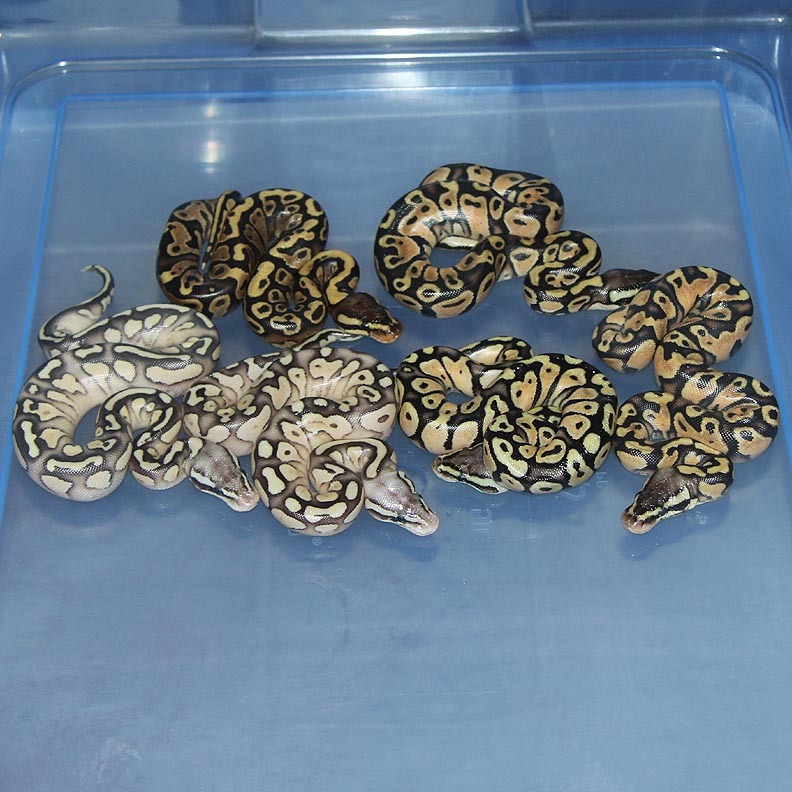 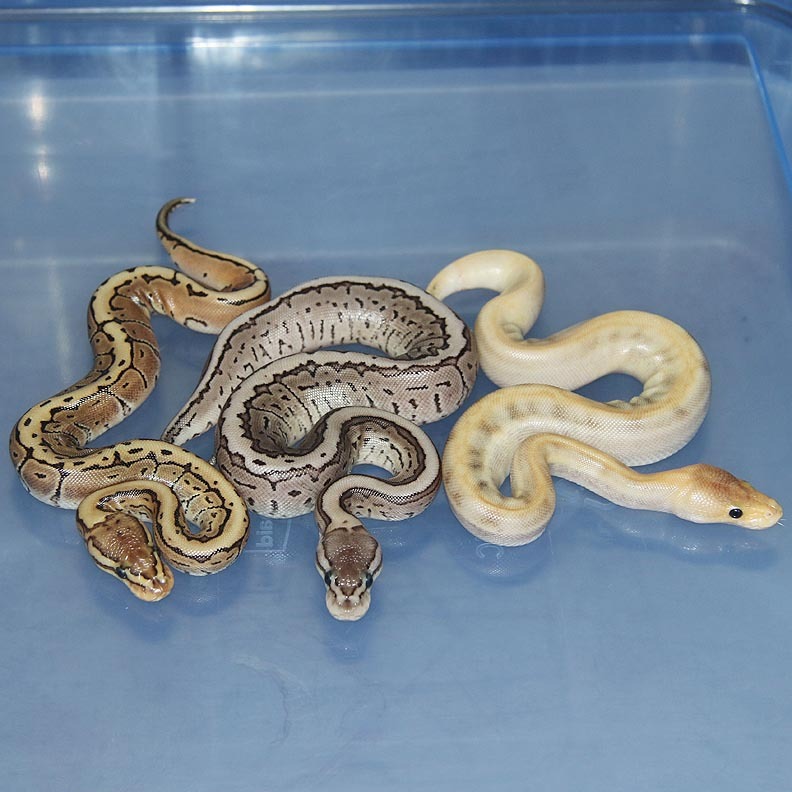 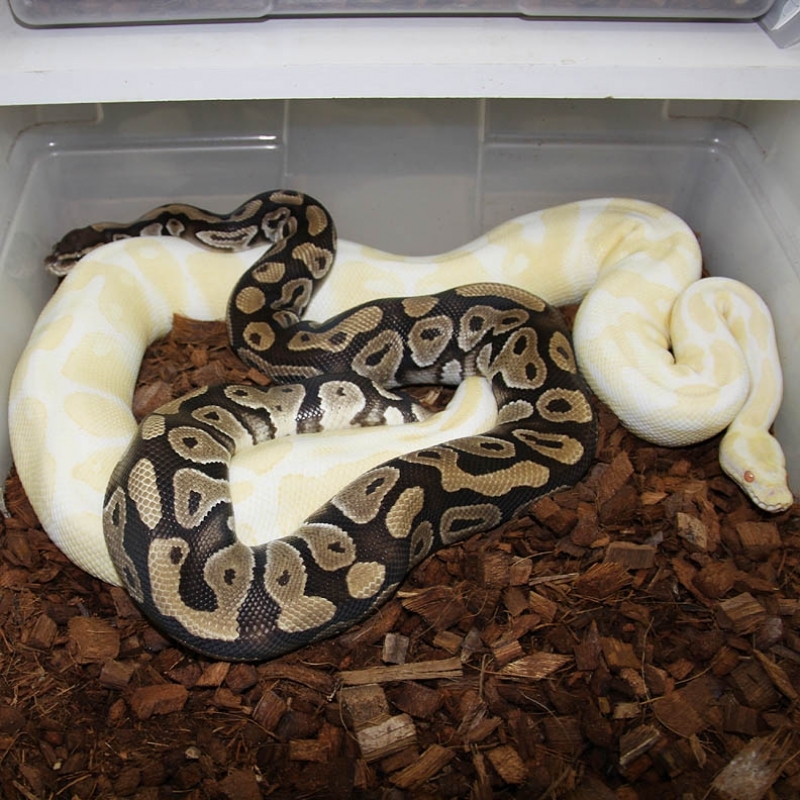 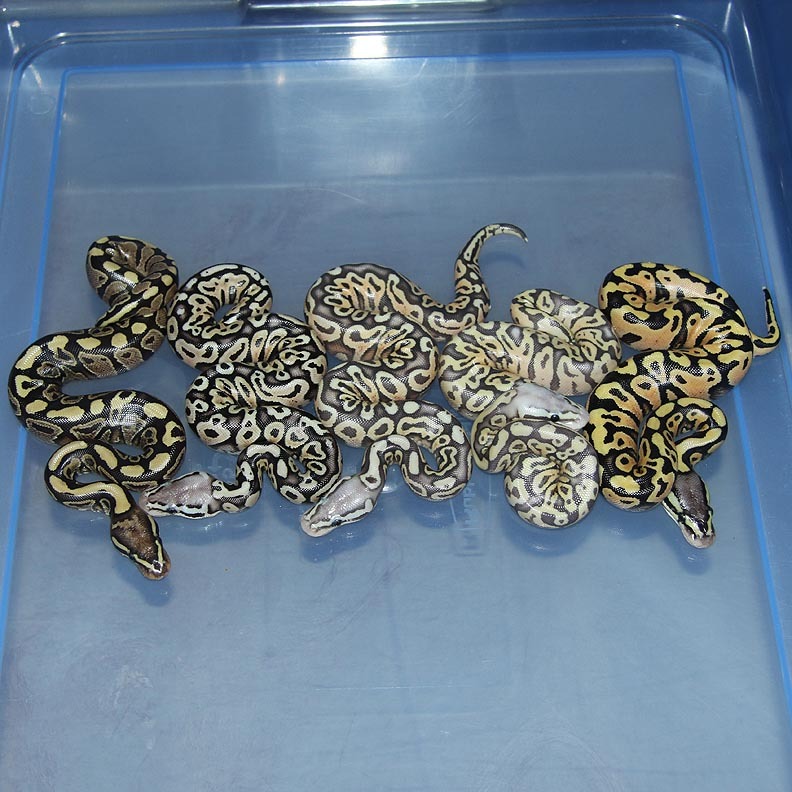 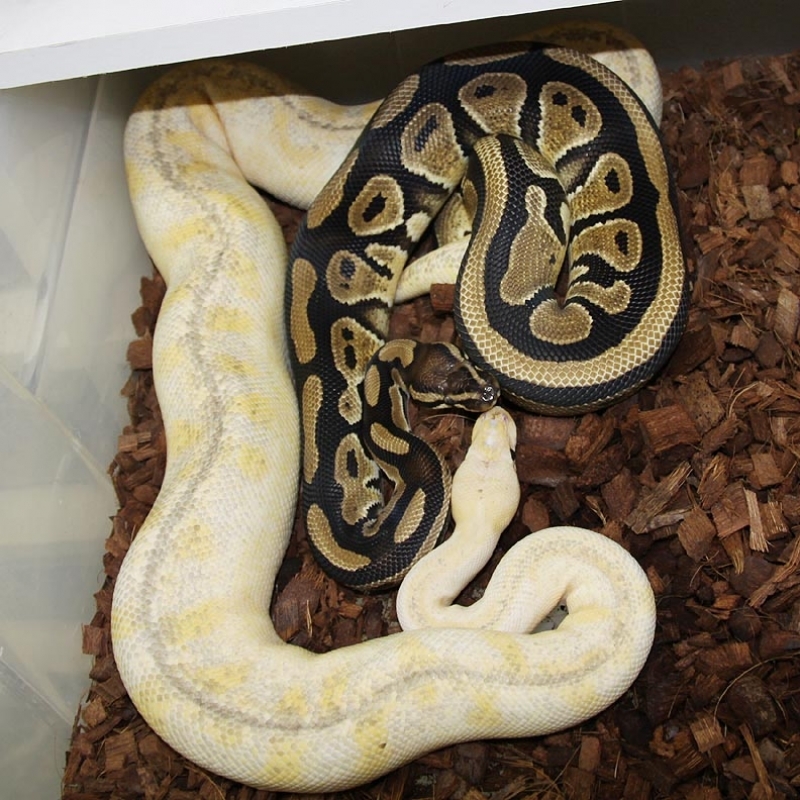 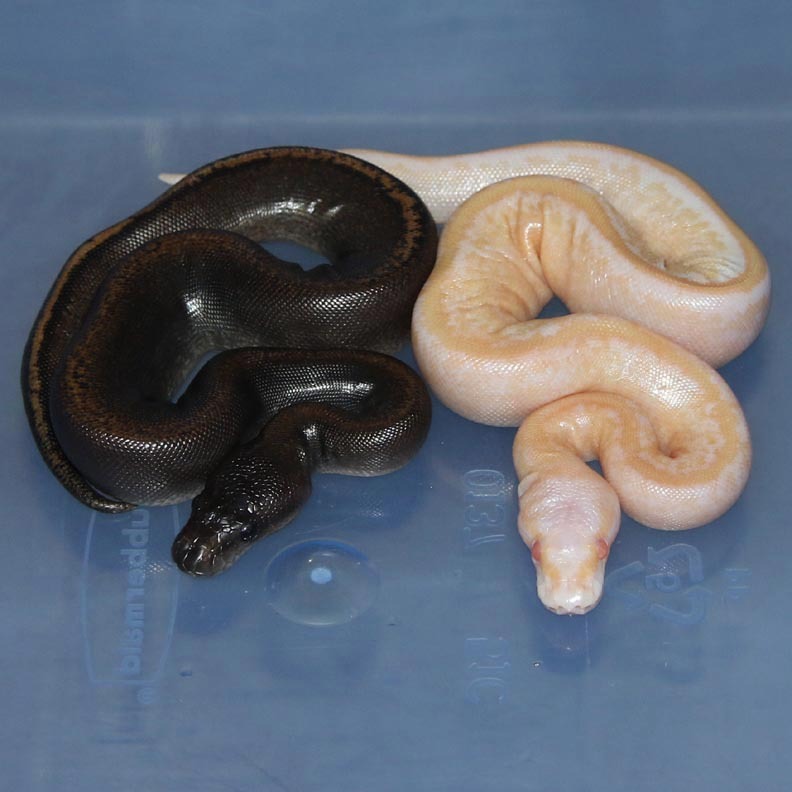 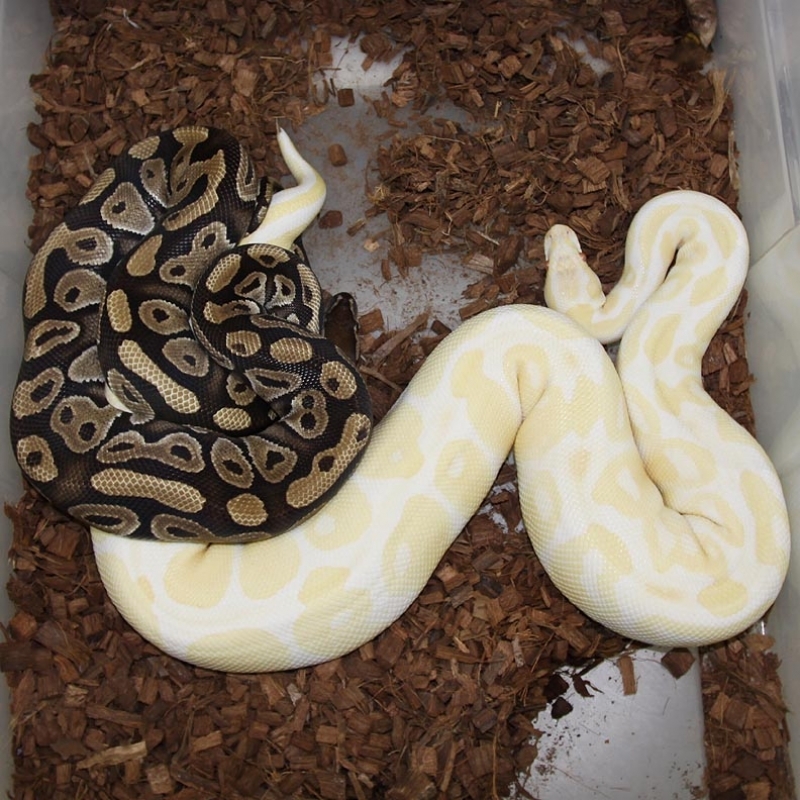 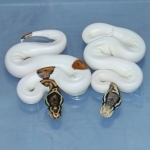 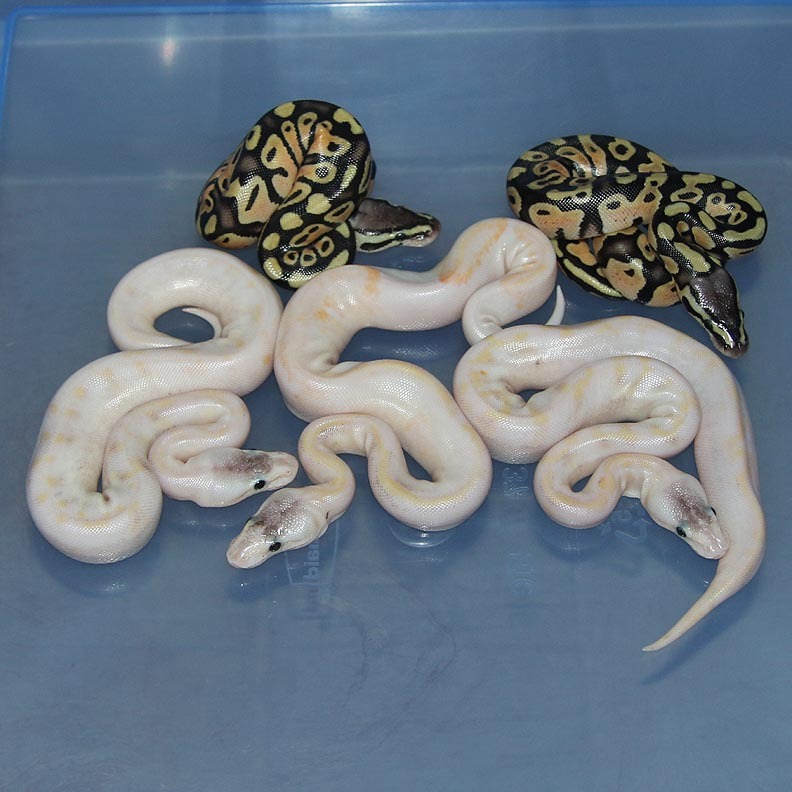 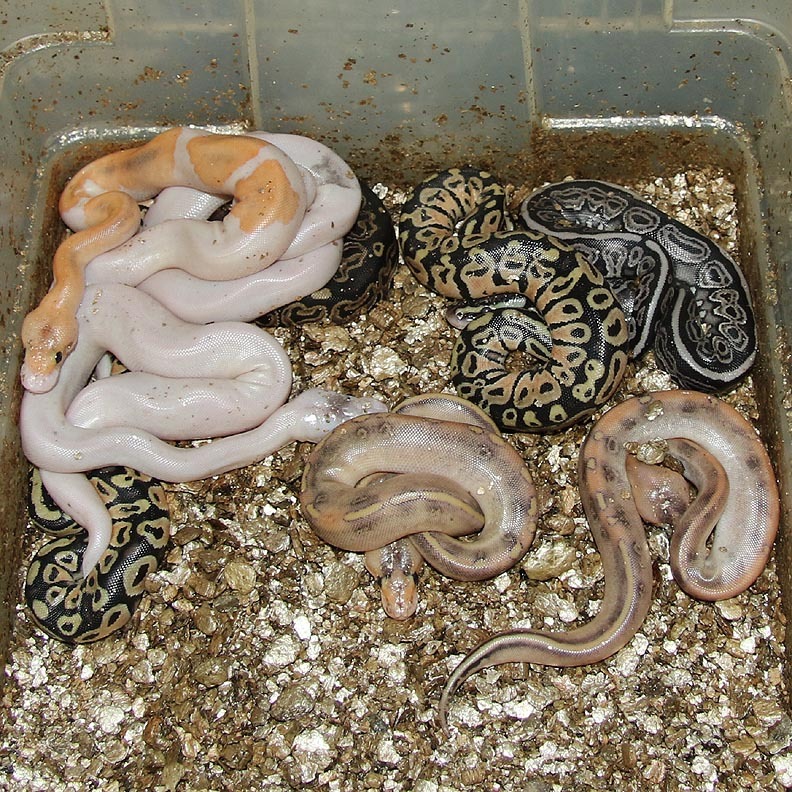 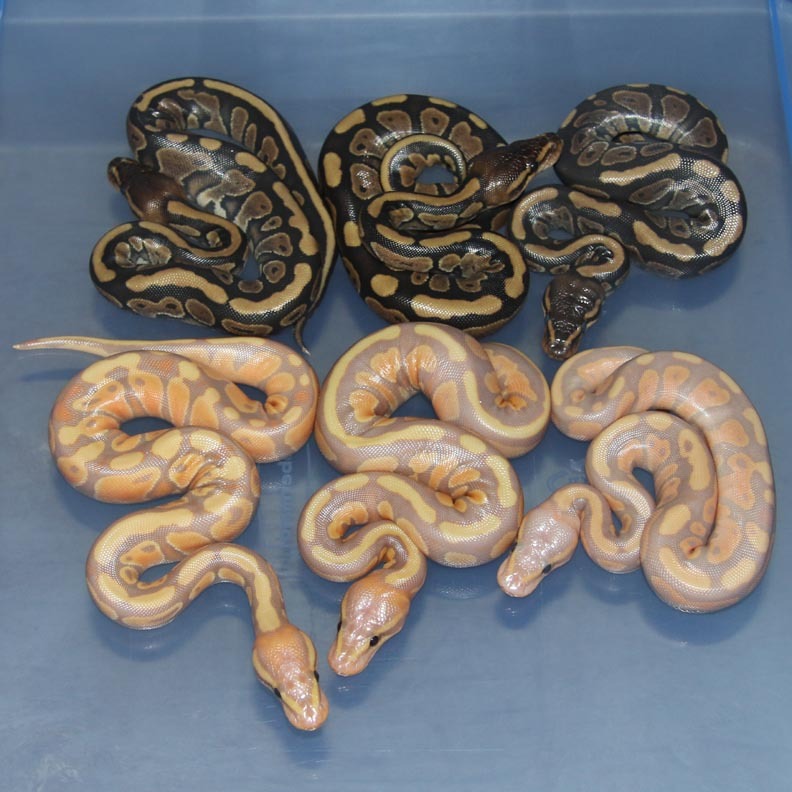 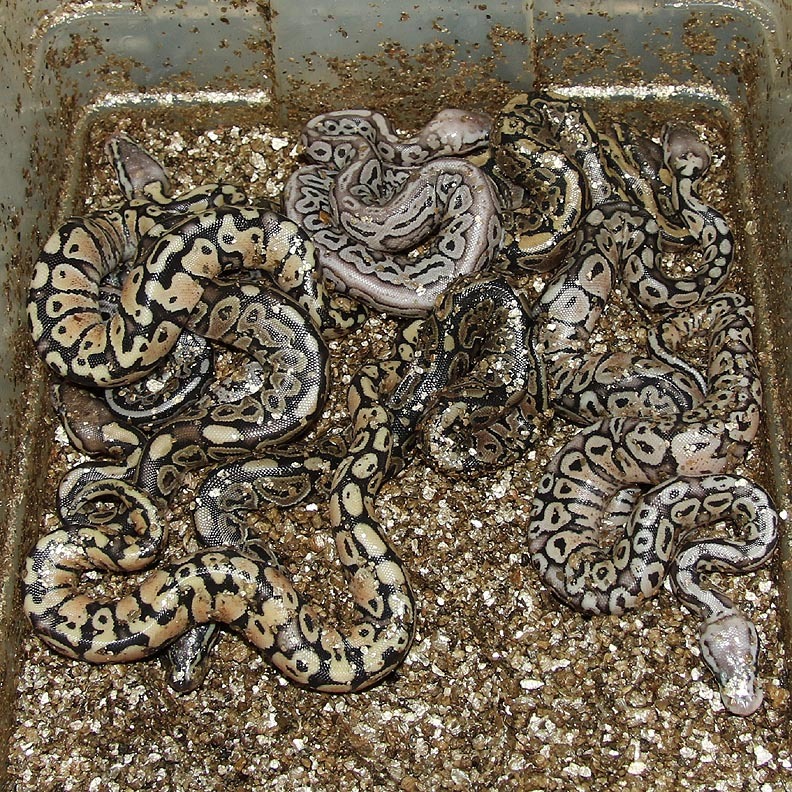 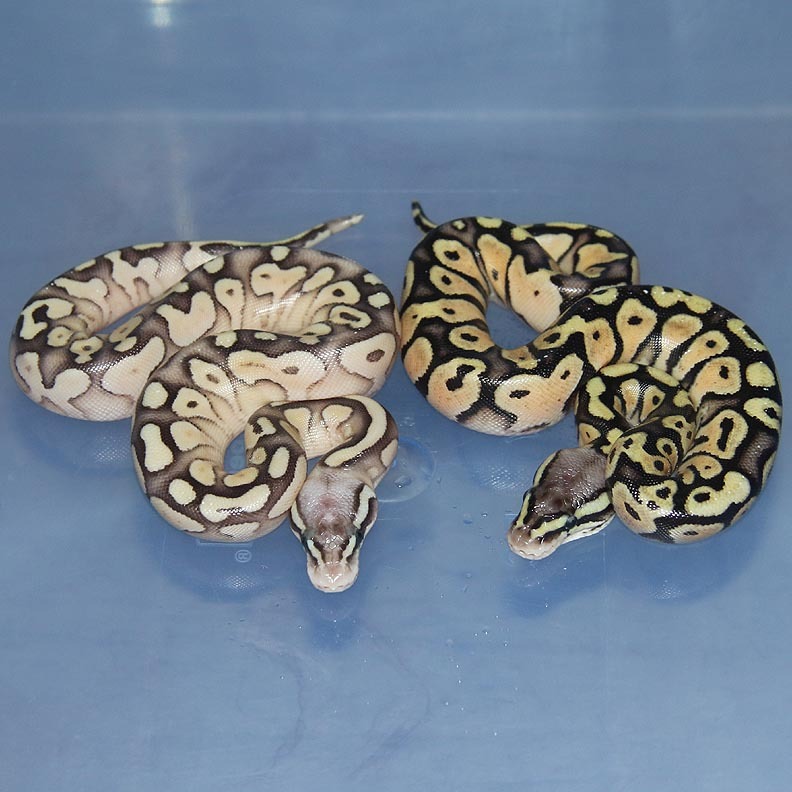 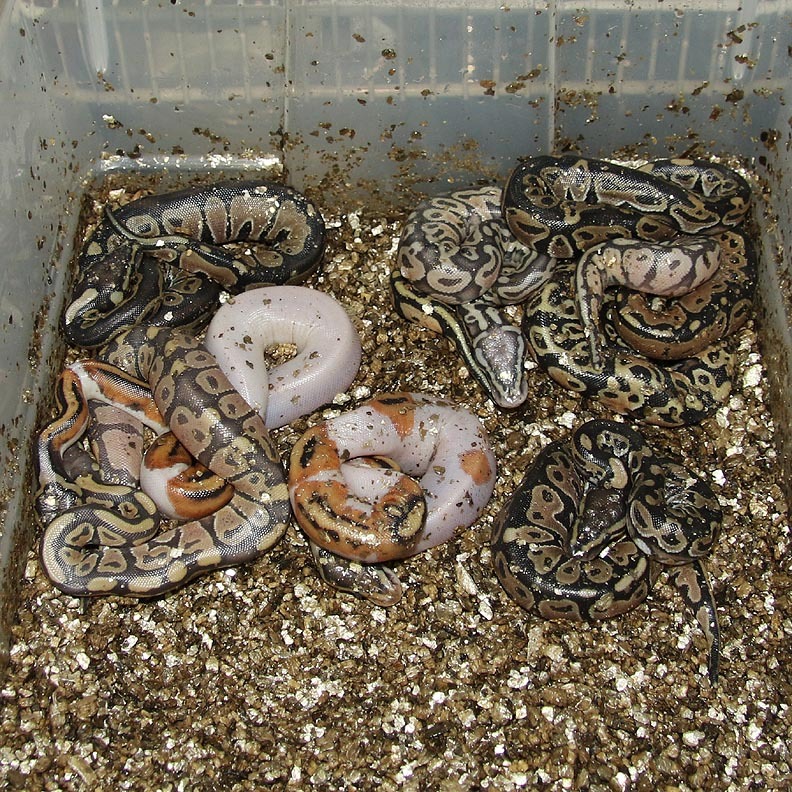 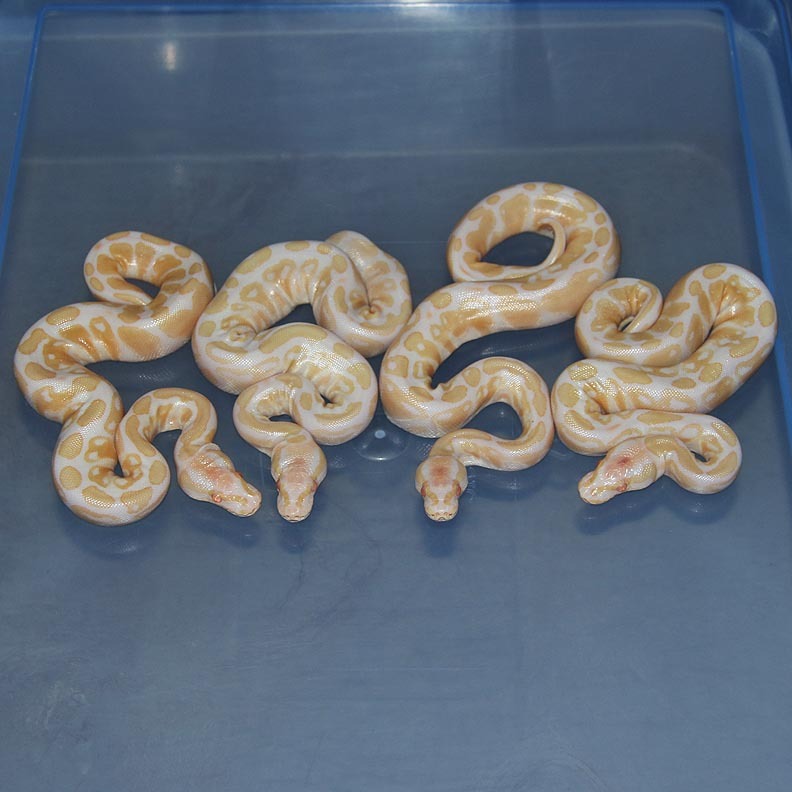 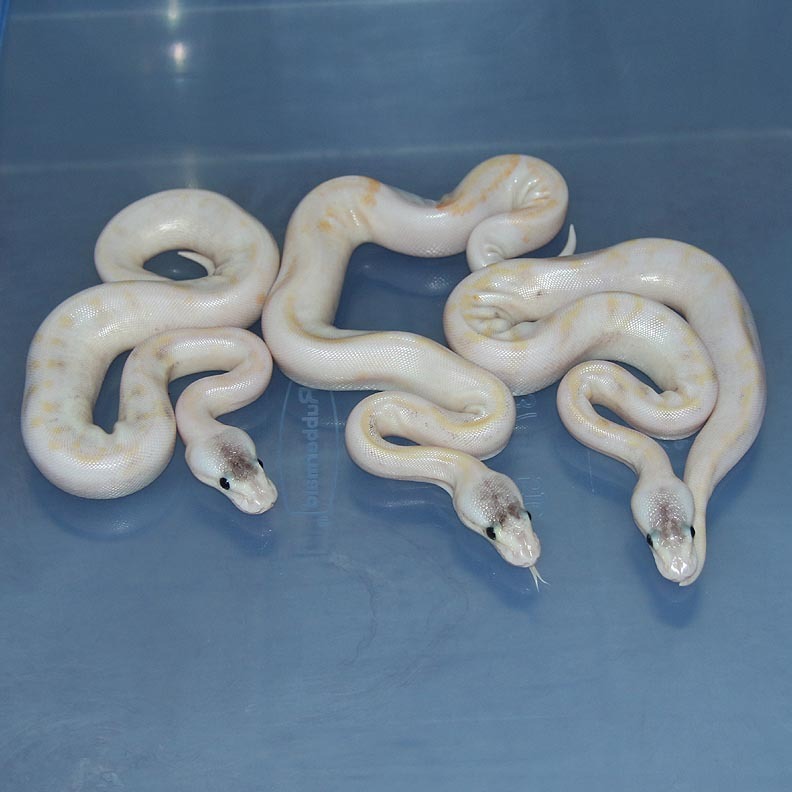 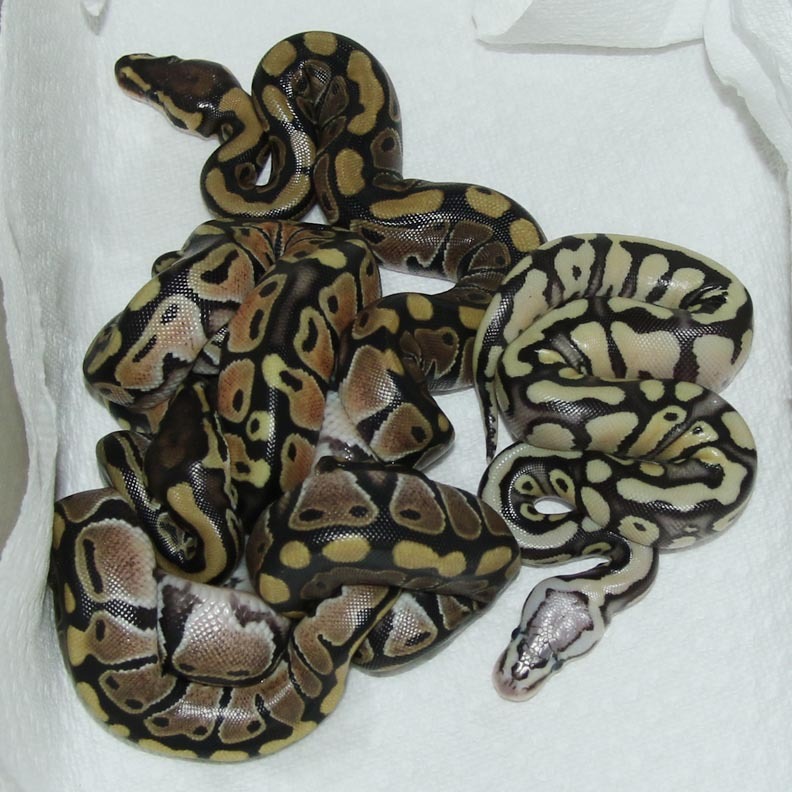 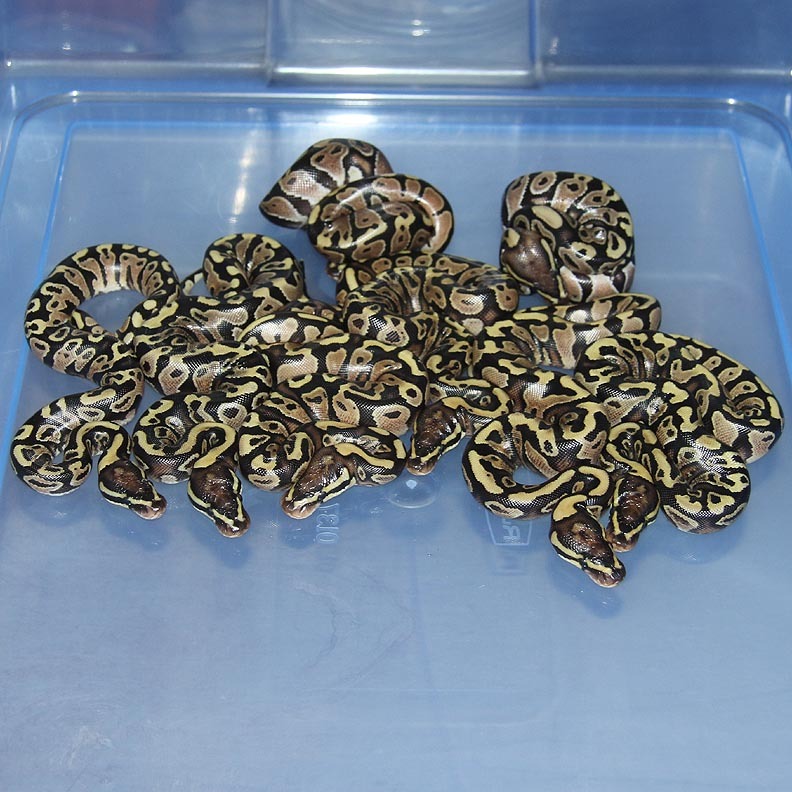 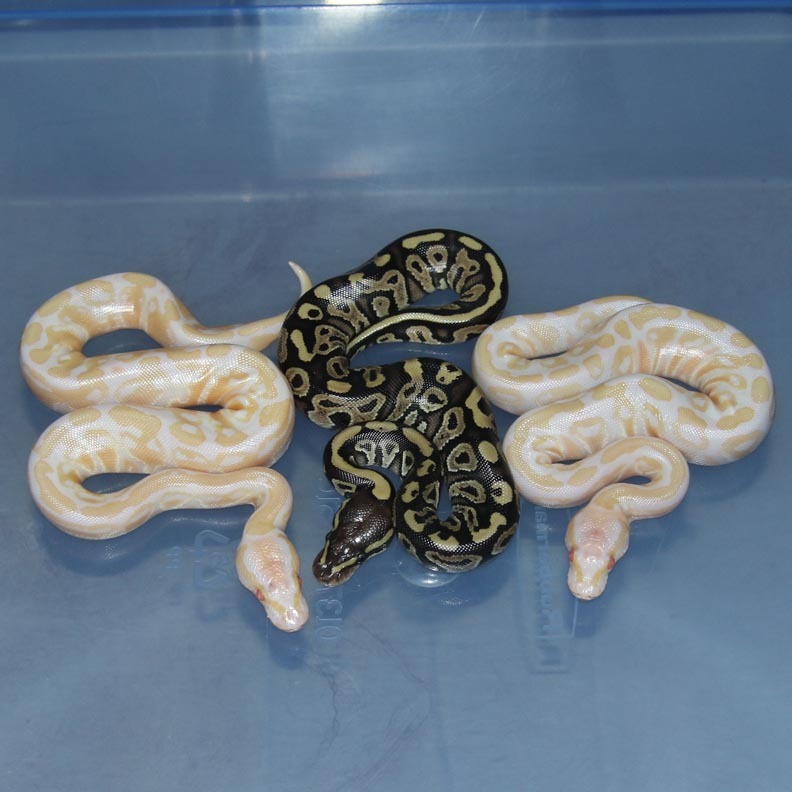 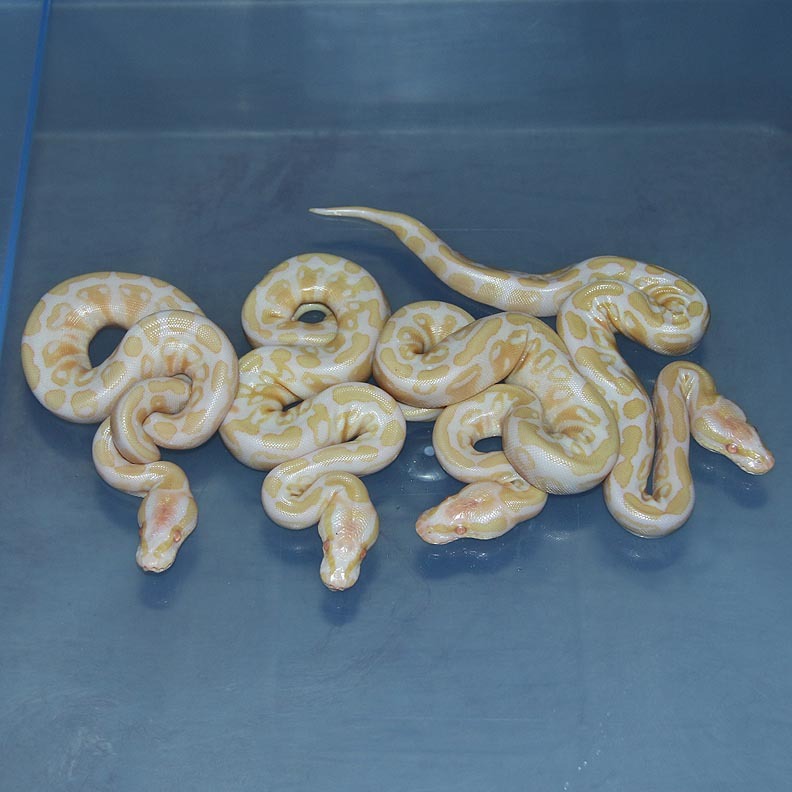 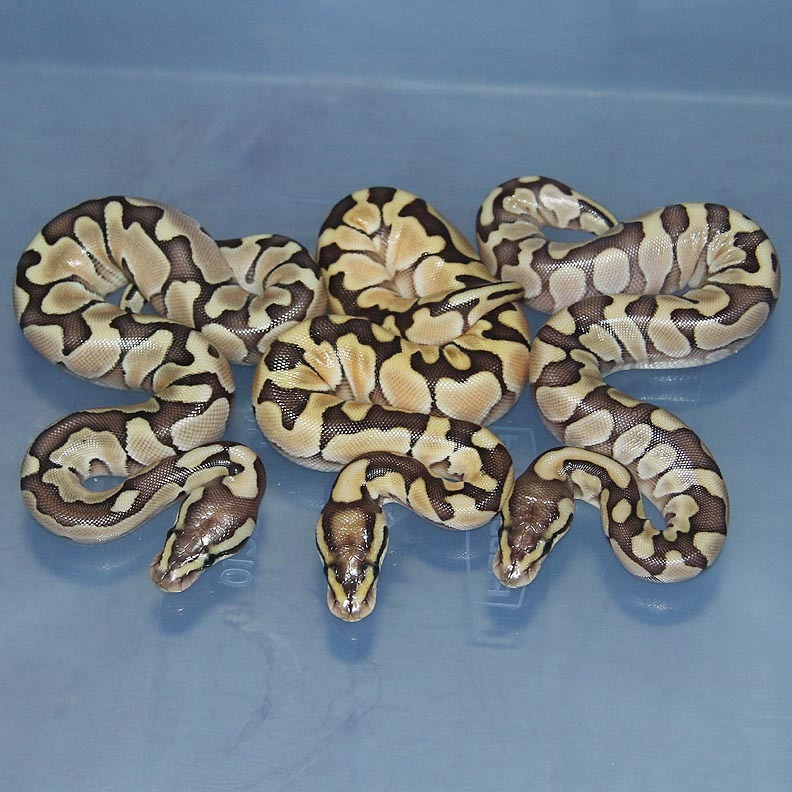 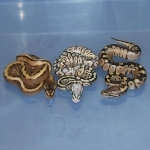 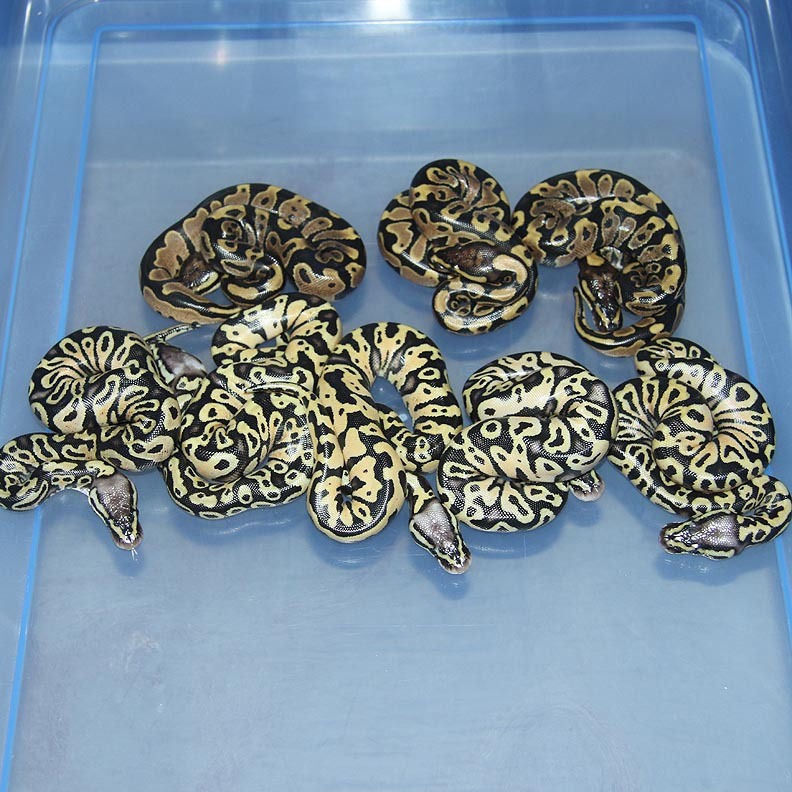 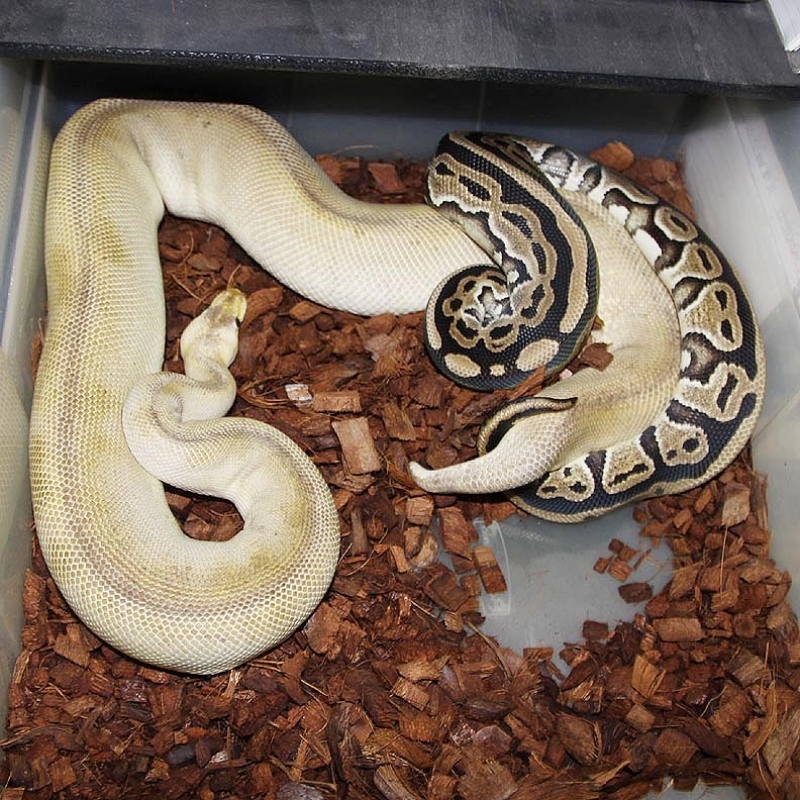 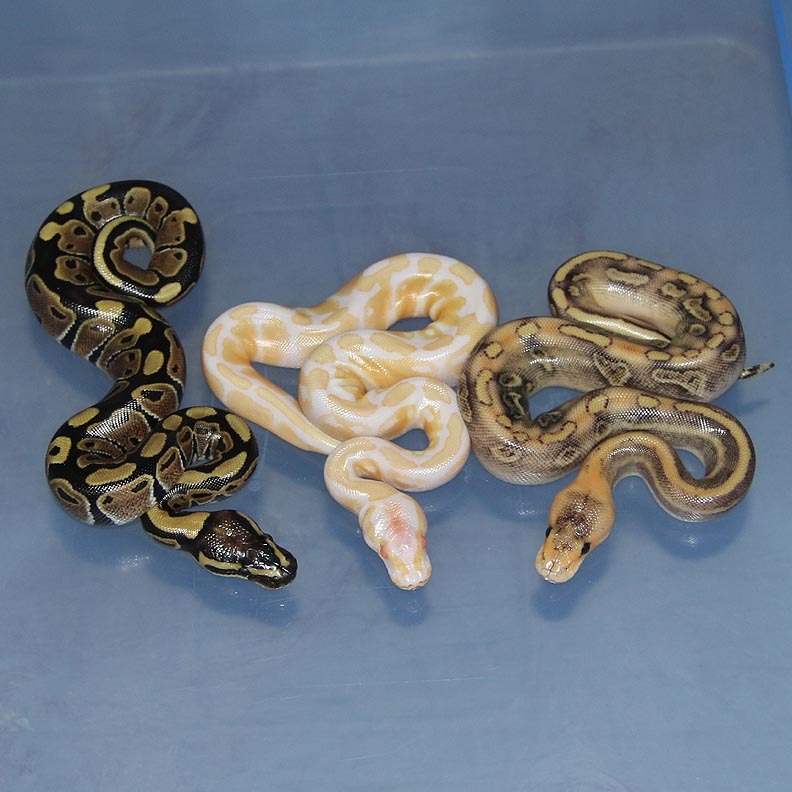 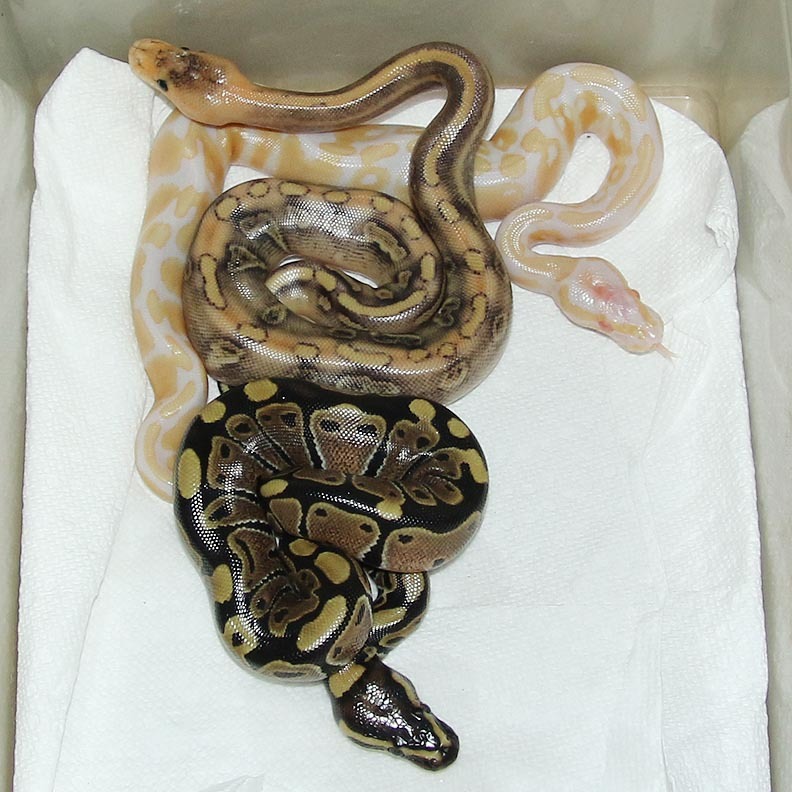 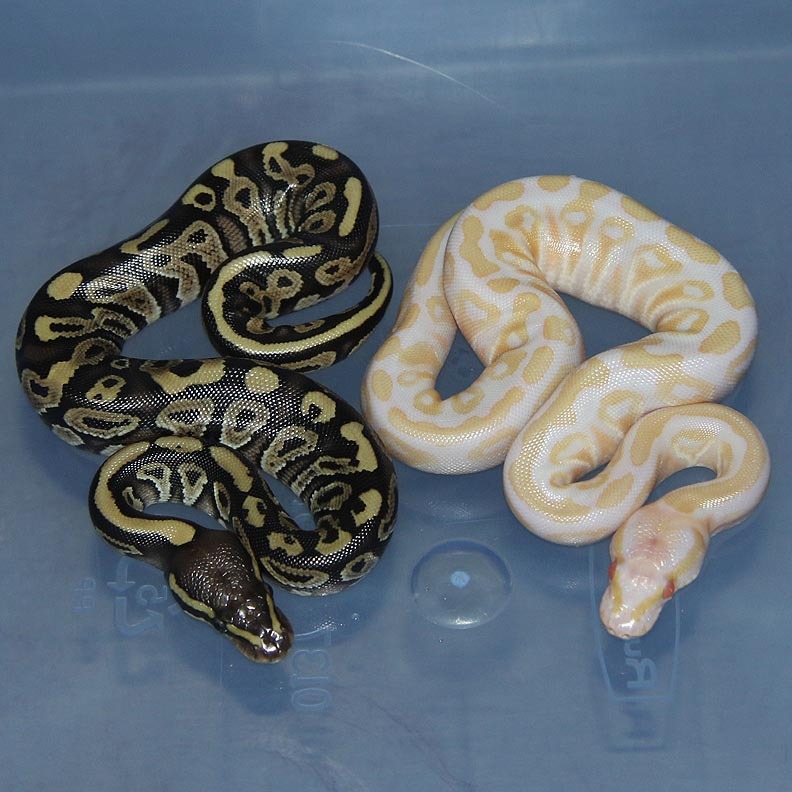 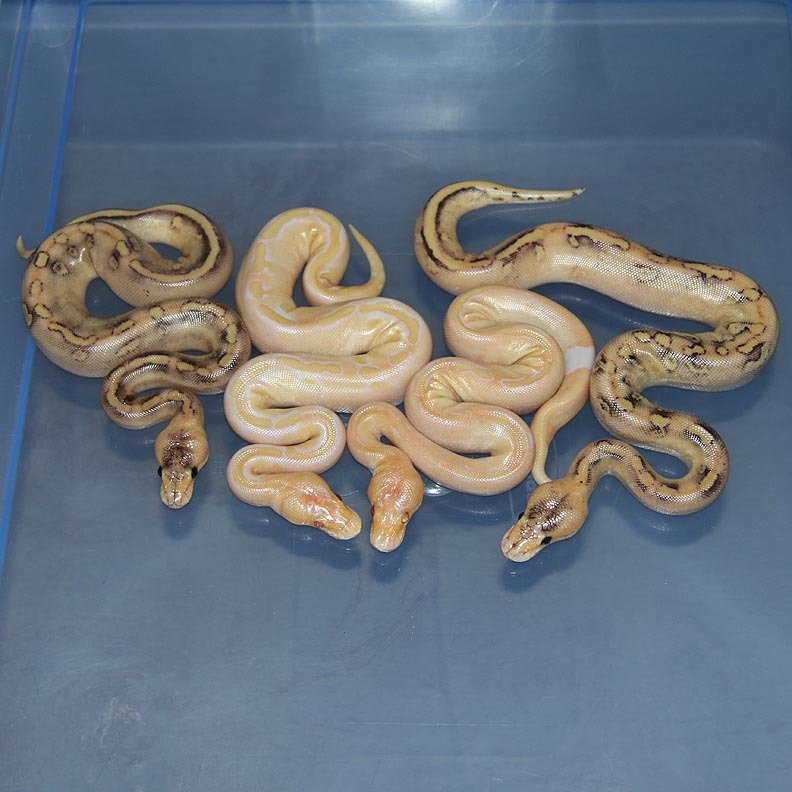 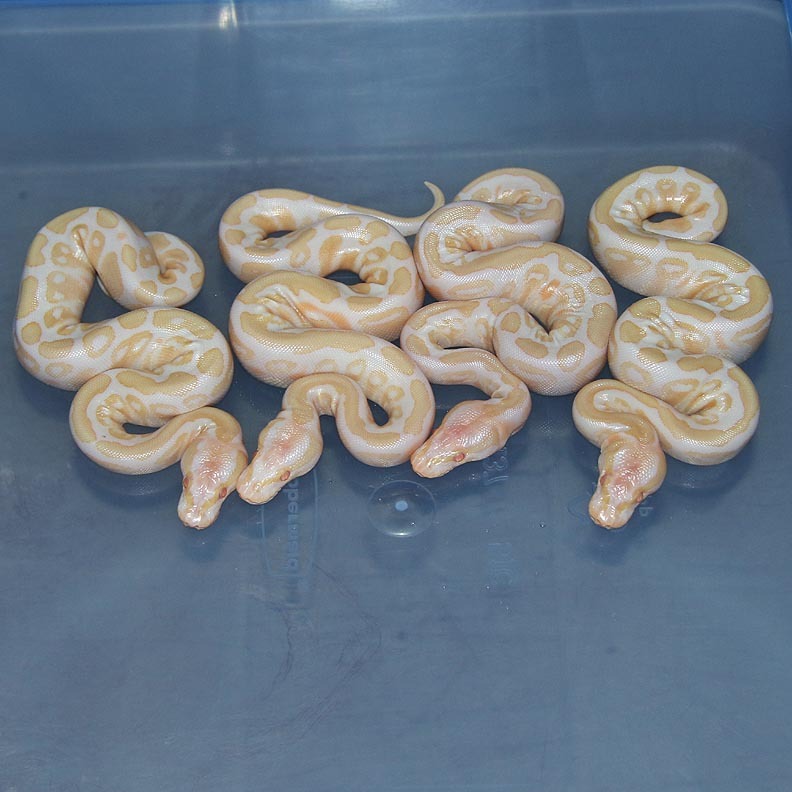 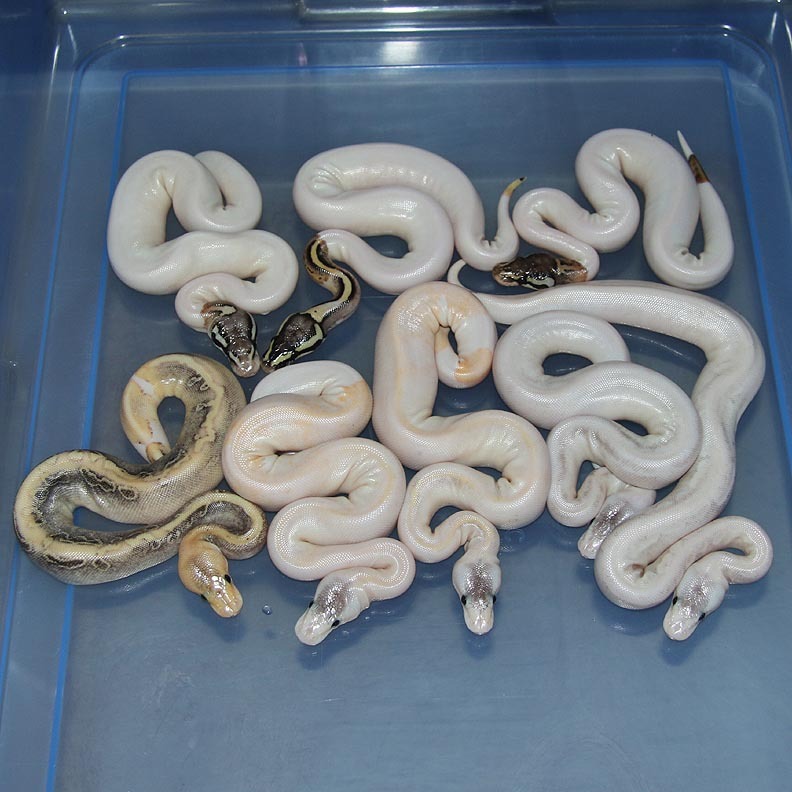 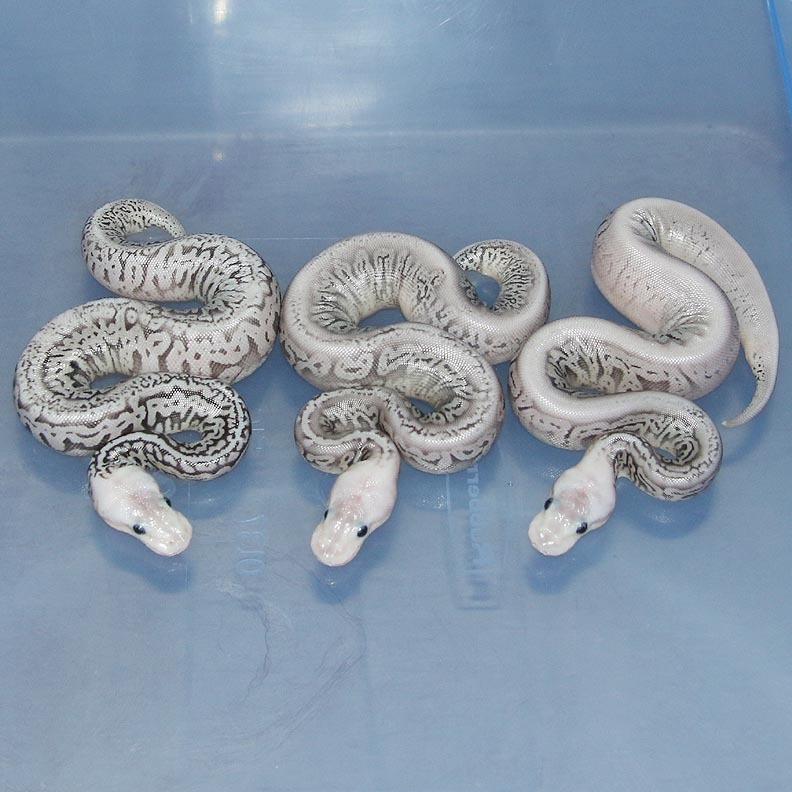 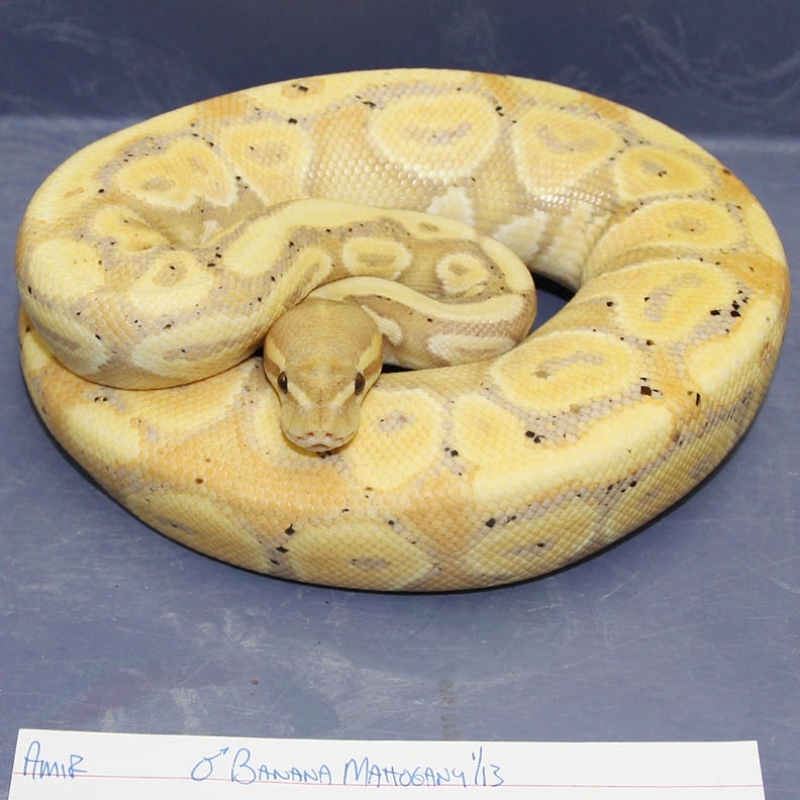 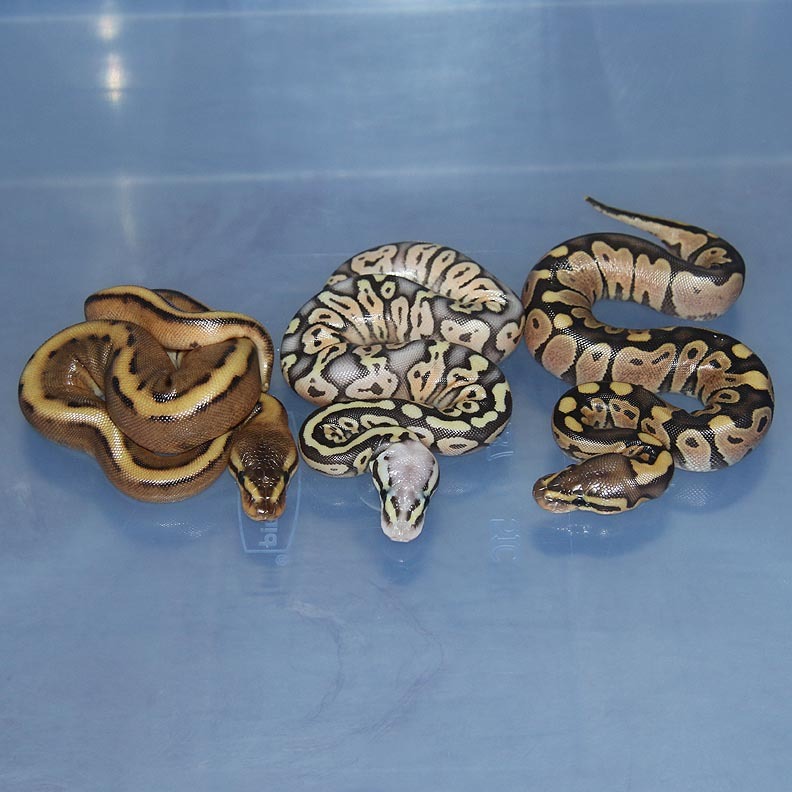 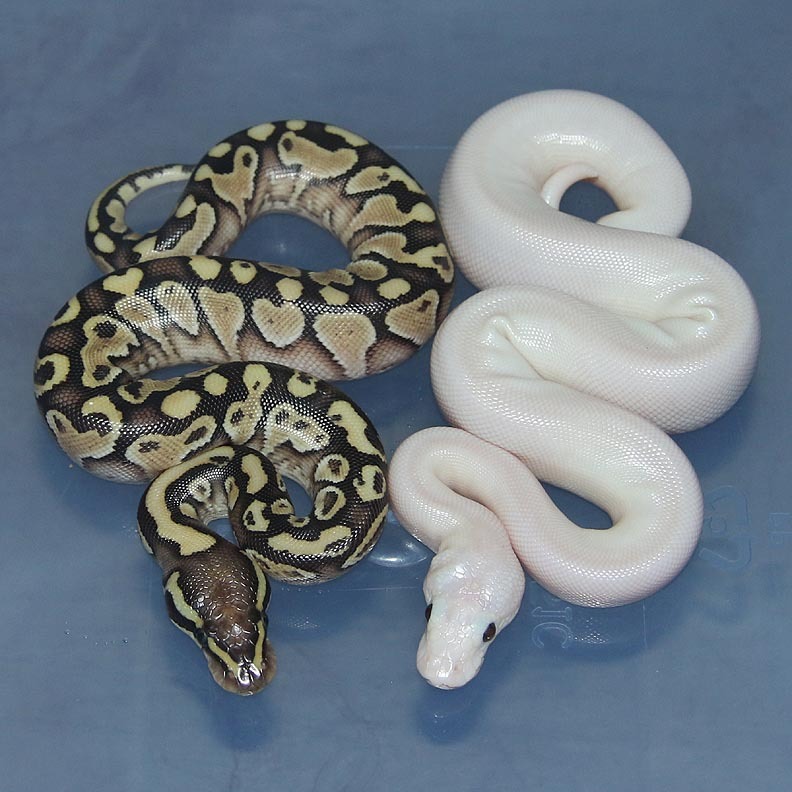 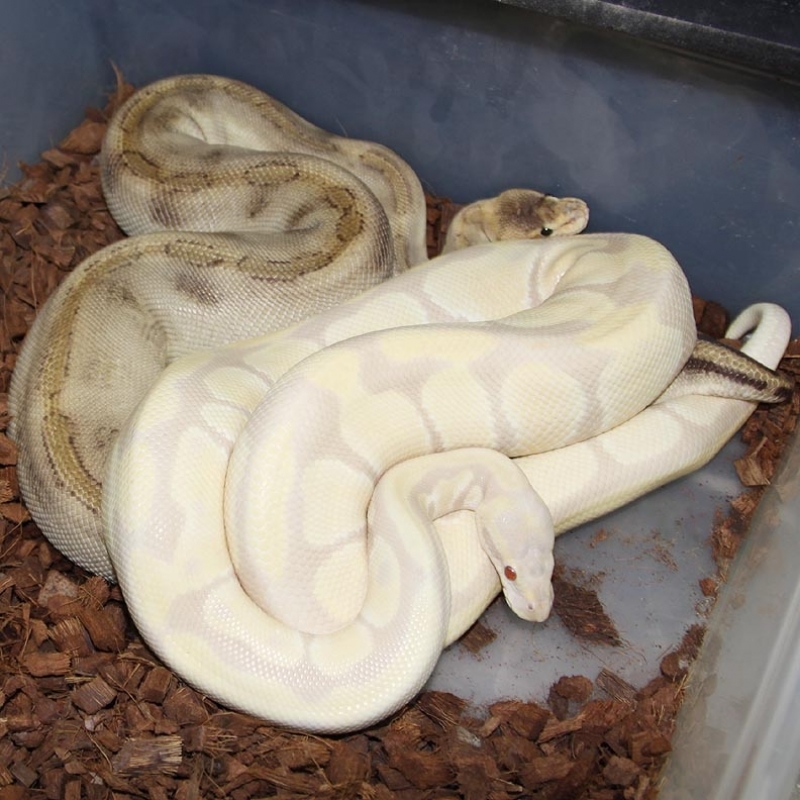 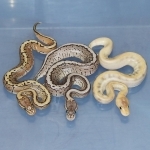 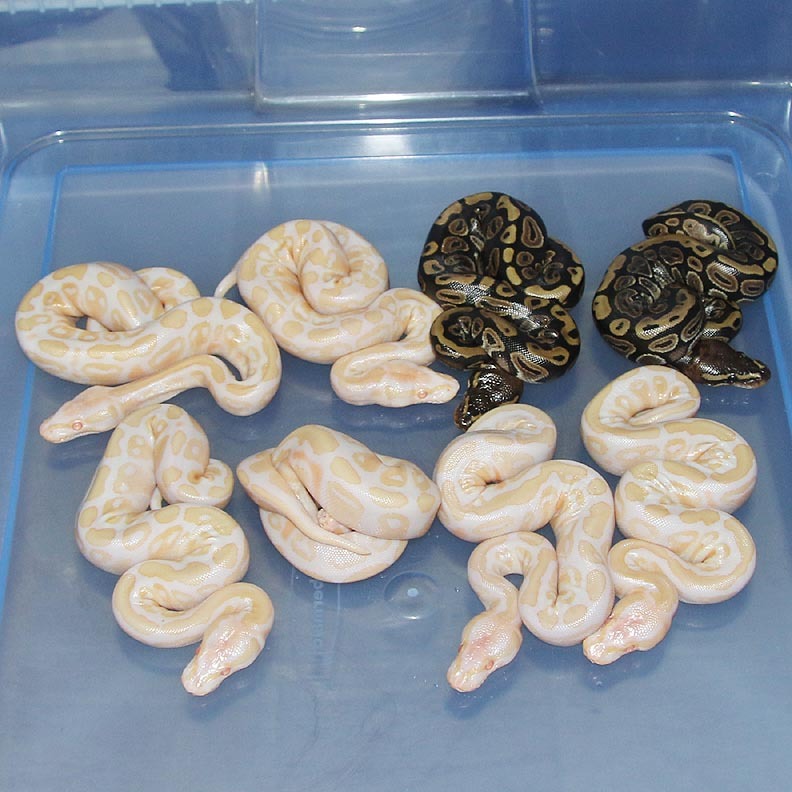 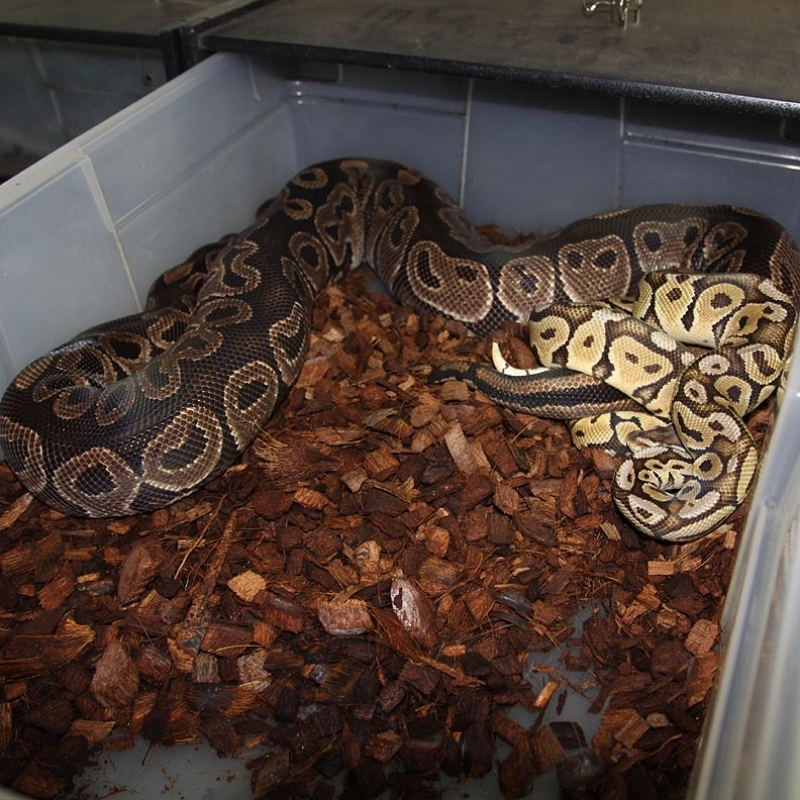 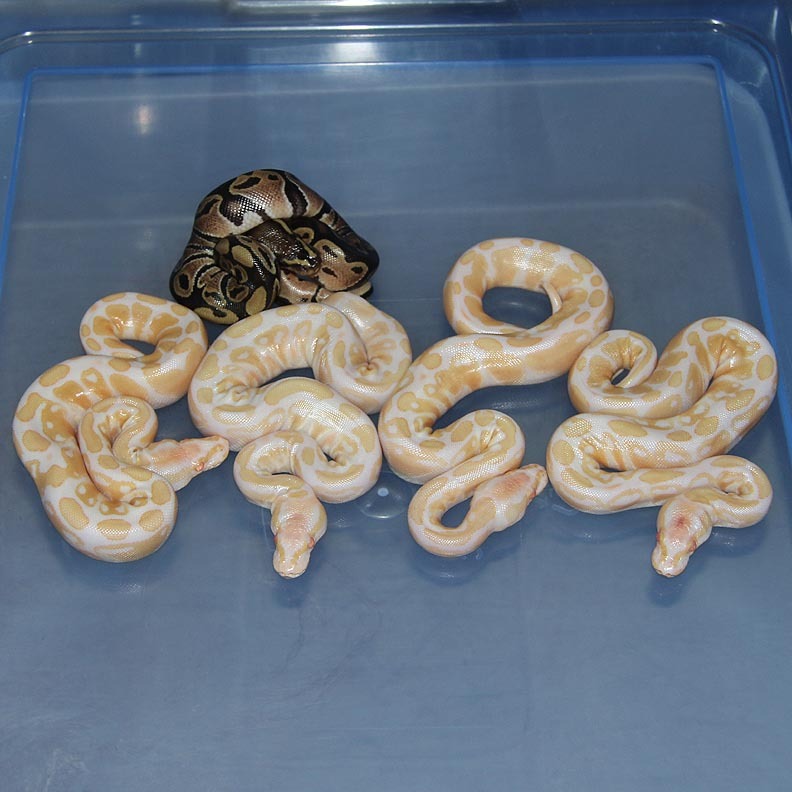 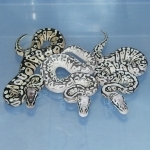 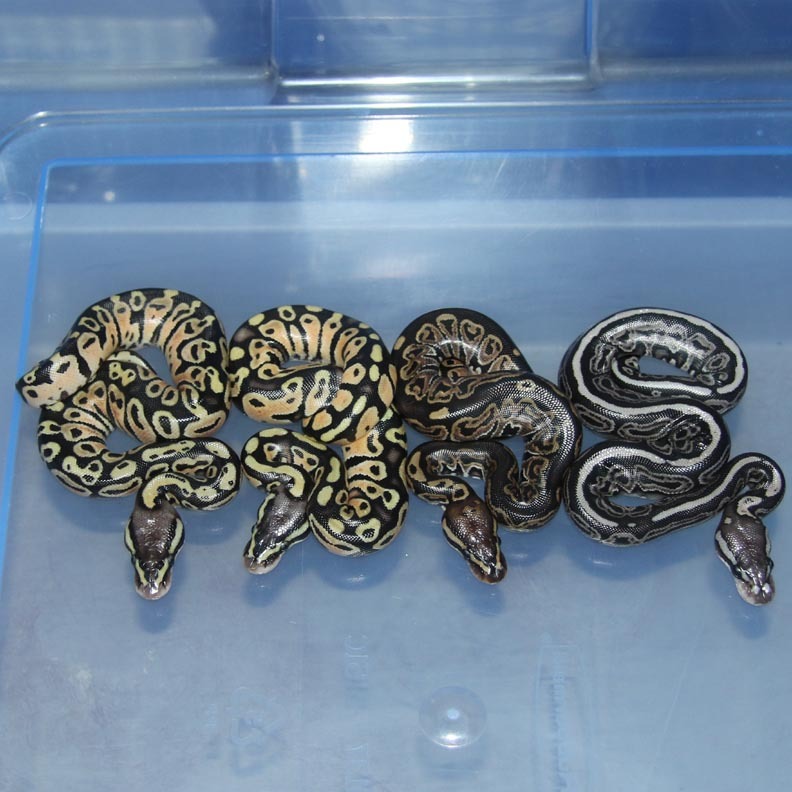 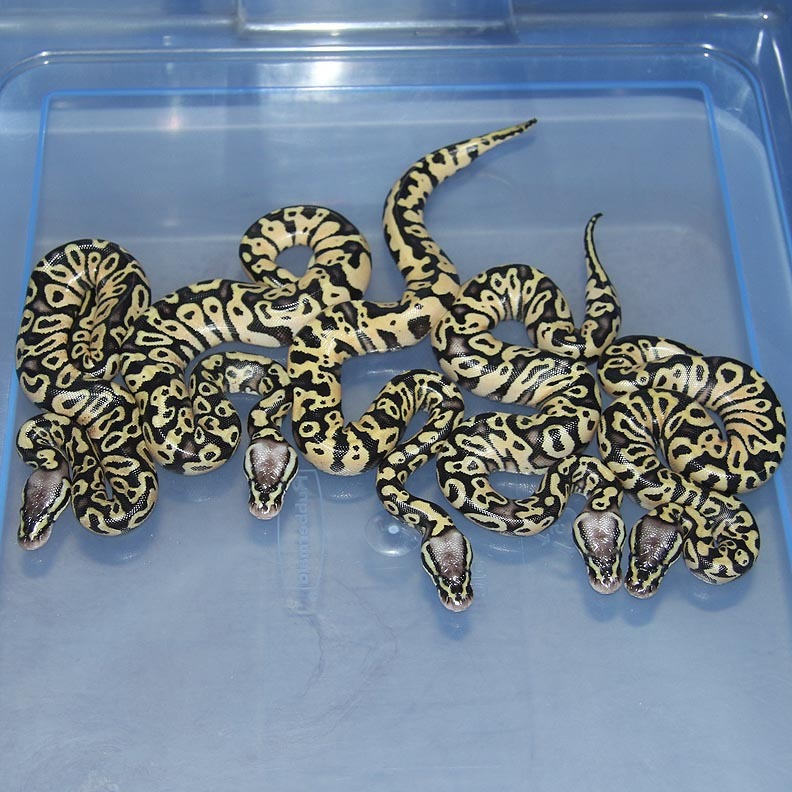 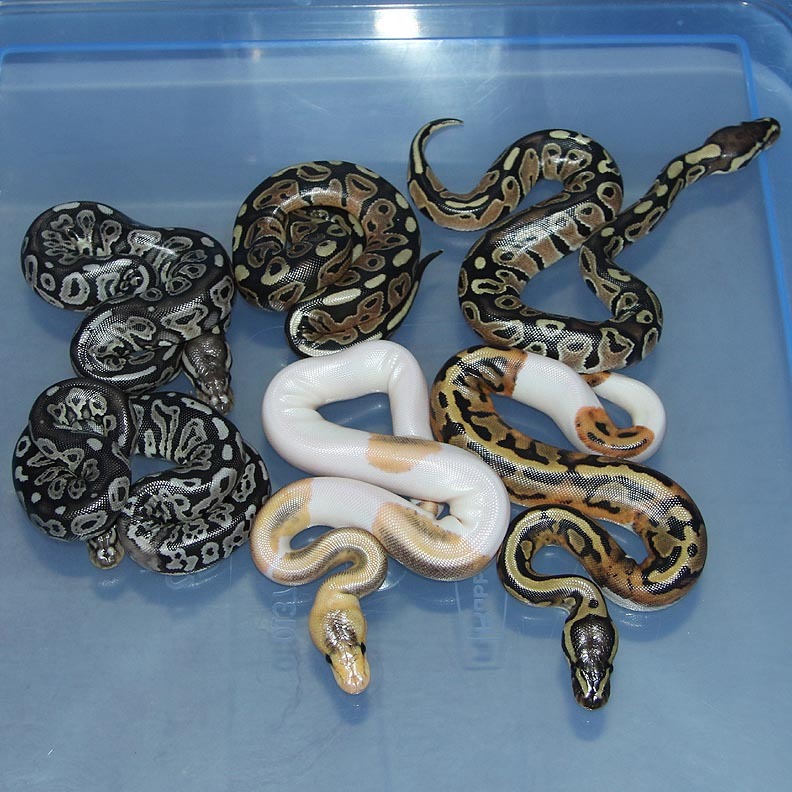 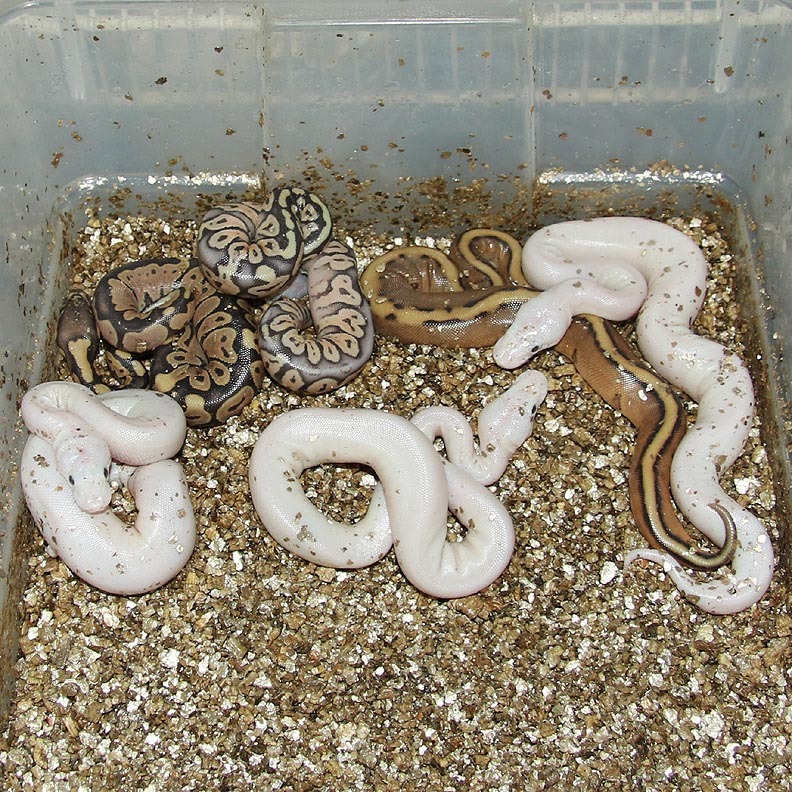 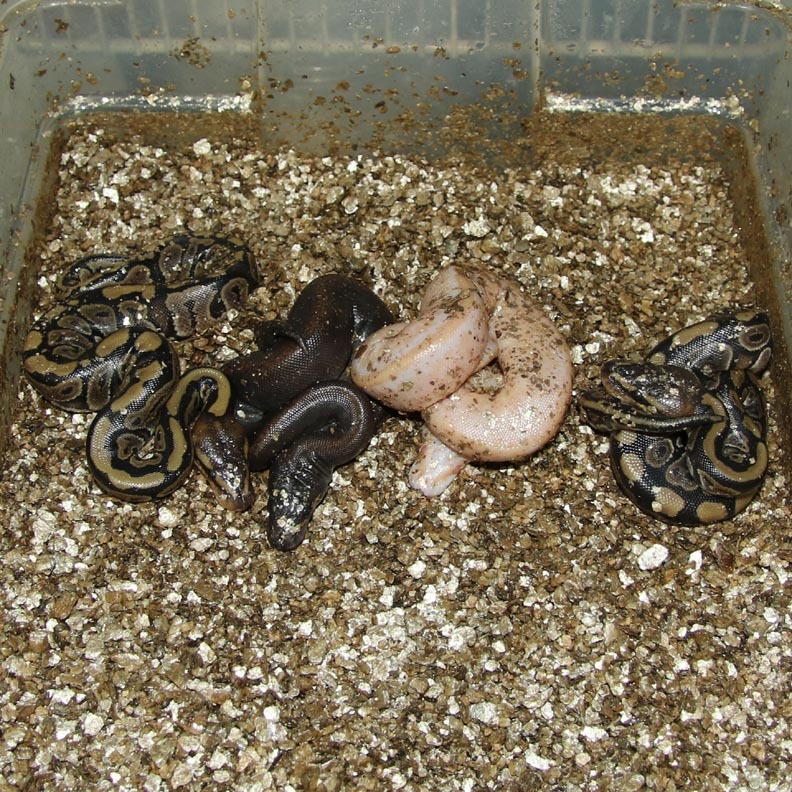 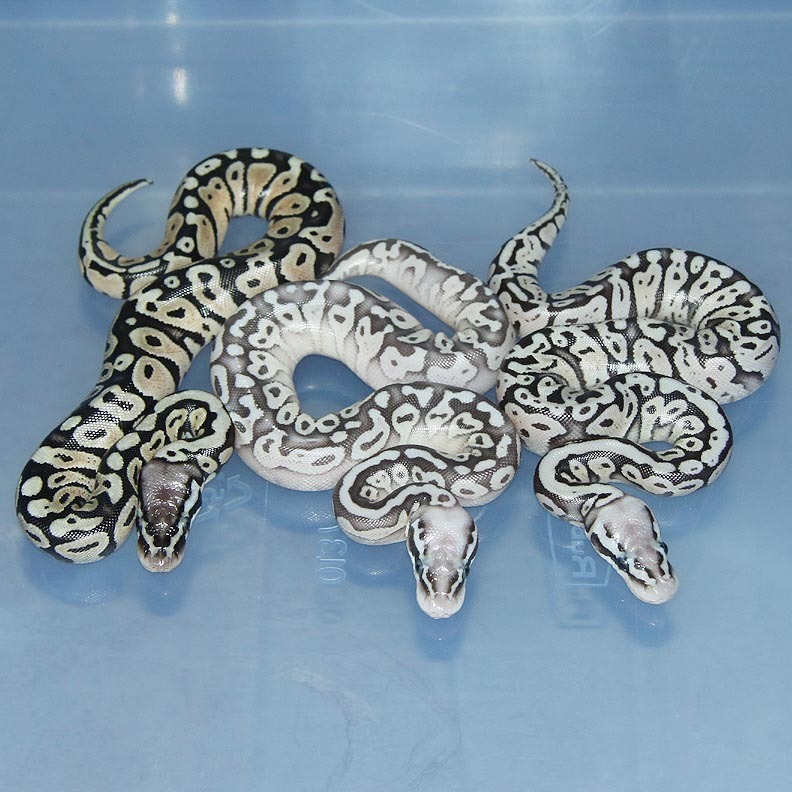 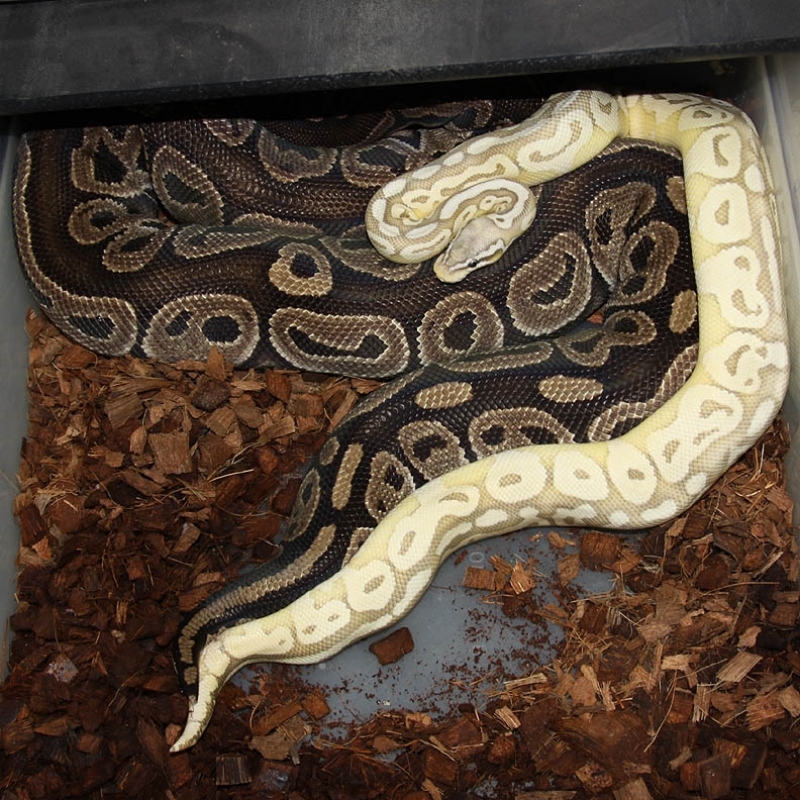 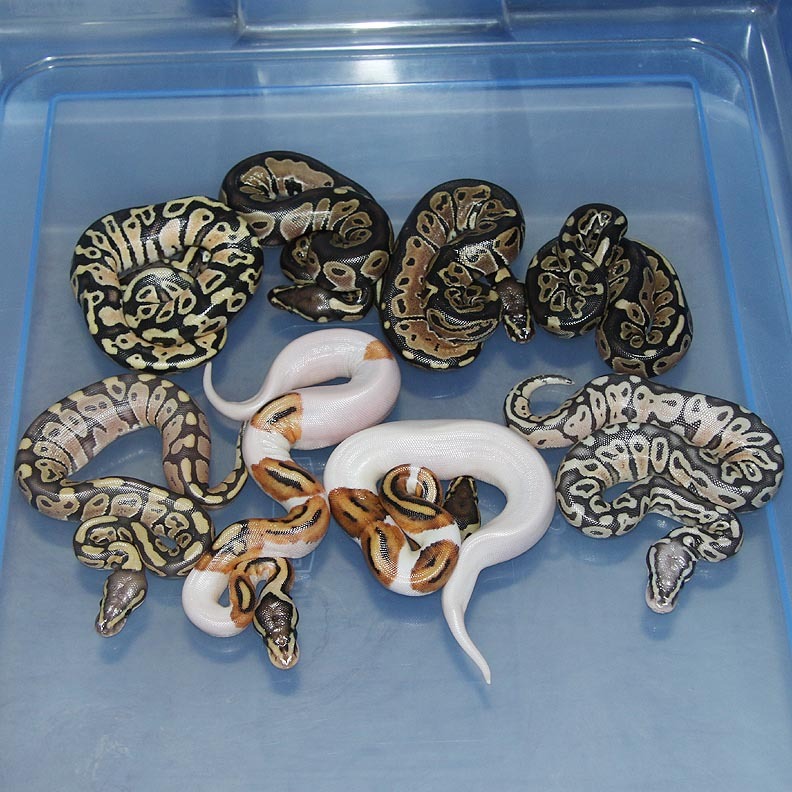 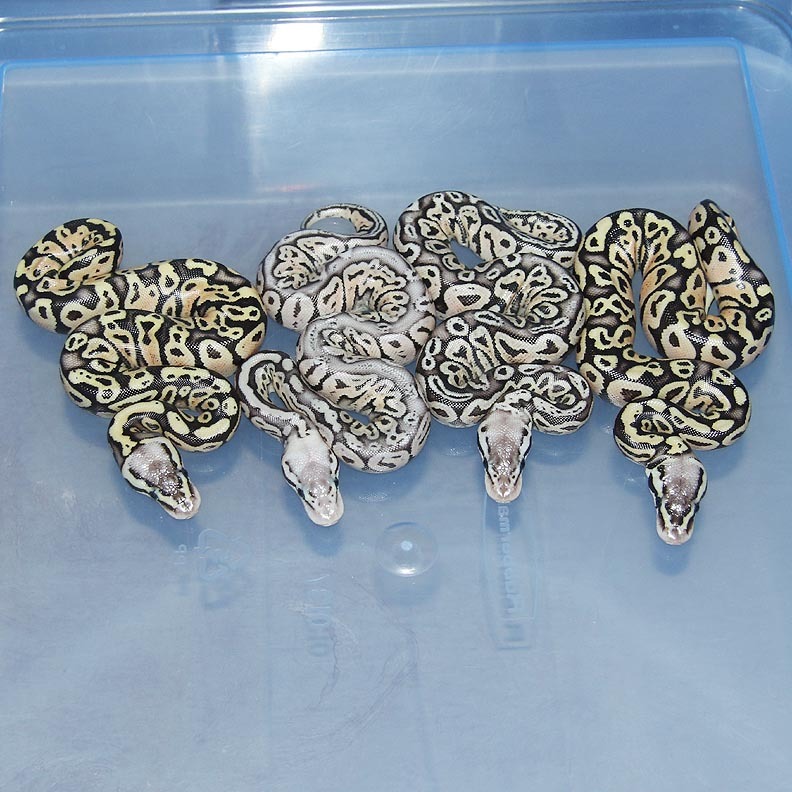 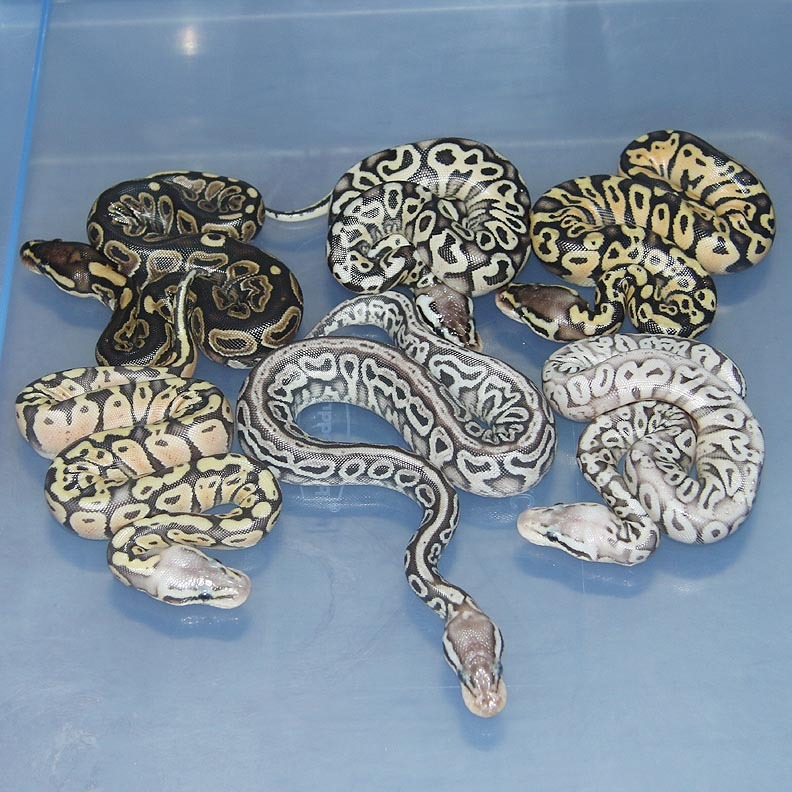 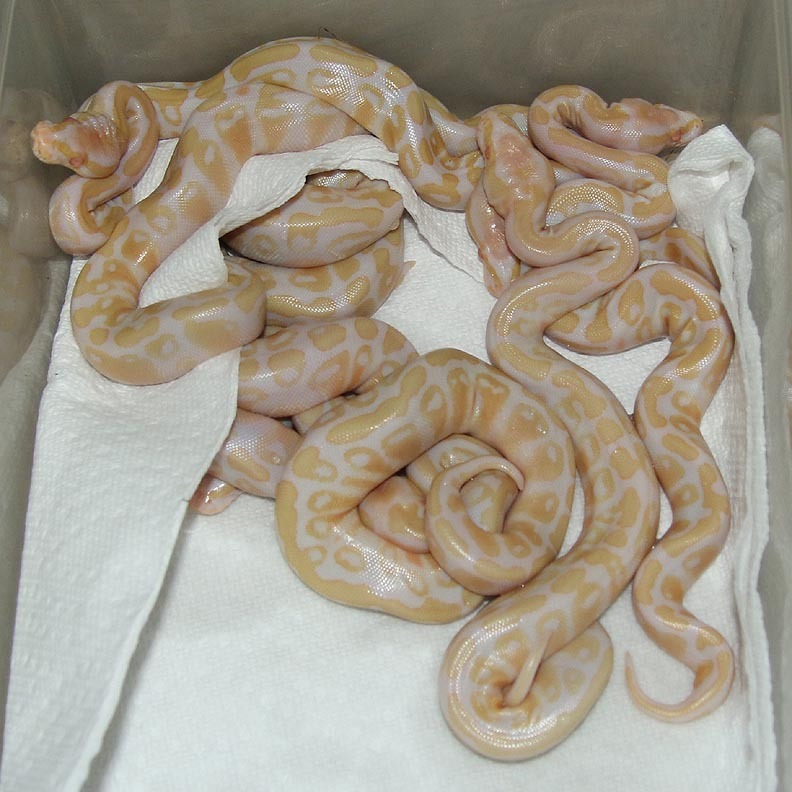 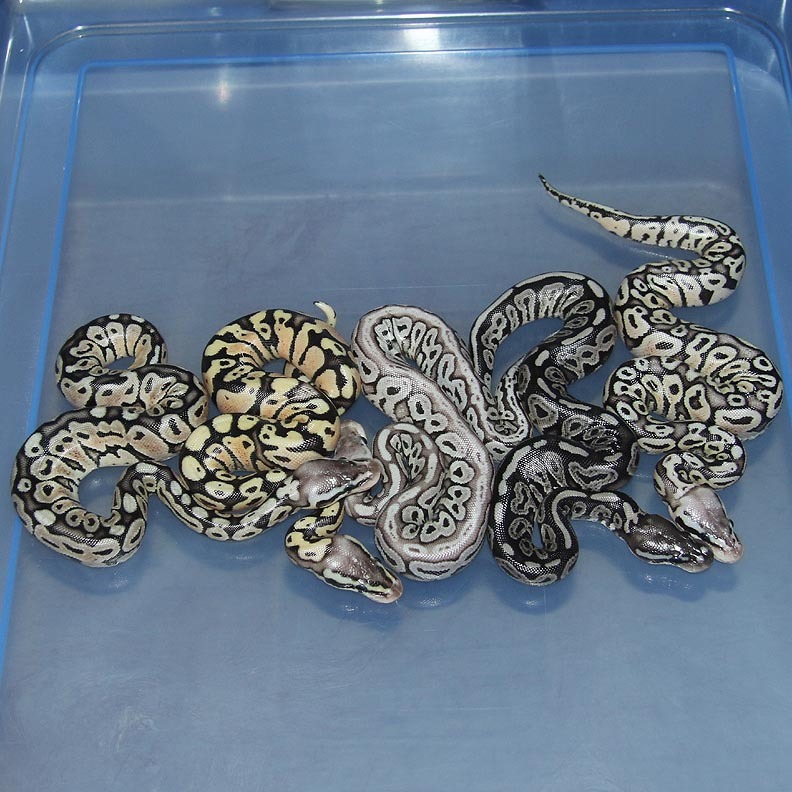 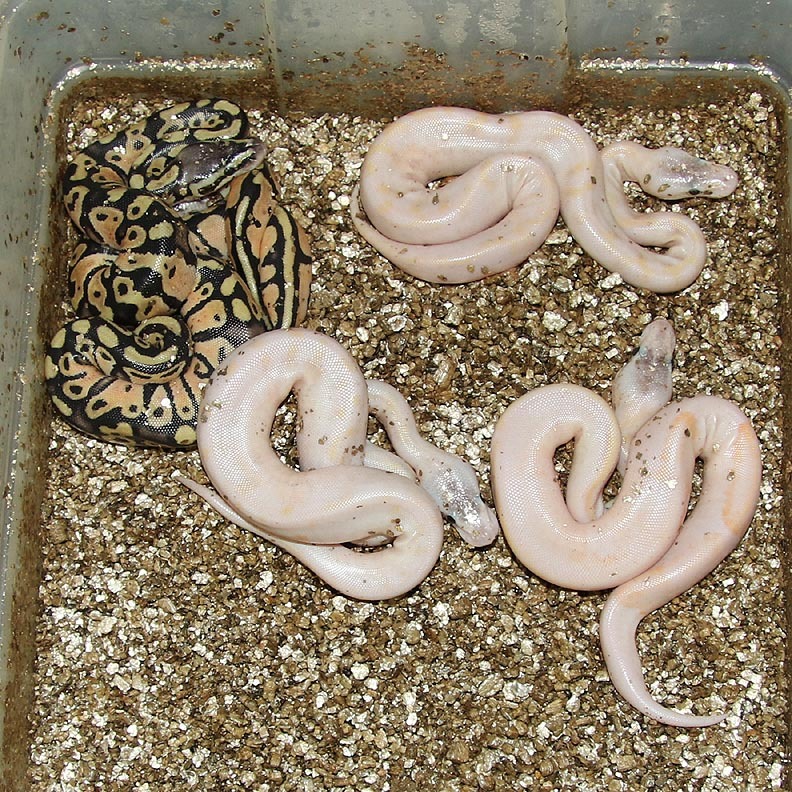 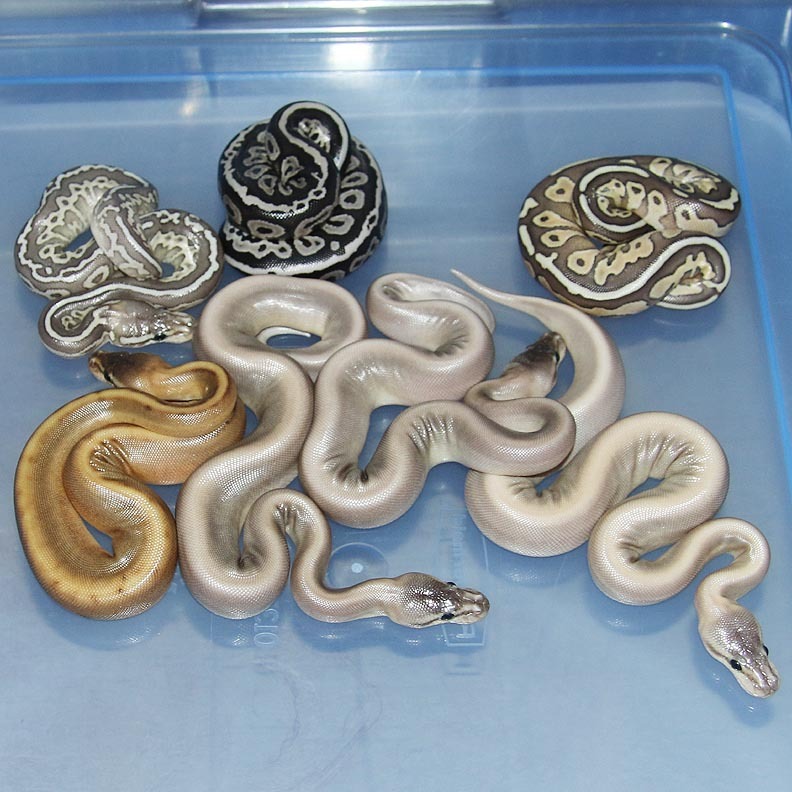 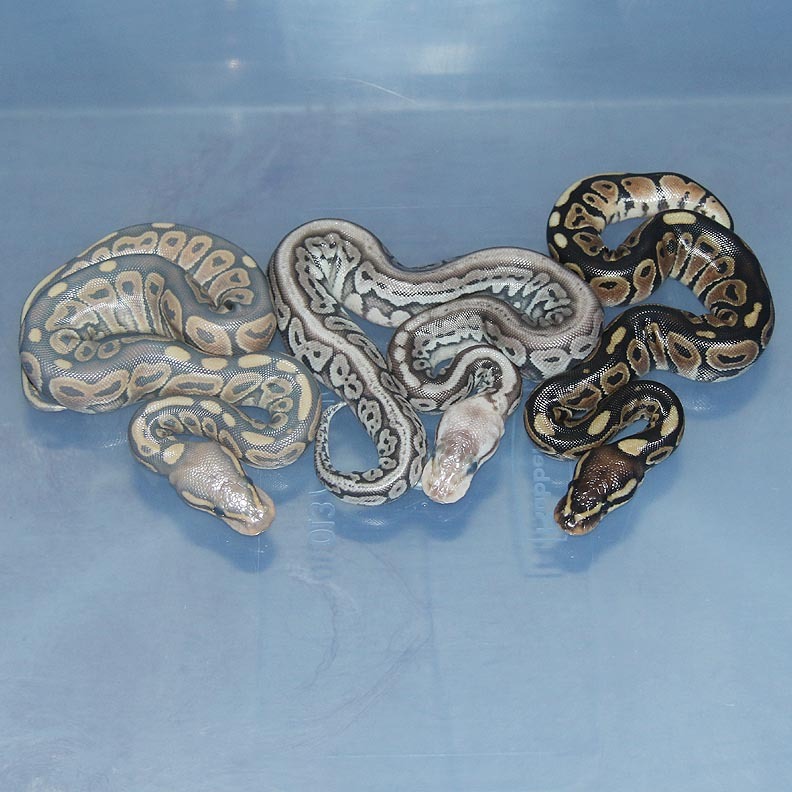 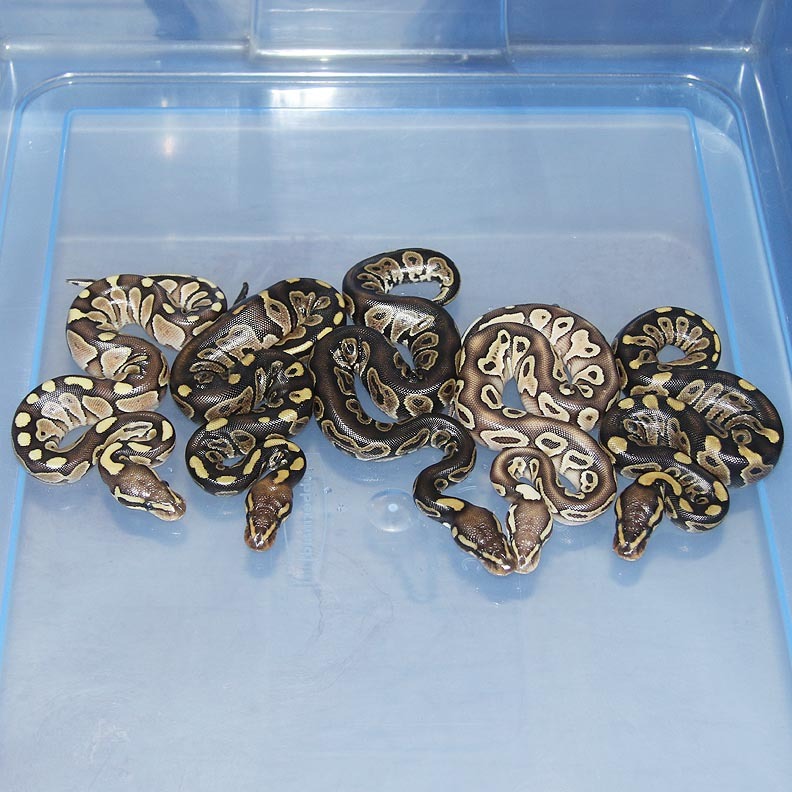 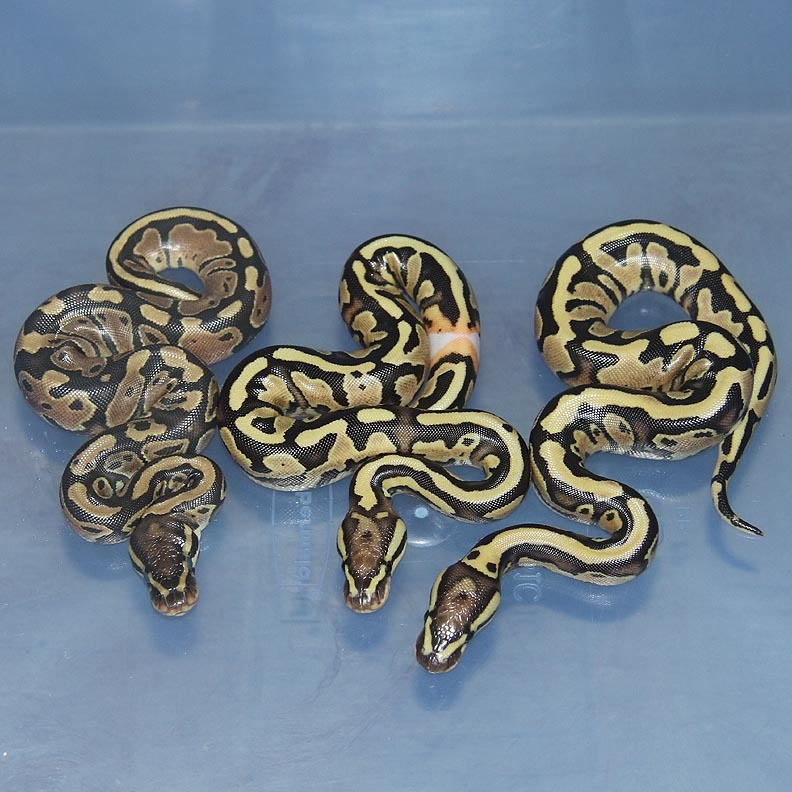 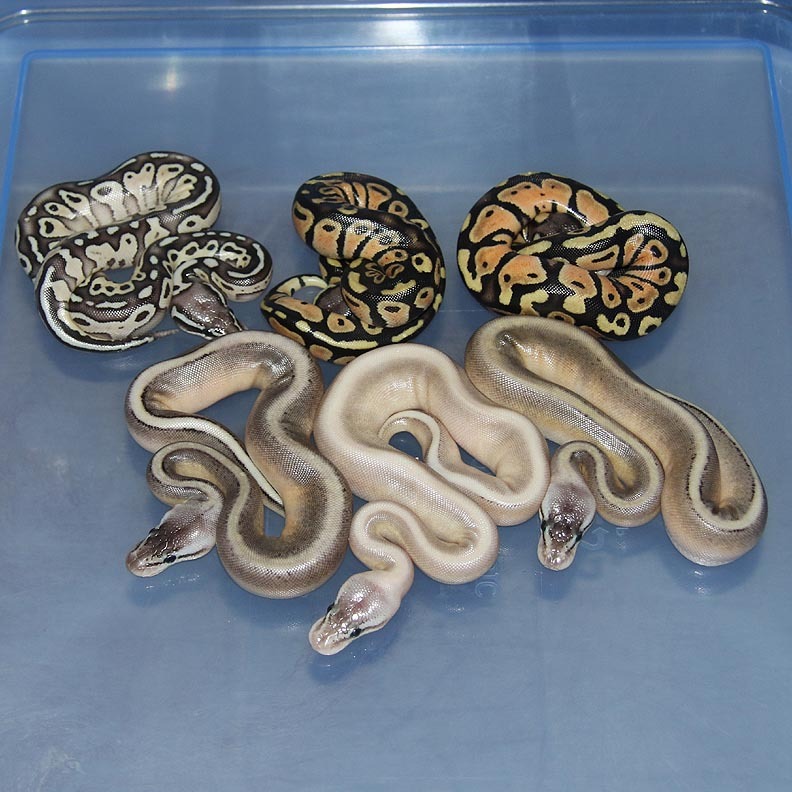 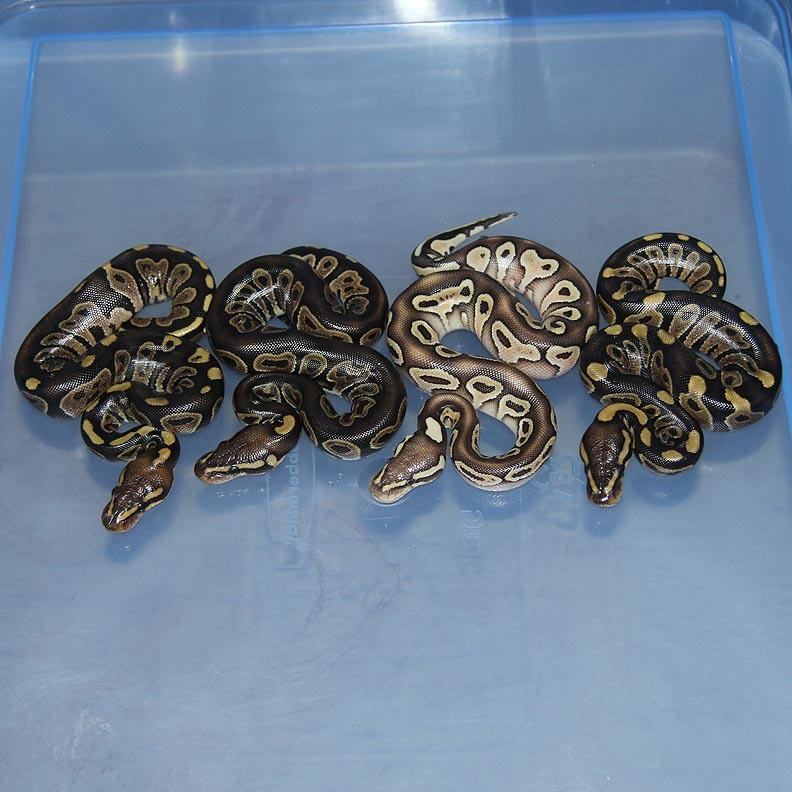 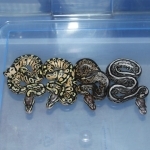 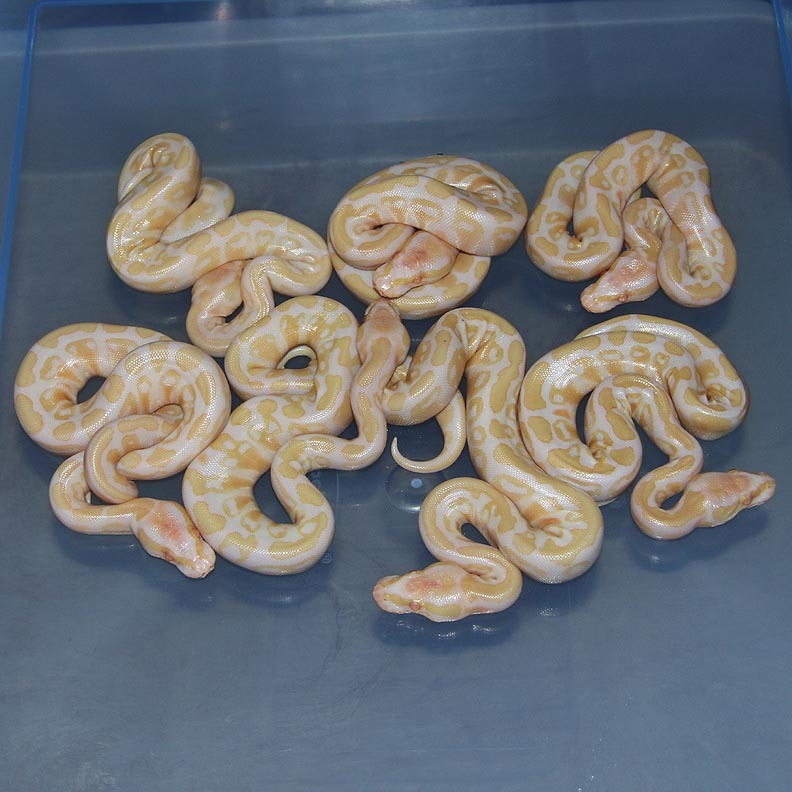 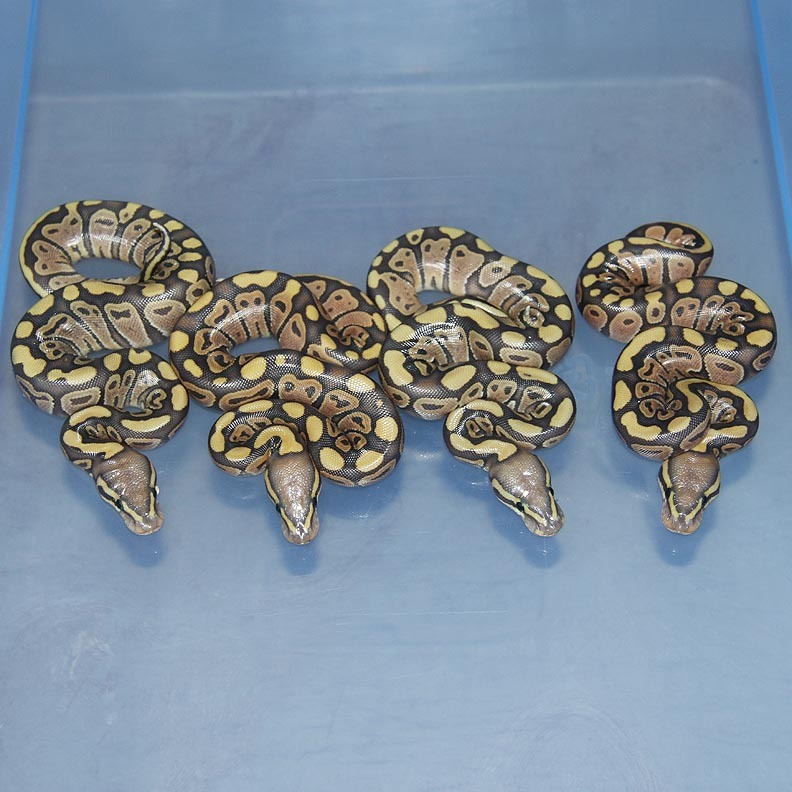 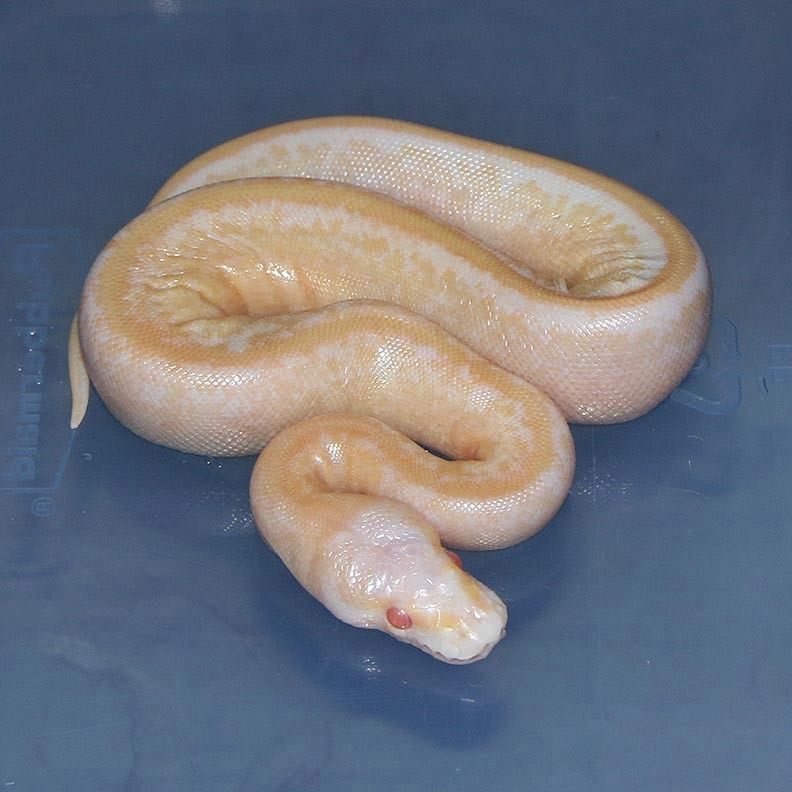 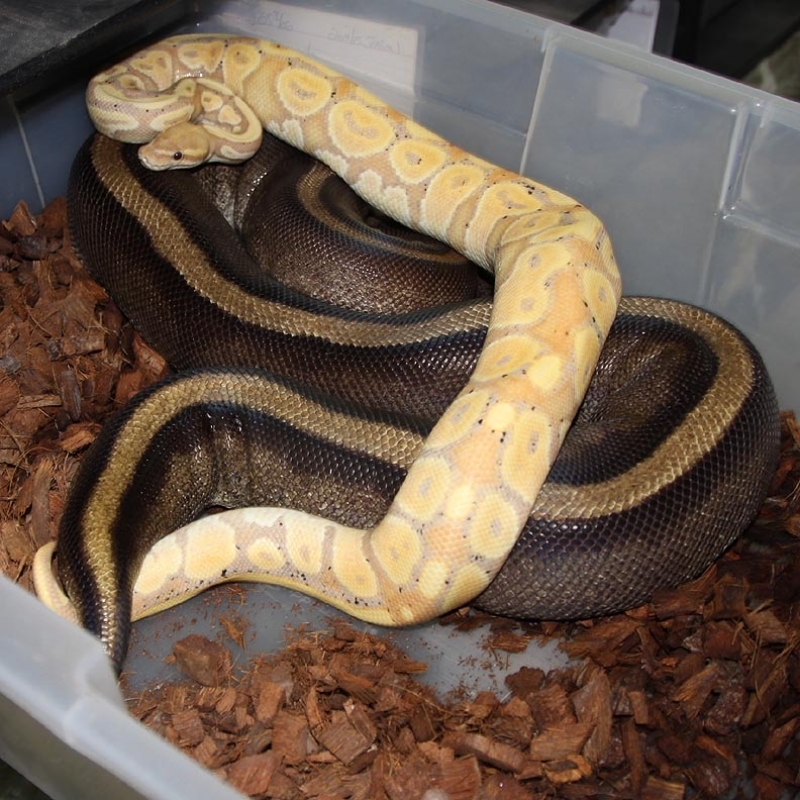 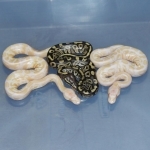 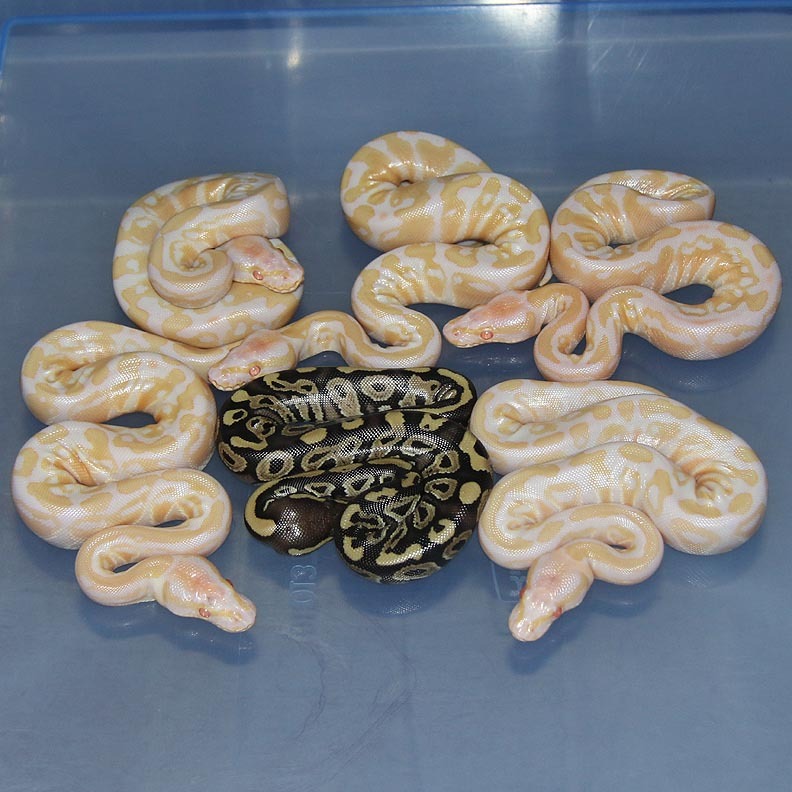 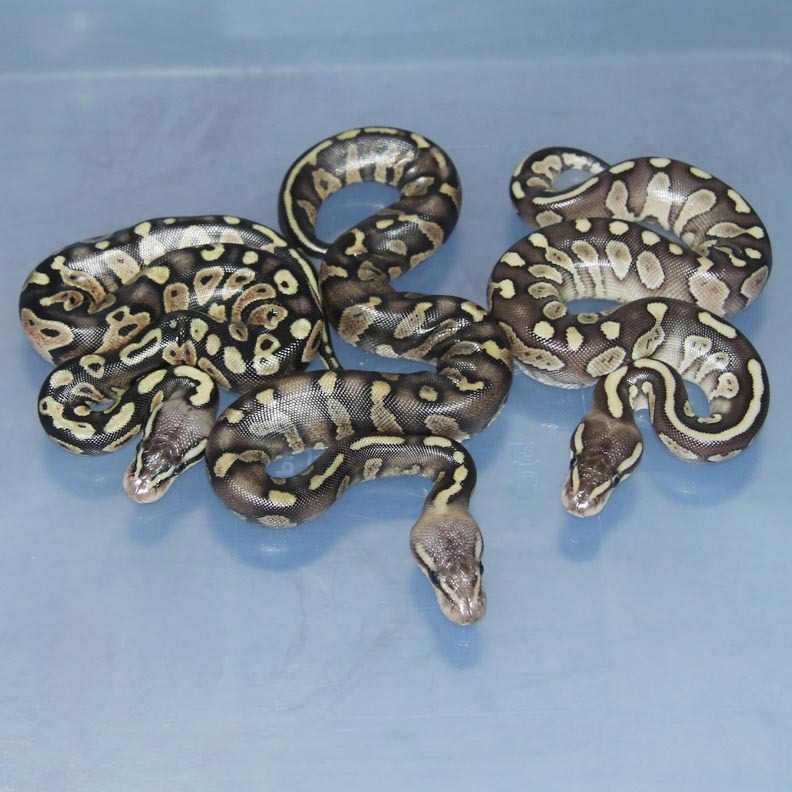 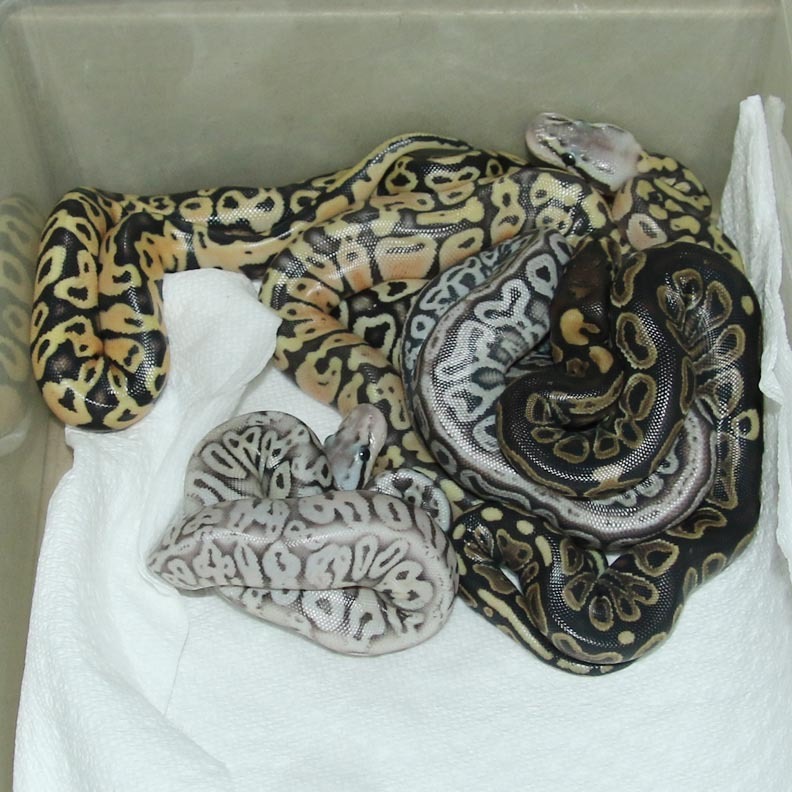 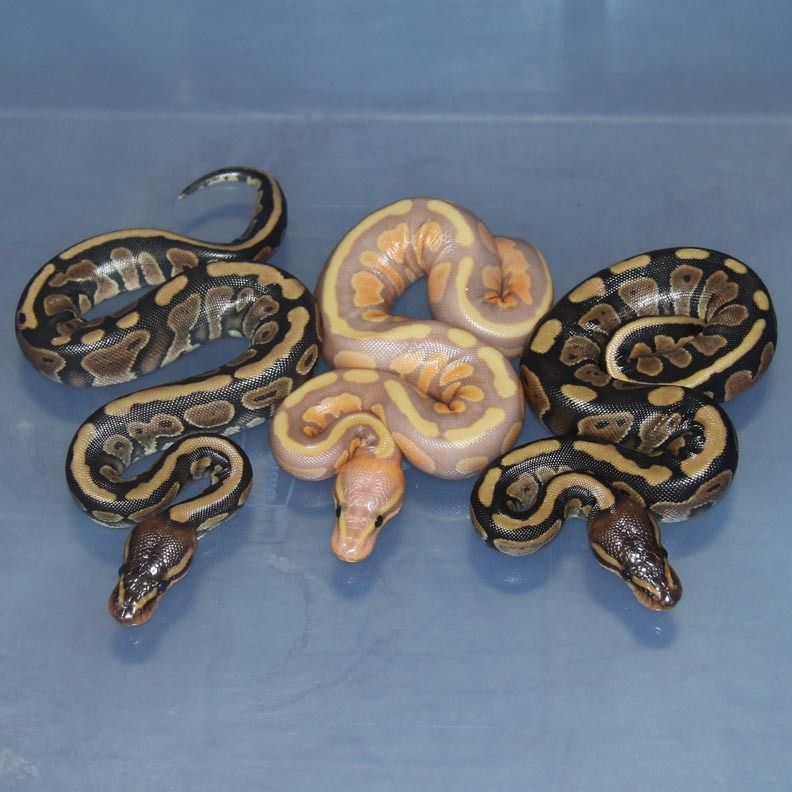 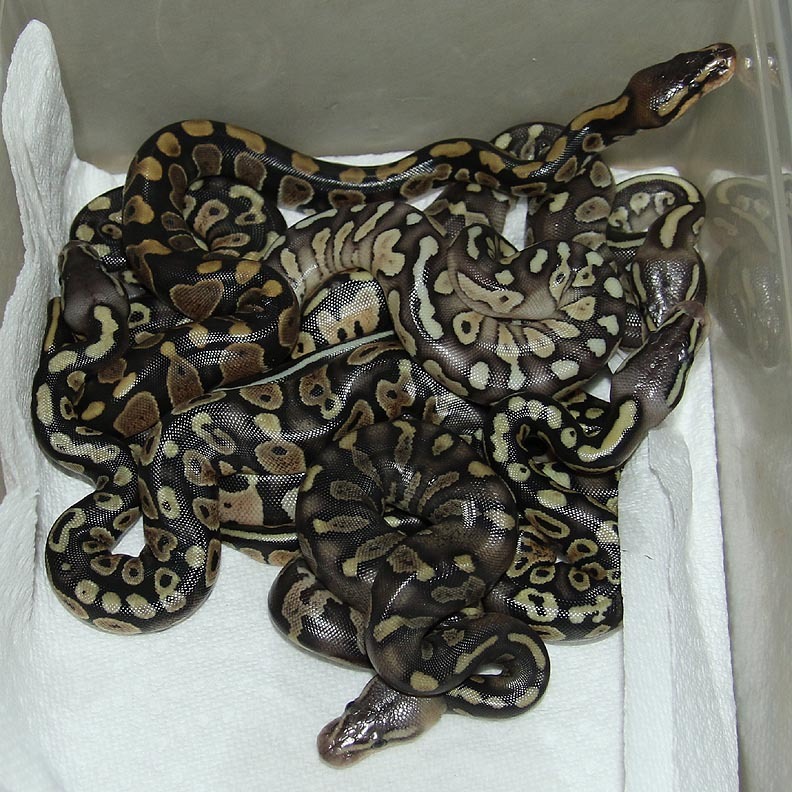 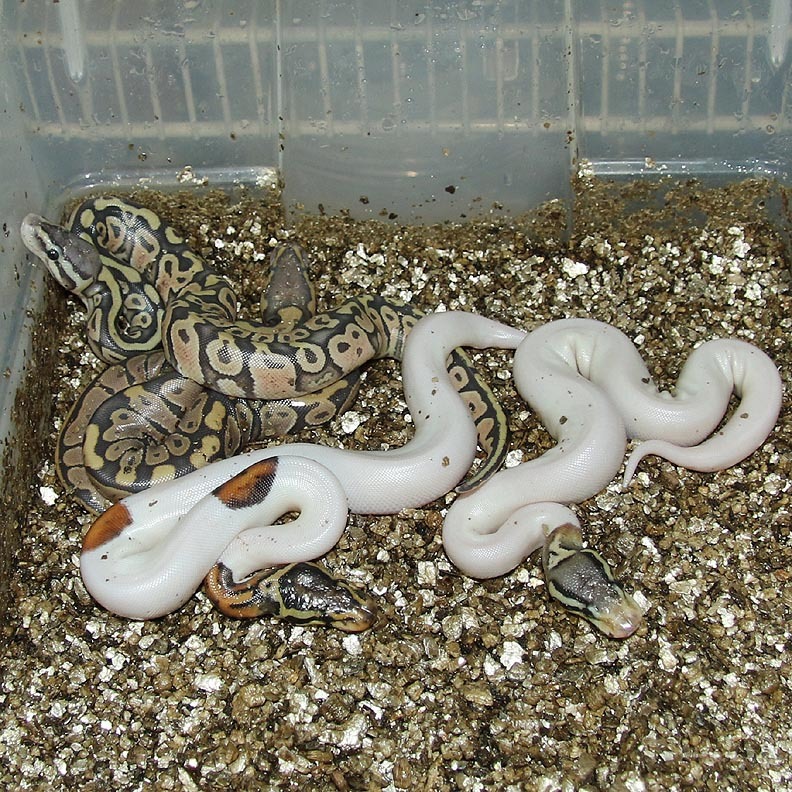 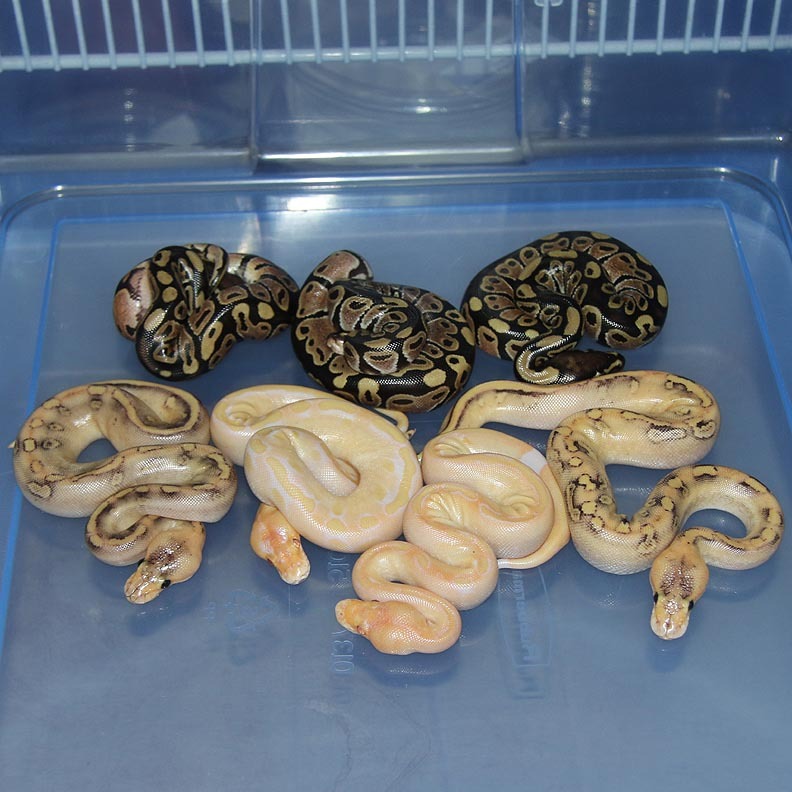 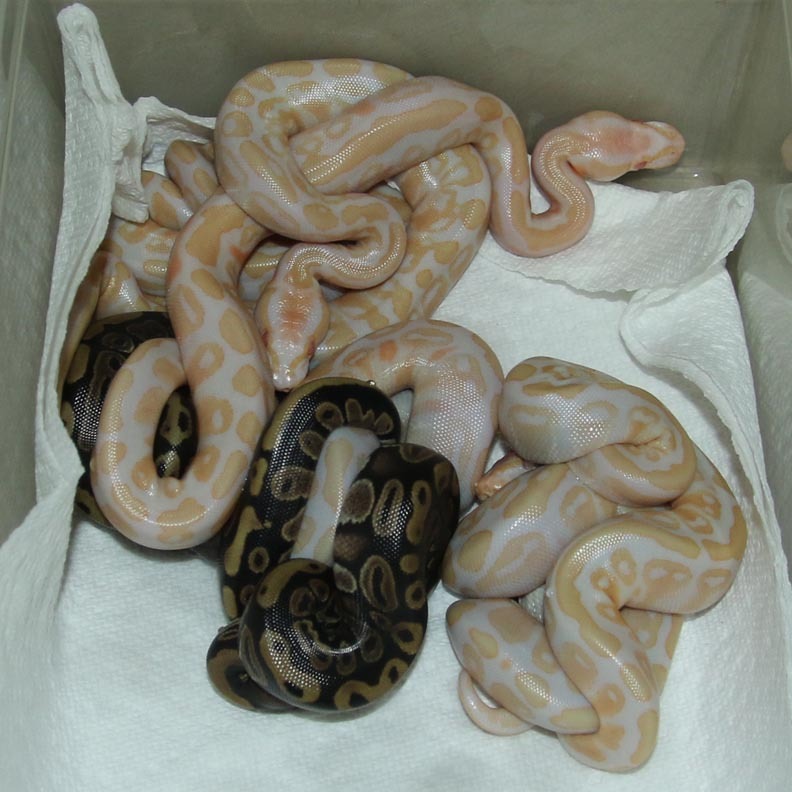 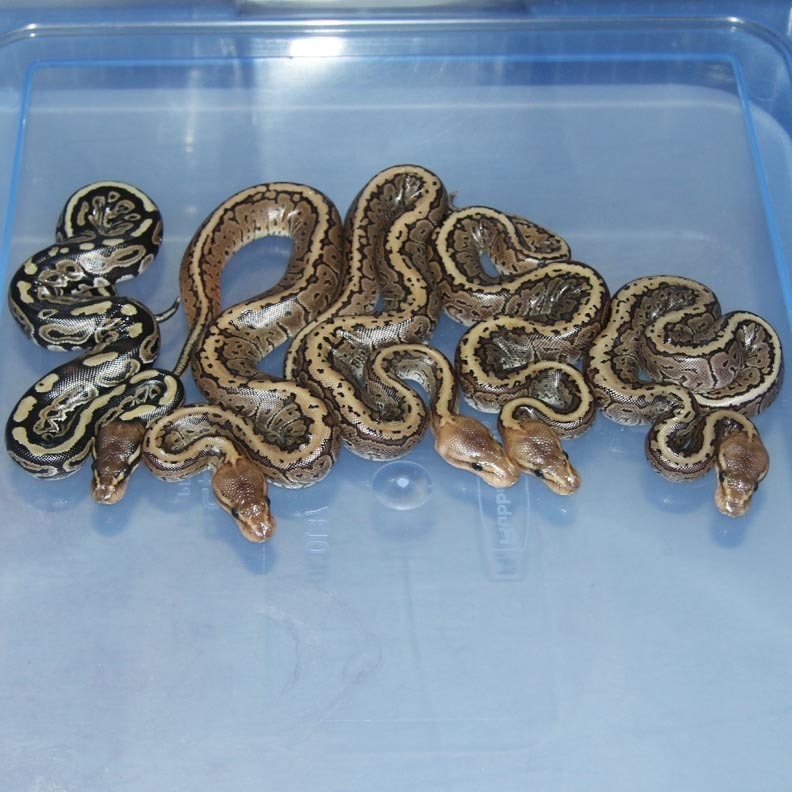 Description: Citrus Spark Het RA Het Orange Ghost 2/13 x Pastel YB Het Orange Ghost 7/11. 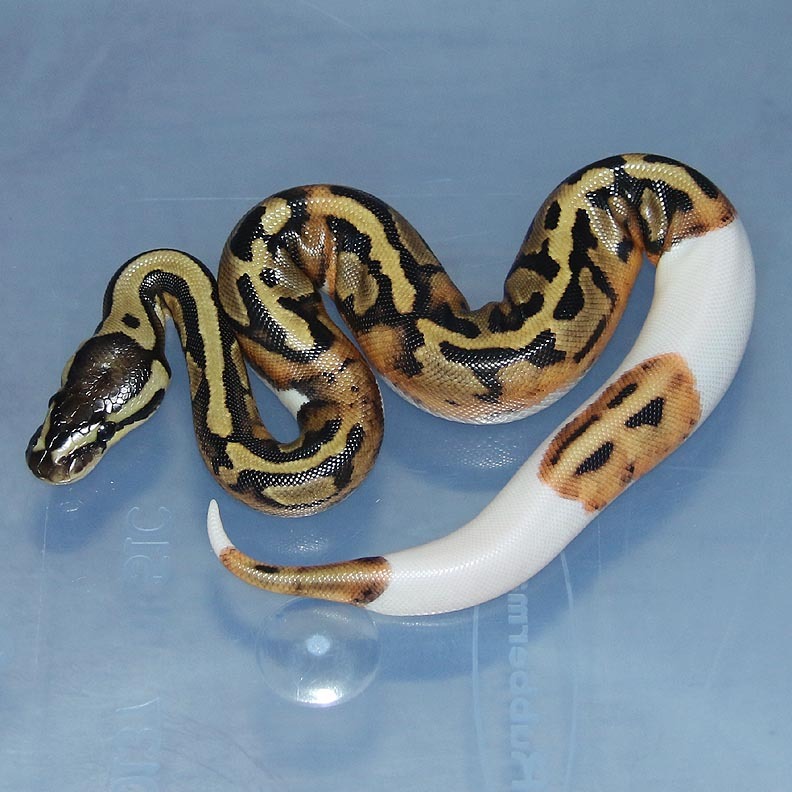 Description: Gold Stripe Het RA PH Pied 2/13 x Pastel Pin Champ HRA 1/12. SO when I checked on this clutch the Pin Champagne was the first one out and I literally said WTF??? 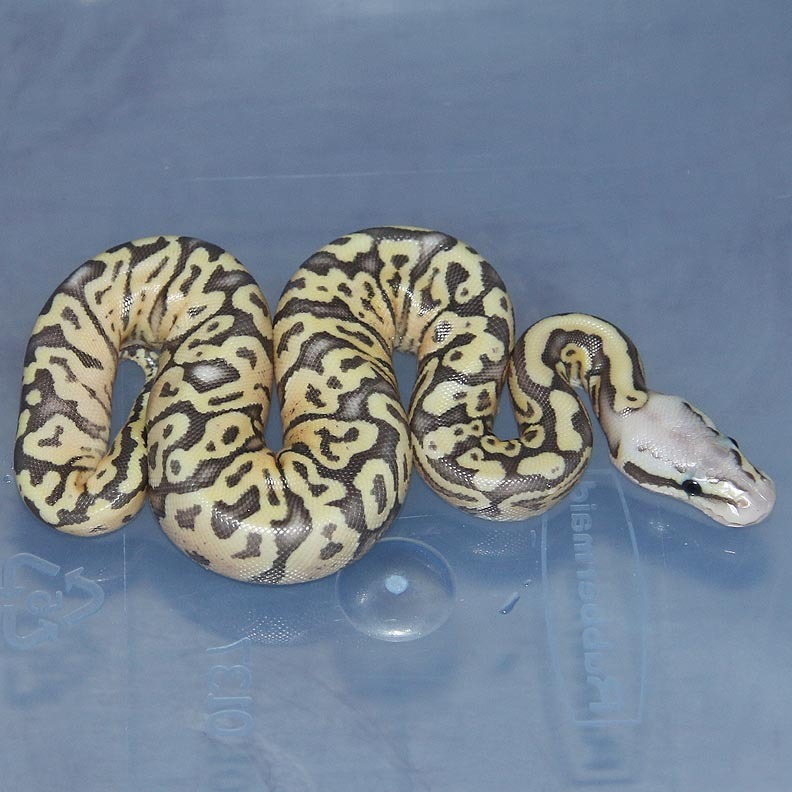 After thinking about it for a couple days I think I have it figured out. 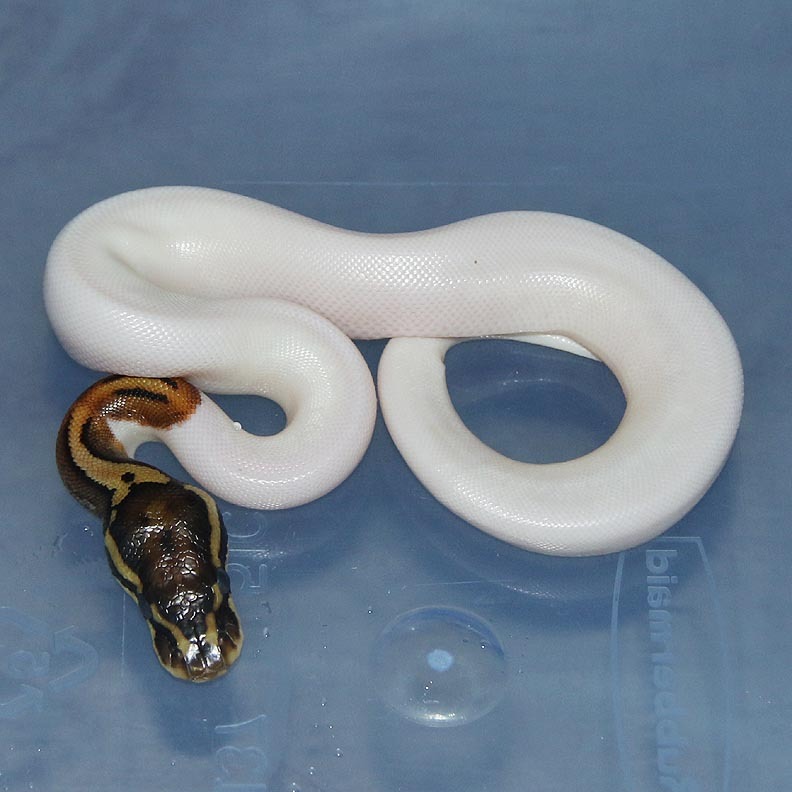 The male Gold Stripe HRA is 66% possible Het Pied. 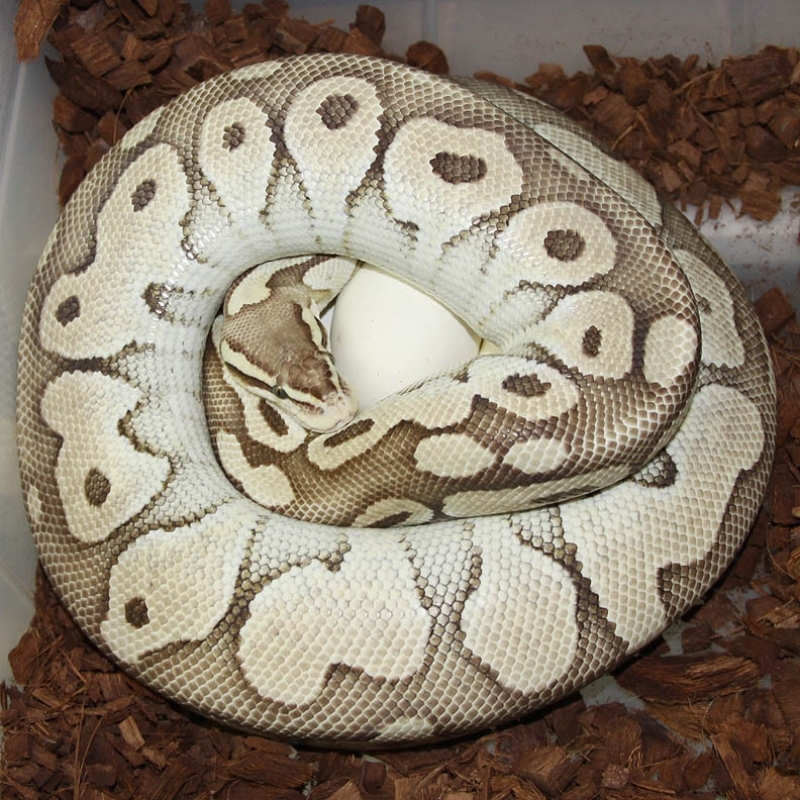 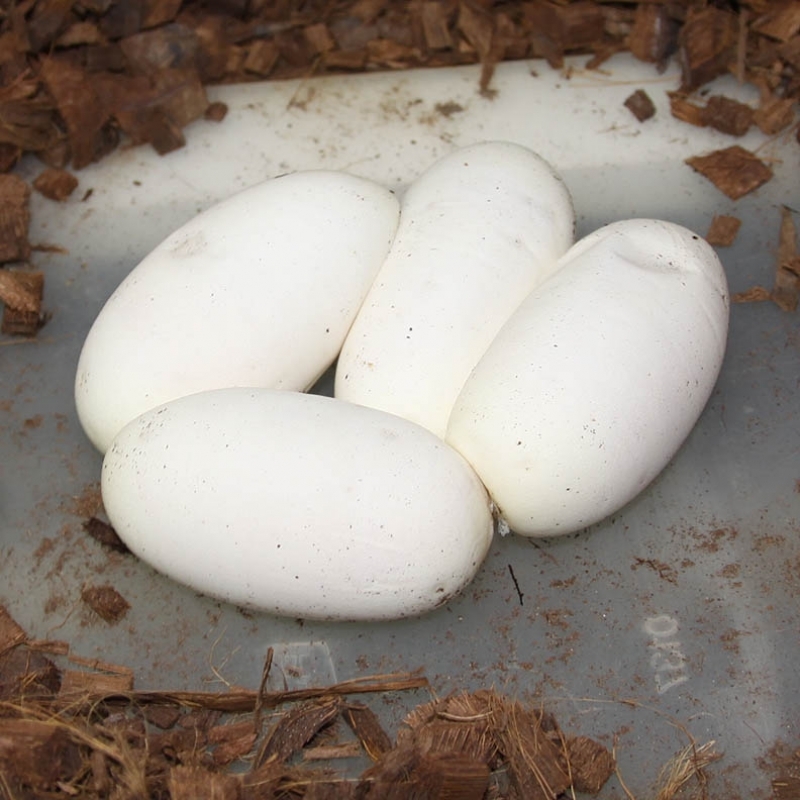 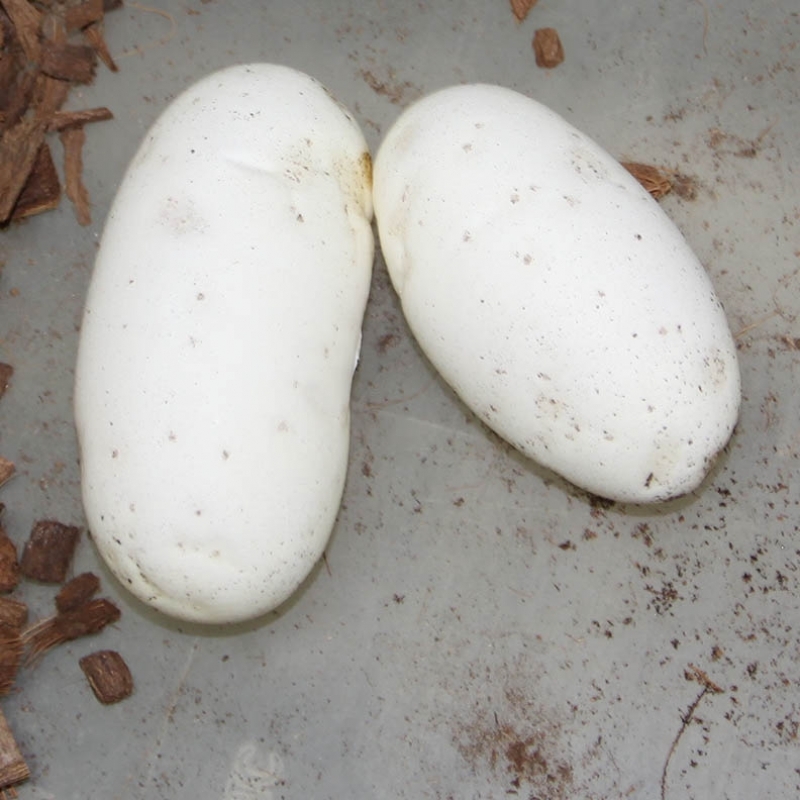 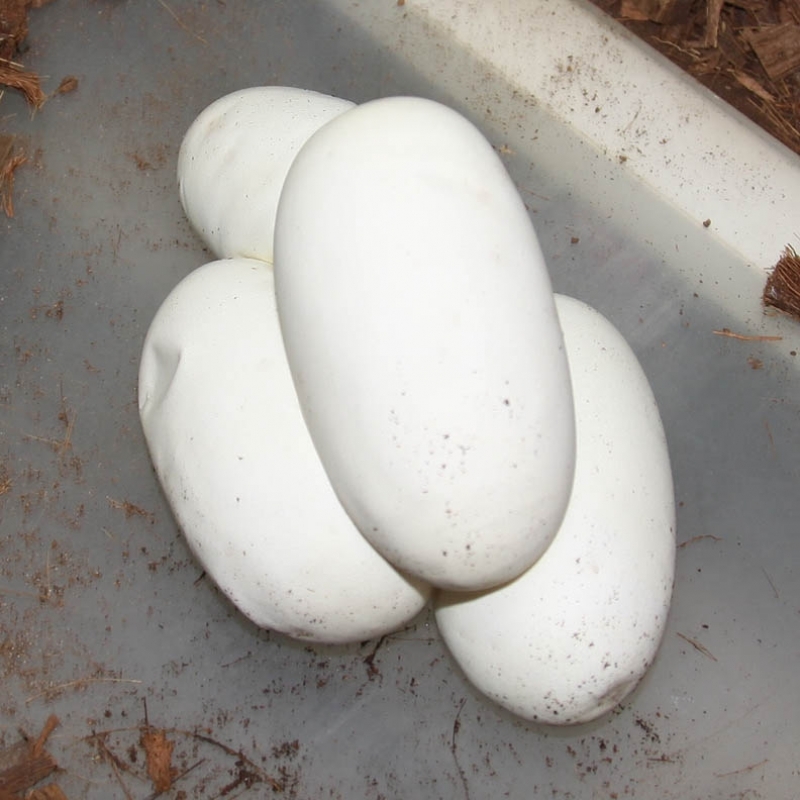 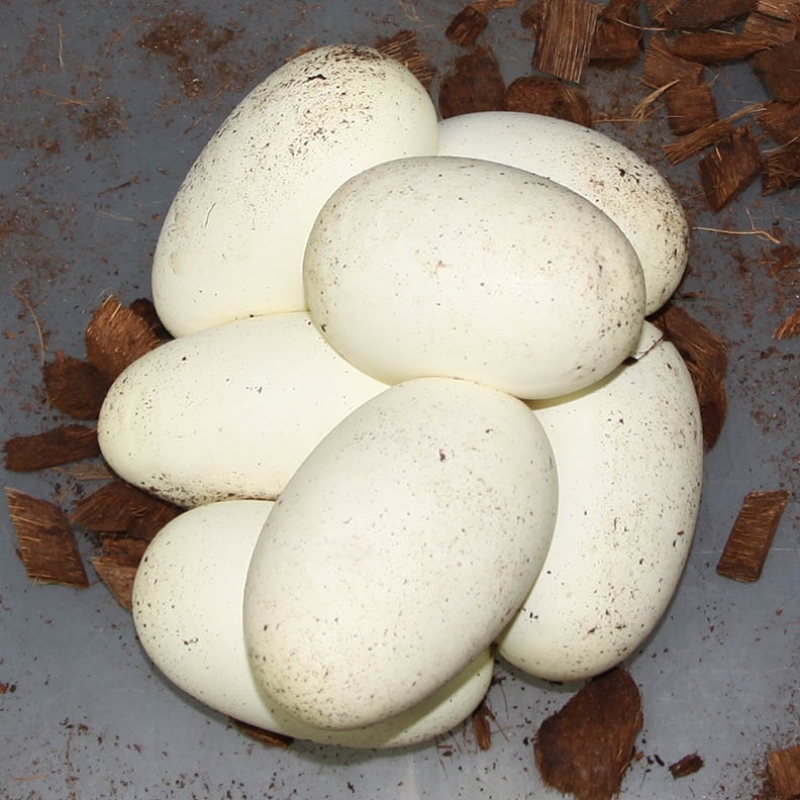 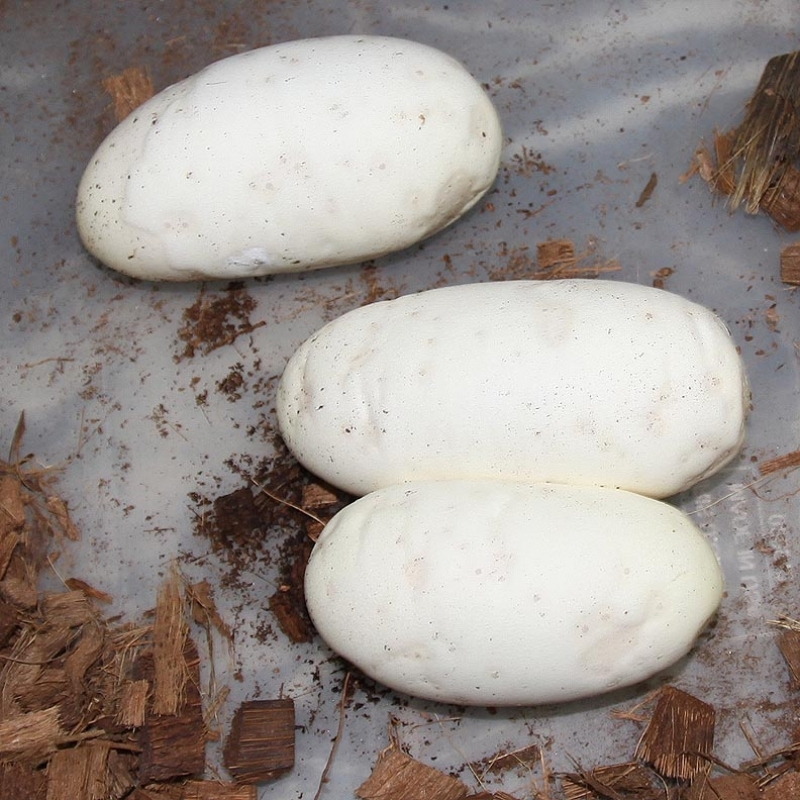 I believe he is a Het Pied meaning 50% of this clutch (on average) is Het Pied and the other 1/2 is not. 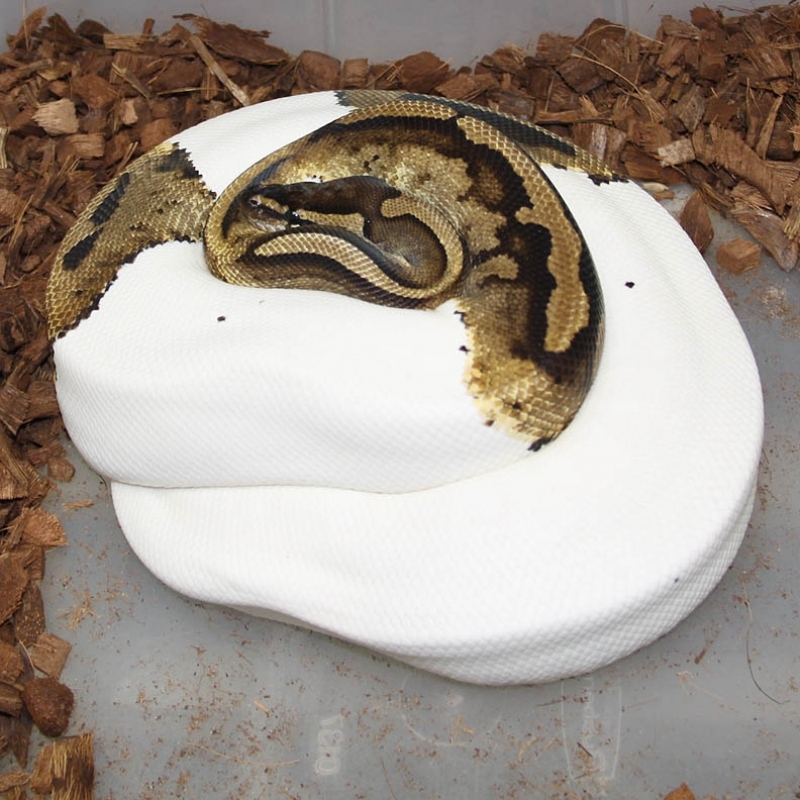 This guy being a Pin Champagne Het Pied would explain him looking like a Pied. 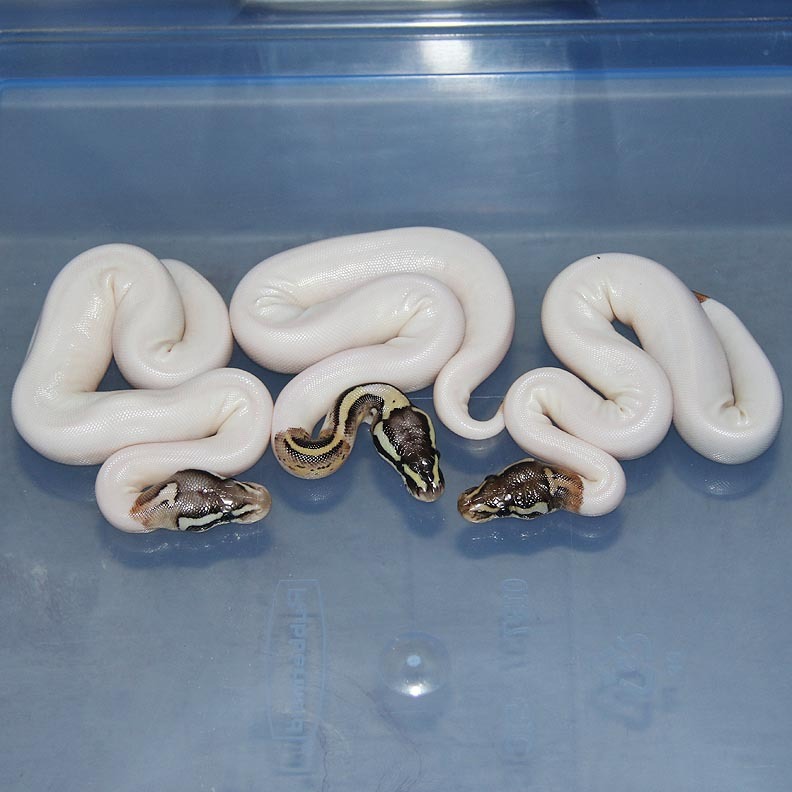 I believe the other guy is a Red Axanthic Pin Champagne Het Pied but the other 2 champagnes in the clutch are not Het Pied. 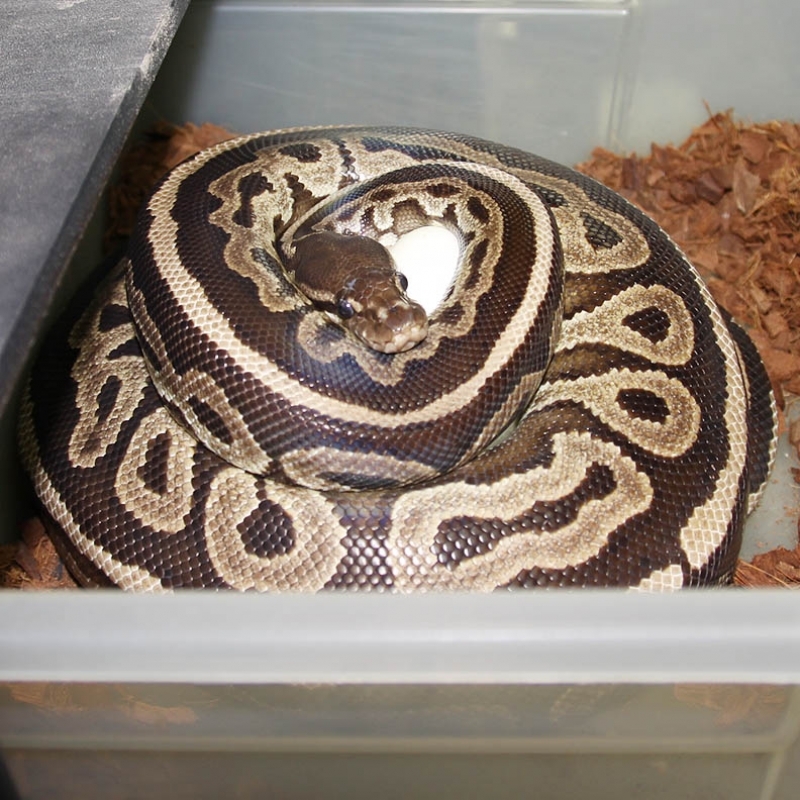 This is the most logical explanation. 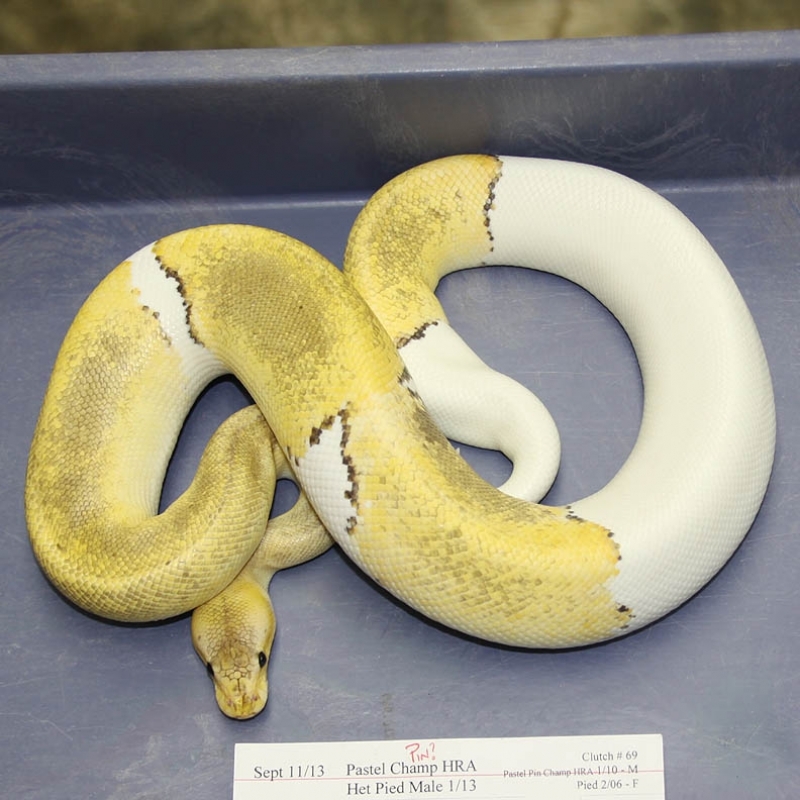 If the Gold Stripe proves genetic it would mean this entire clutch is Het Gold Stripe as well. 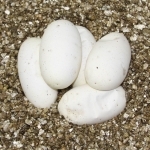 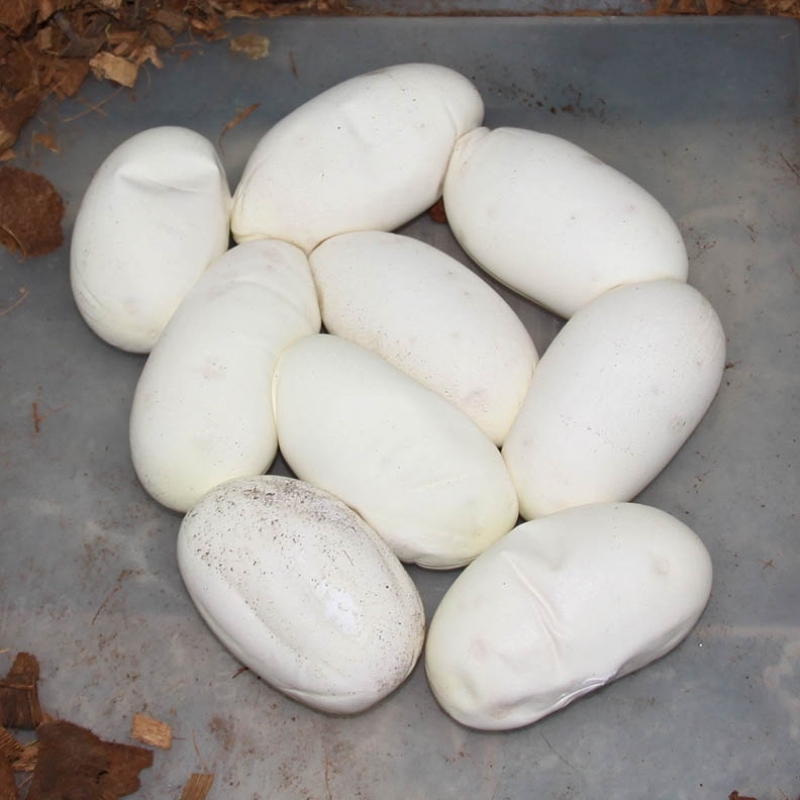 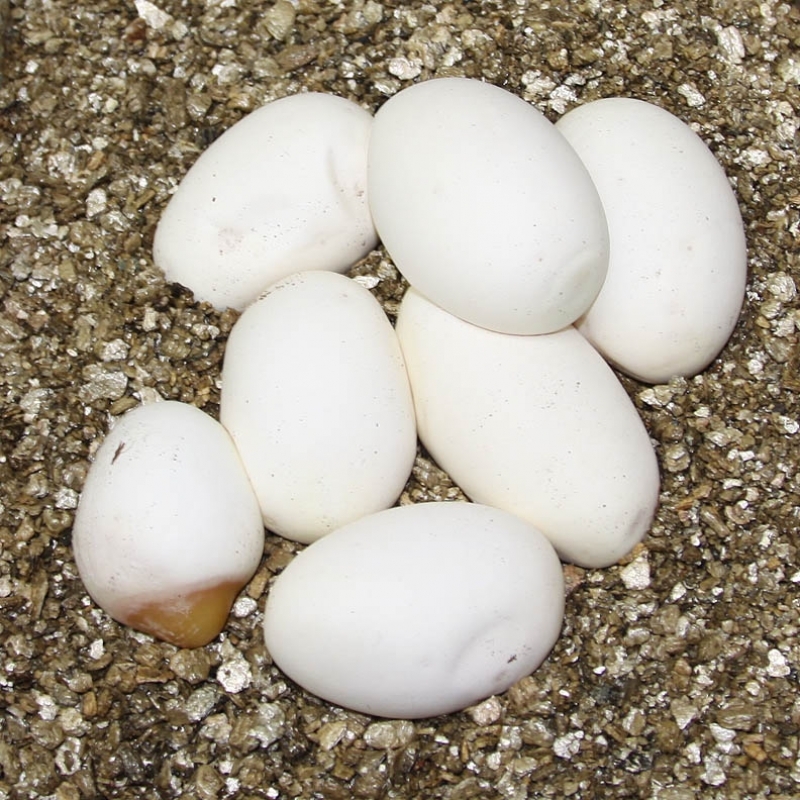 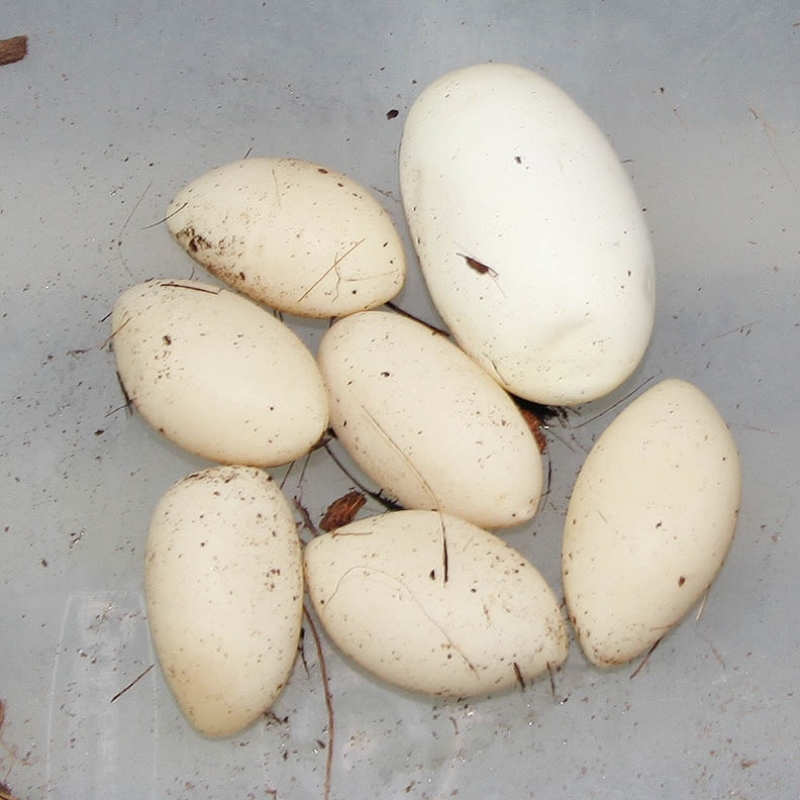 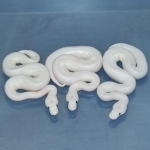 Description: Albino YB 1/12 x HY YB 5/09. 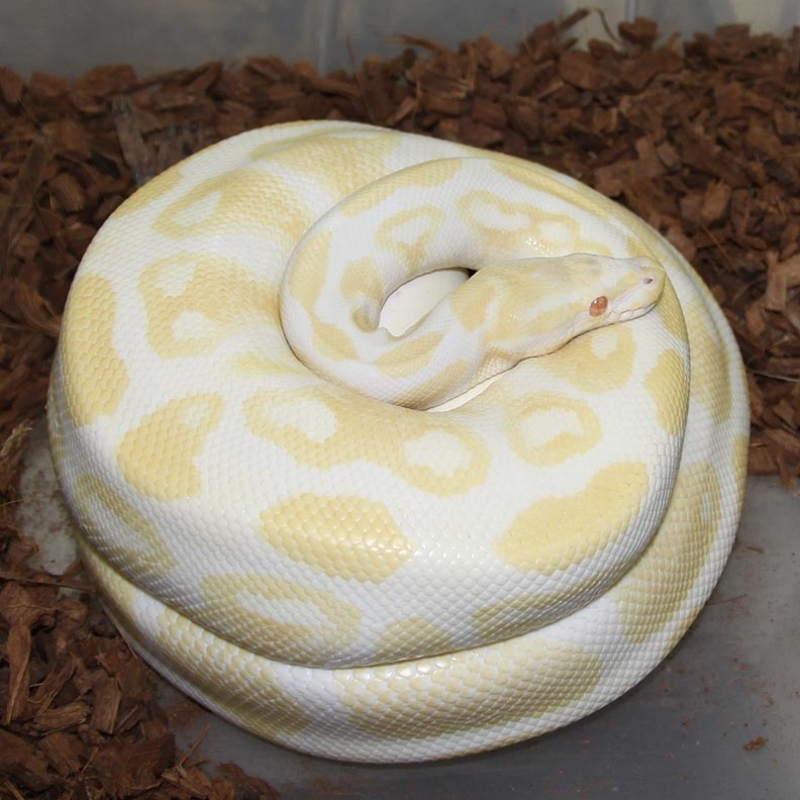 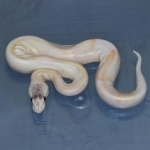 Description: Albino YB 1/12 x Albino 3/10. 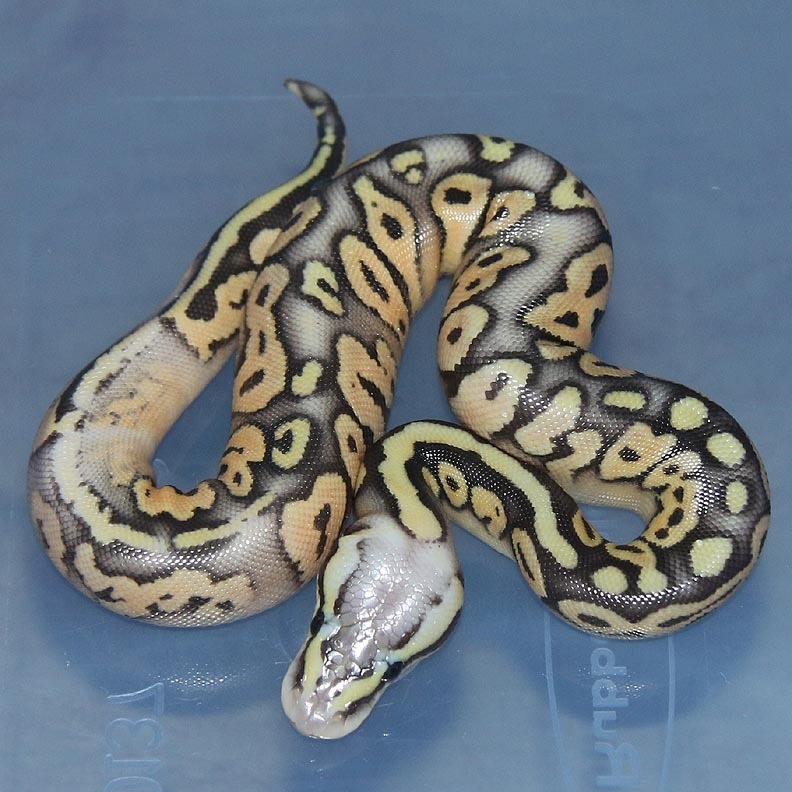 The male has proven to not be a YB. 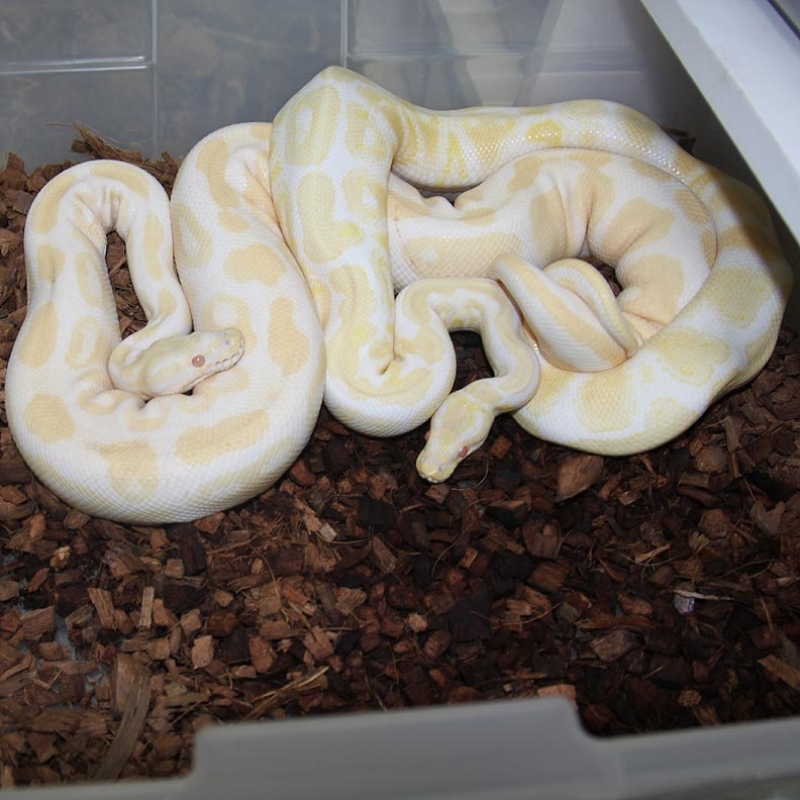 So, this was an Albino x Albino breeding. Description: Lesser Ivory 1/12 x Lesser 13/07. 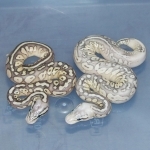 Description: POG RA 1/11 x Super Lesser Lucy PHOG 1/11. This clutch should prove out if the Lucy is a Het Orange Ghost or not. 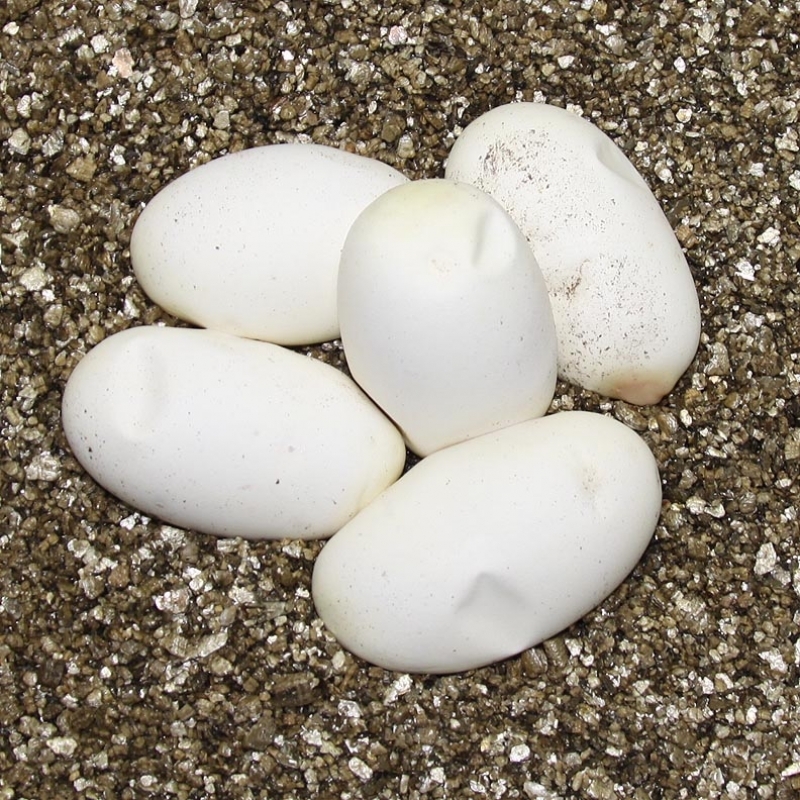 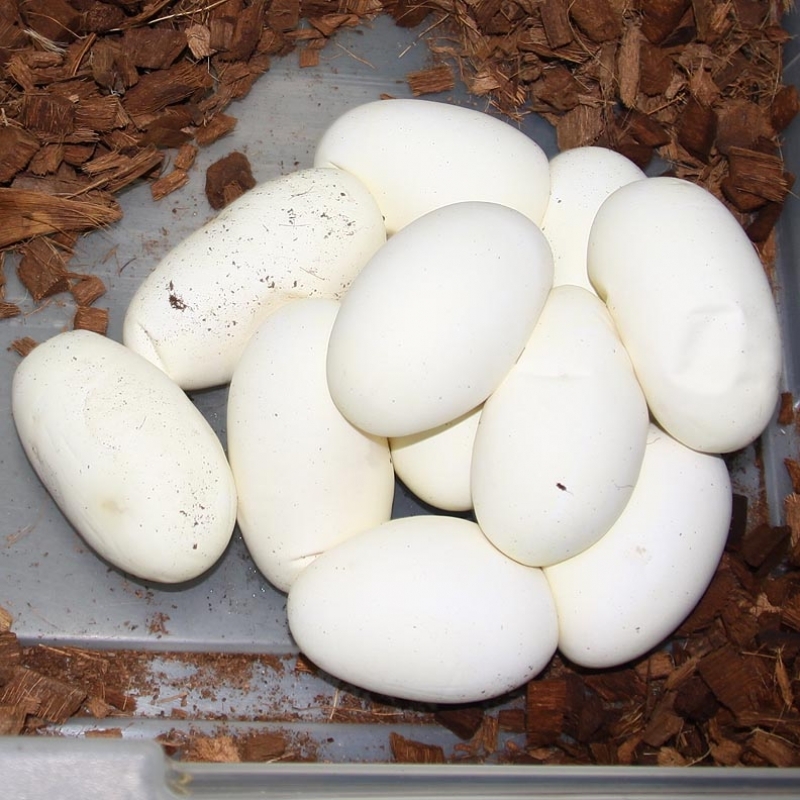 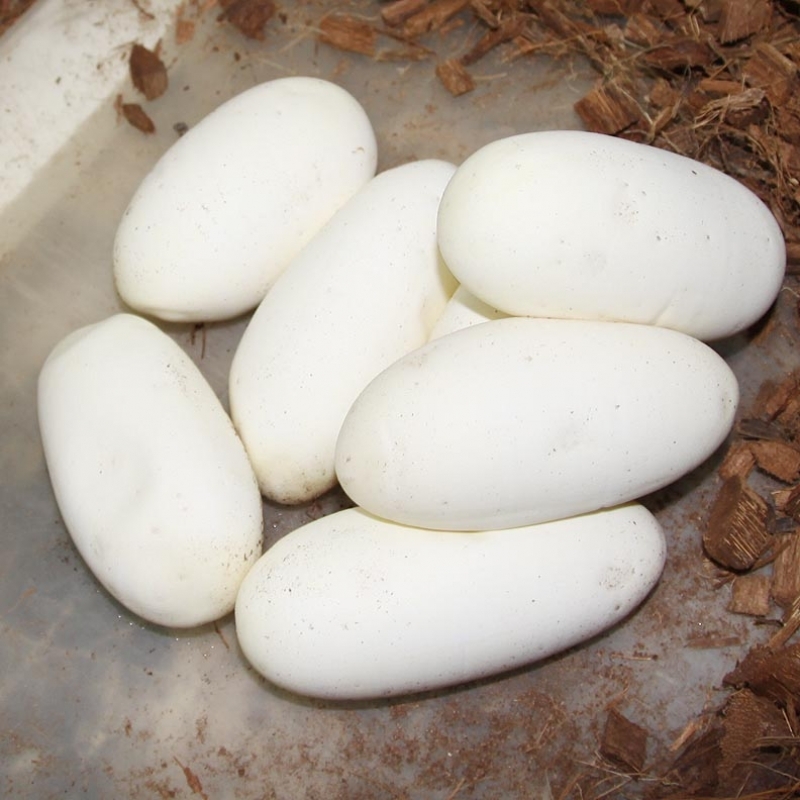 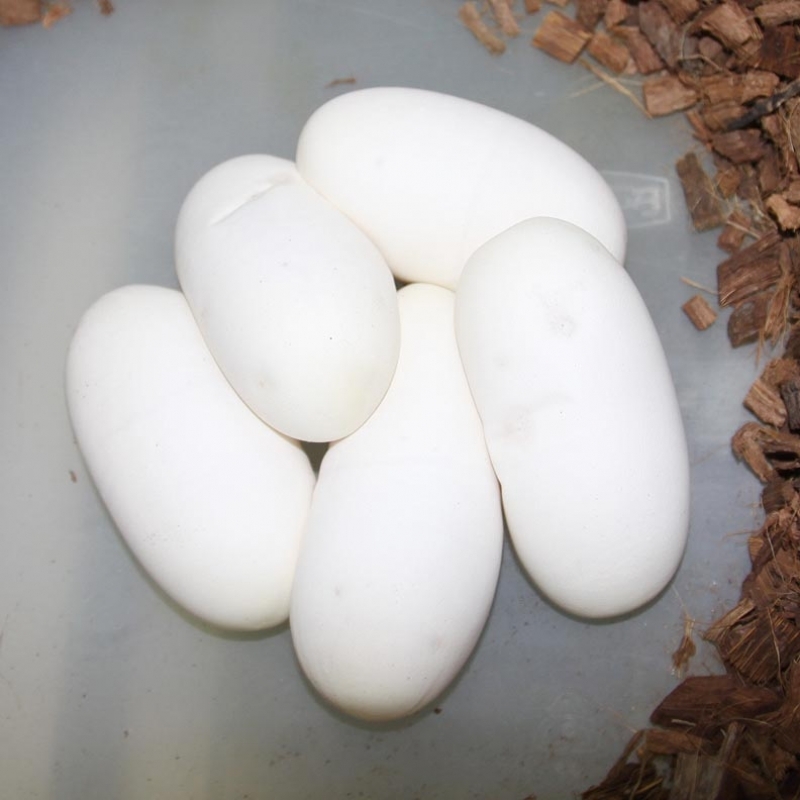 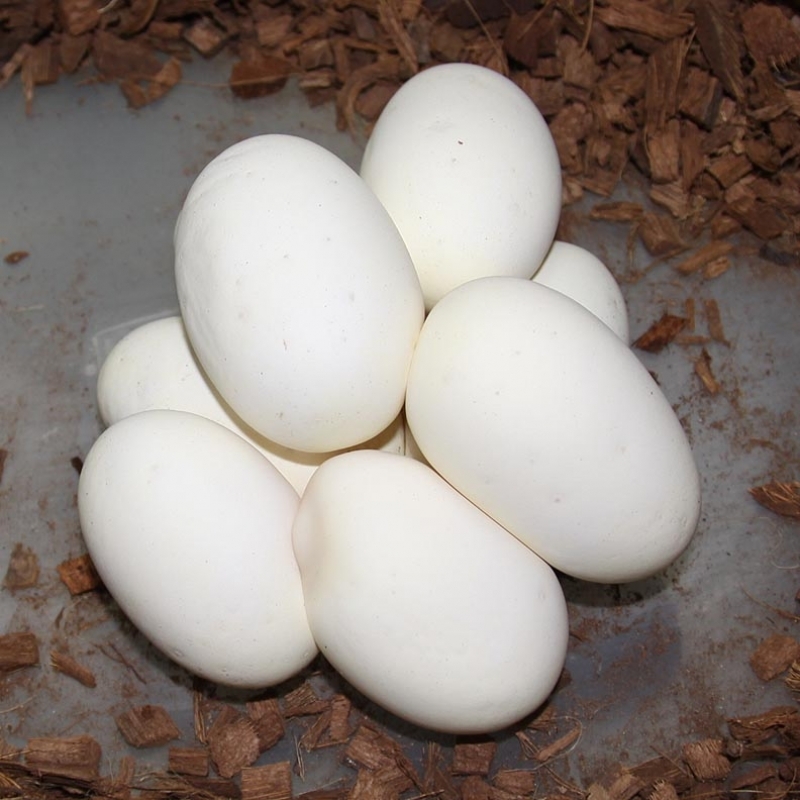 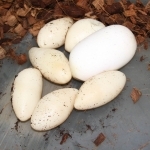 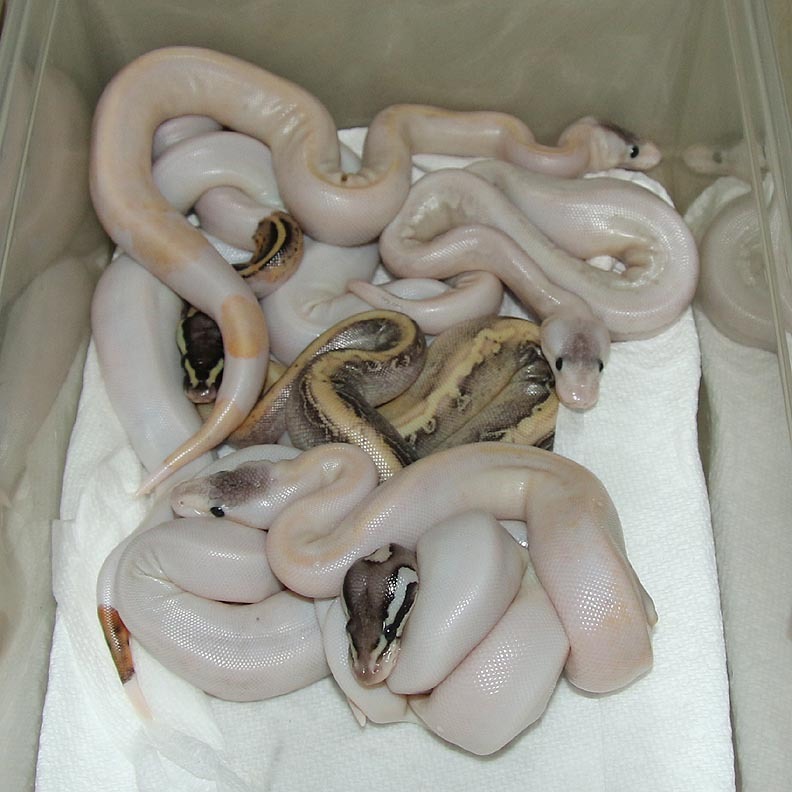 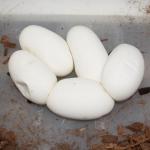 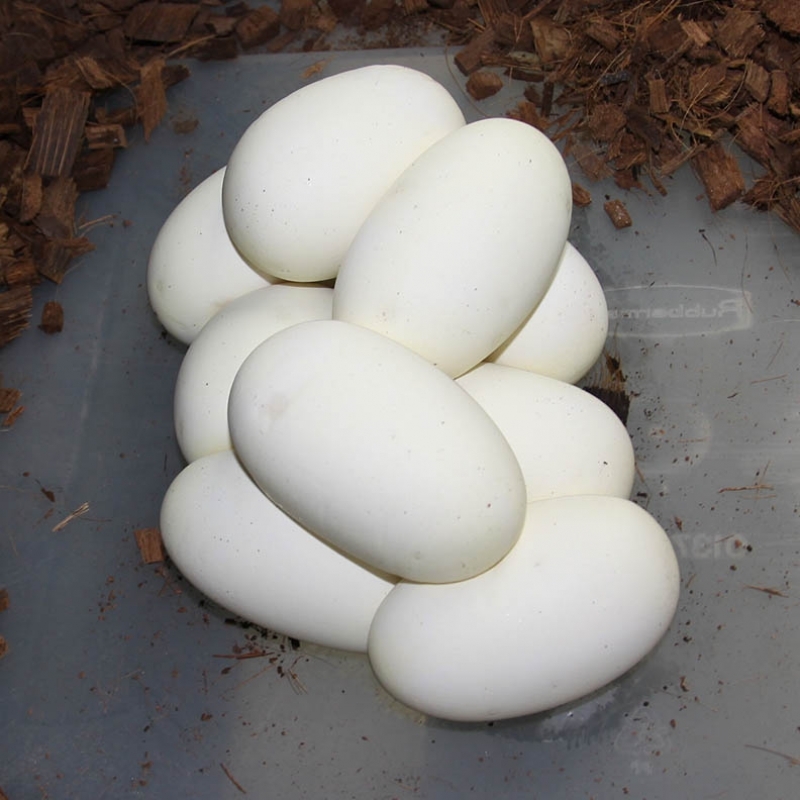 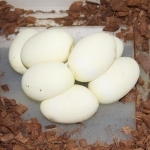 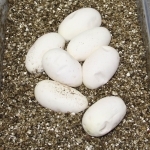 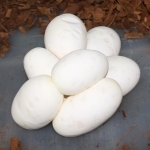 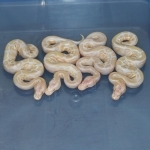 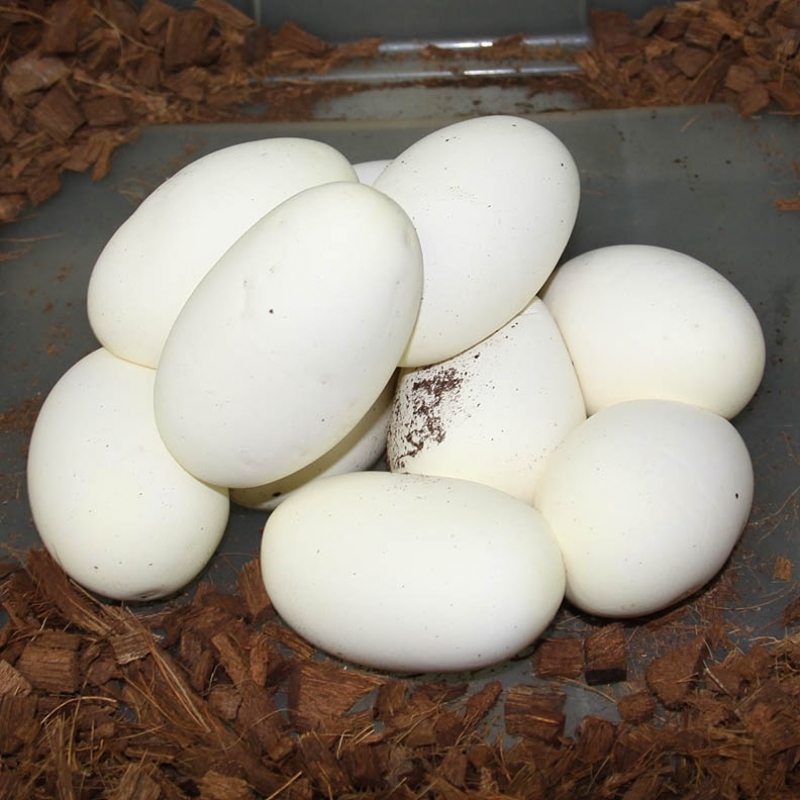 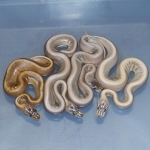 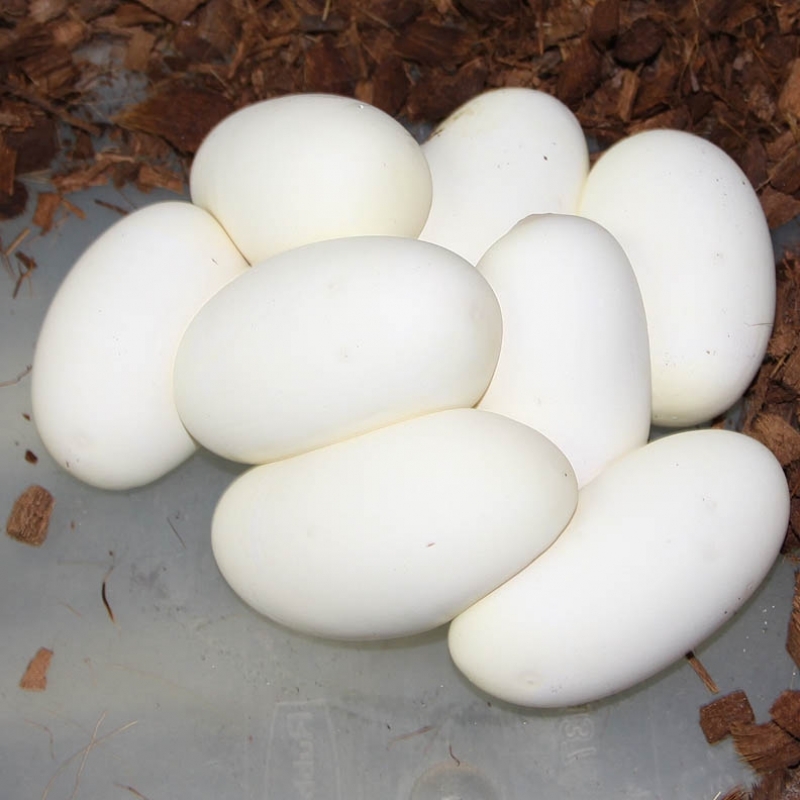 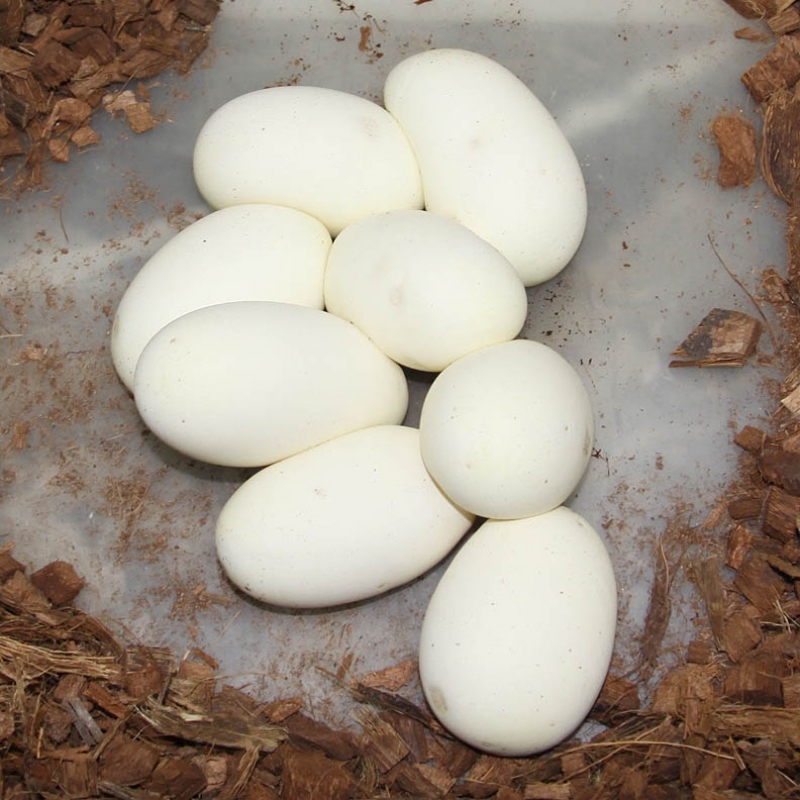 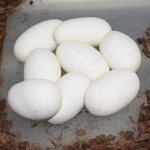 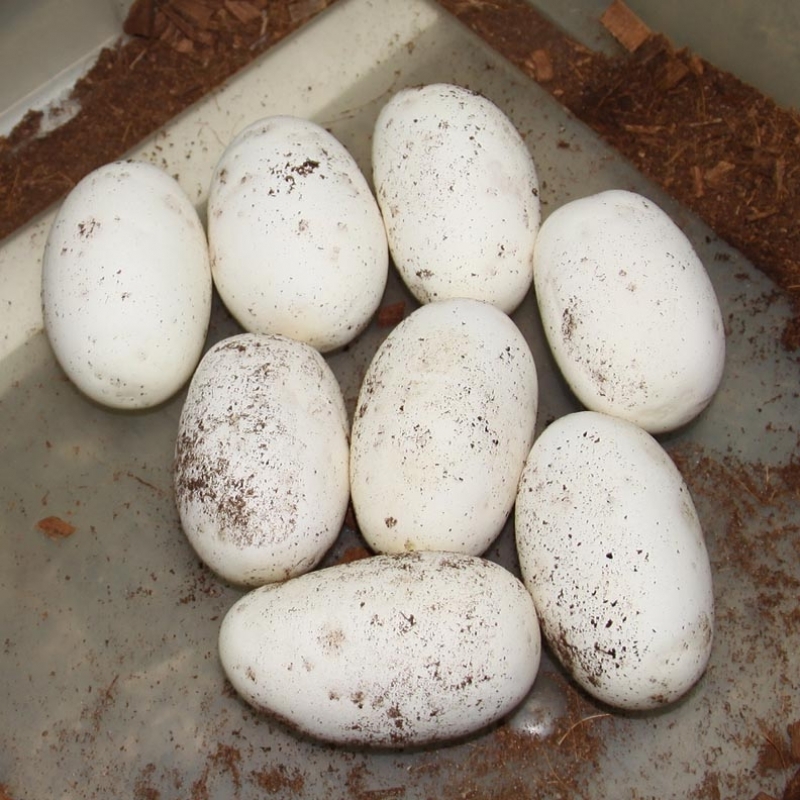 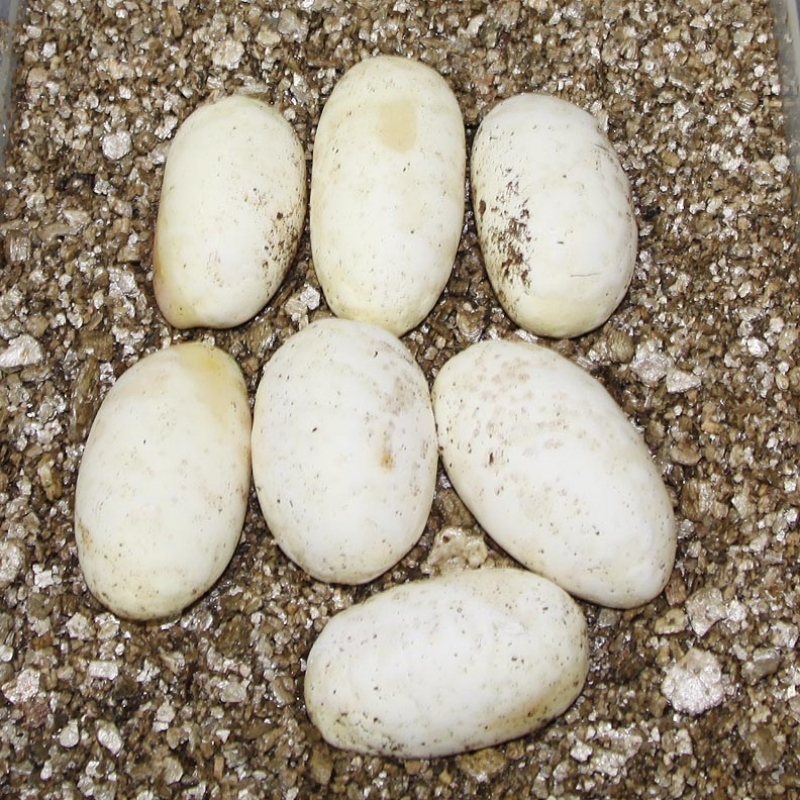 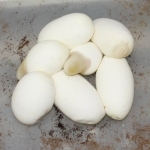 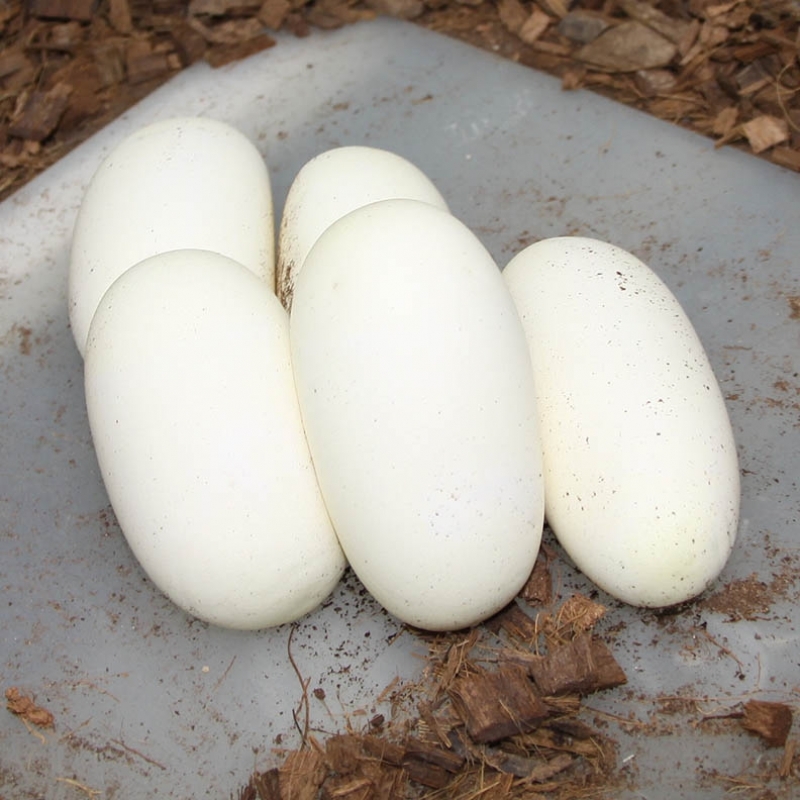 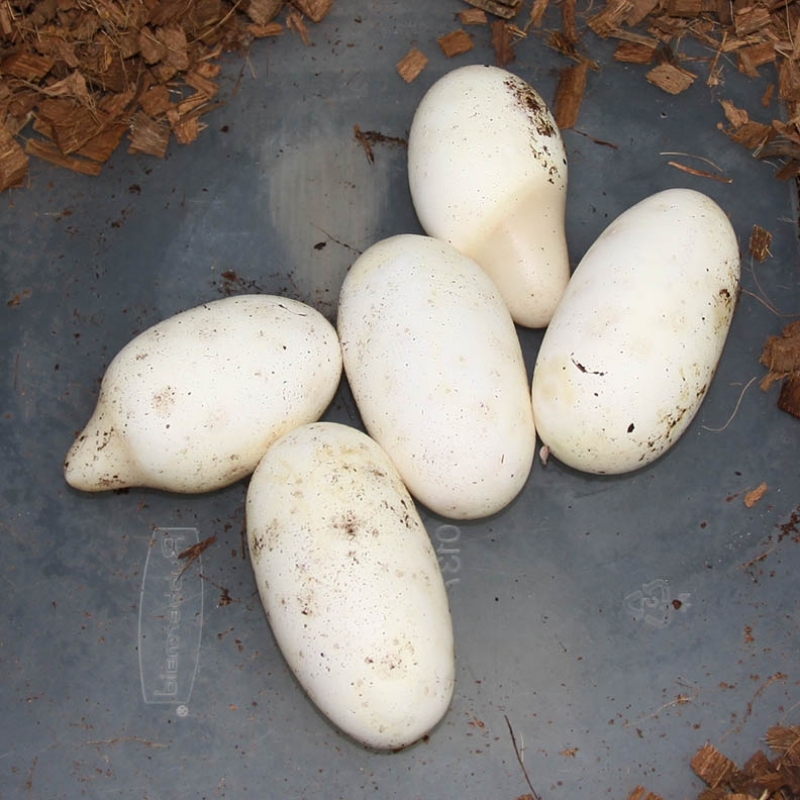 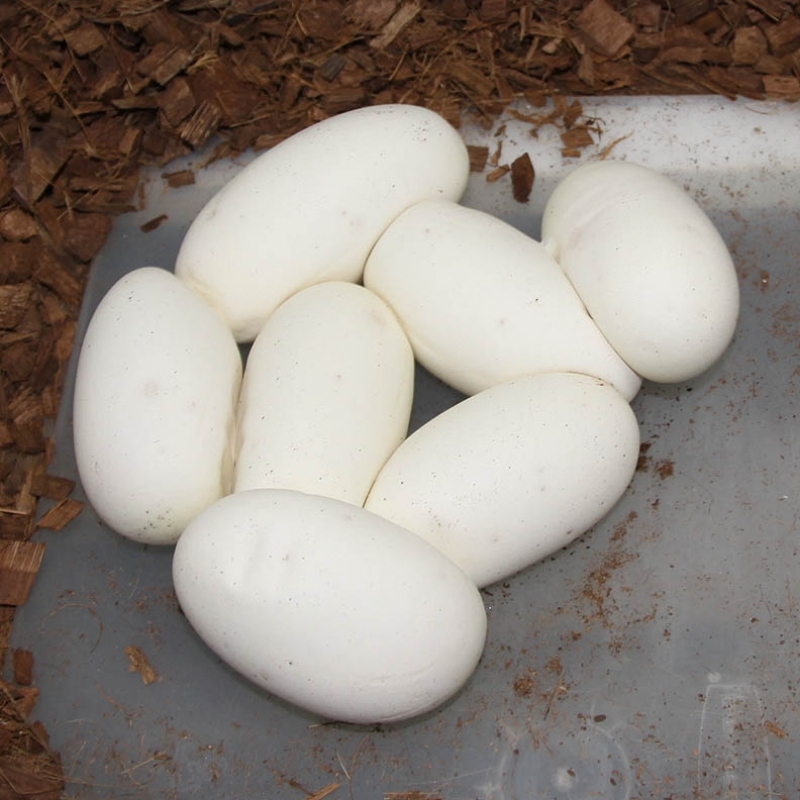 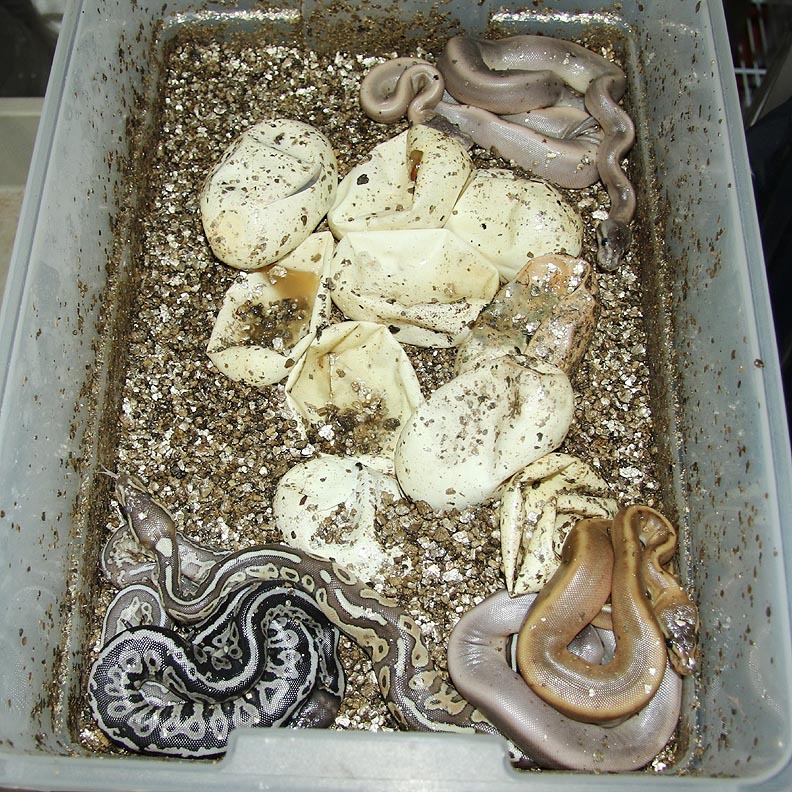 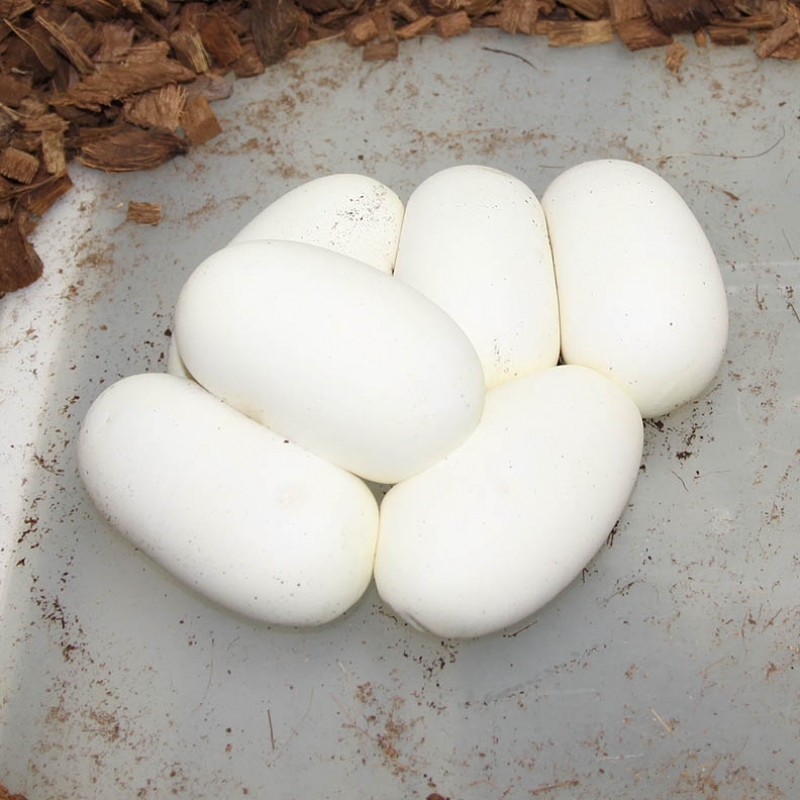 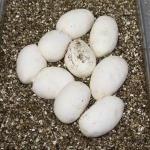 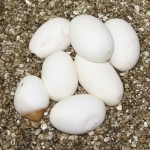 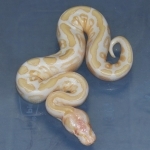 Description: Mahogany Het Albino 2/13 x Mahogany Het Albino 3/13. 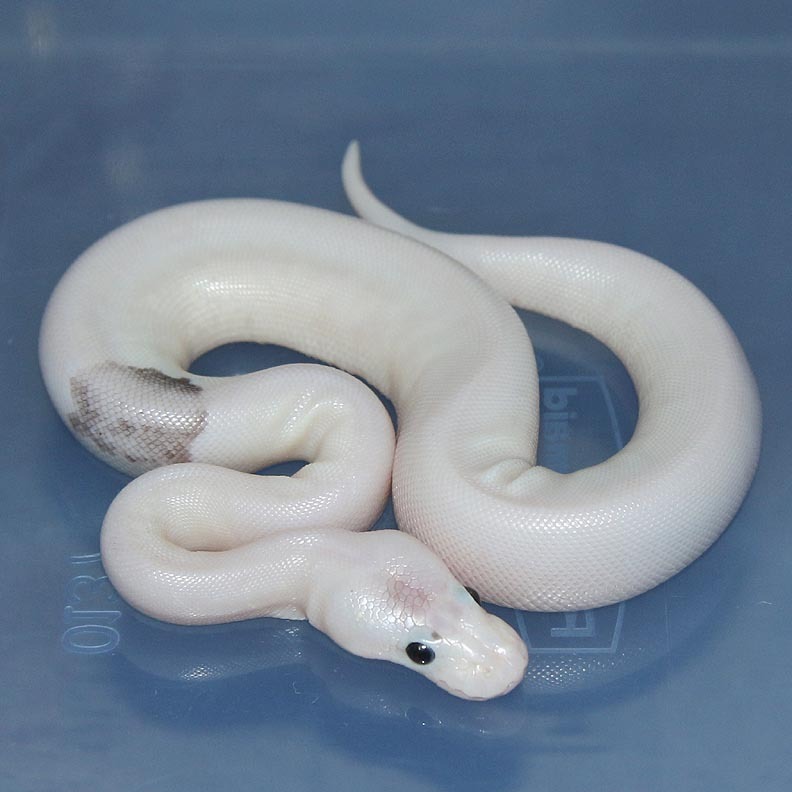 I'm speechless. 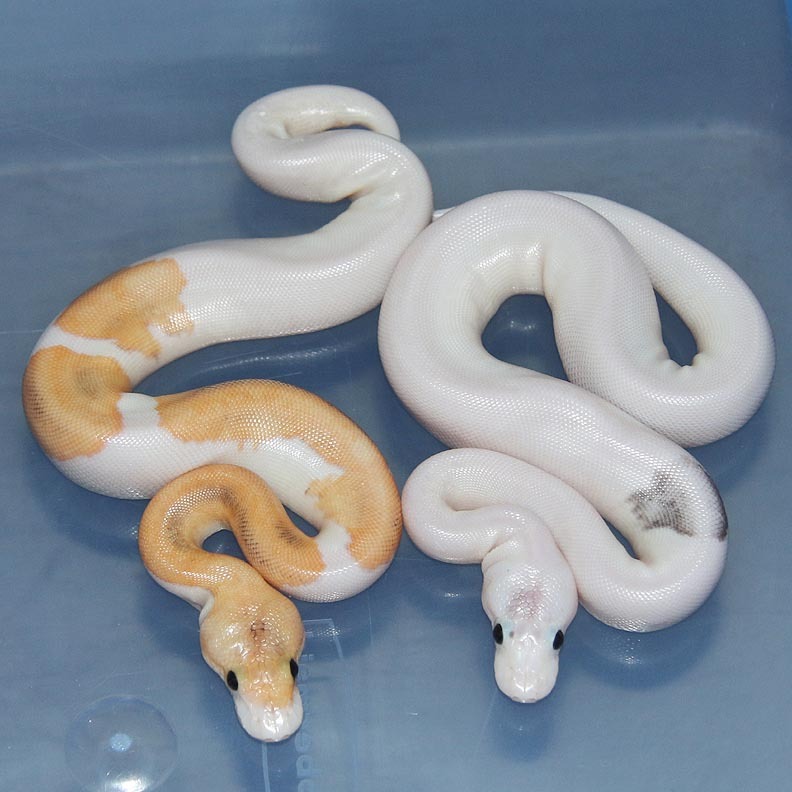 The SUMA and Albino SUMA are a true sight to be seen in person!! 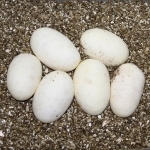 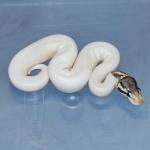 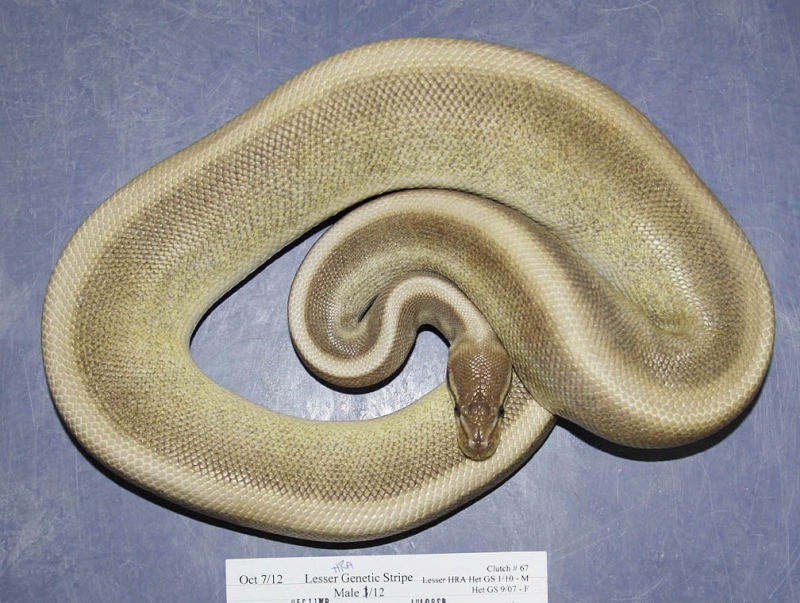 Description: Lavender HRA 3/13 x Pastel Pinstripe Champagne Red Axanthic 1/12. 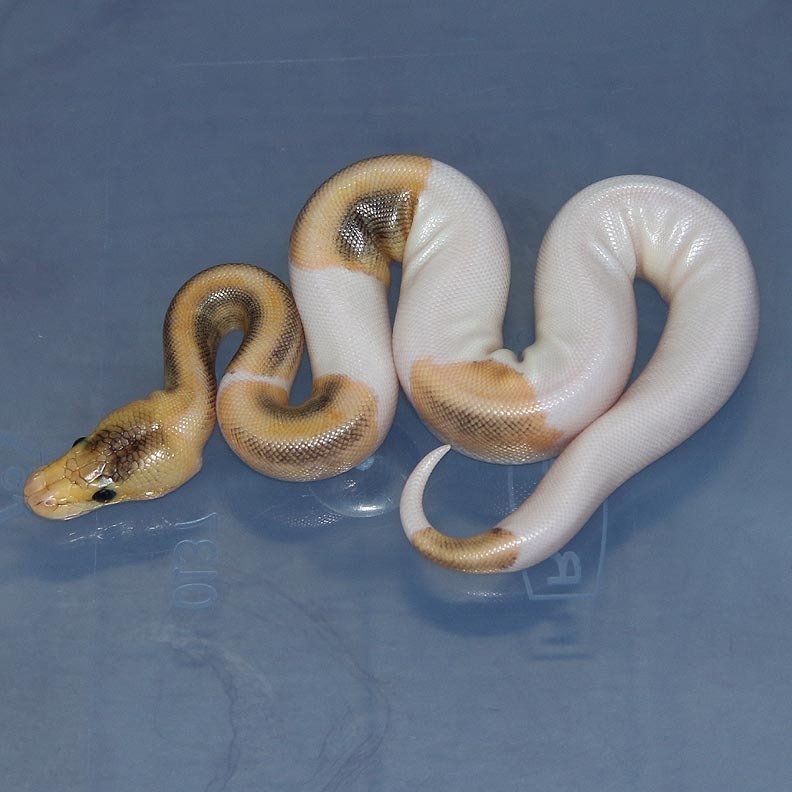 Description: Orange Ghost Genetic Stripe 1/13 x Orange Ghost PHGS 1/12. Description: Lesser Chocolate 1/12 x Chocolate HRA 1/11. 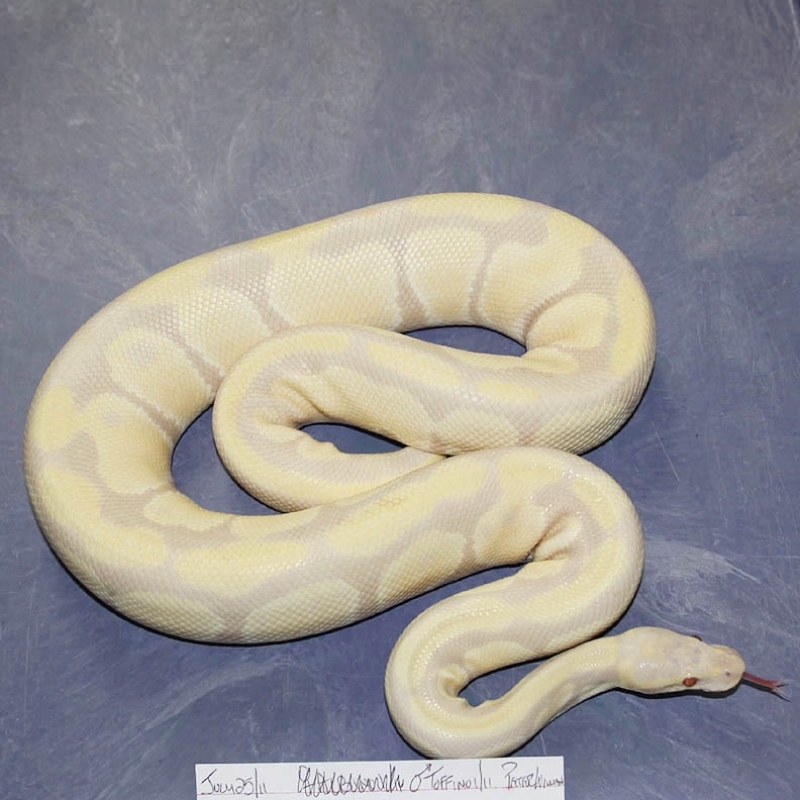 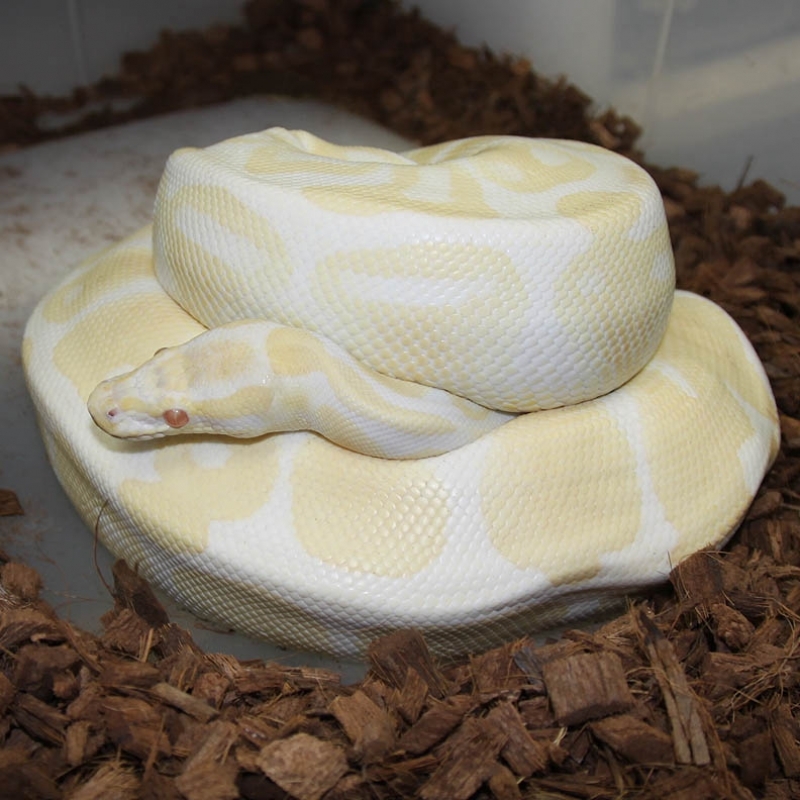 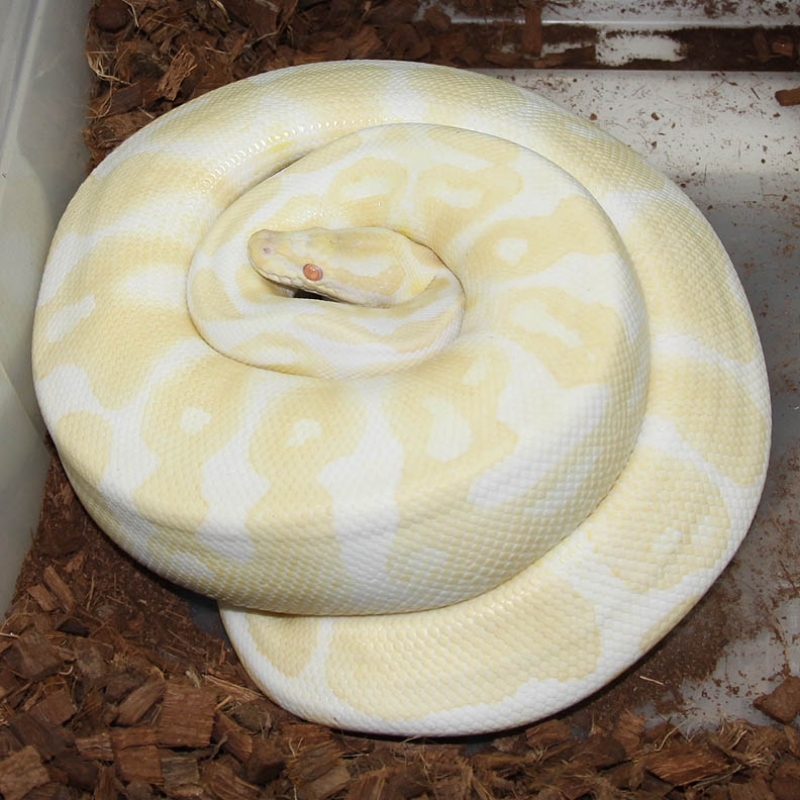 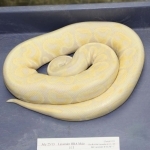 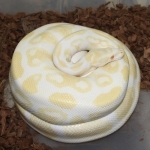 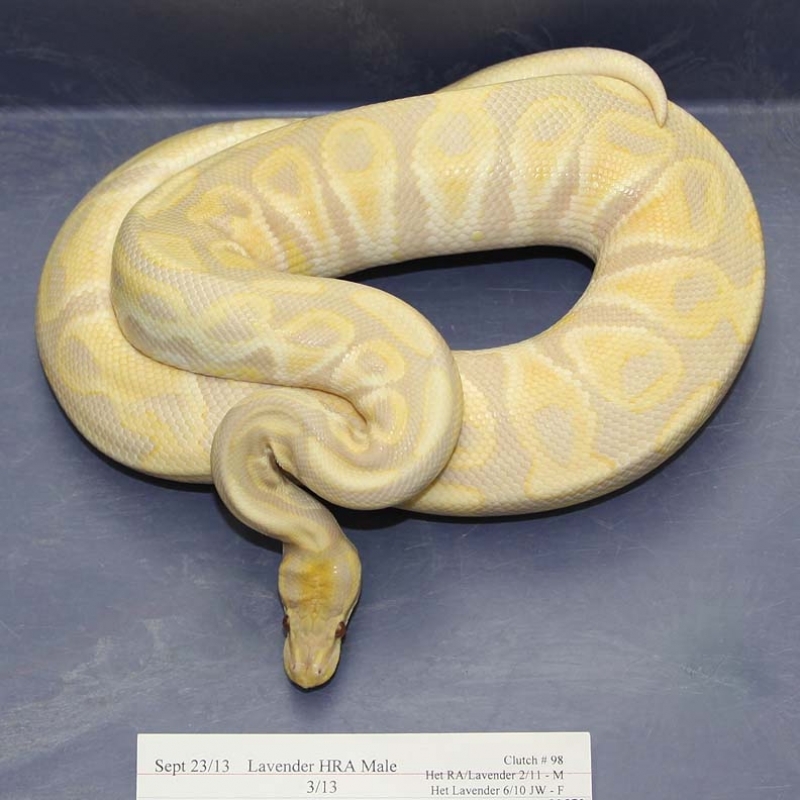 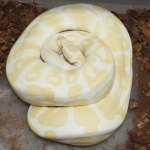 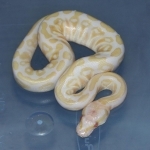 Description: Lemon Pastel Highway 1/13 x Albino 2/11 Sestak. 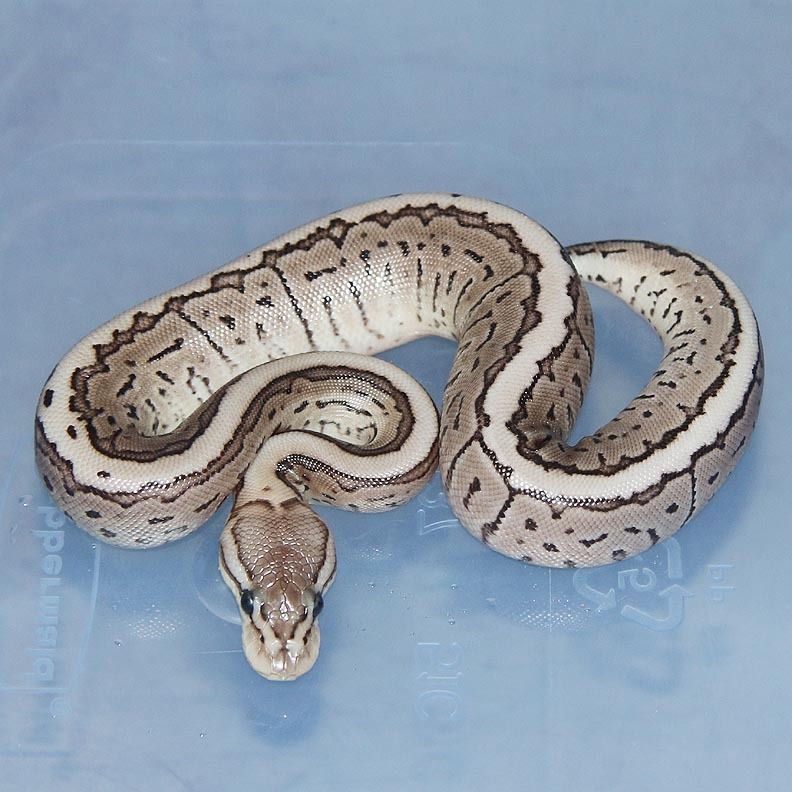 Description: Pastel Genetic Stripe Het Lavender 1/13 x Het Lavender Pos Het Genetic Stripe 1/11. 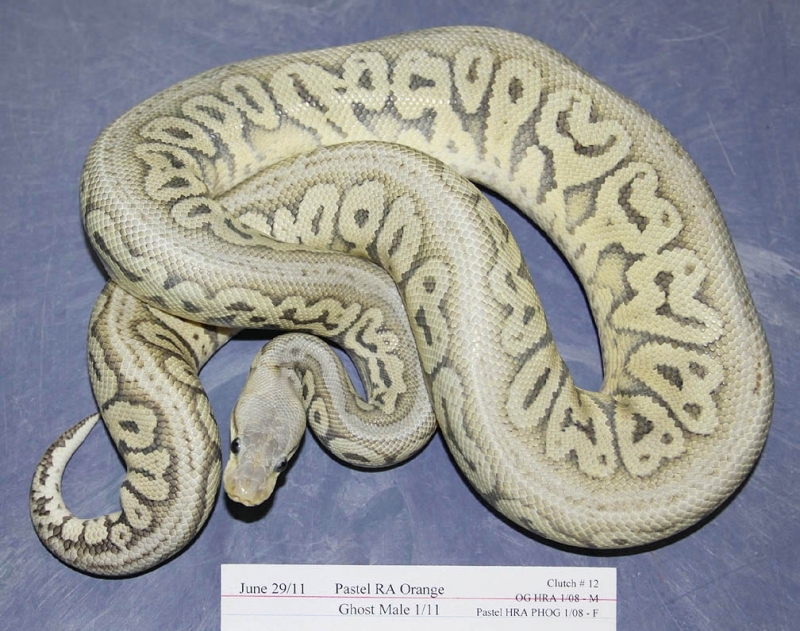 Description: POGL HRA 1/13 x Het RA Het Orange Ghost 2/06. Description: Mutation X Het Pied 1/13 x Pied 14/10. 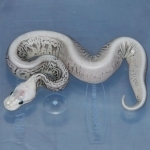 Description: Lavender HRA 1/13 x Super Phantom 1/13. 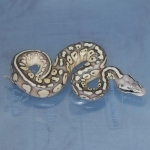 Description: Citrus Pastel Lesser Spark HRA 1/13 x Super Pastel HRA 1/08. 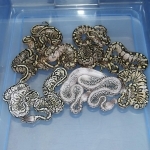 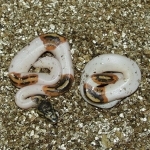 Description: Super Pastel Red Axanthic Dot Matrix 1/13 x Super Pastel HRA 2/09. 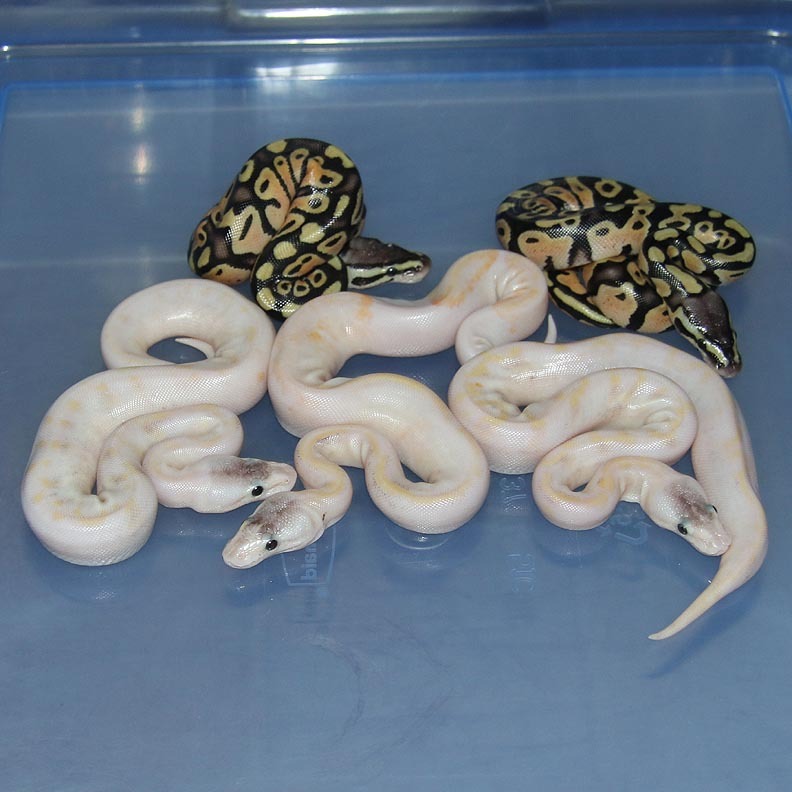 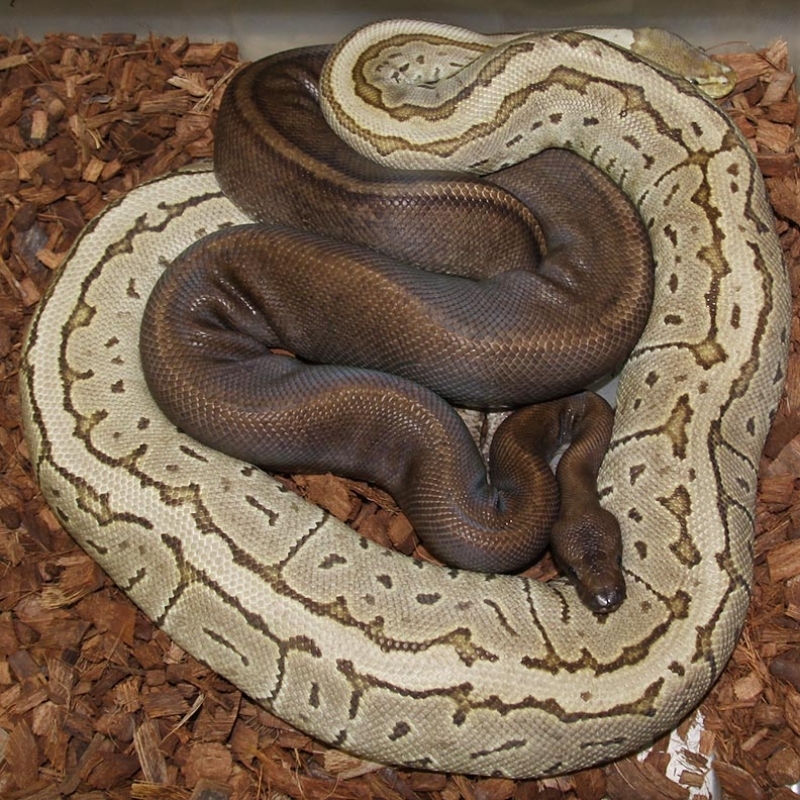 Description: Citrus Pastel Spark Het RA HOG 2/13 x Het RA Het Orange Ghost 1/06. Description: Lesser Chocolate 1/12 x Pastel Chocolate 1/11. 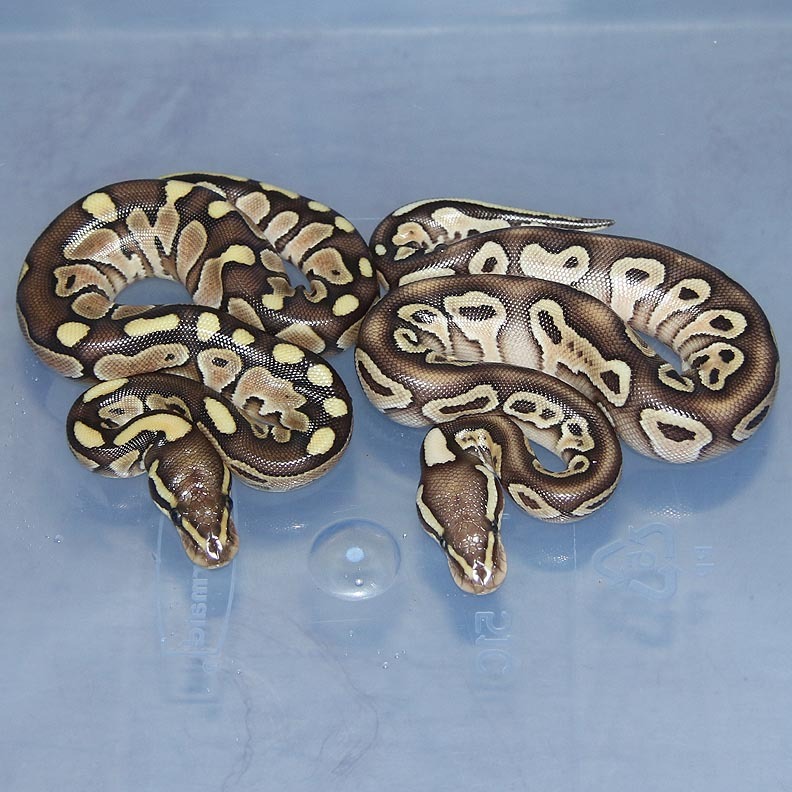 Description: SUMA (Super Mahogany) 1/11 x Caramel 1/08 JS. 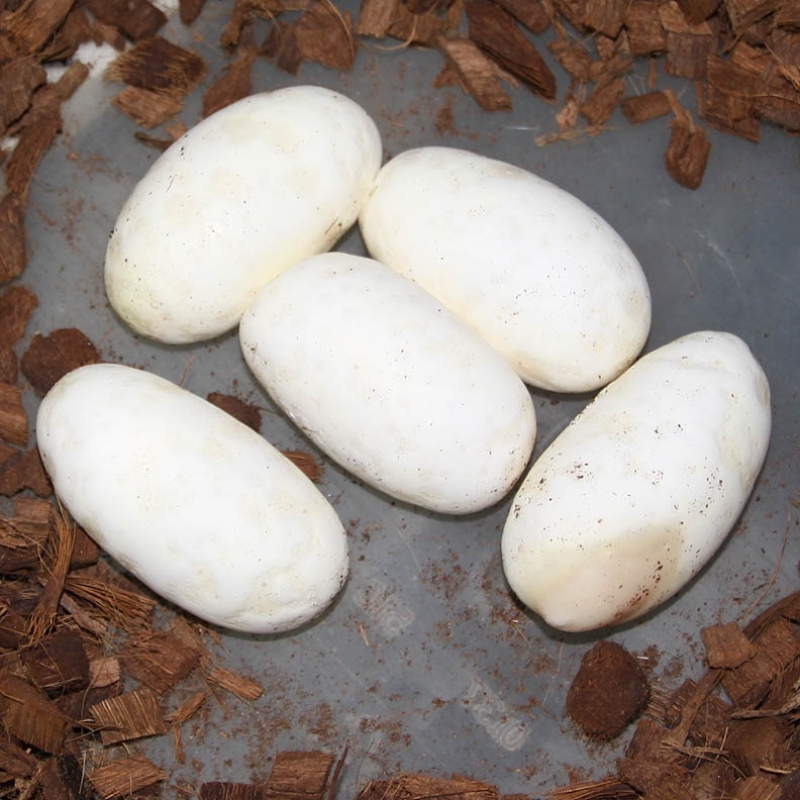 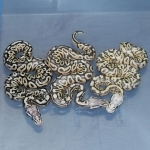 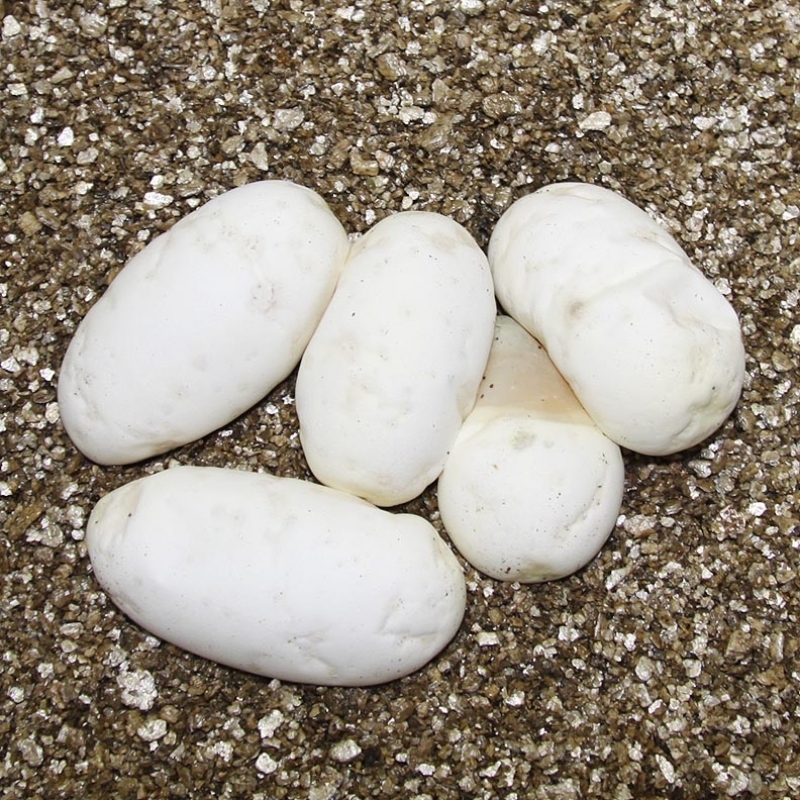 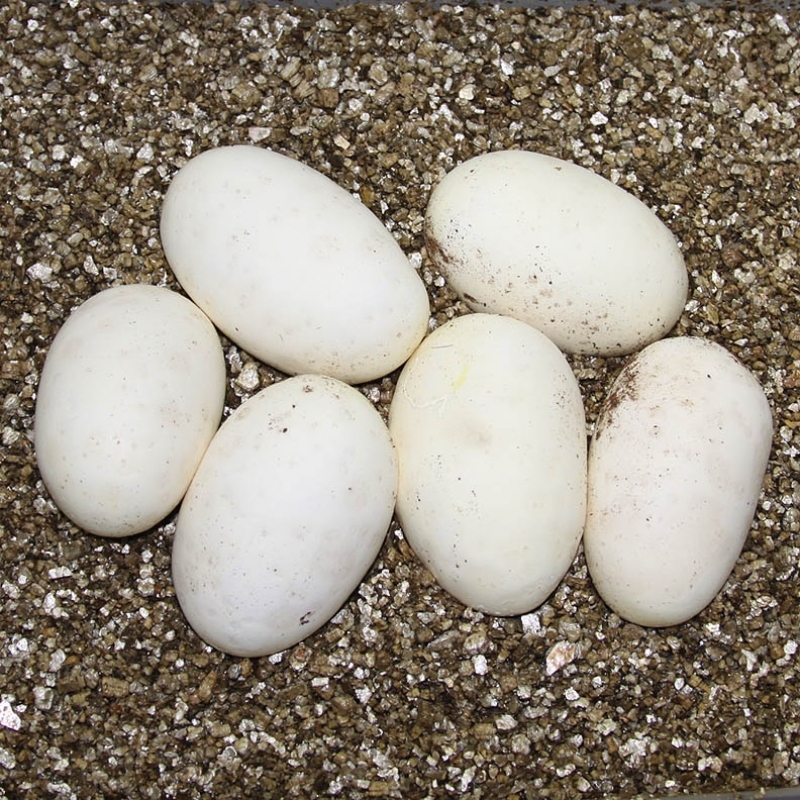 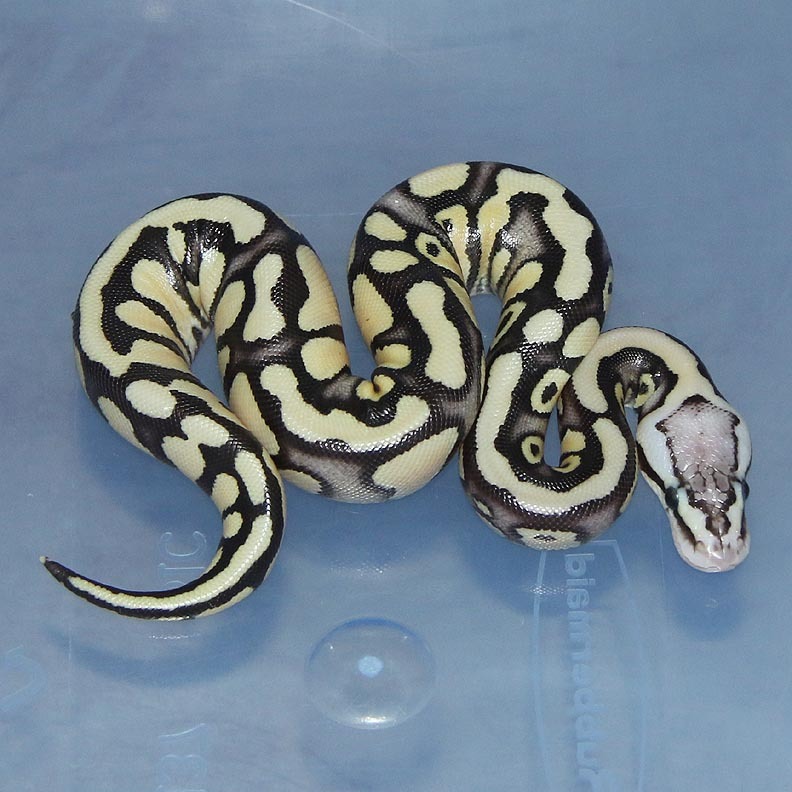 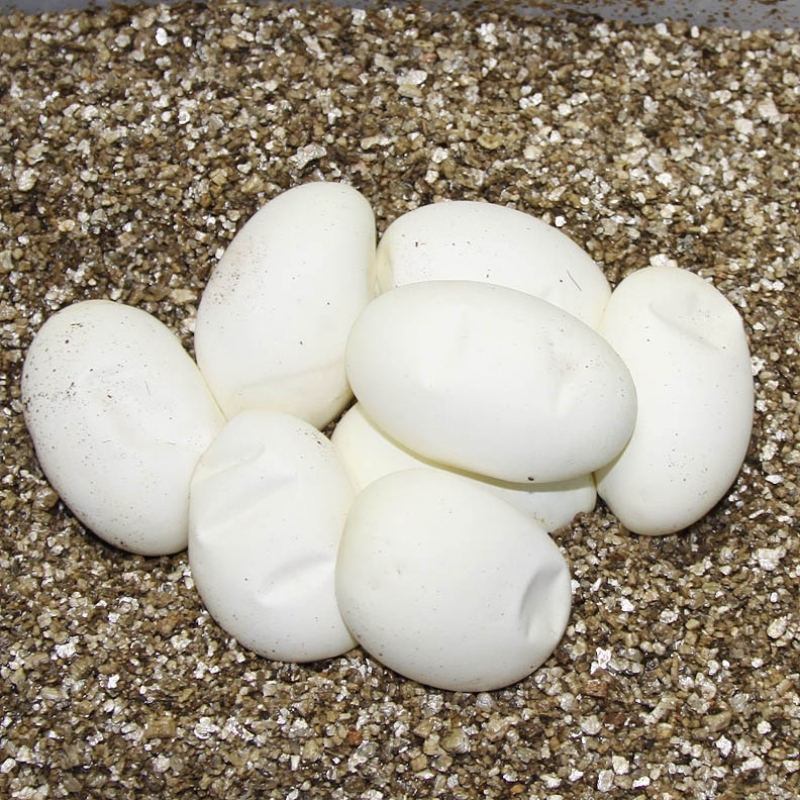 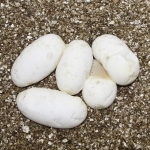 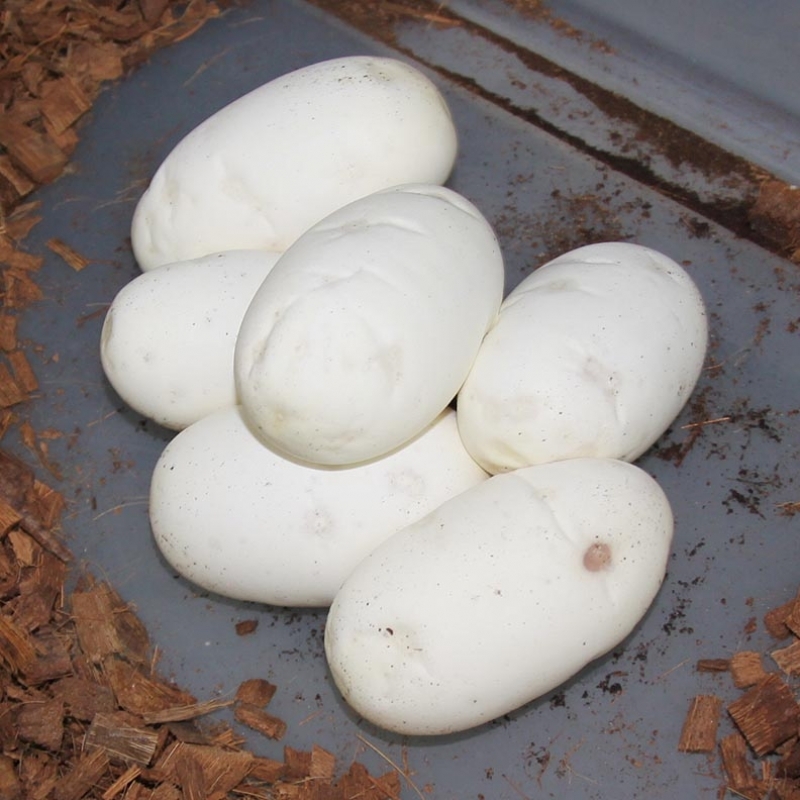 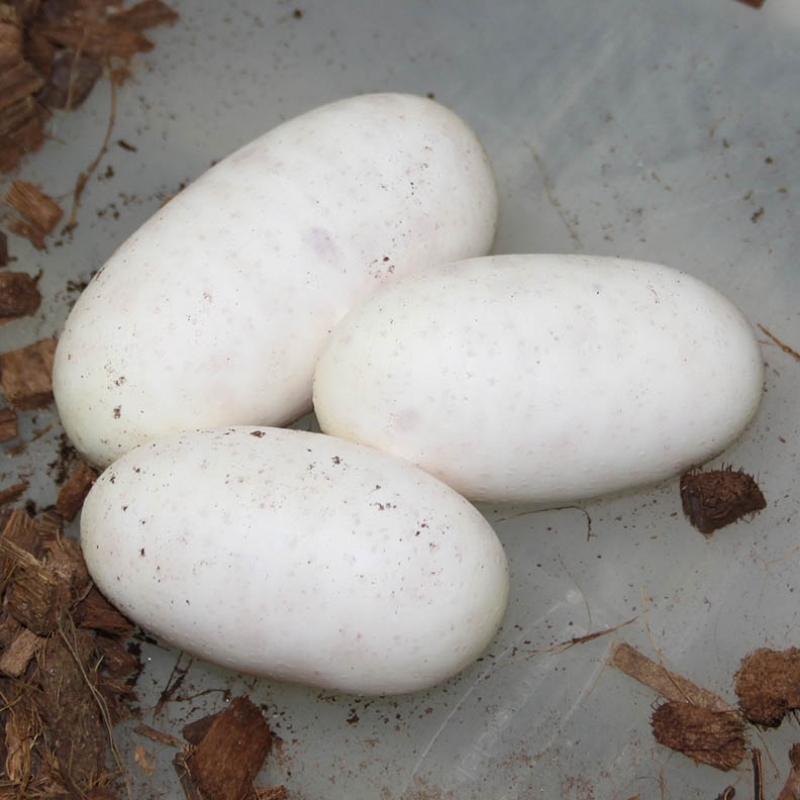 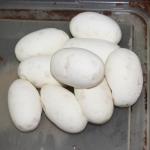 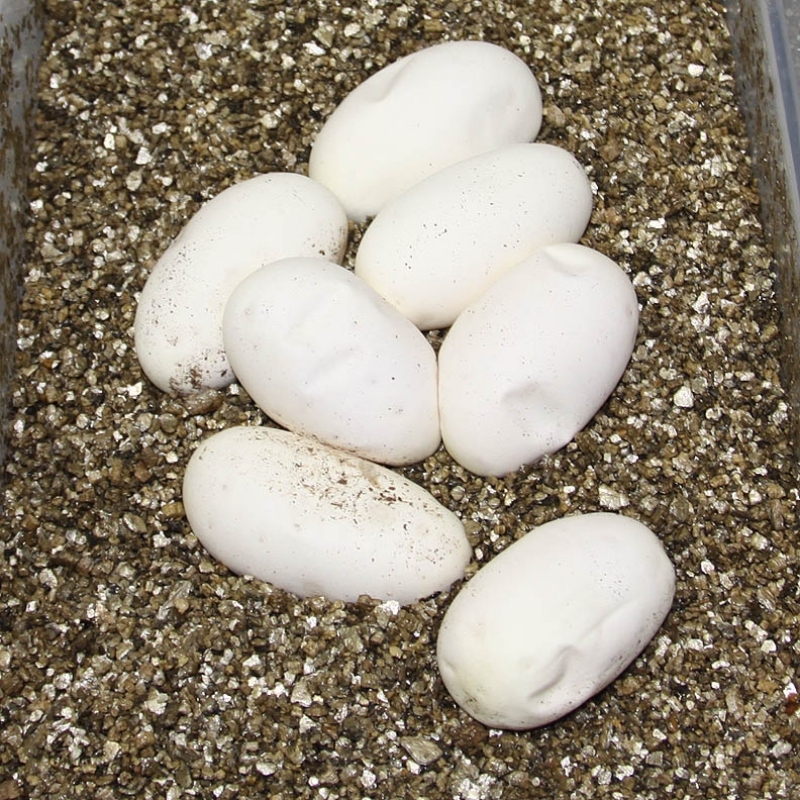 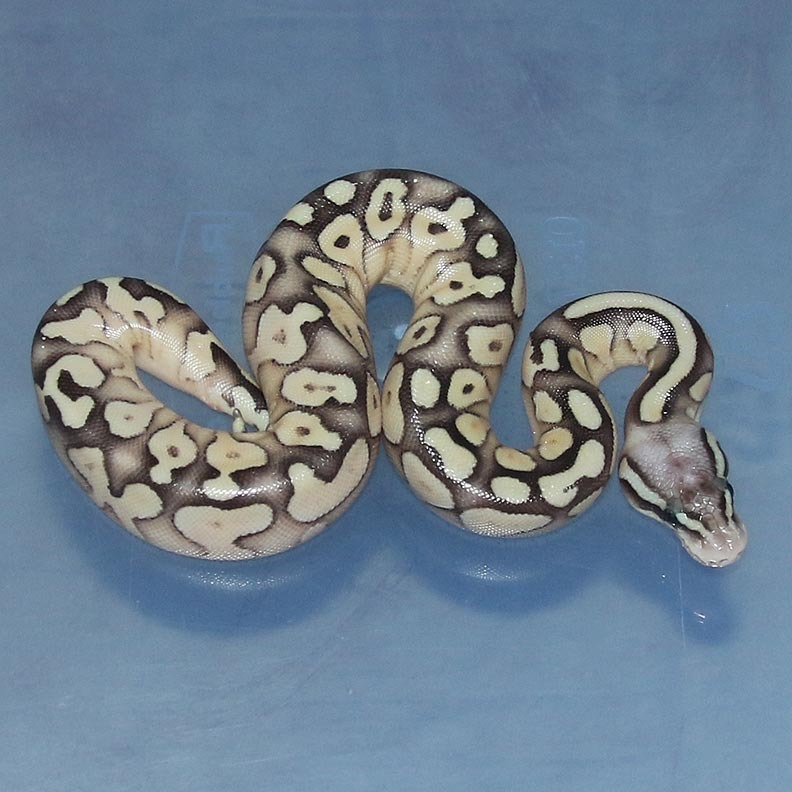 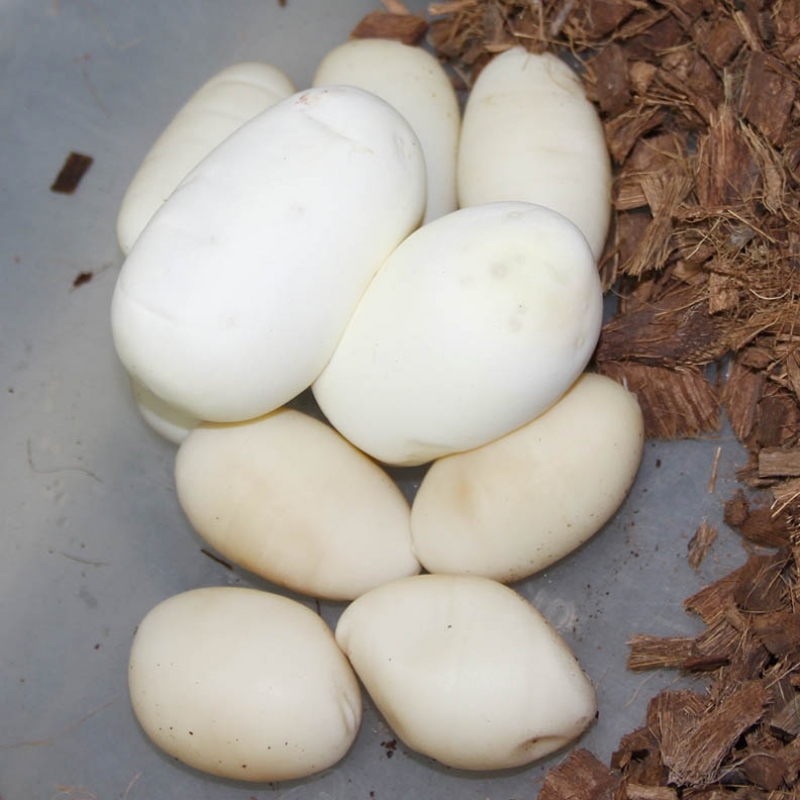 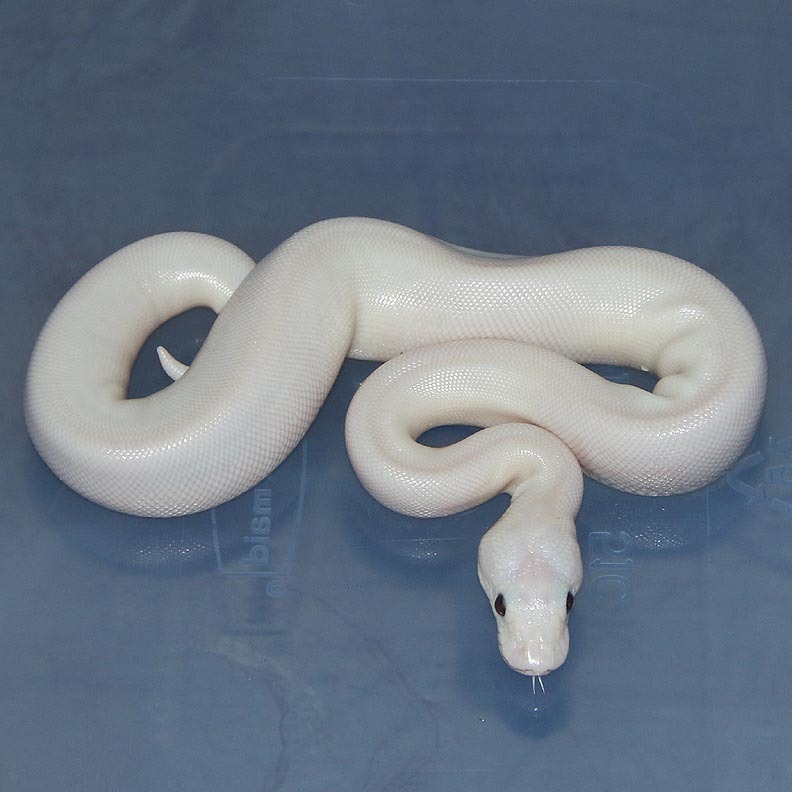 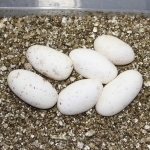 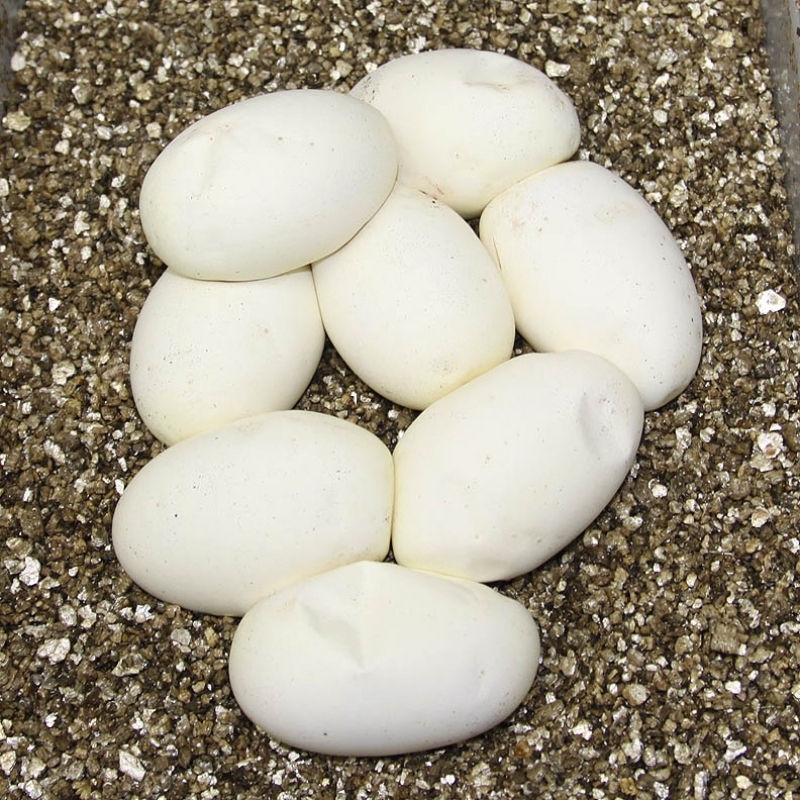 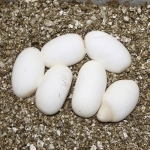 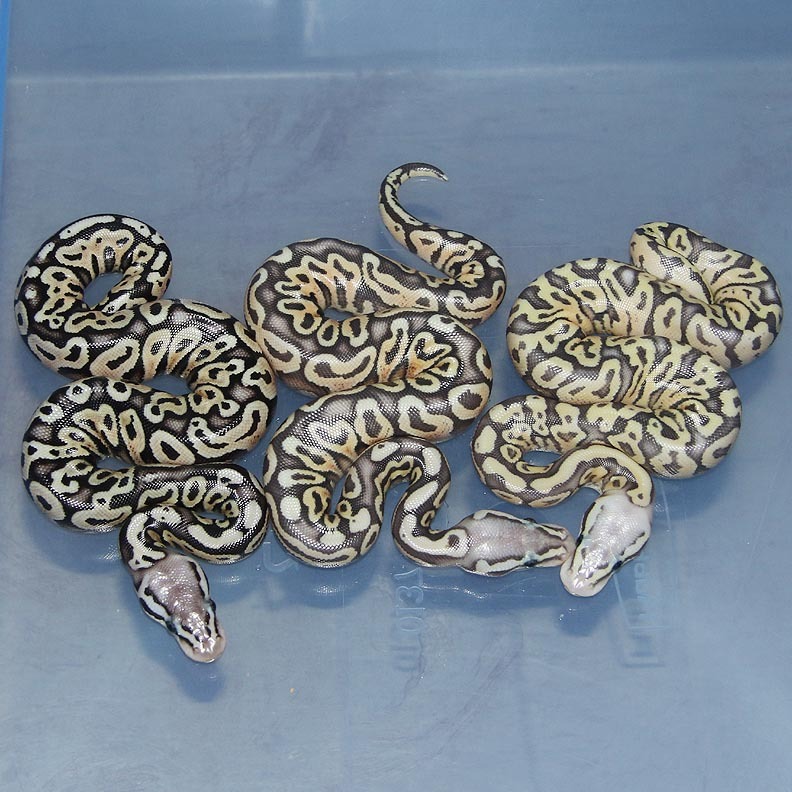 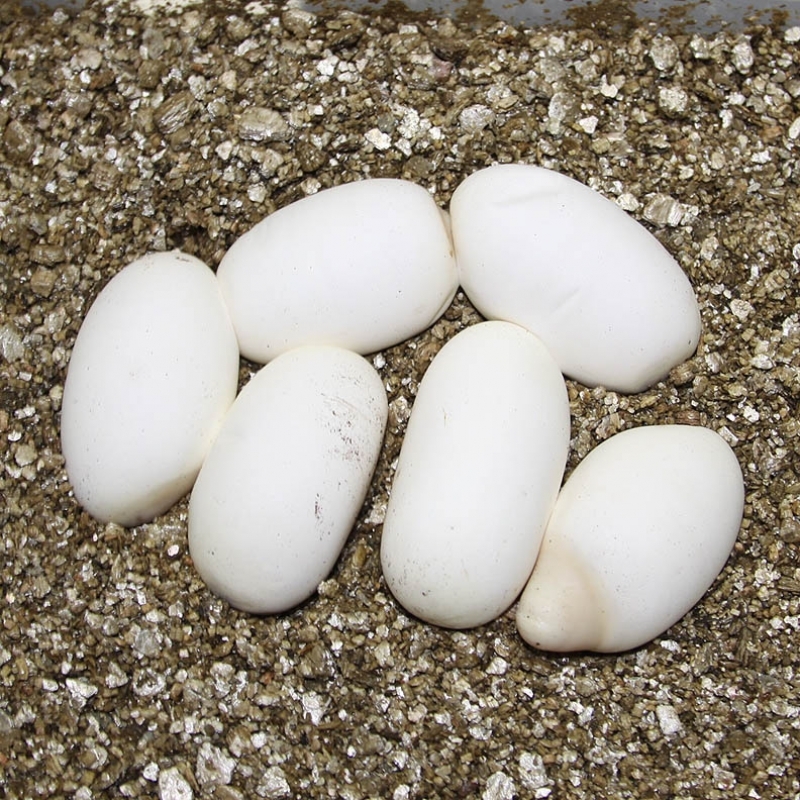 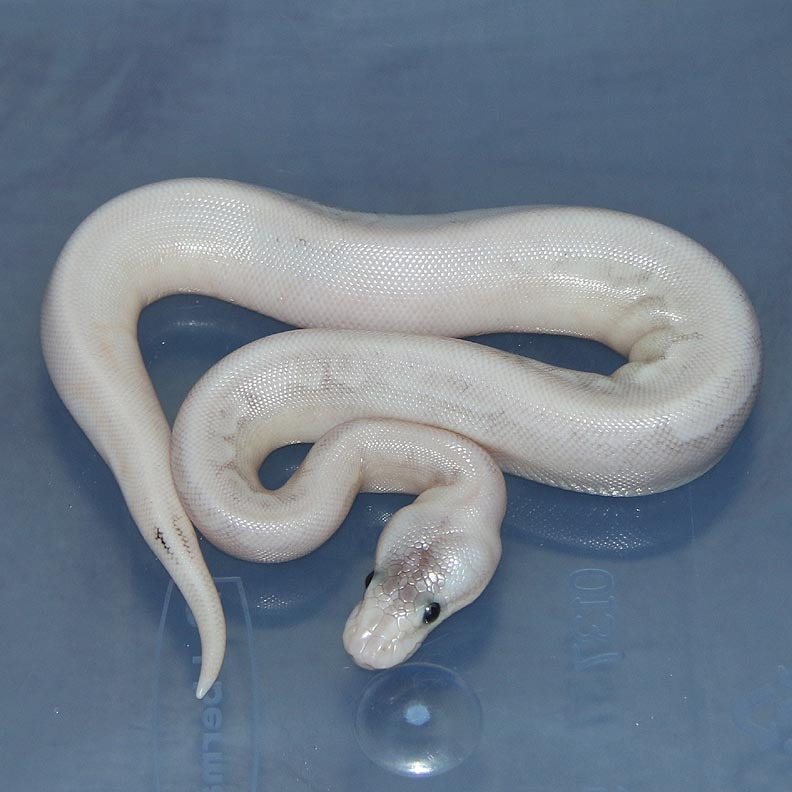 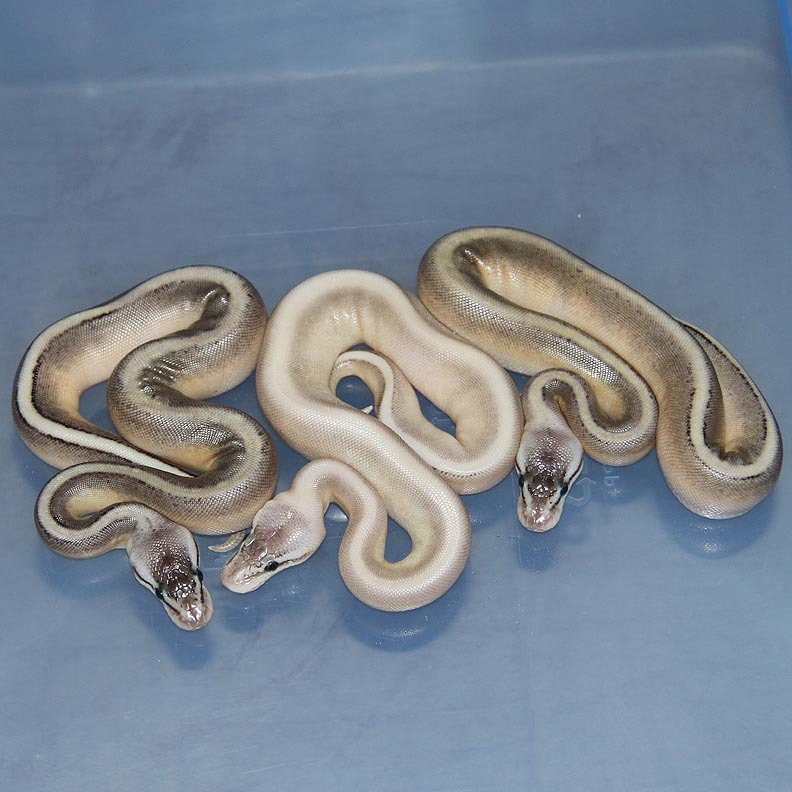 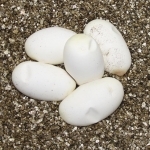 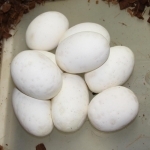 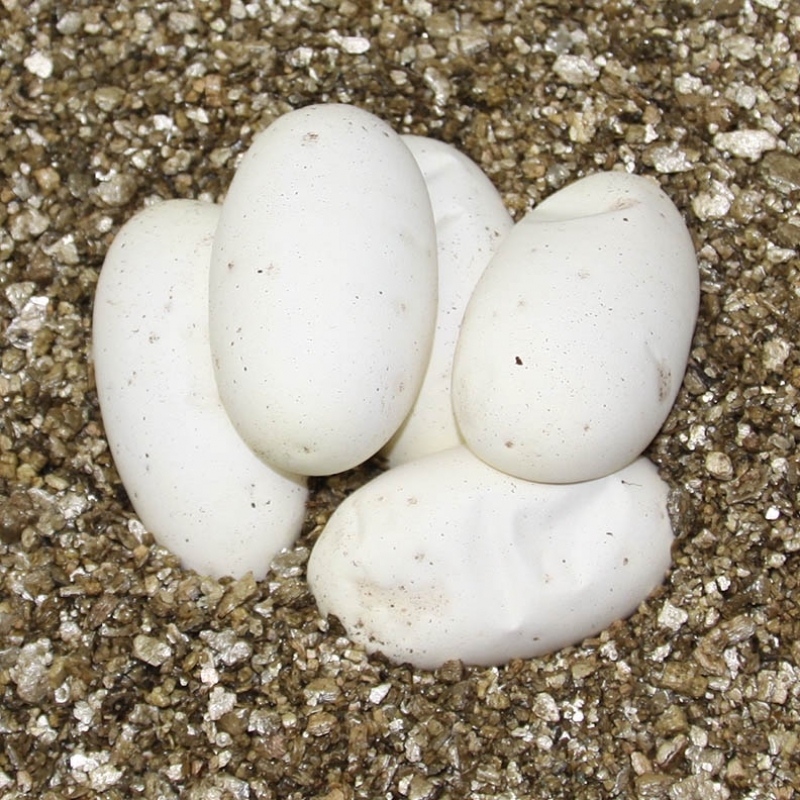 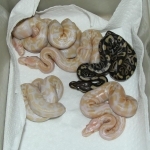 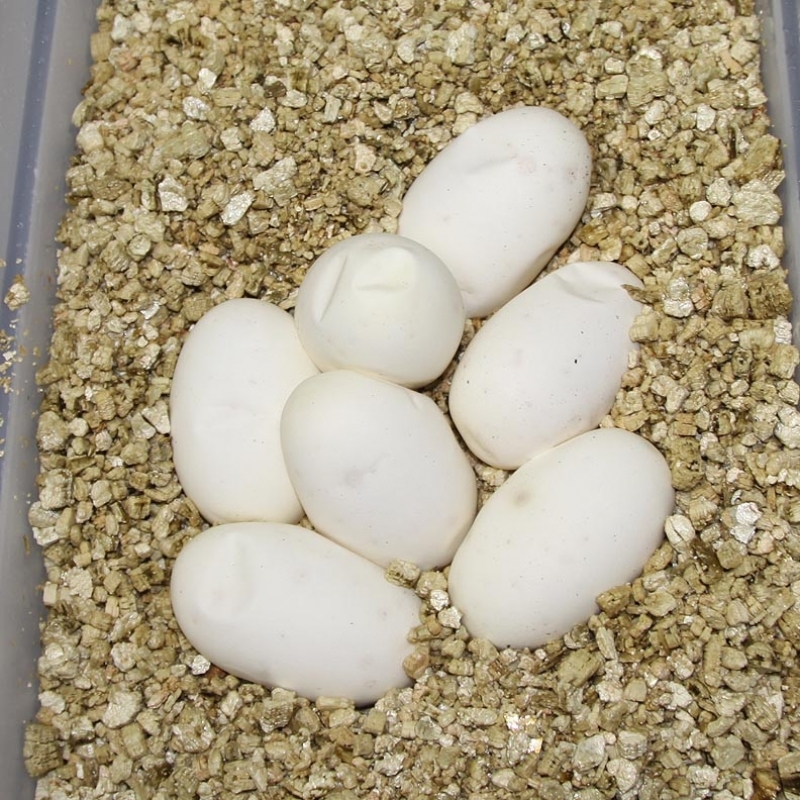 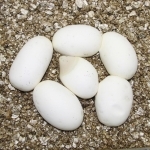 Description: Pastel Pied 1/12 x Het RA PH Pied 1/12. 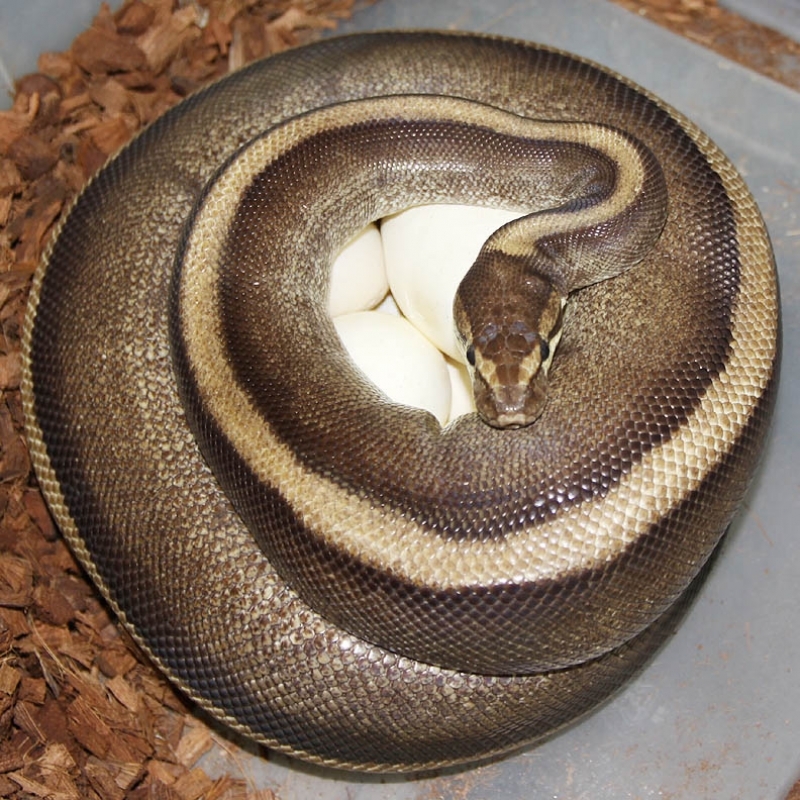 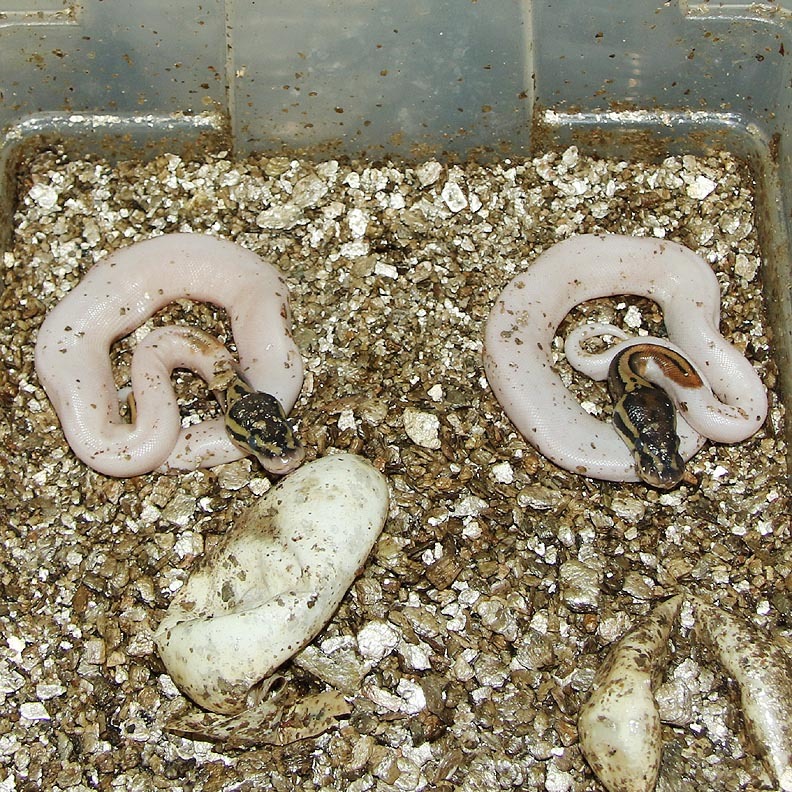 There are still 2 Pieds in the egg. I normally wait until all are out of the egg before I take them out but the last 2 pieds are taking for ever! 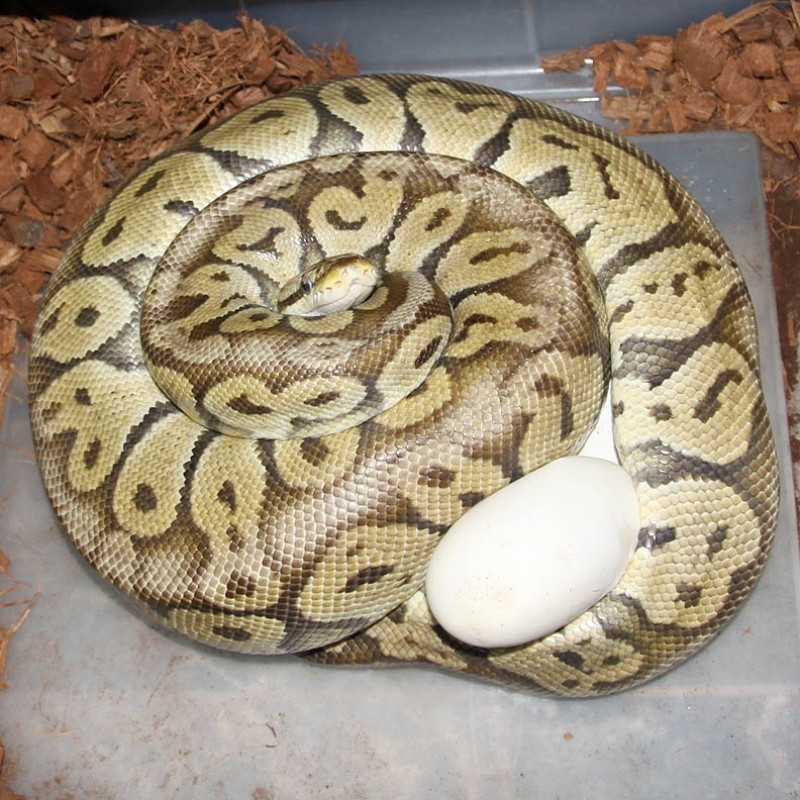 Not sure why these 2 eggs hatched a week late???? 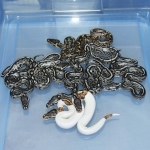 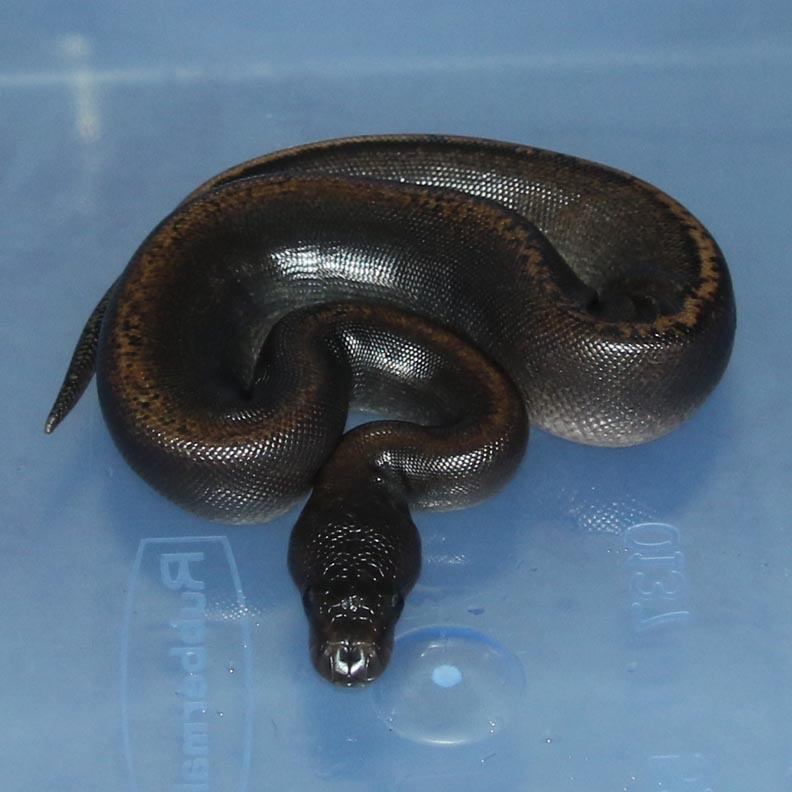 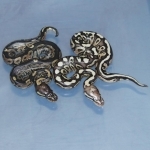 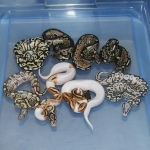 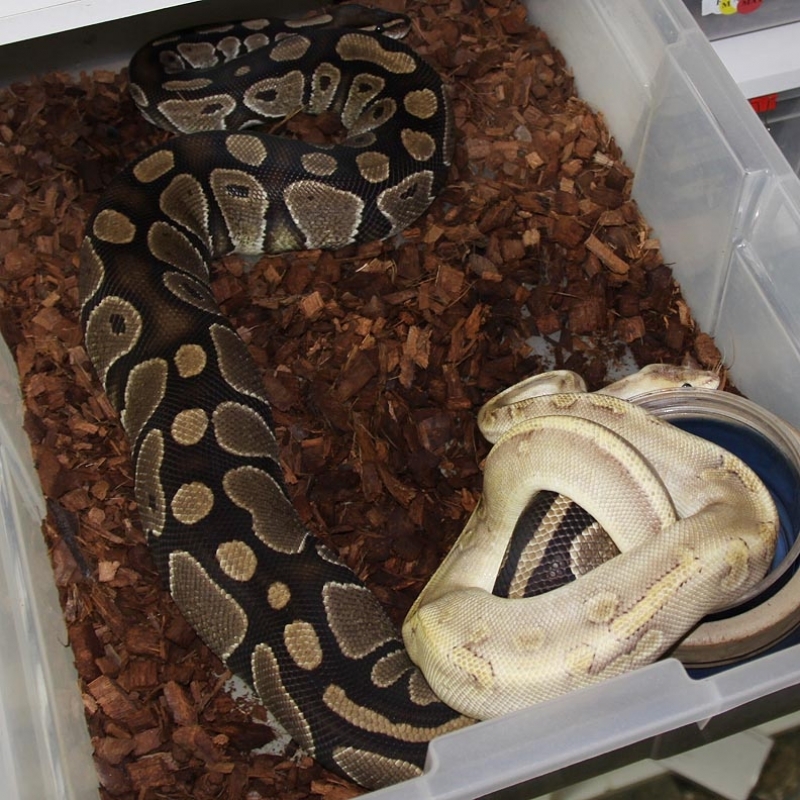 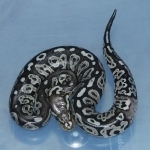 Description: Phantom Het Albino 1/12 x Albino Het Melanistic 2/10. Description: Mutation X Red Axanthic 1/13 x Mutation X PHGS 3/11. 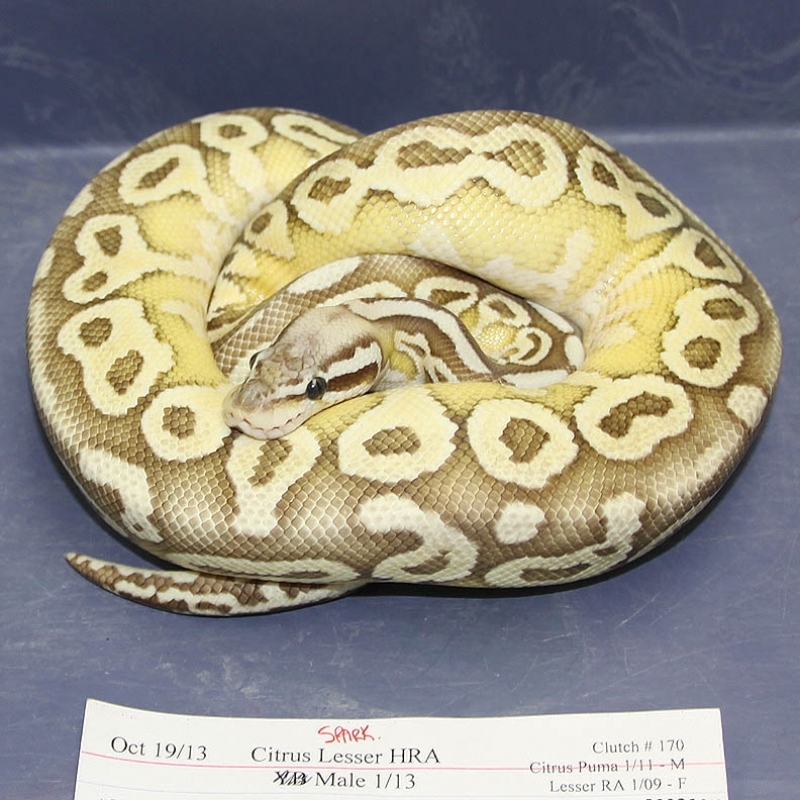 Nothing in this clutch that I would say is a stand out "Super". 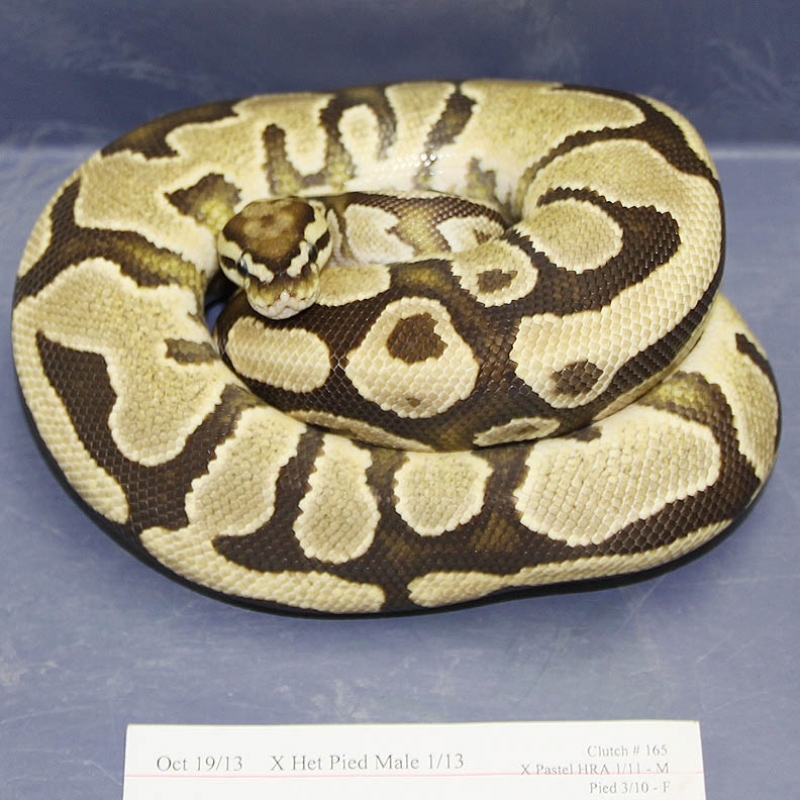 Maybe there is no Super Mutation X which is perfectly fine IMHO. 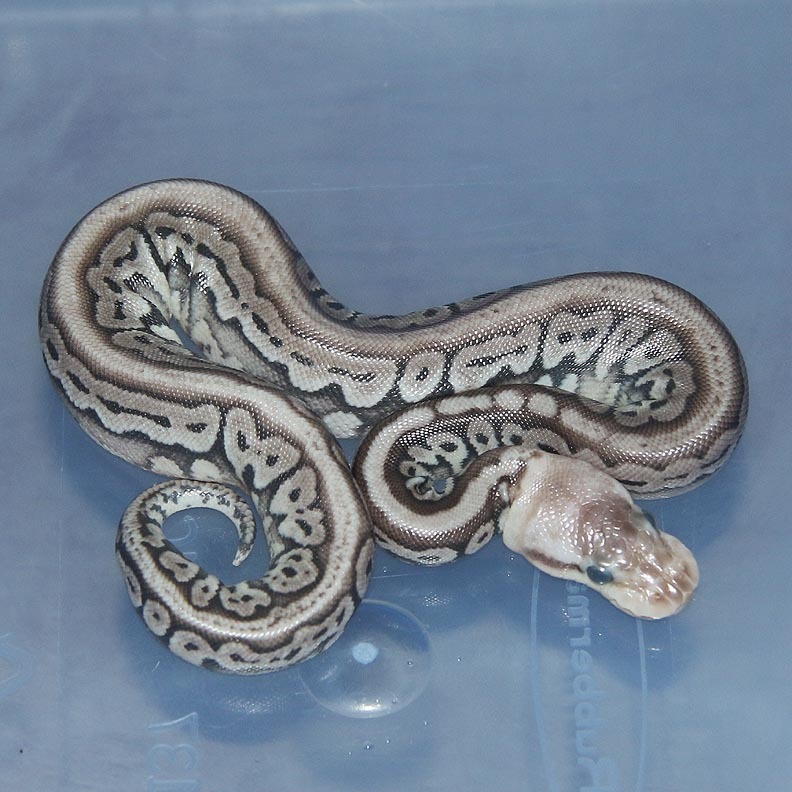 No supers in Pinstripe, Spider........etc. 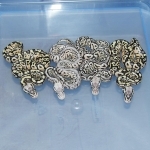 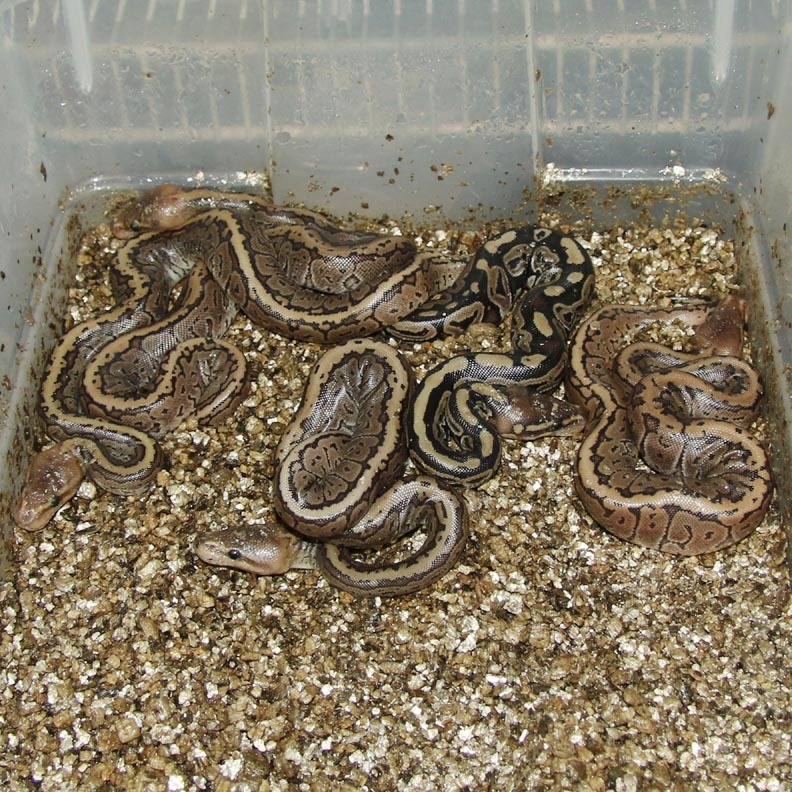 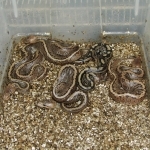 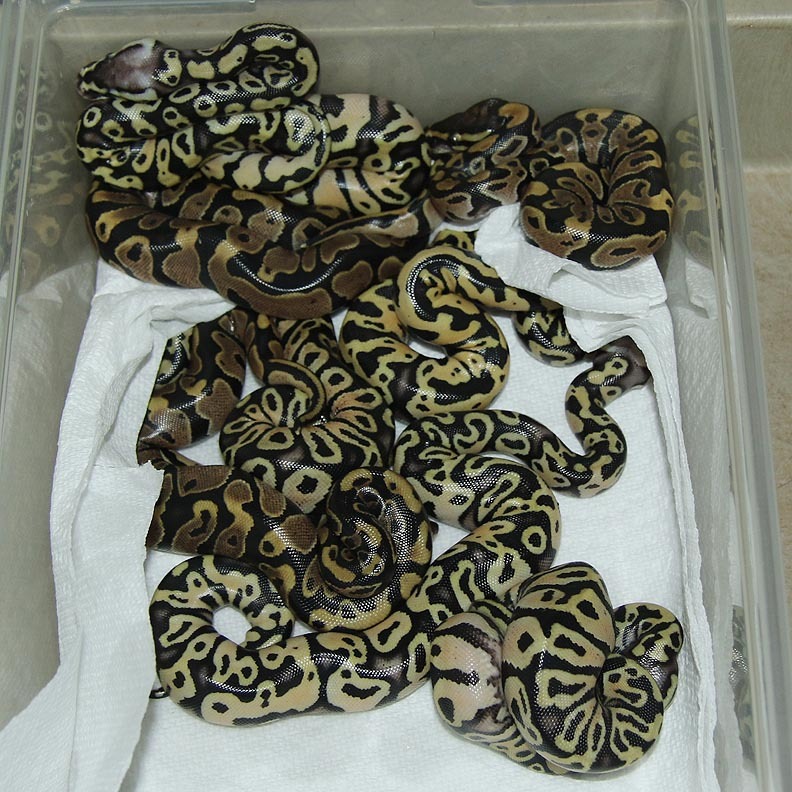 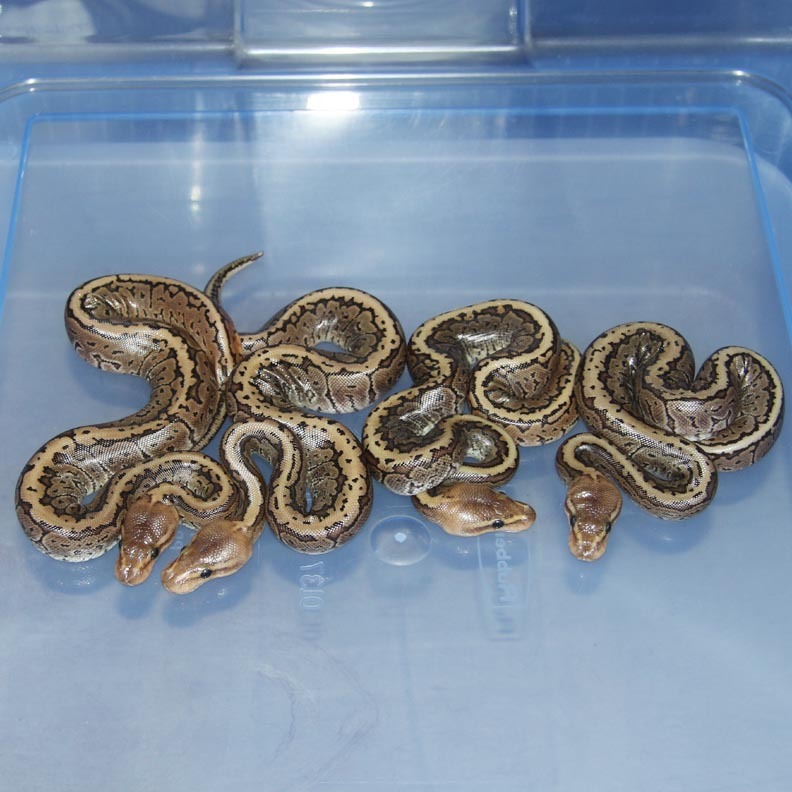 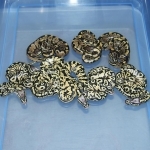 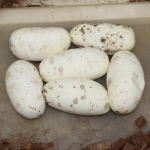 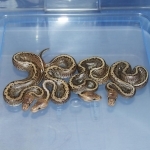 Description: Super Lesser Banded 2/13 x Lesser Banded 1/12. Description: Champagne Het Lavender 1/12 x Het Lavender 2/09 KGB. 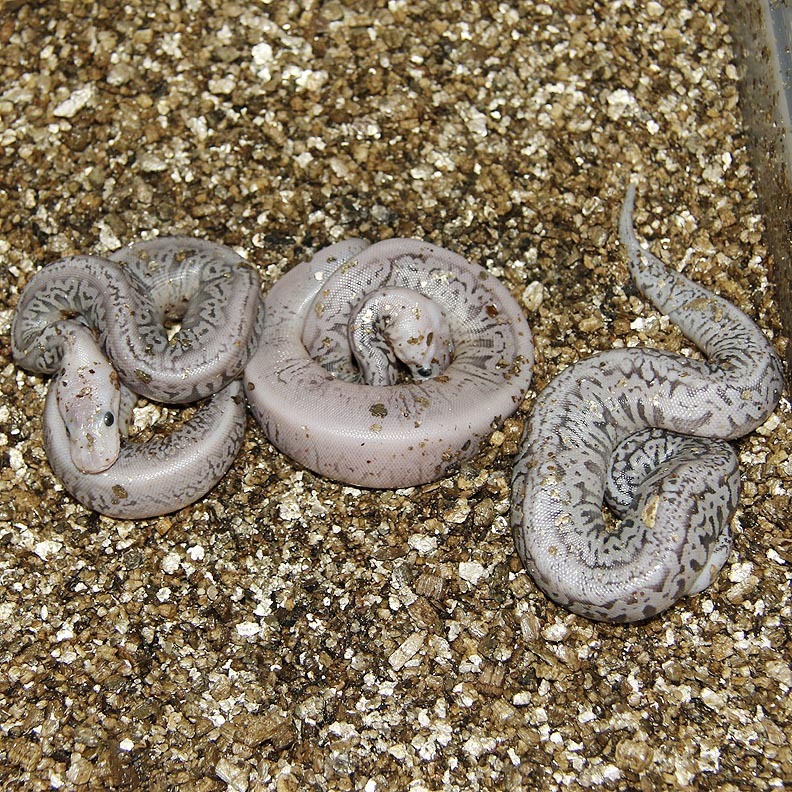 One of the Lavender Champagnes is also a ringer. 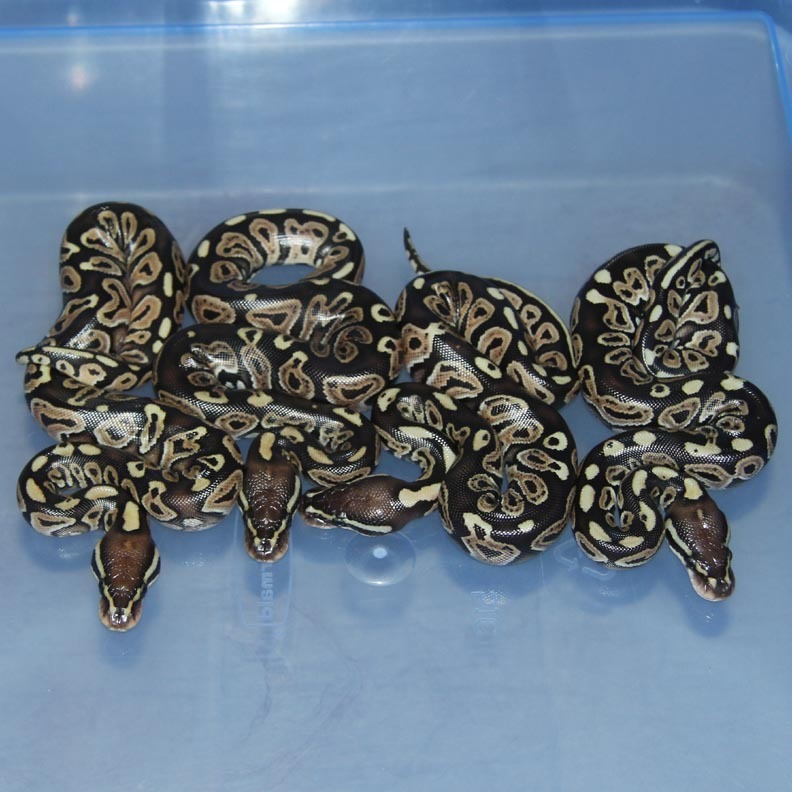 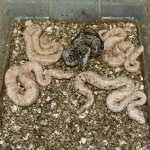 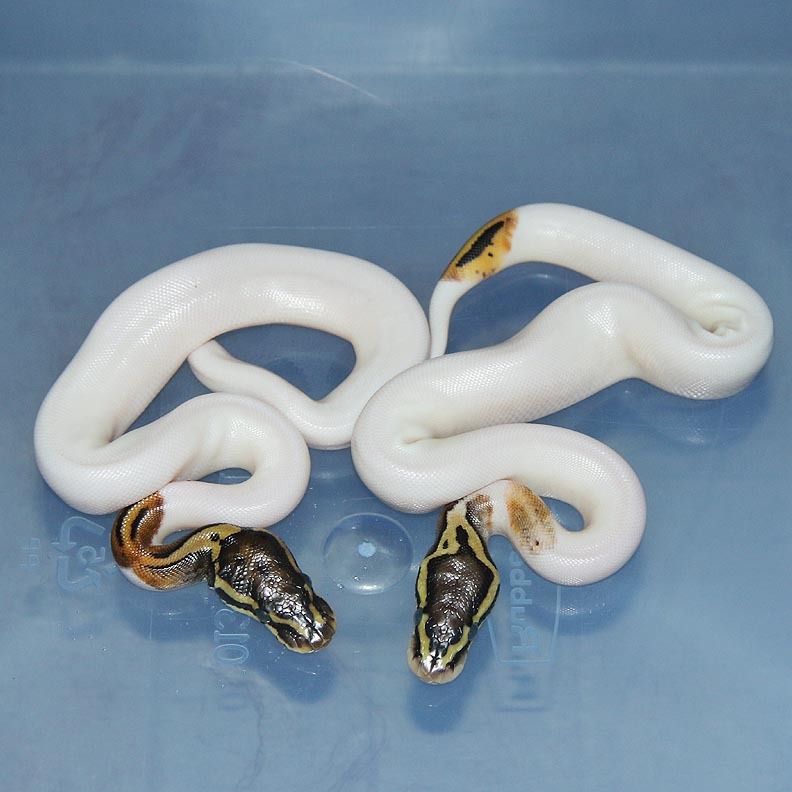 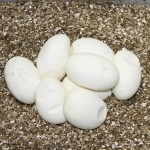 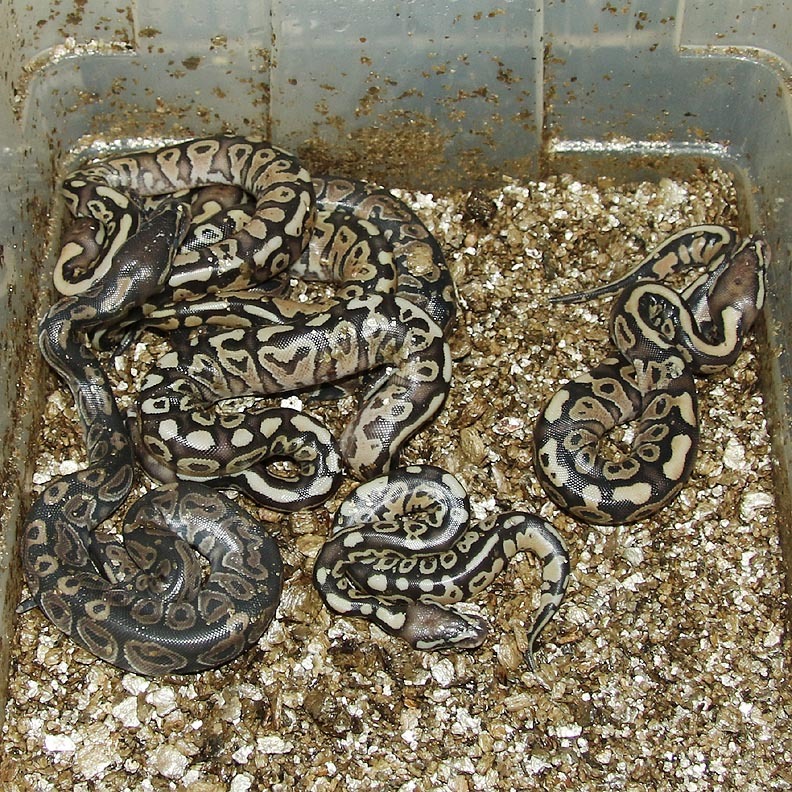 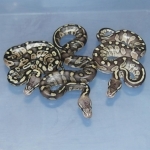 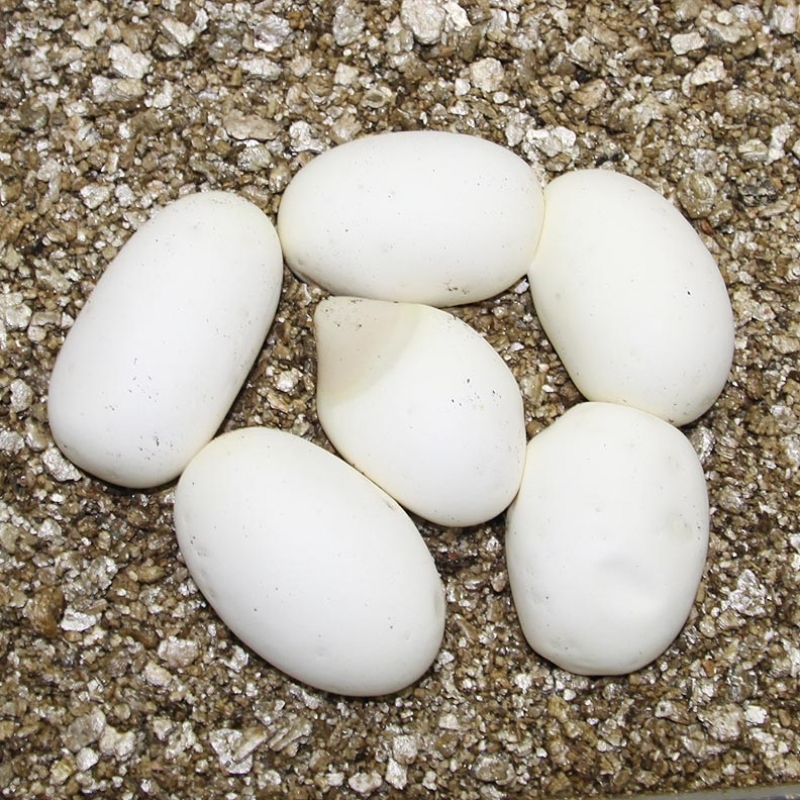 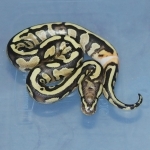 Description: Pastel Pied 1/12 x Het RA Het Pied 3/10. 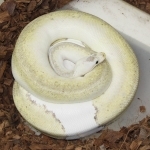 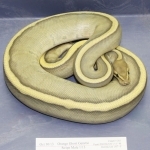 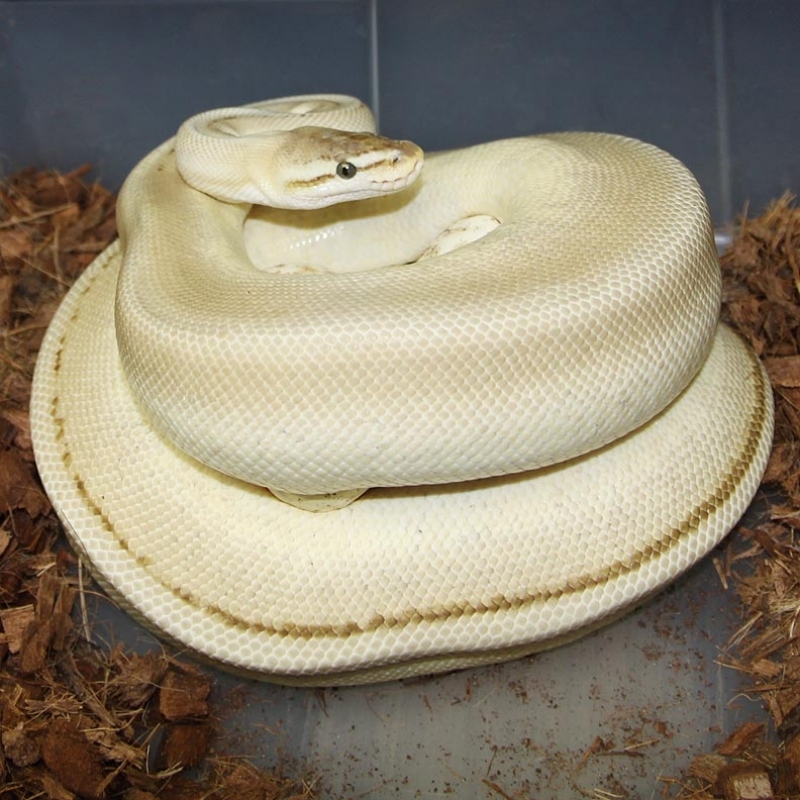 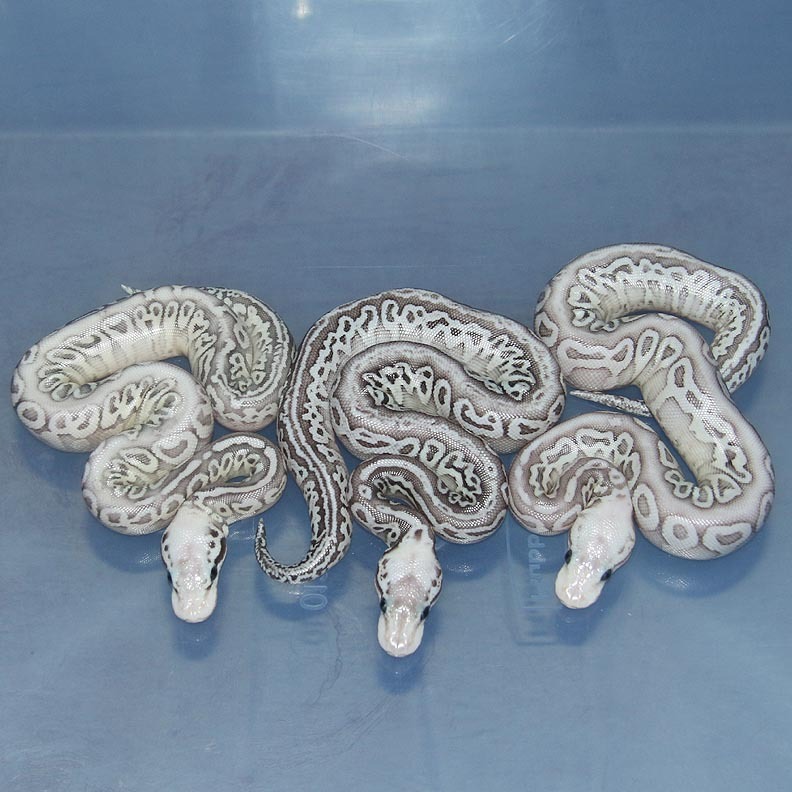 Description: Pastel Lesser DH Green Ghost/Genetic Stripe 1/11 x Super Pastel DH Green Ghost/Genetic Stripe 1/10. 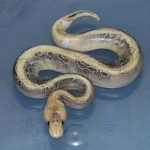 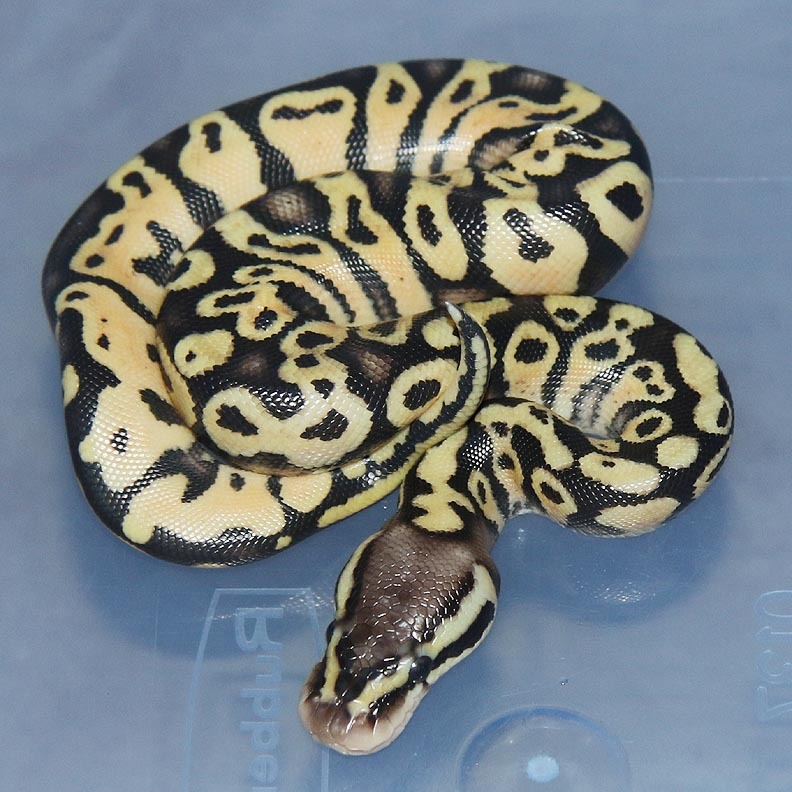 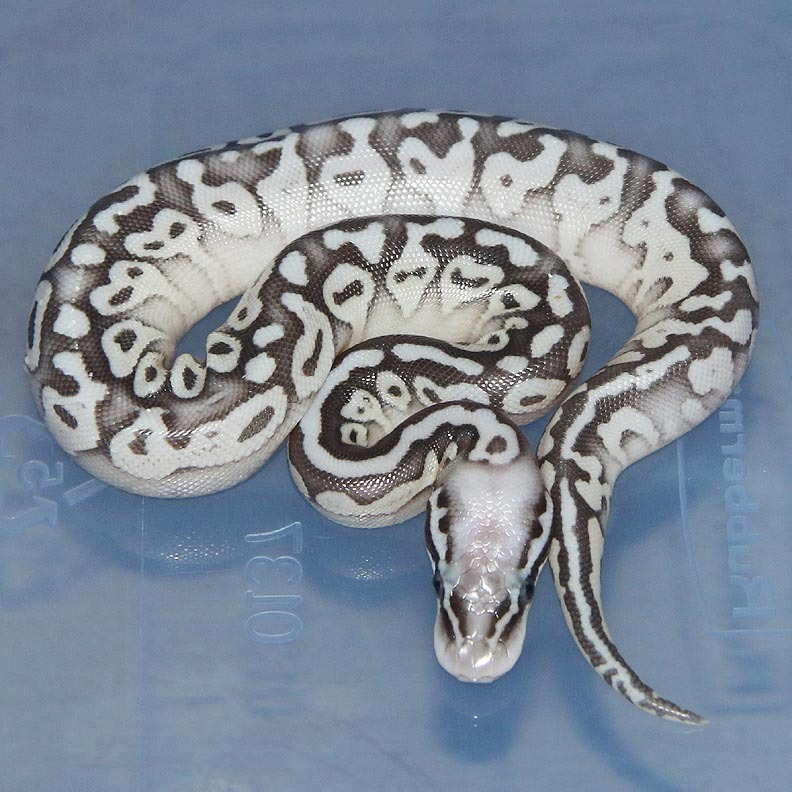 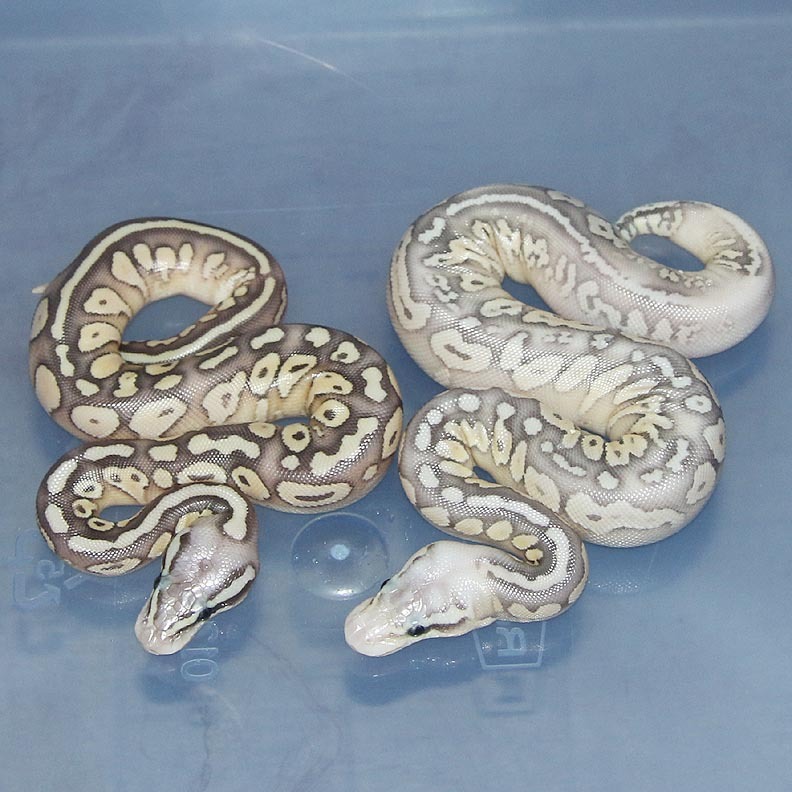 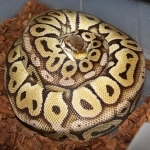 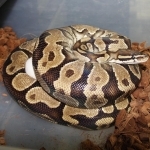 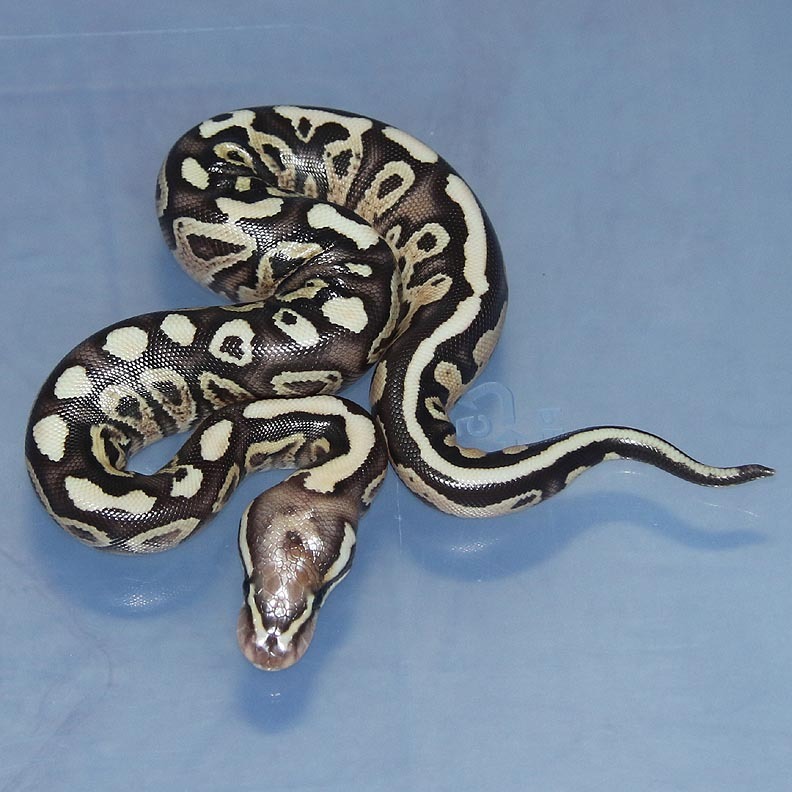 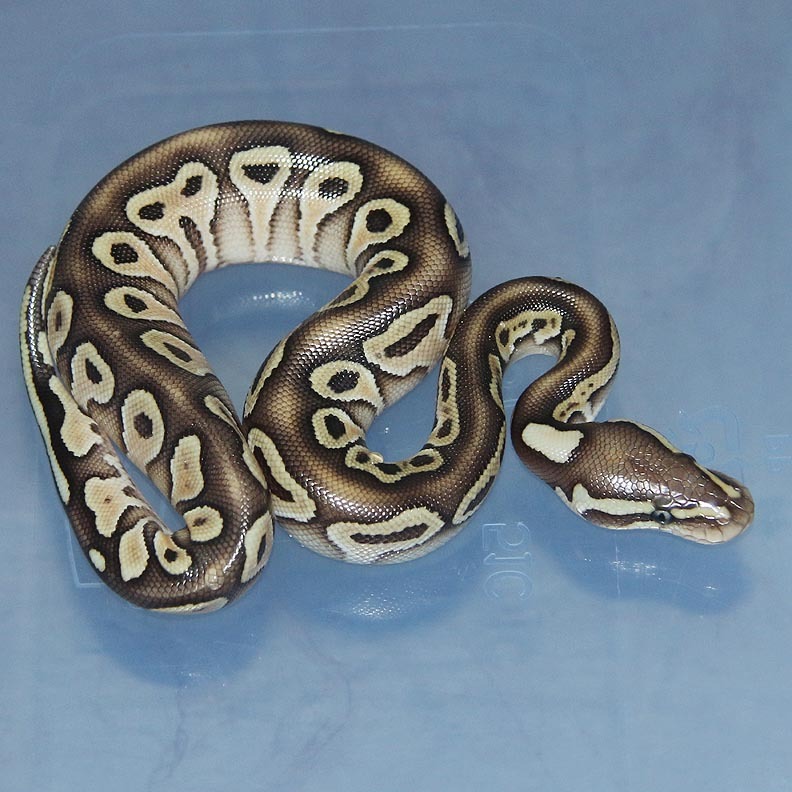 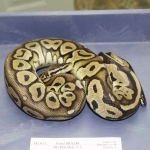 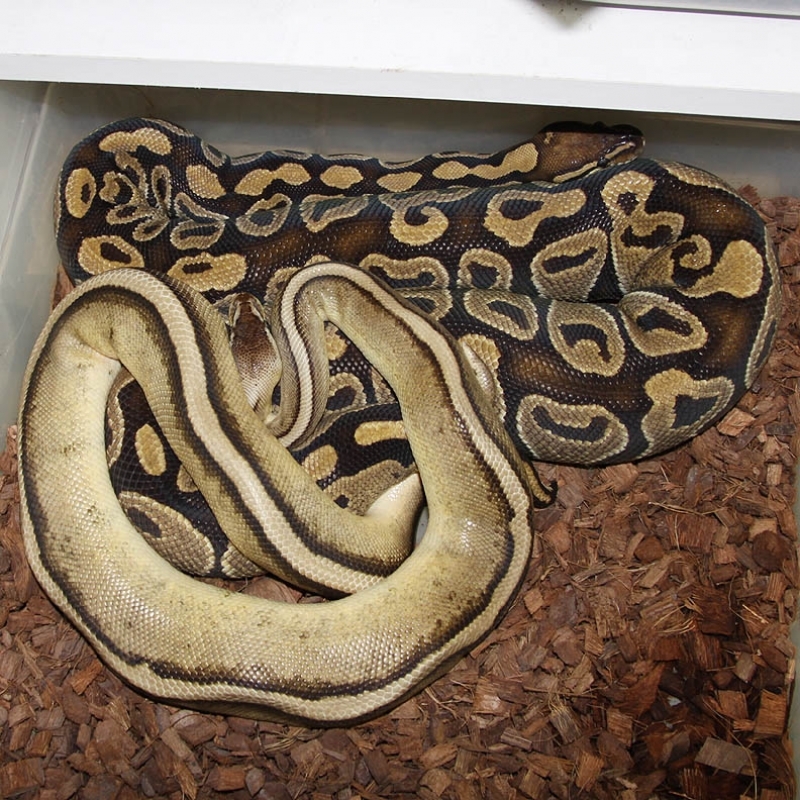 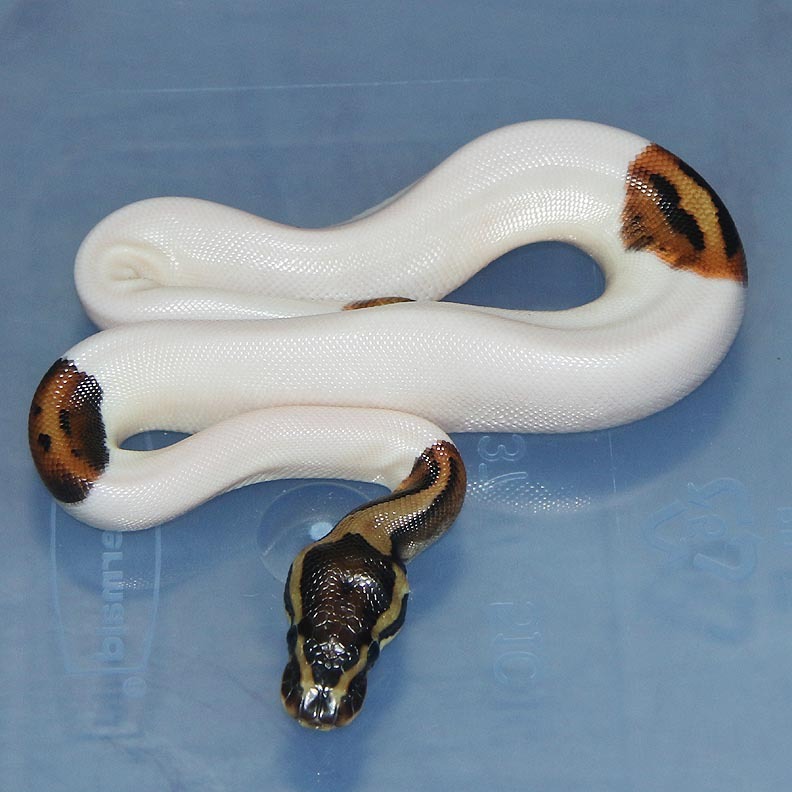 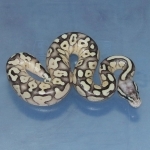 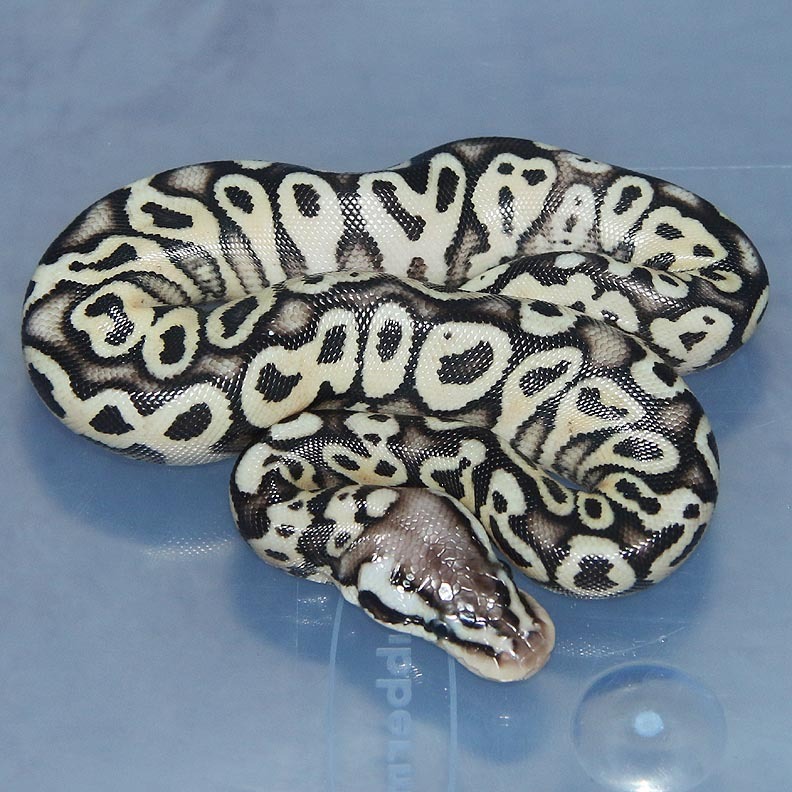 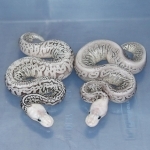 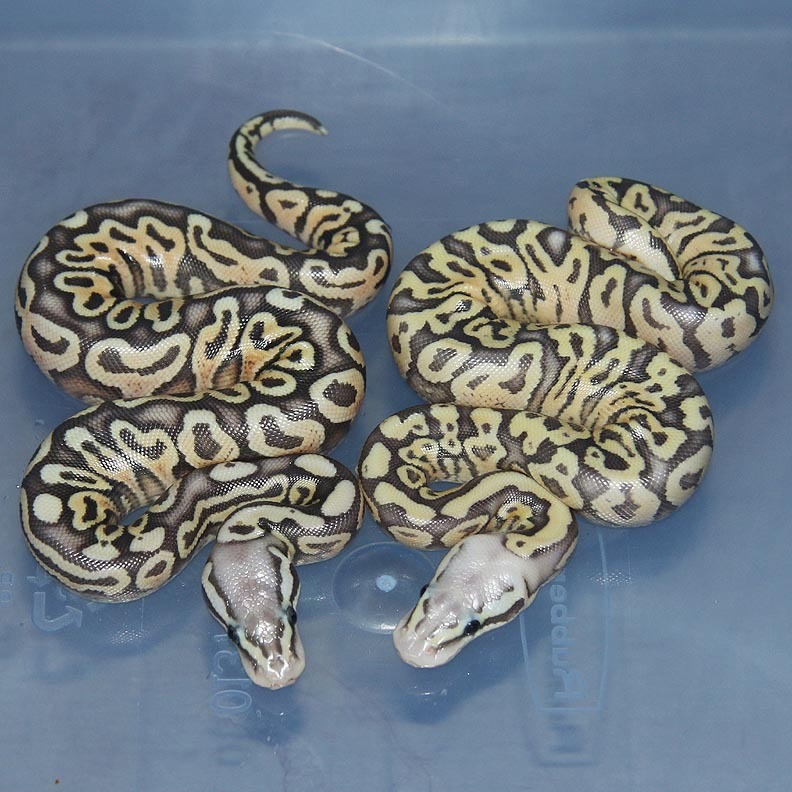 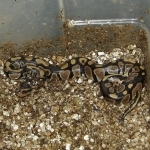 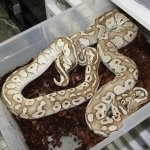 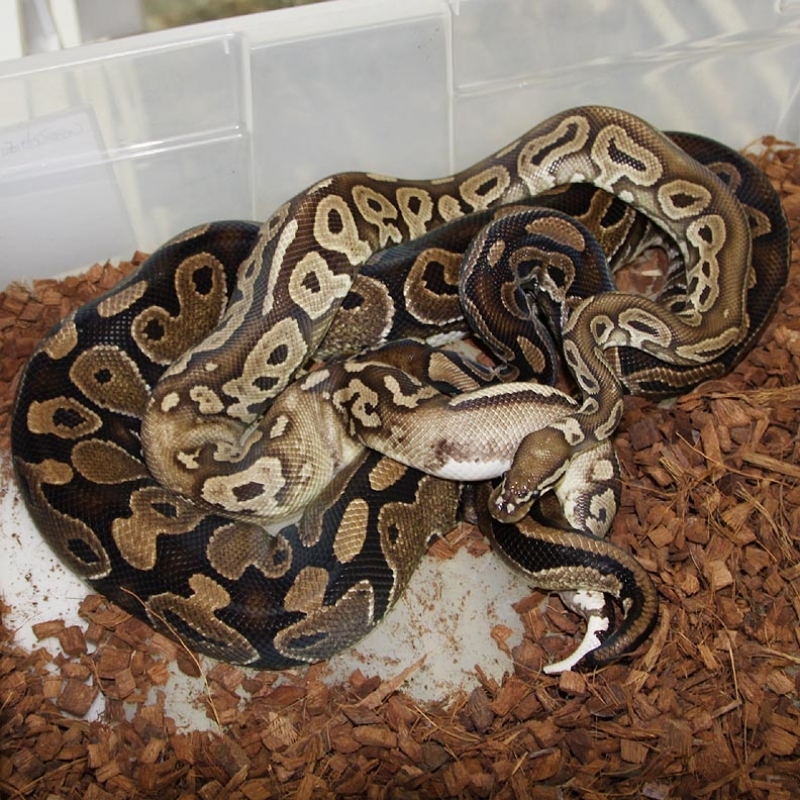 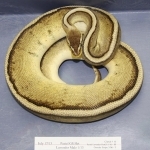 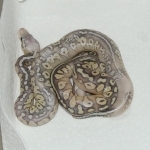 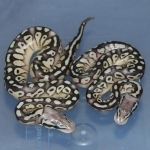 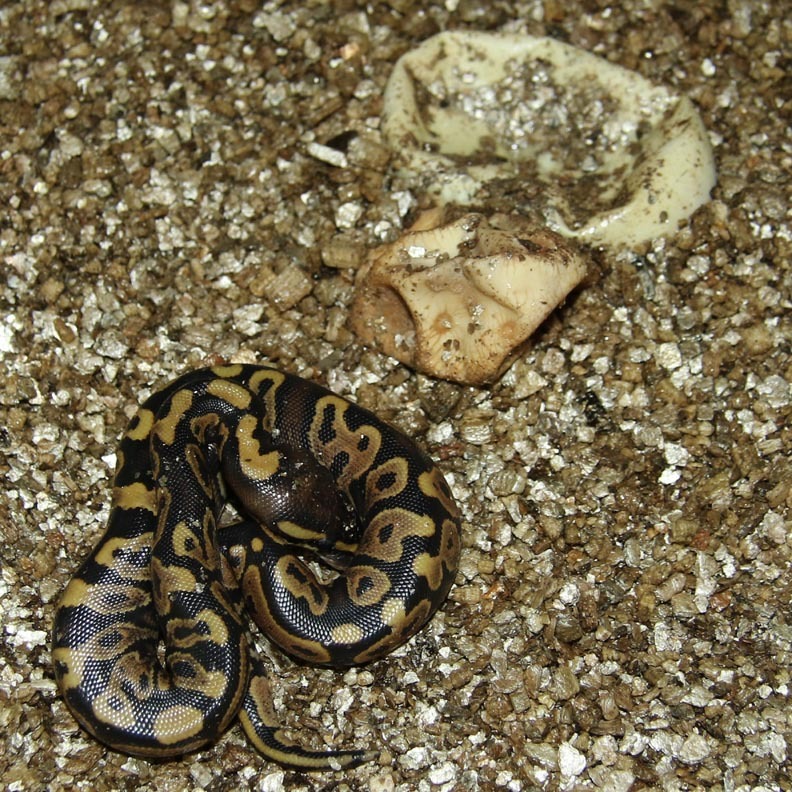 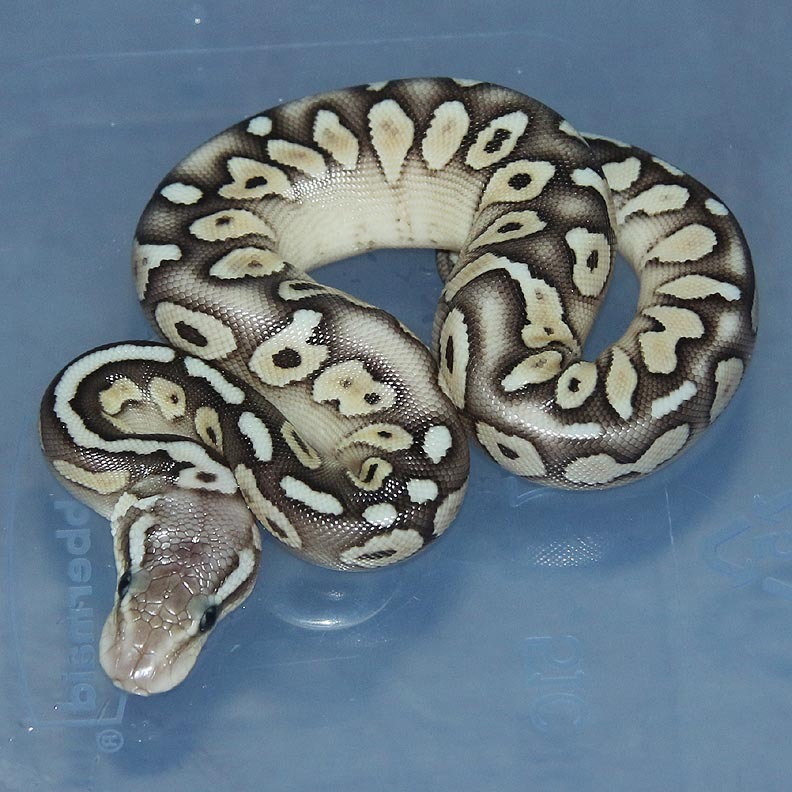 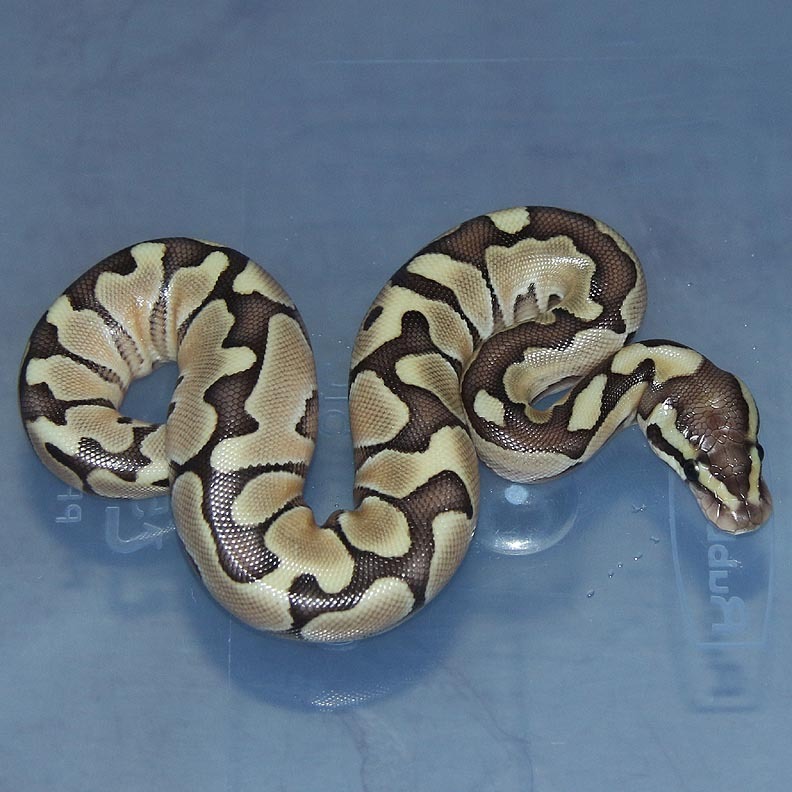 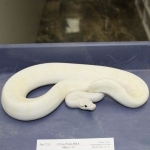 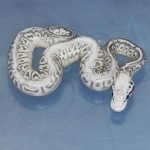 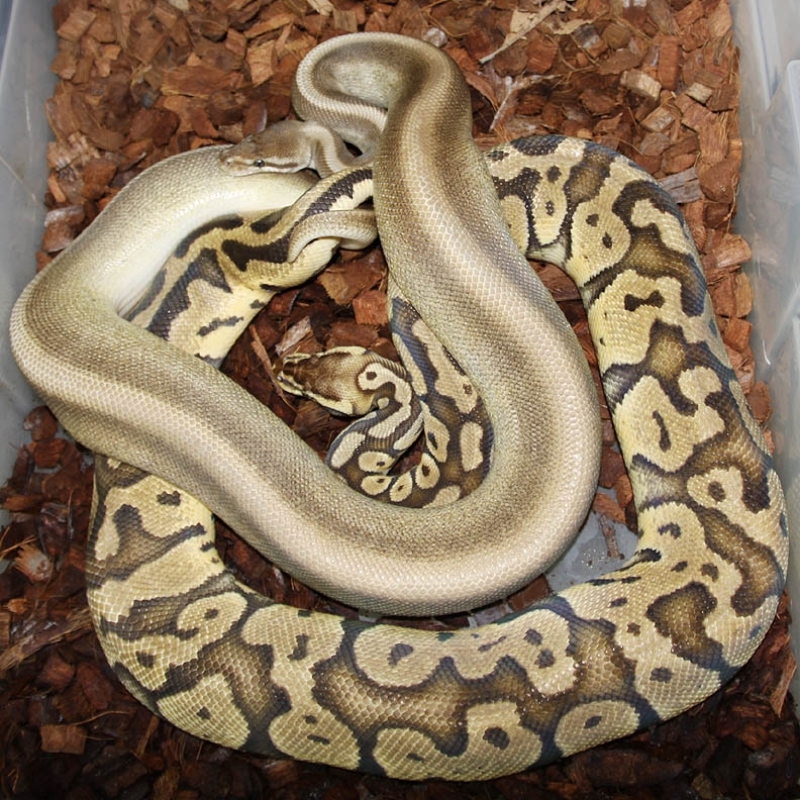 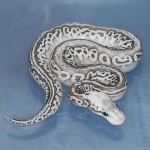 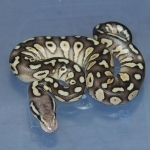 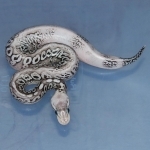 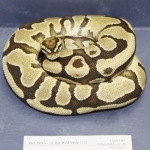 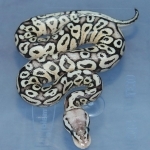 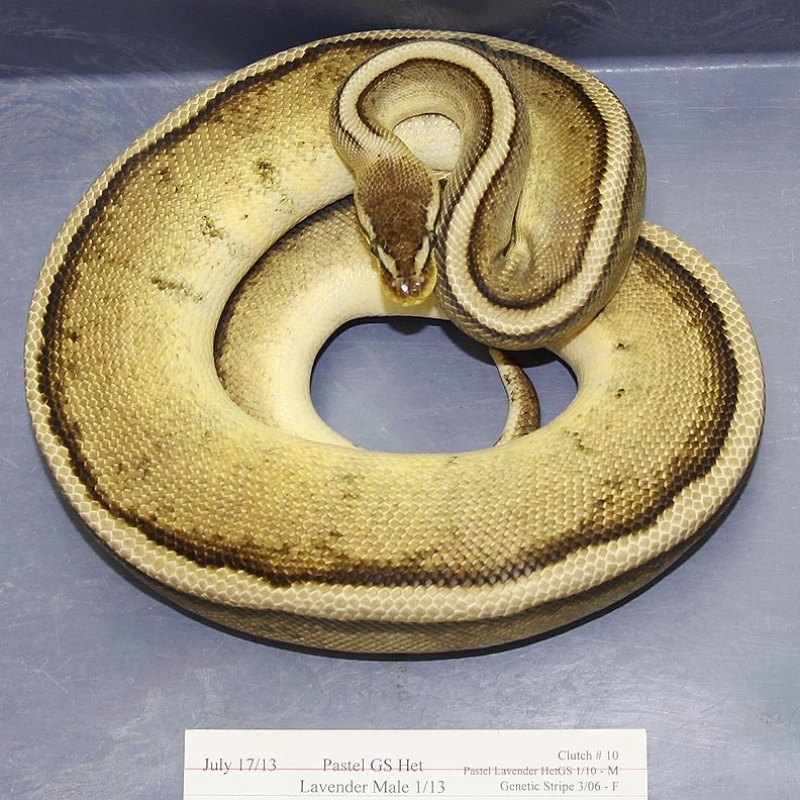 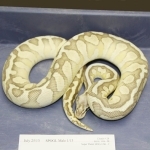 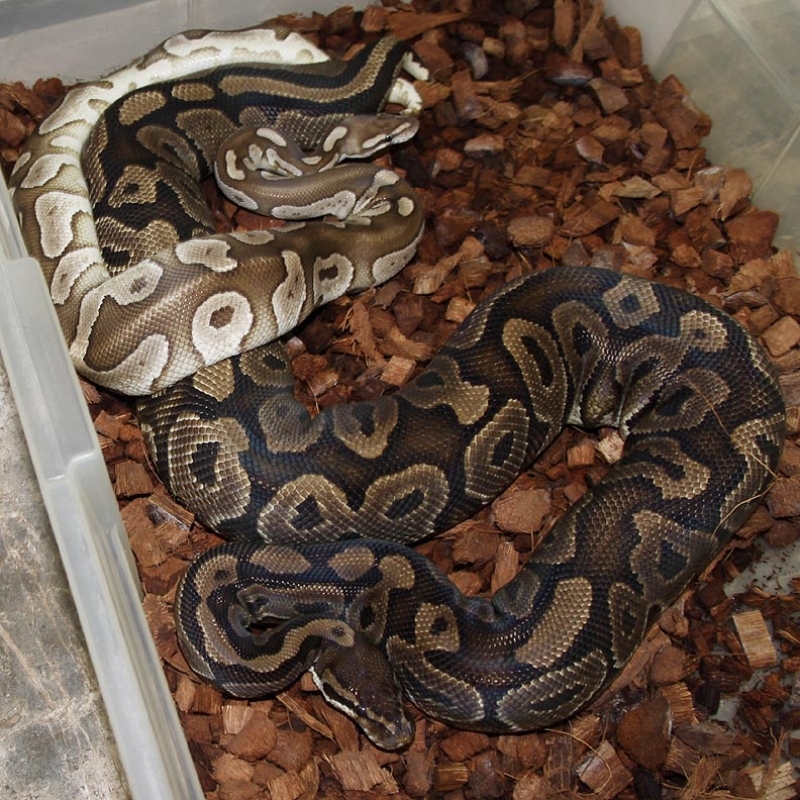 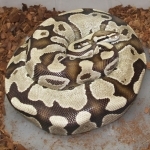 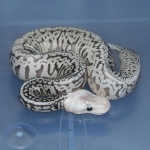 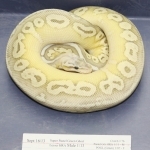 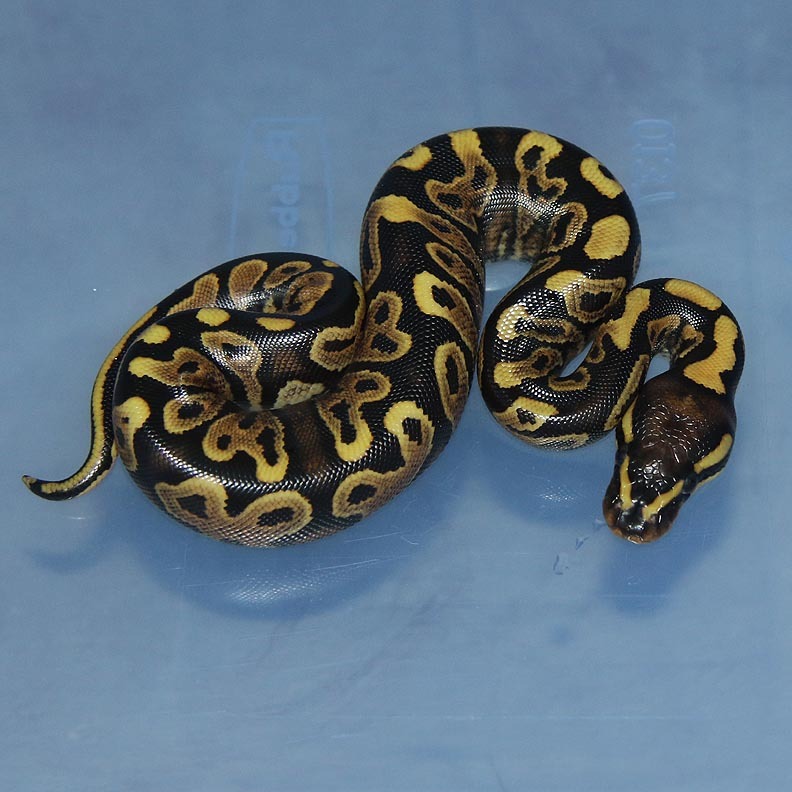 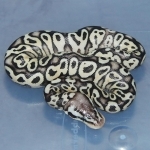 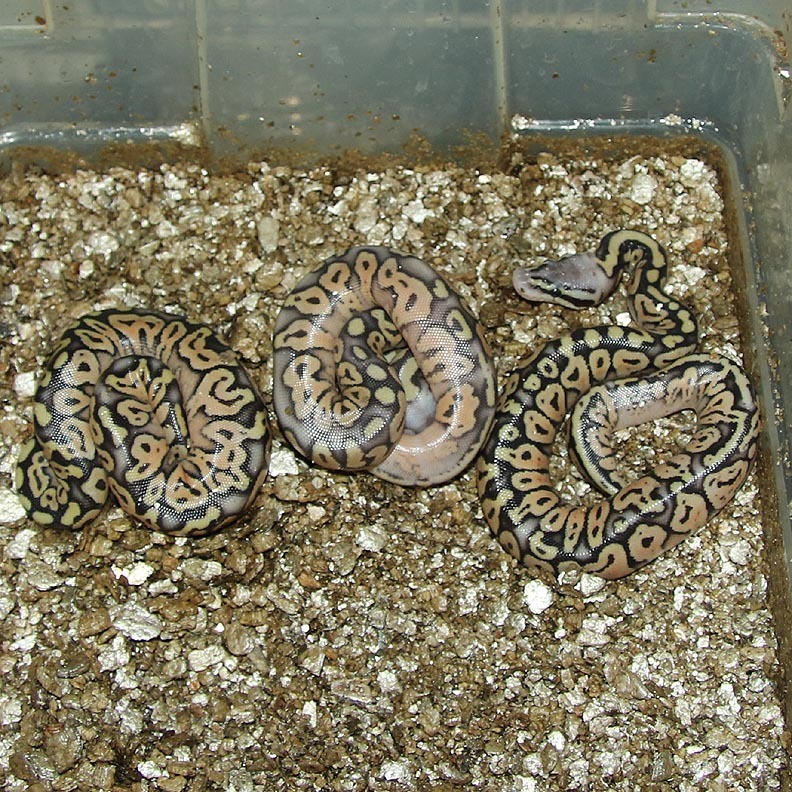 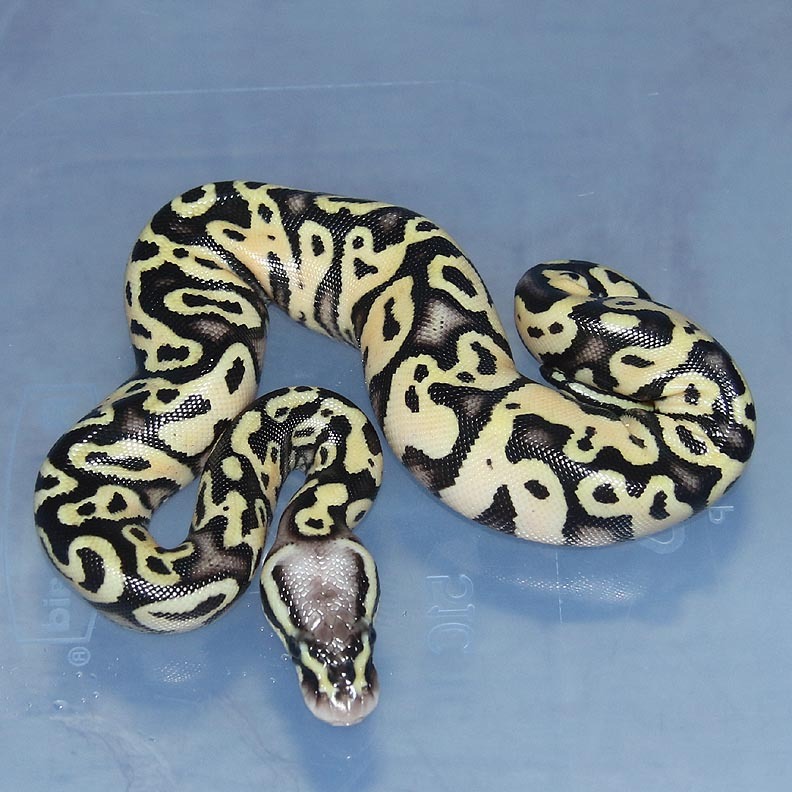 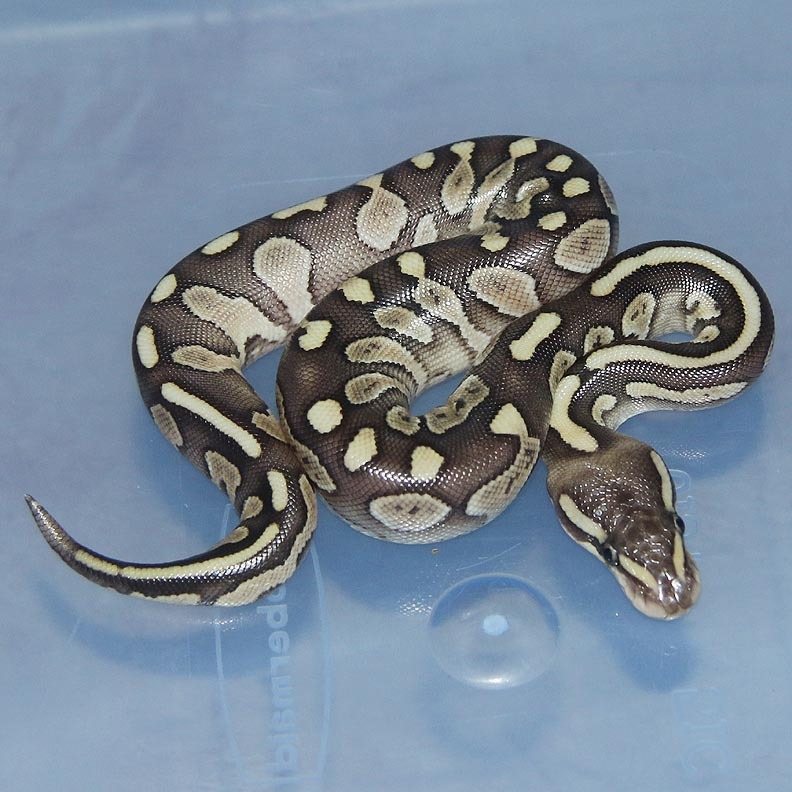 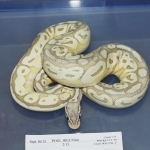 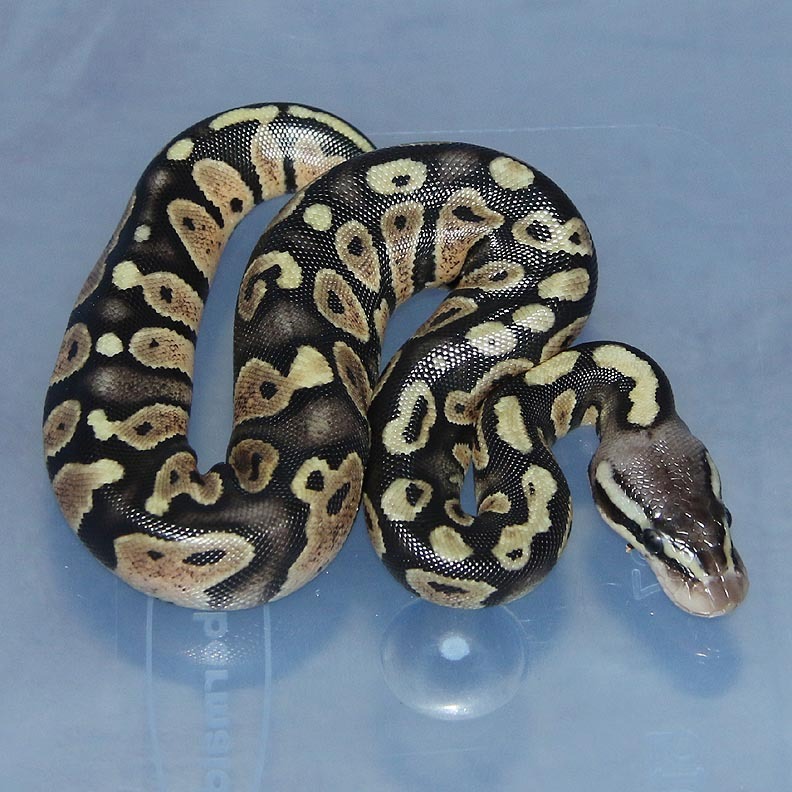 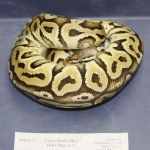 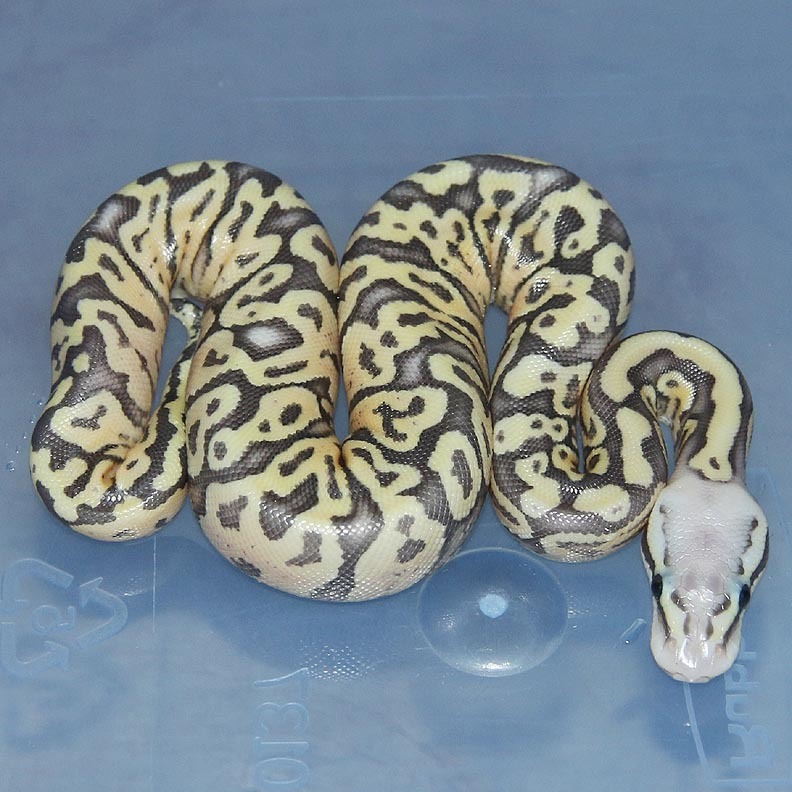 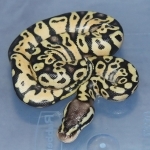 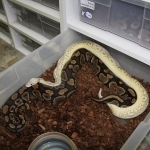 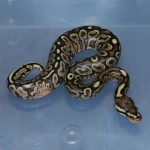 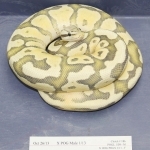 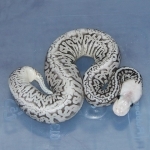 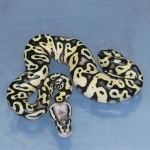 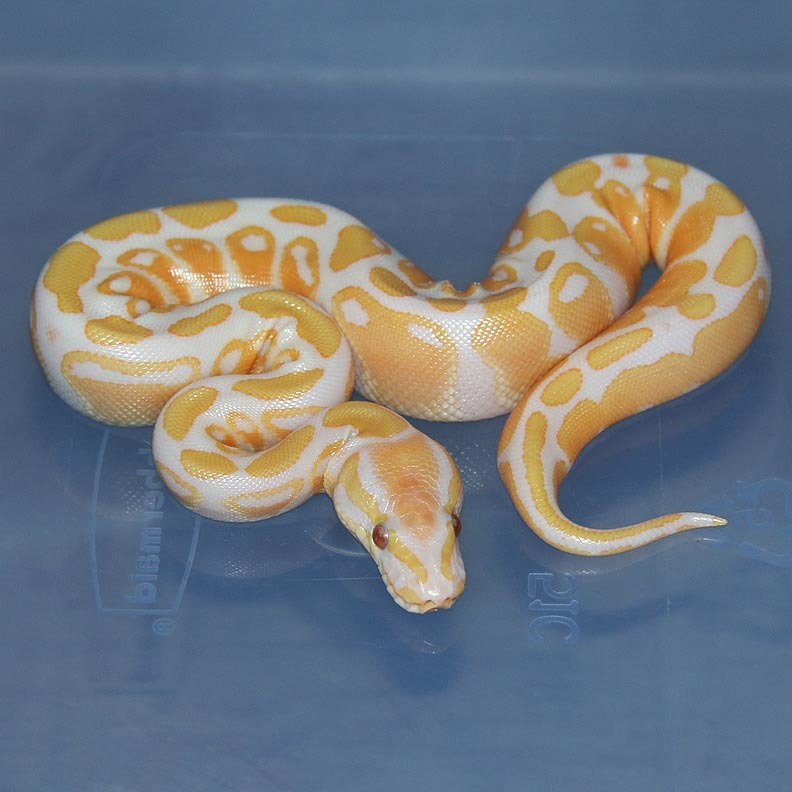 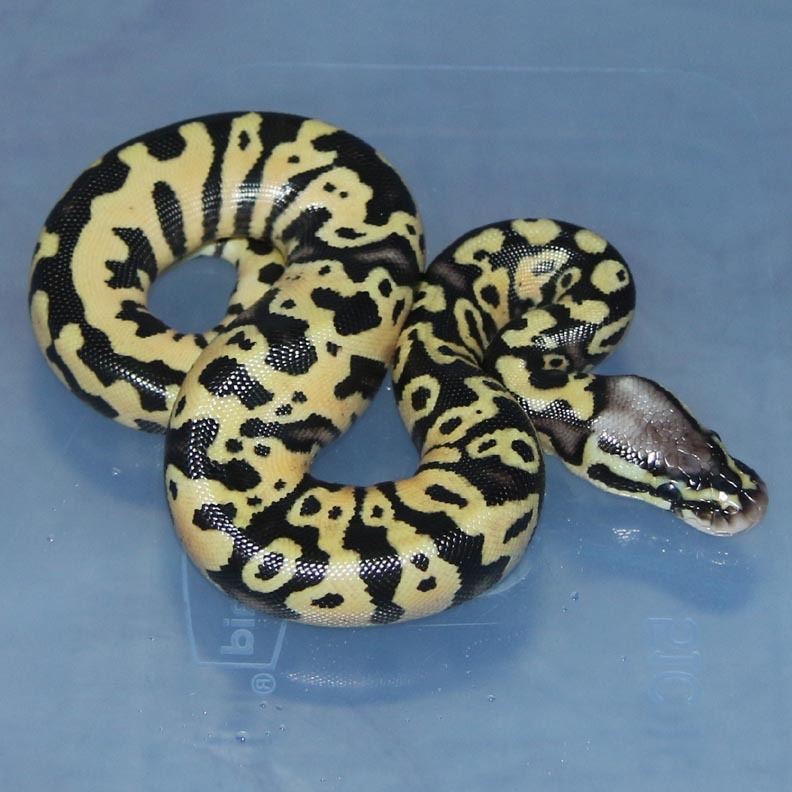 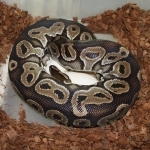 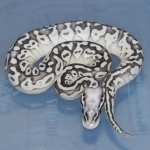 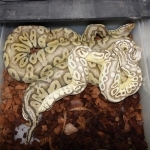 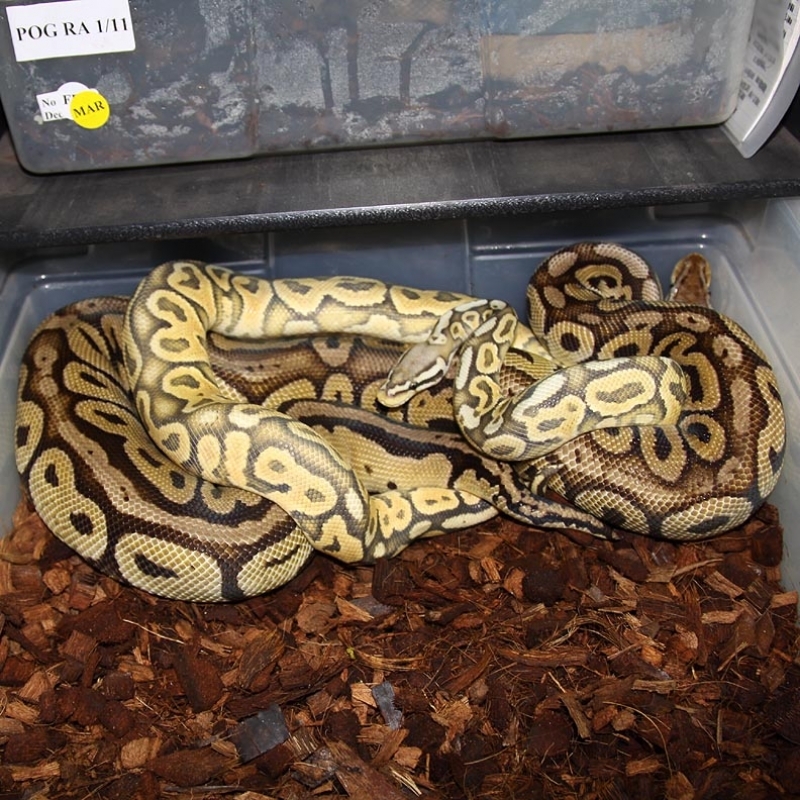 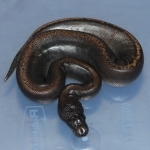 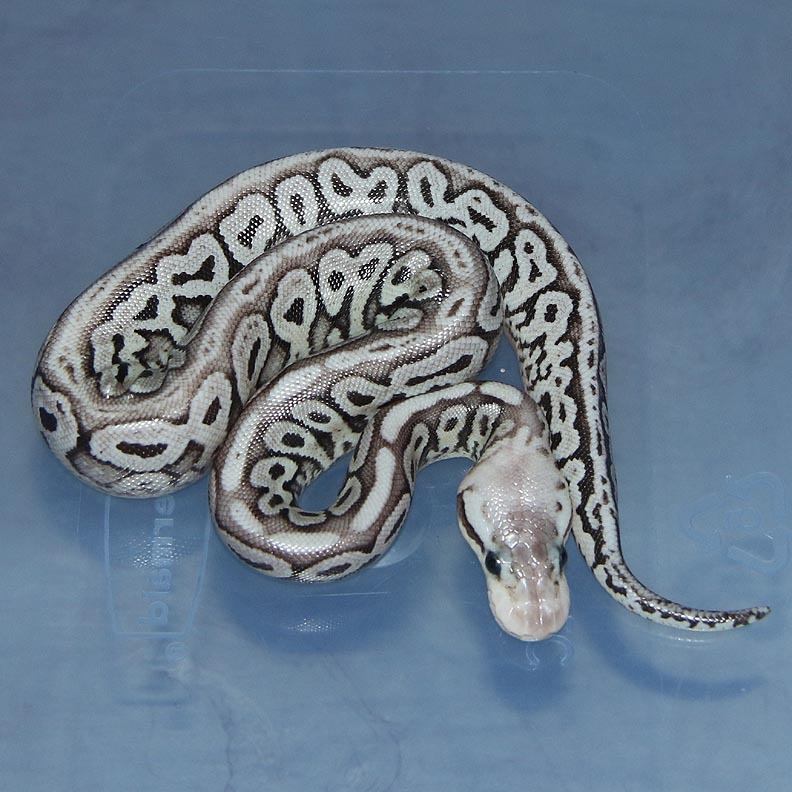 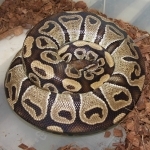 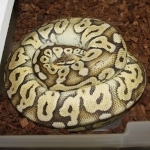 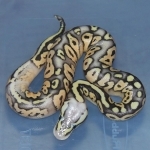 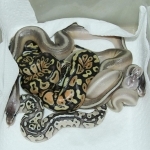 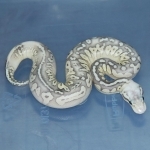 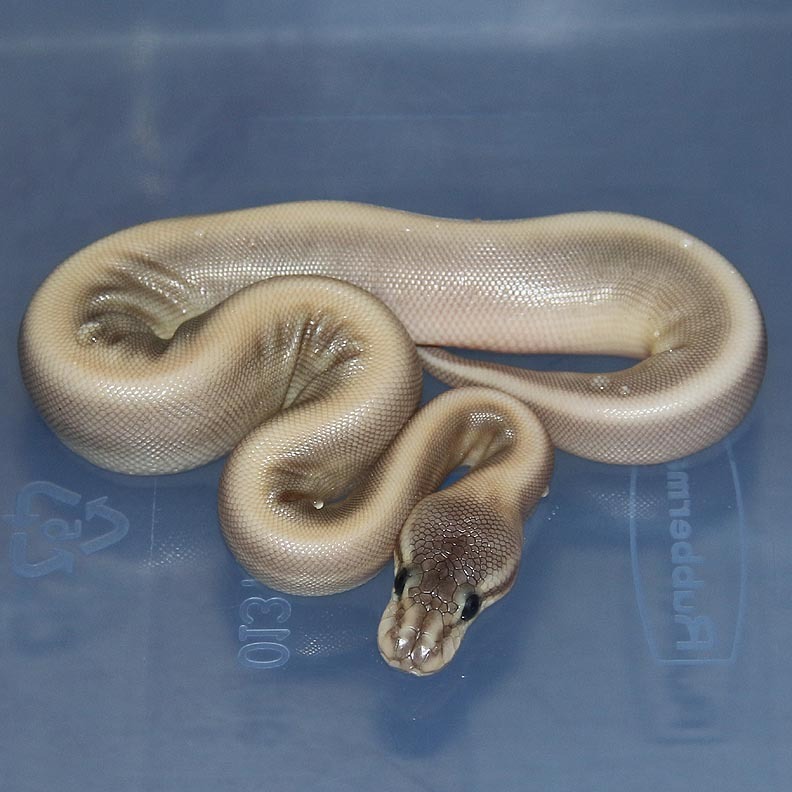 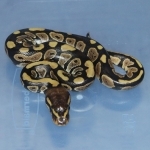 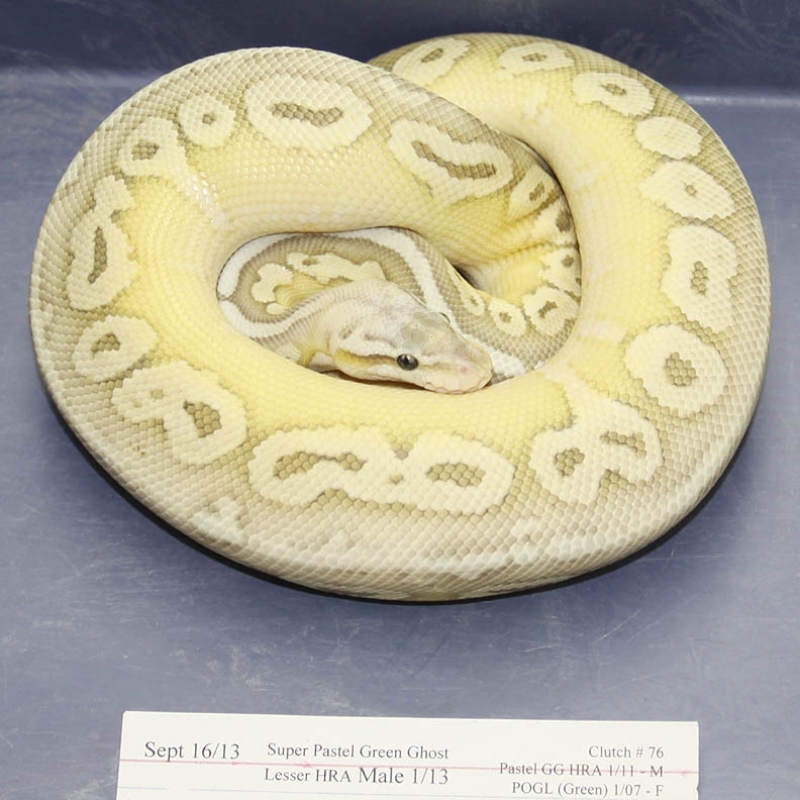 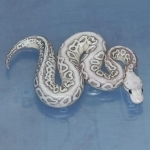 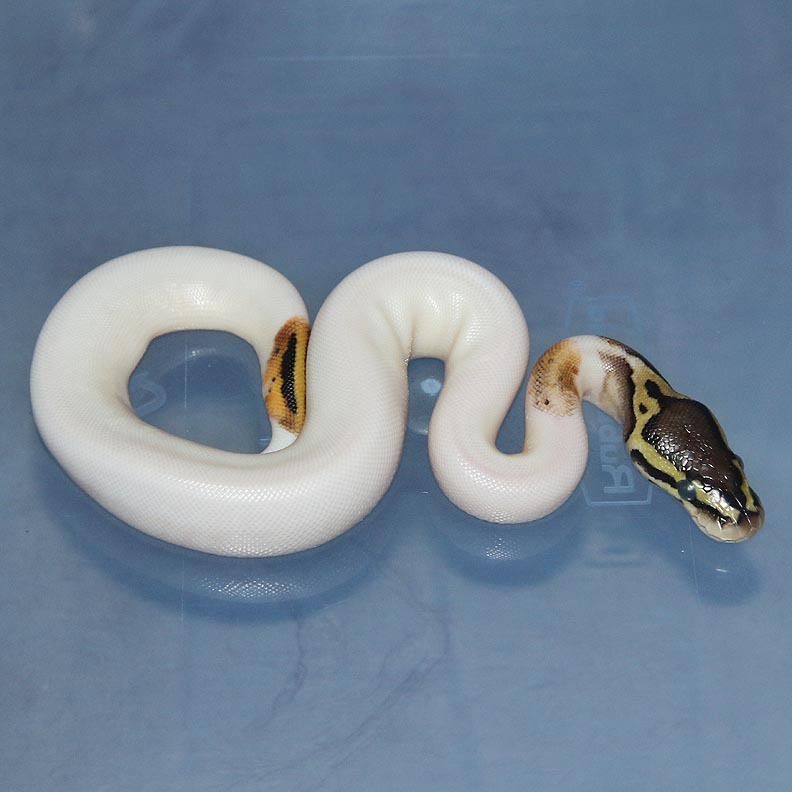 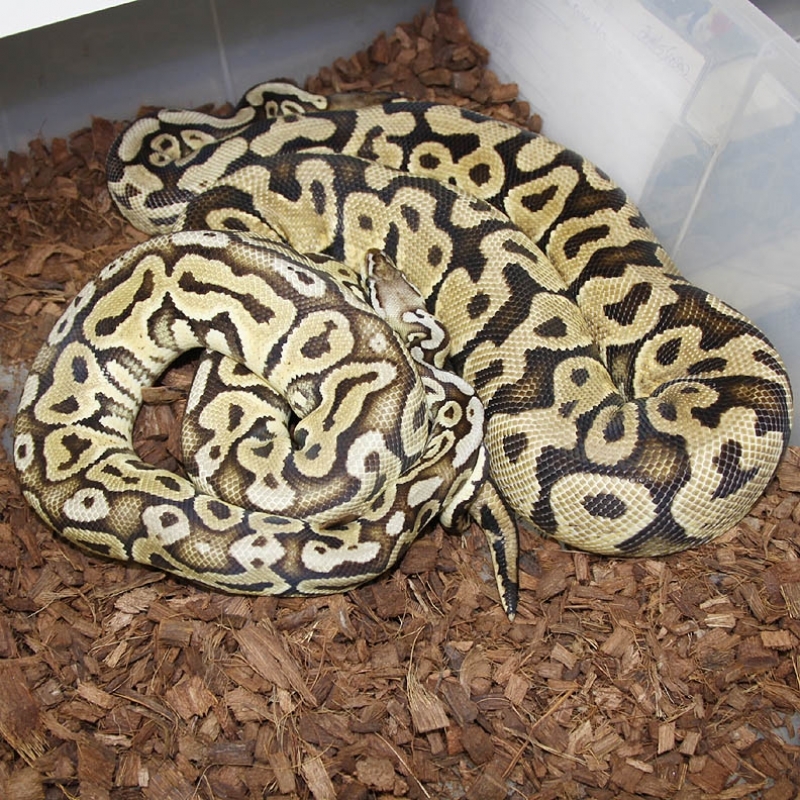 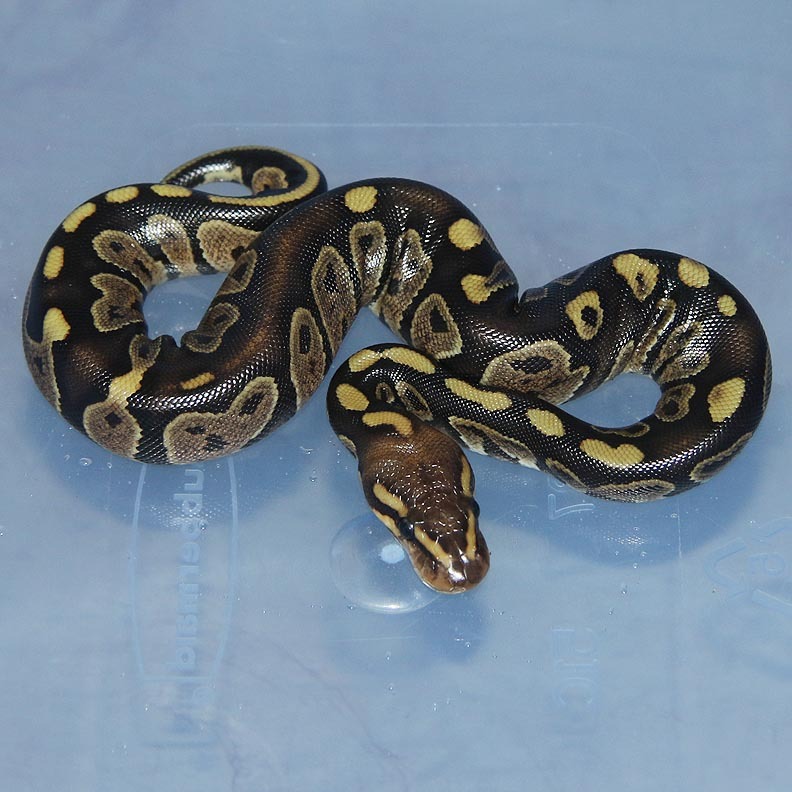 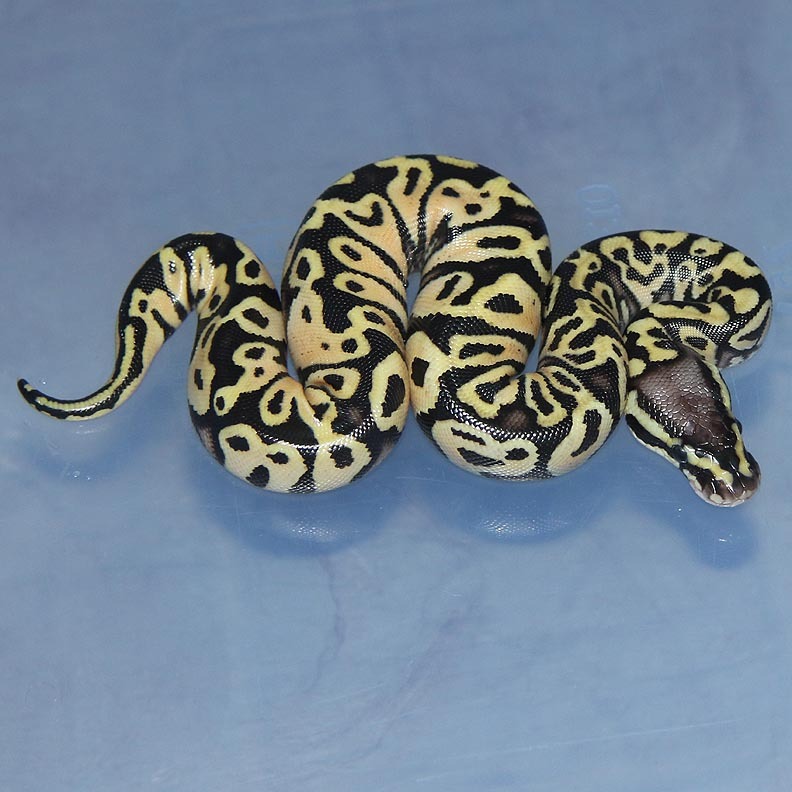 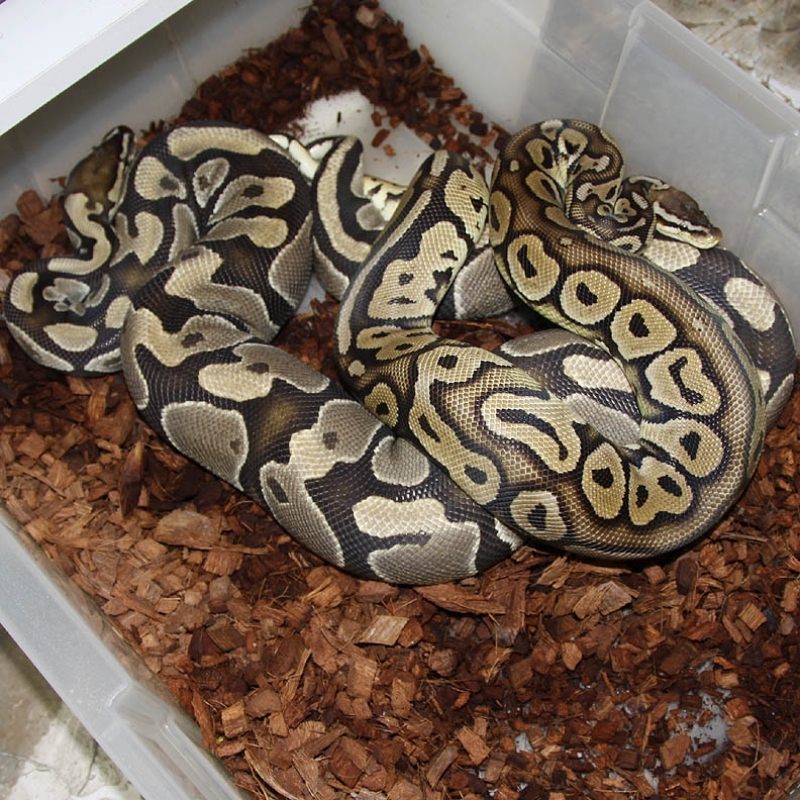 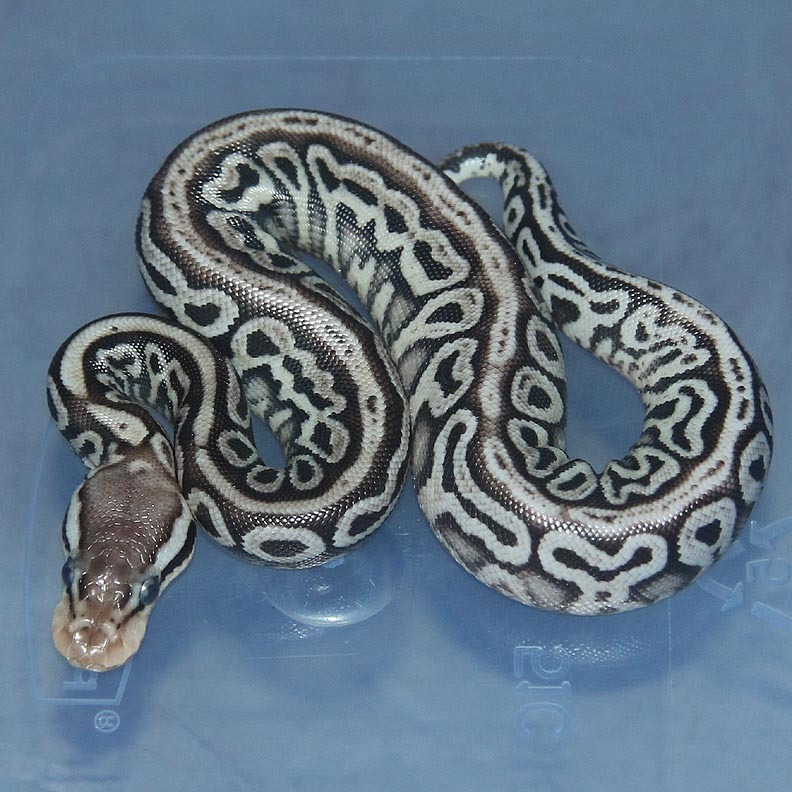 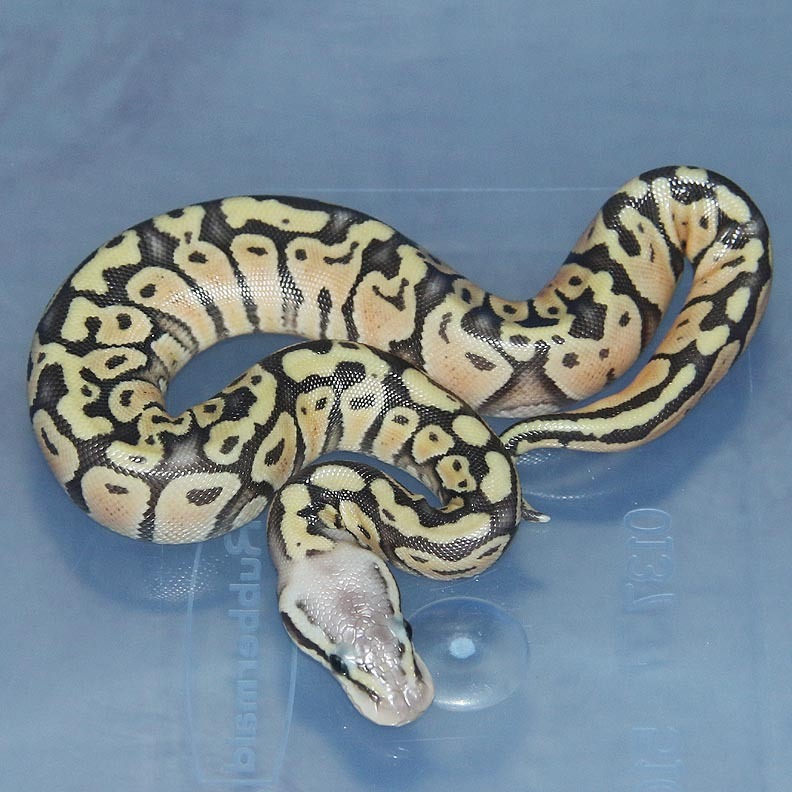 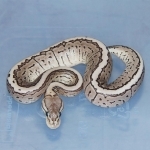 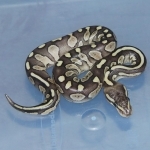 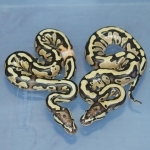 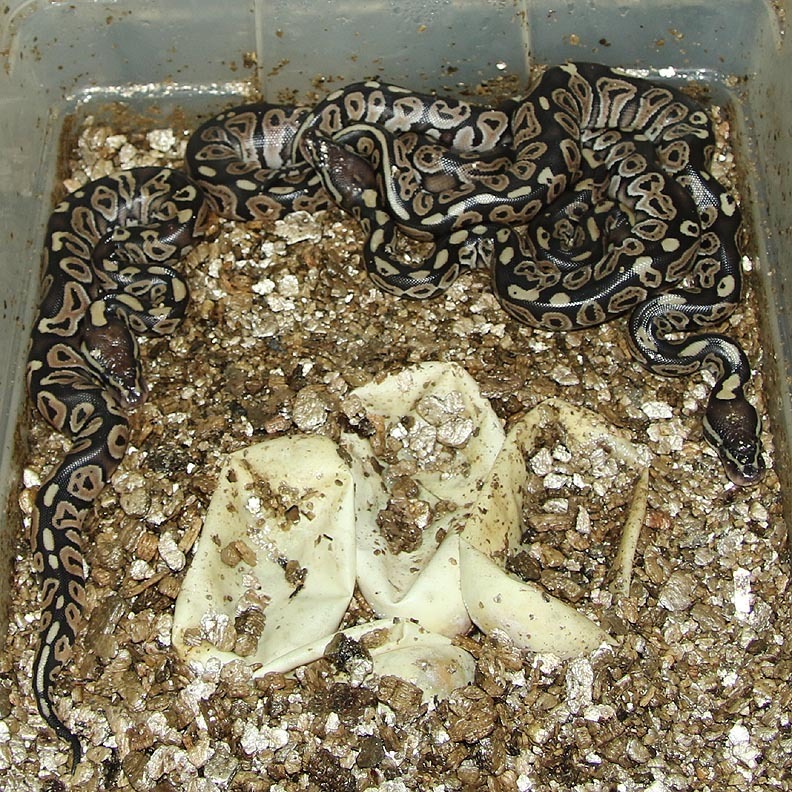 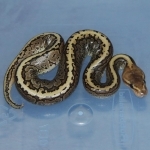 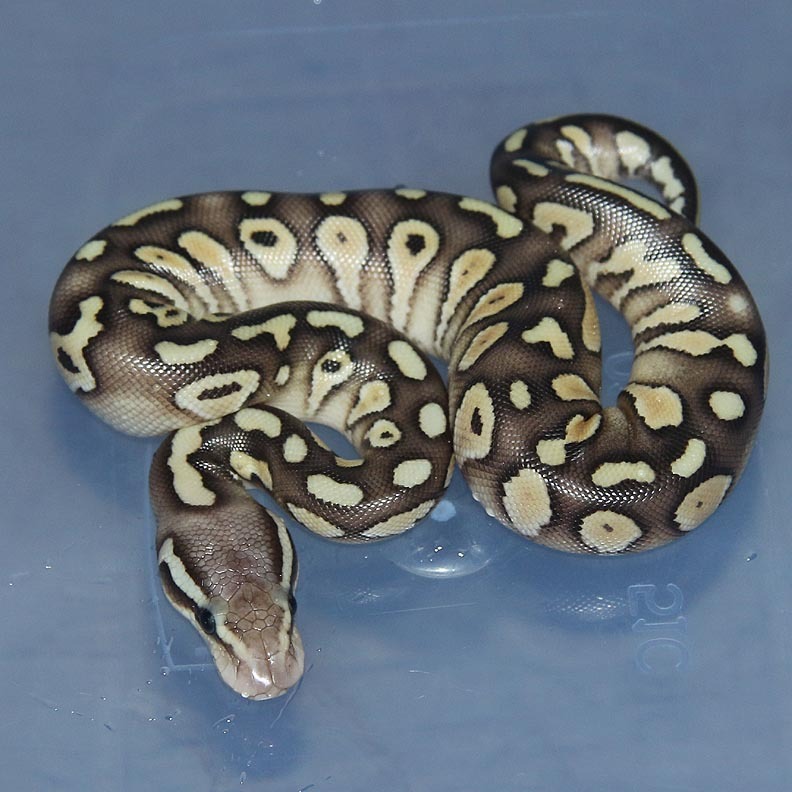 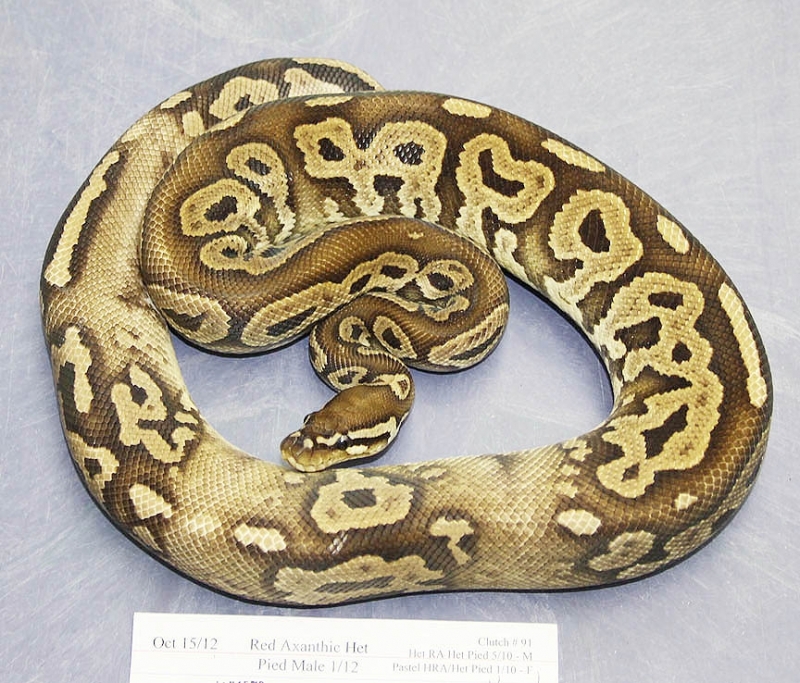 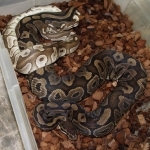 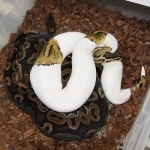 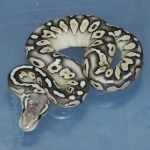 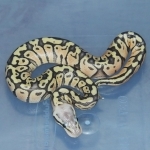 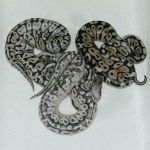 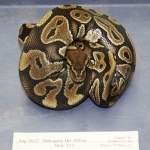 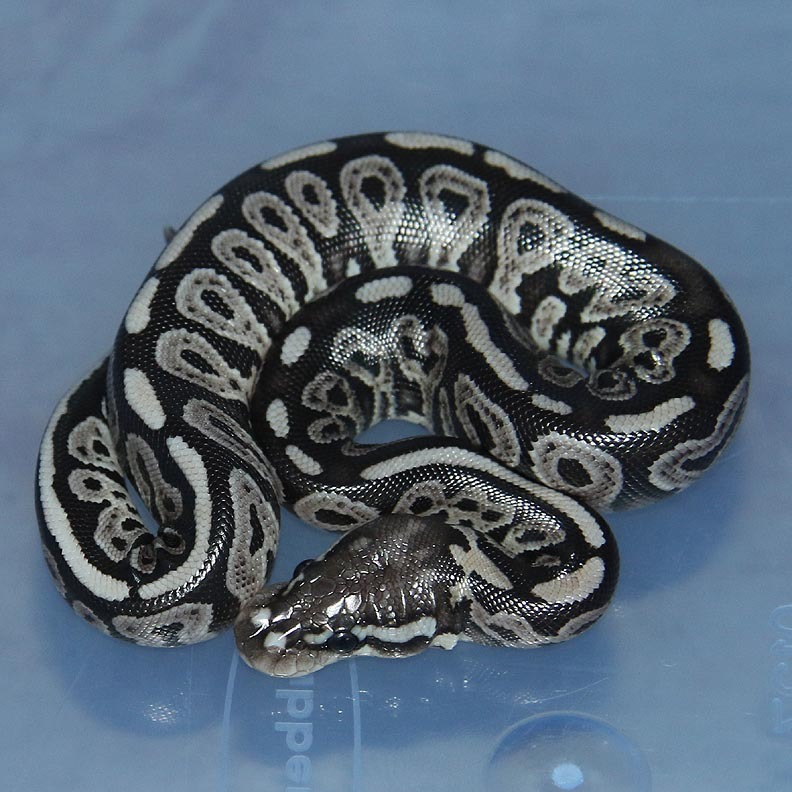 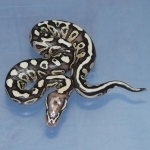 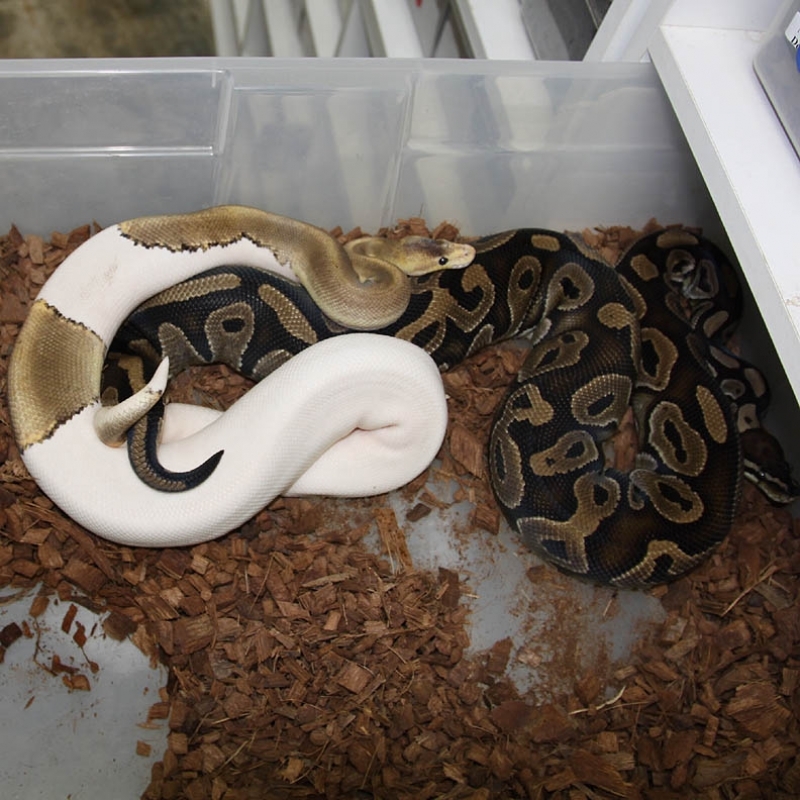 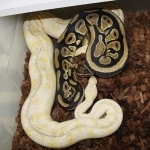 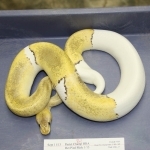 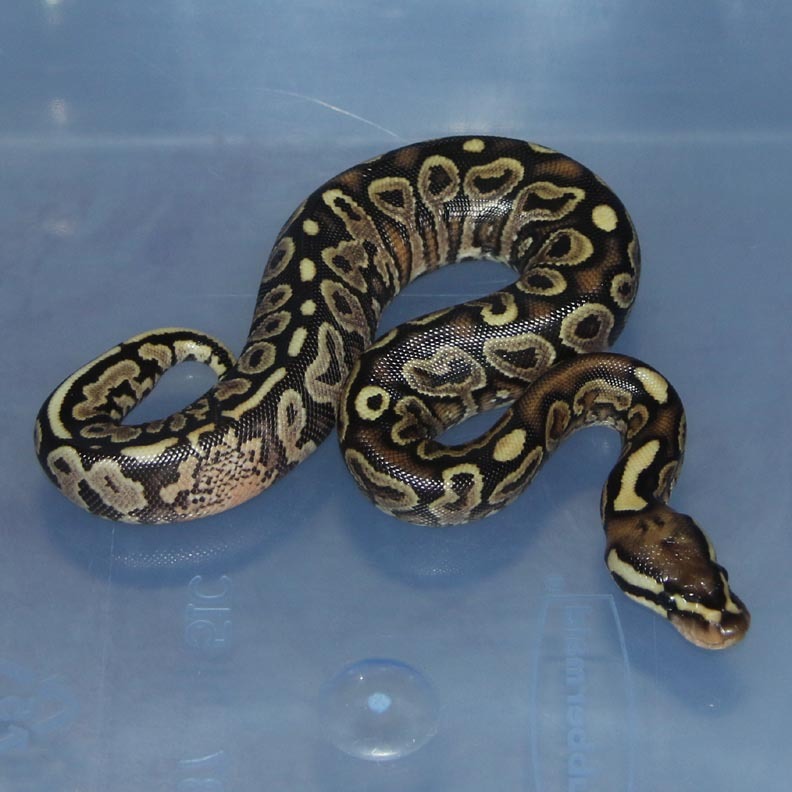 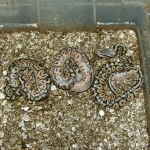 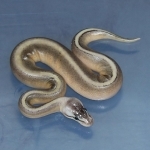 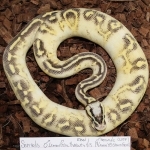 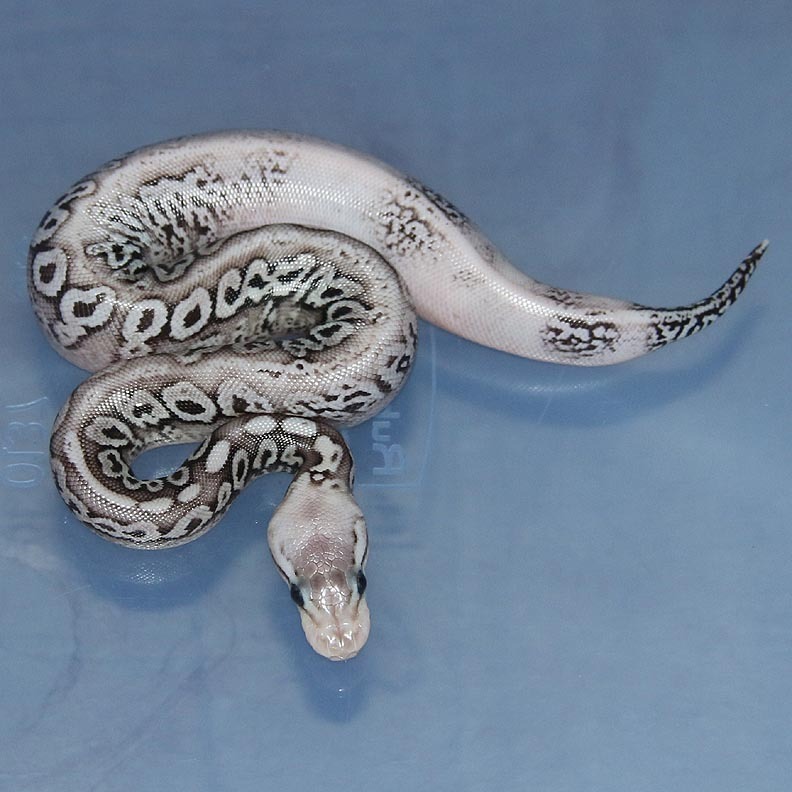 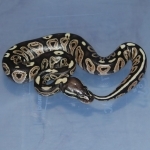 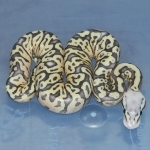 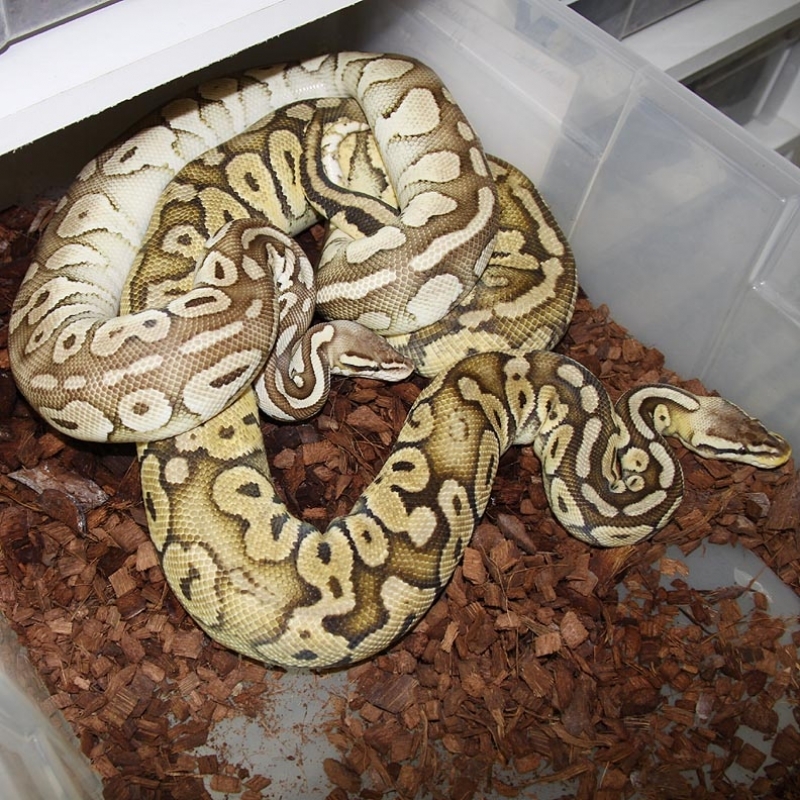 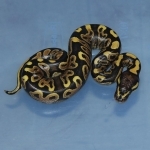 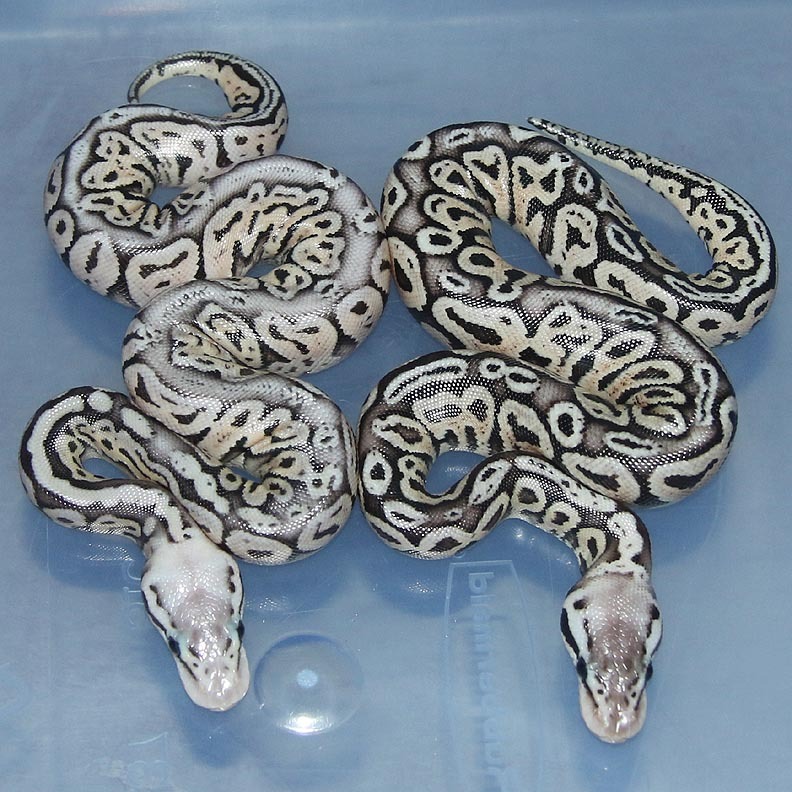 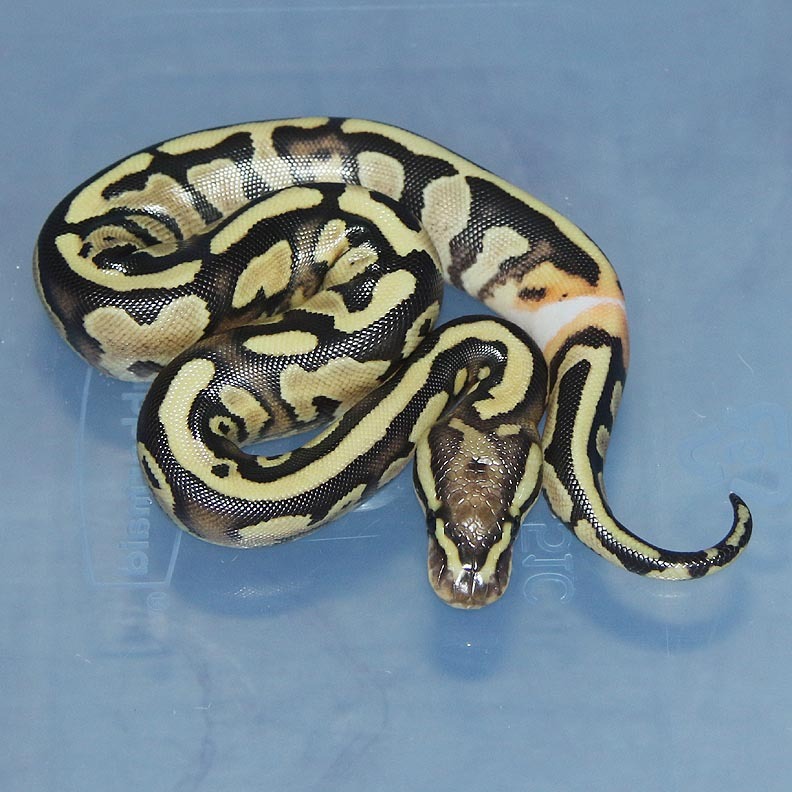 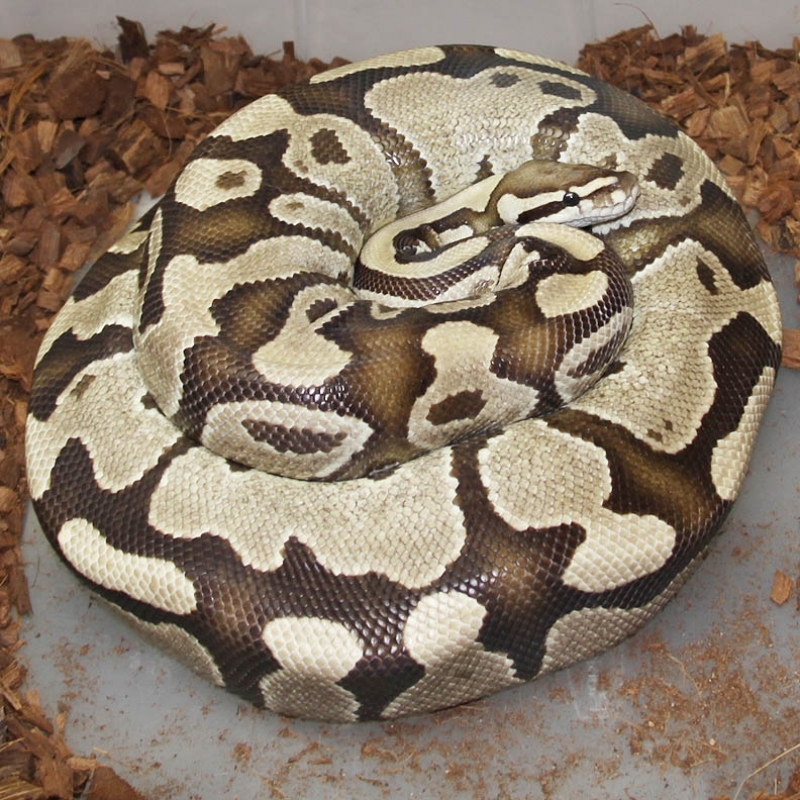 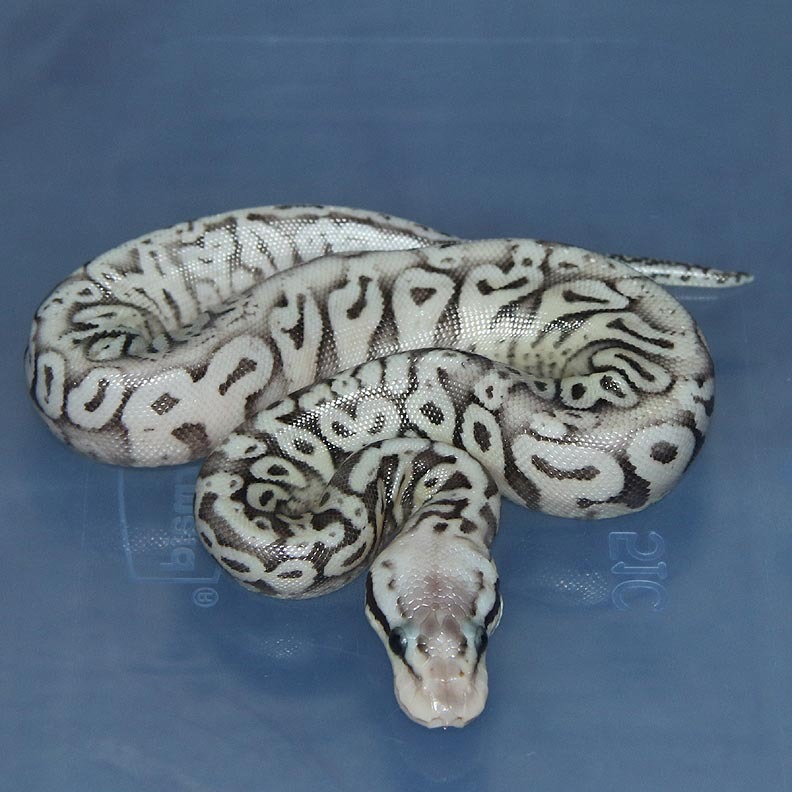 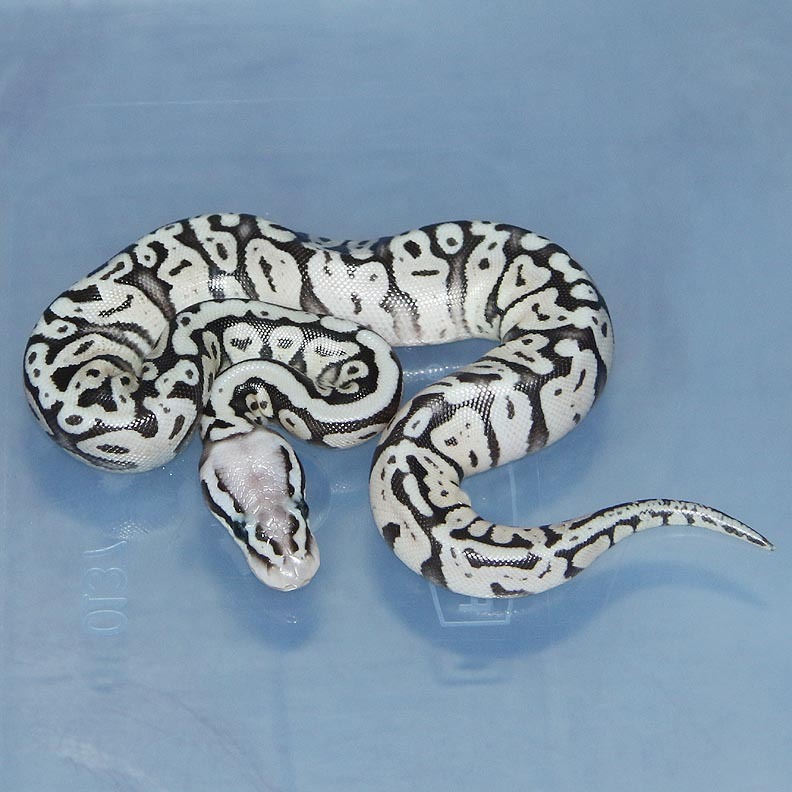 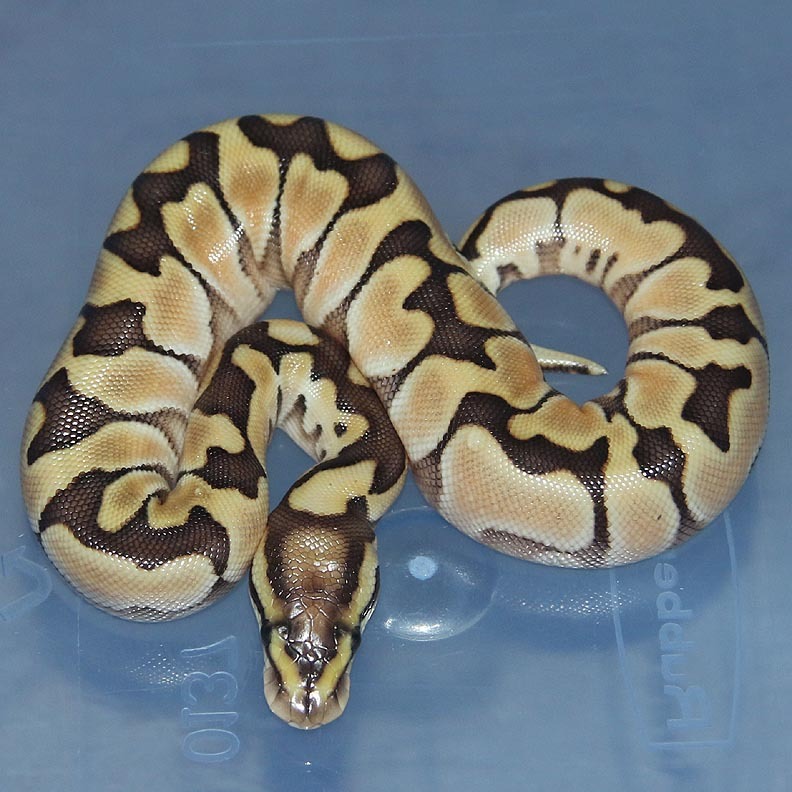 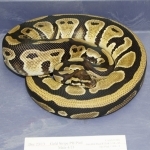 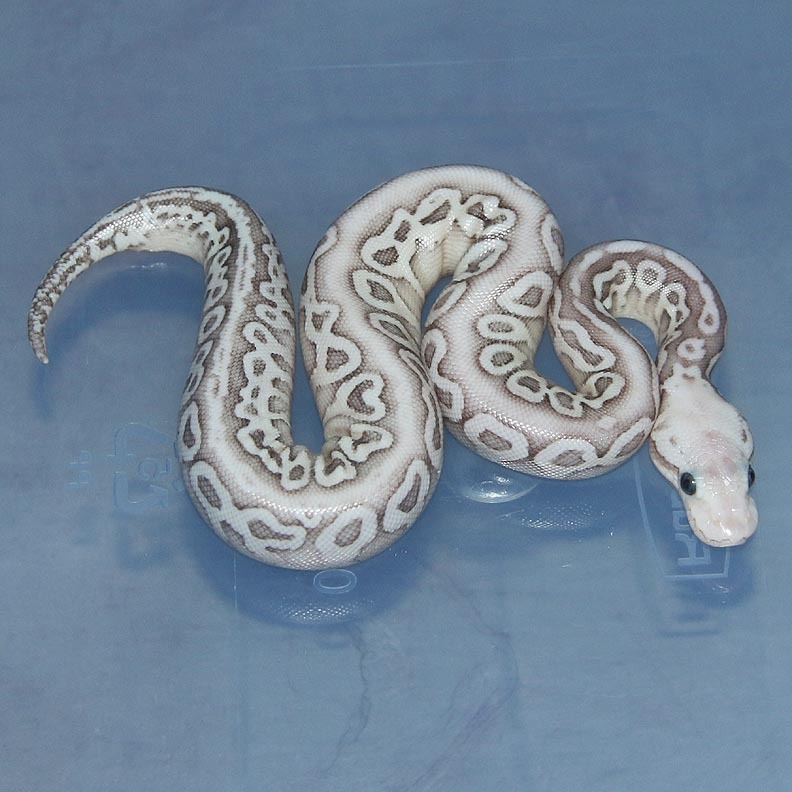 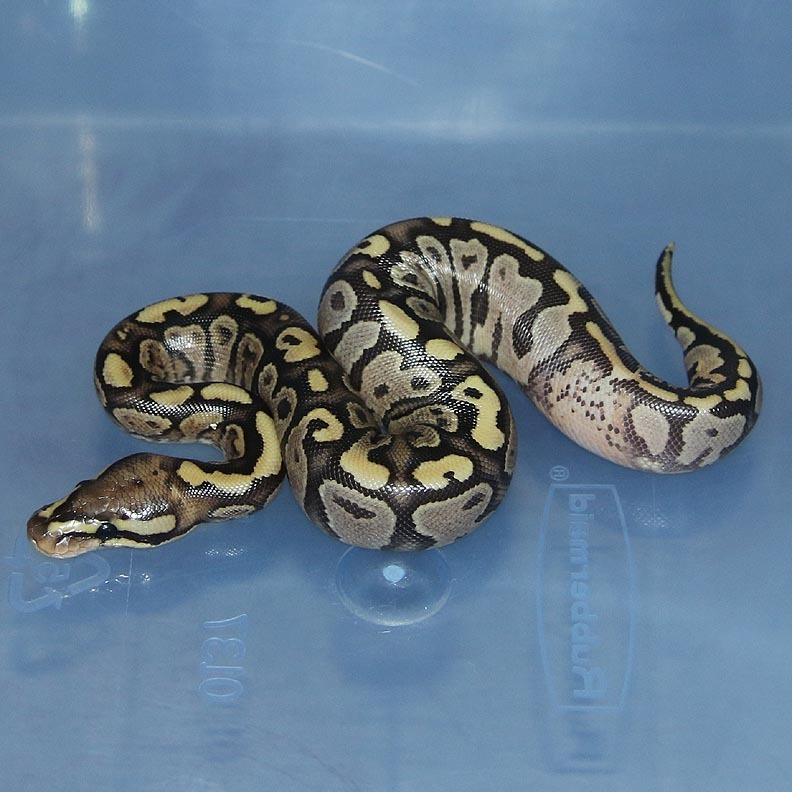 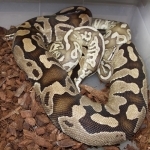 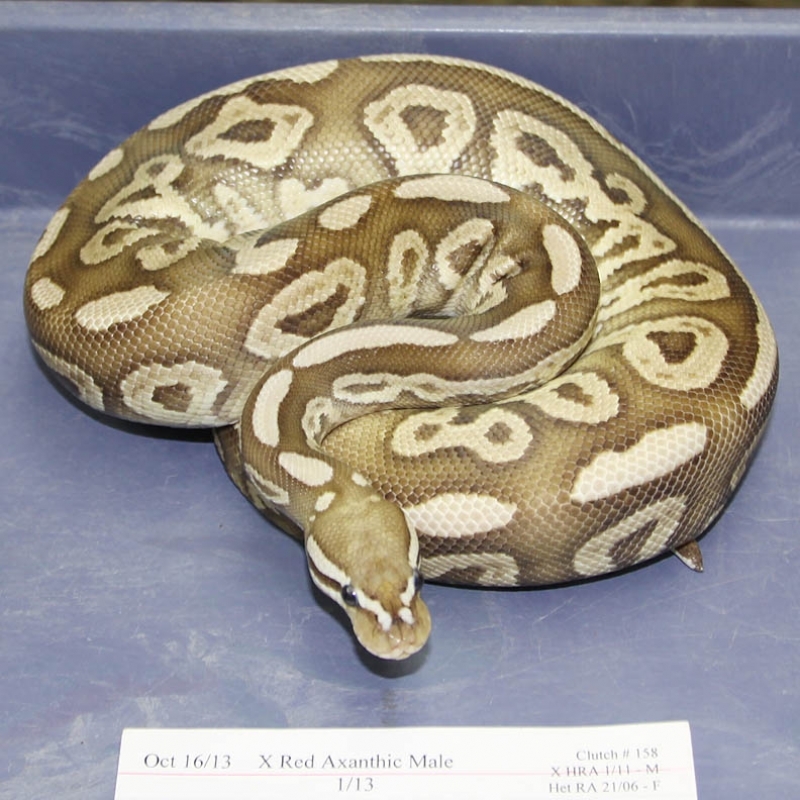 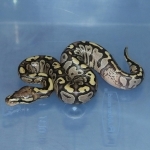 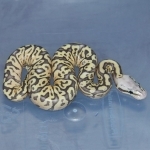 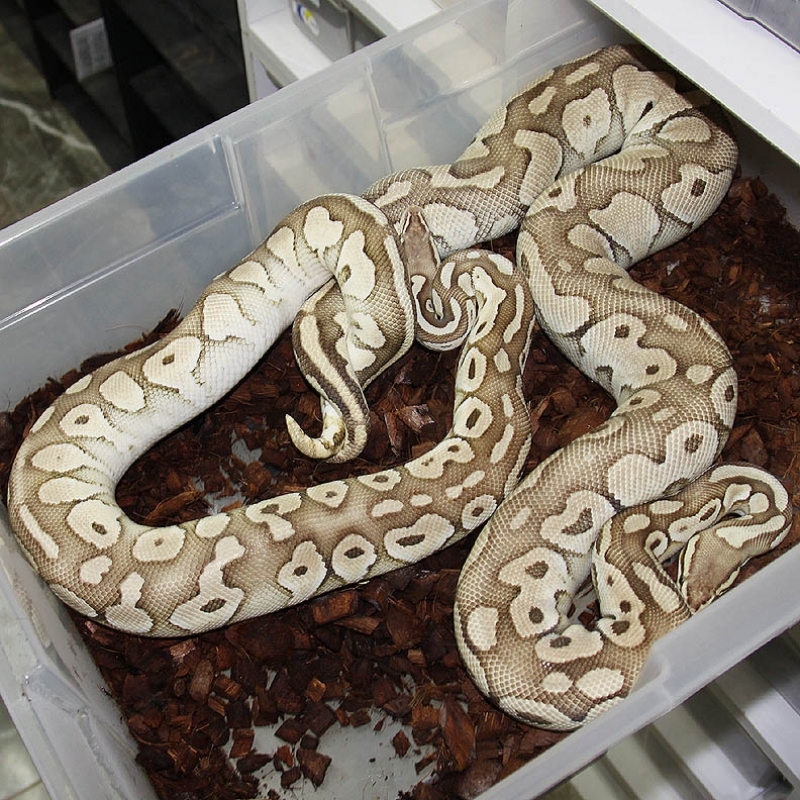 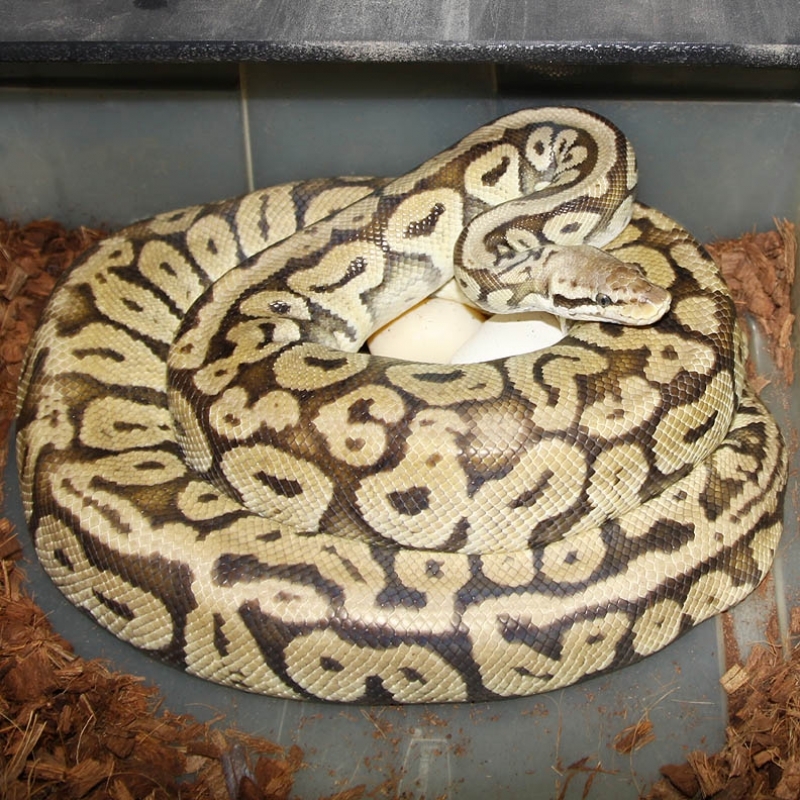 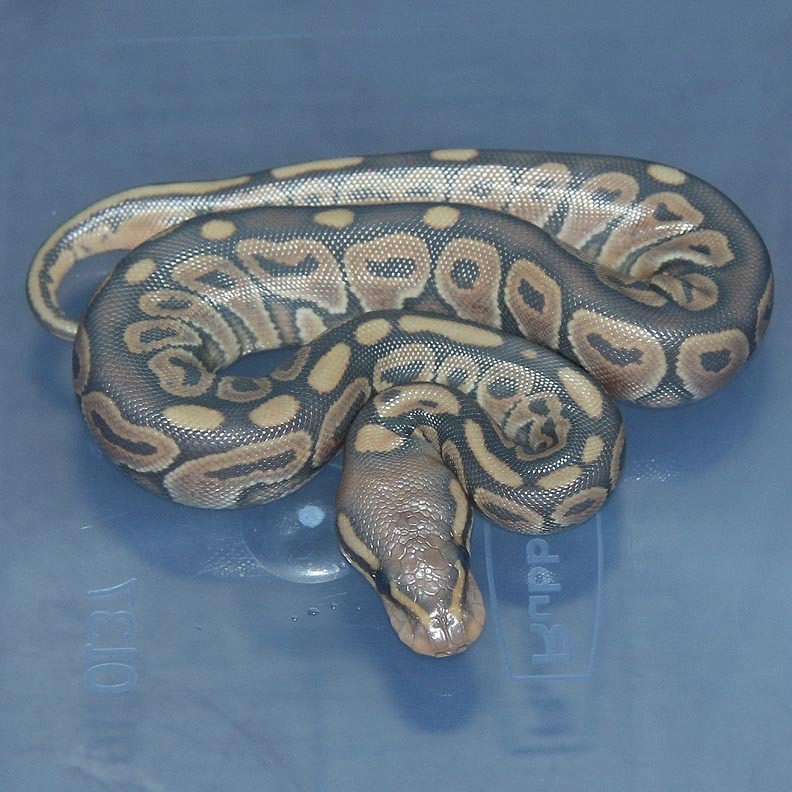 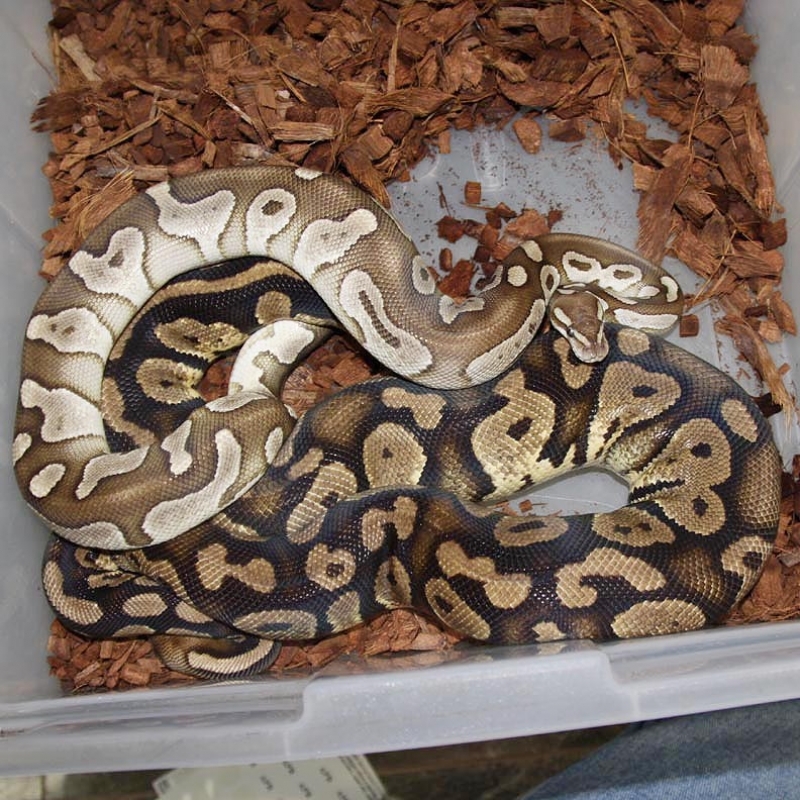 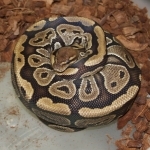 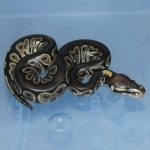 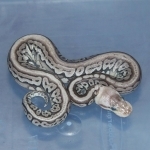 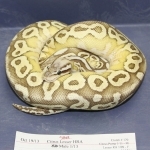 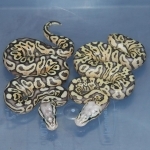 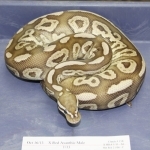 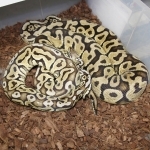 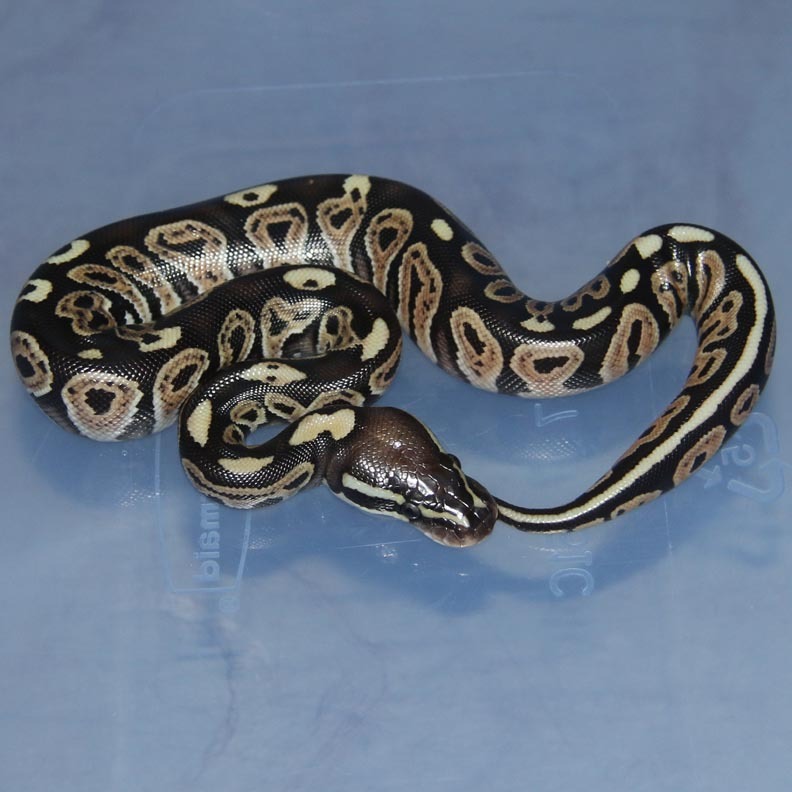 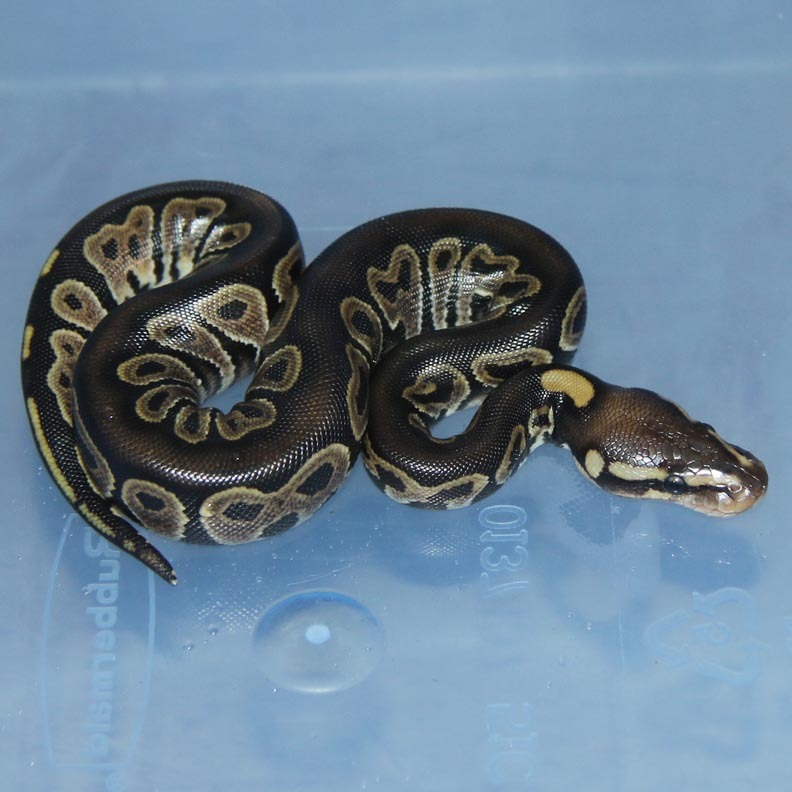 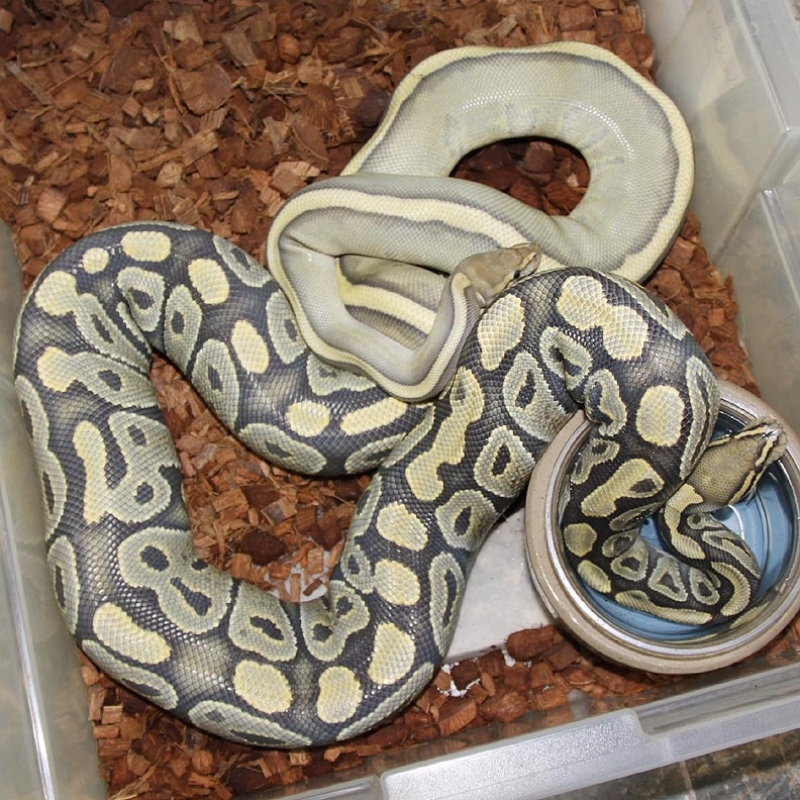 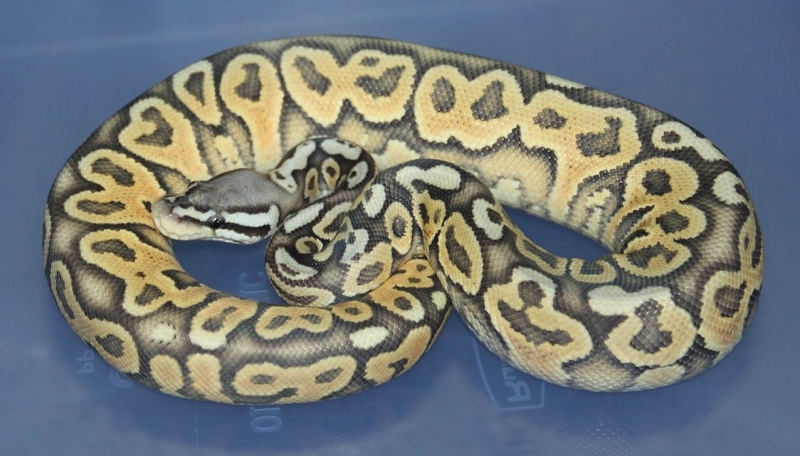 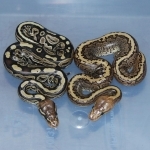 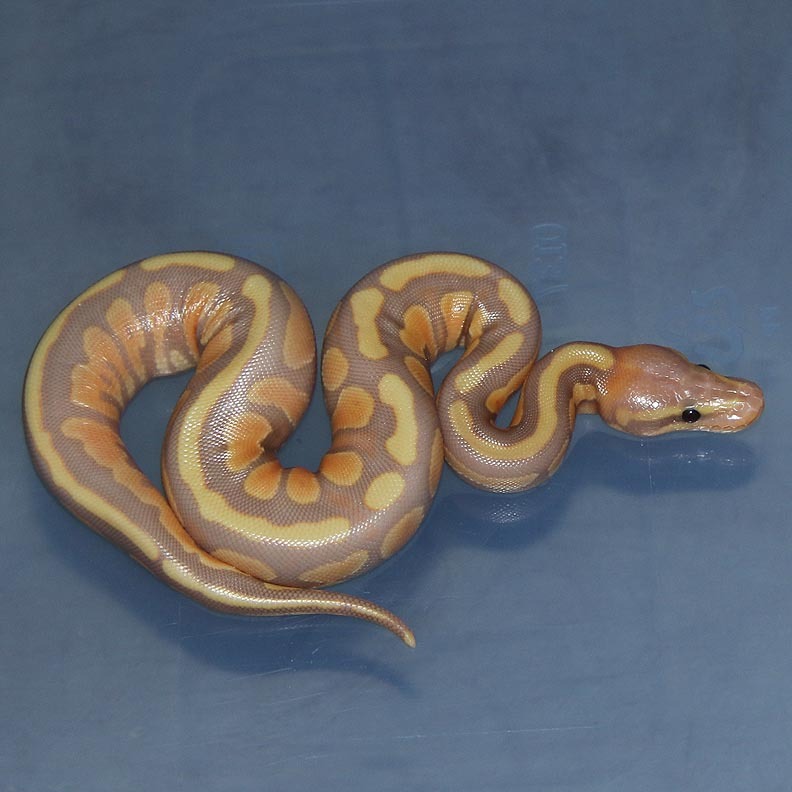 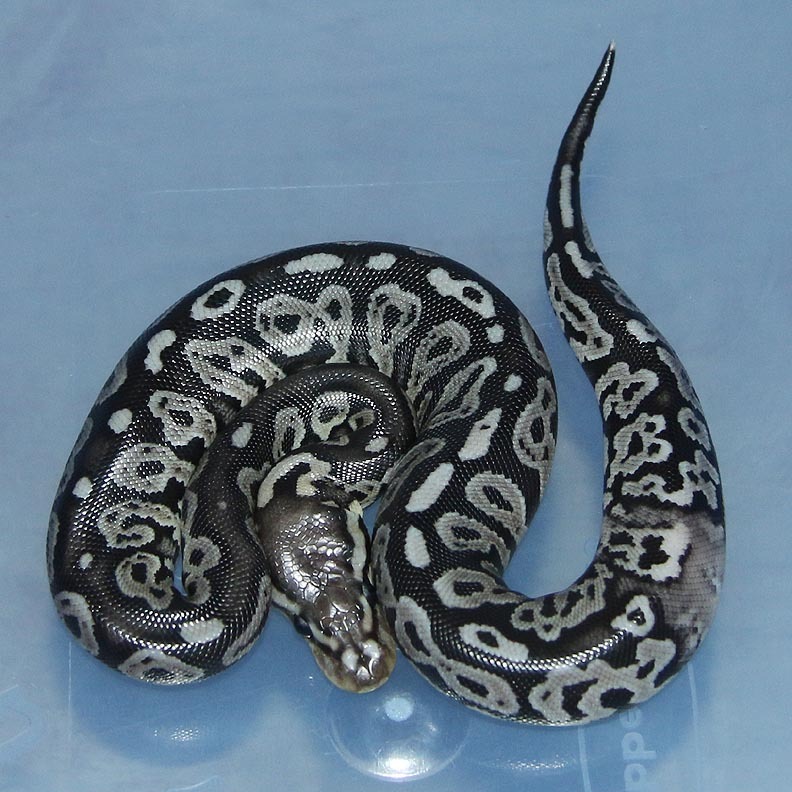 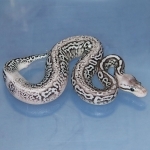 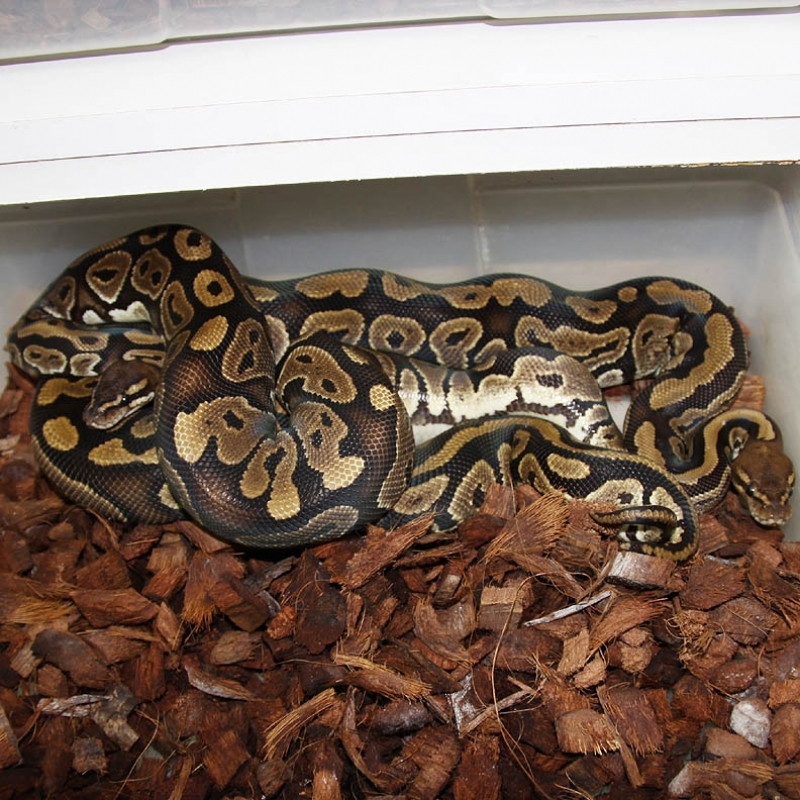 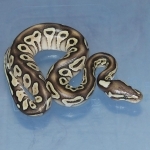 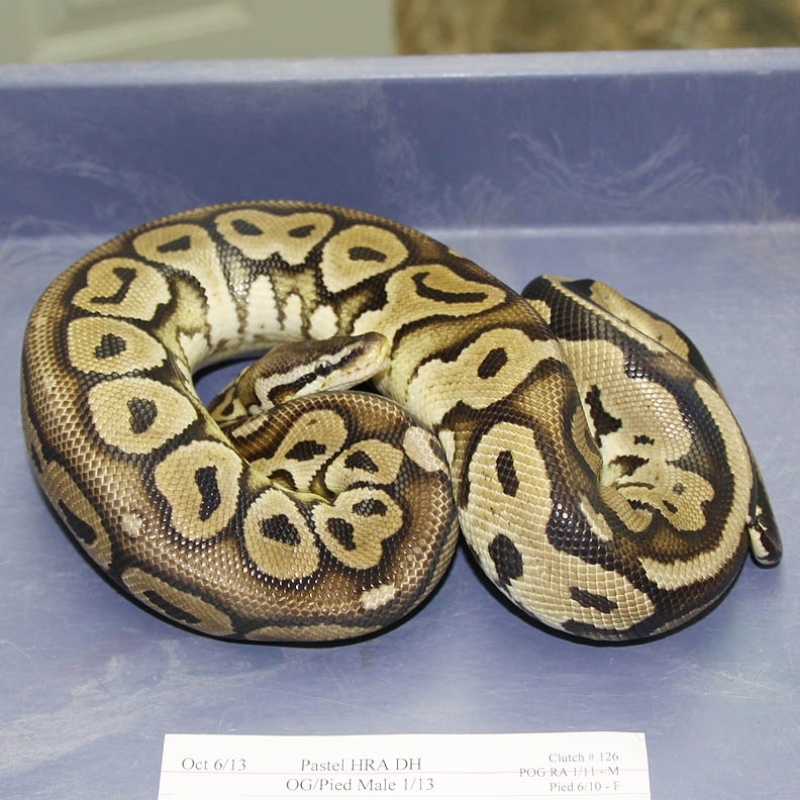 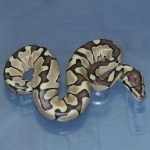 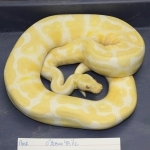 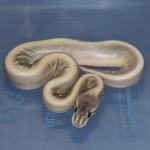 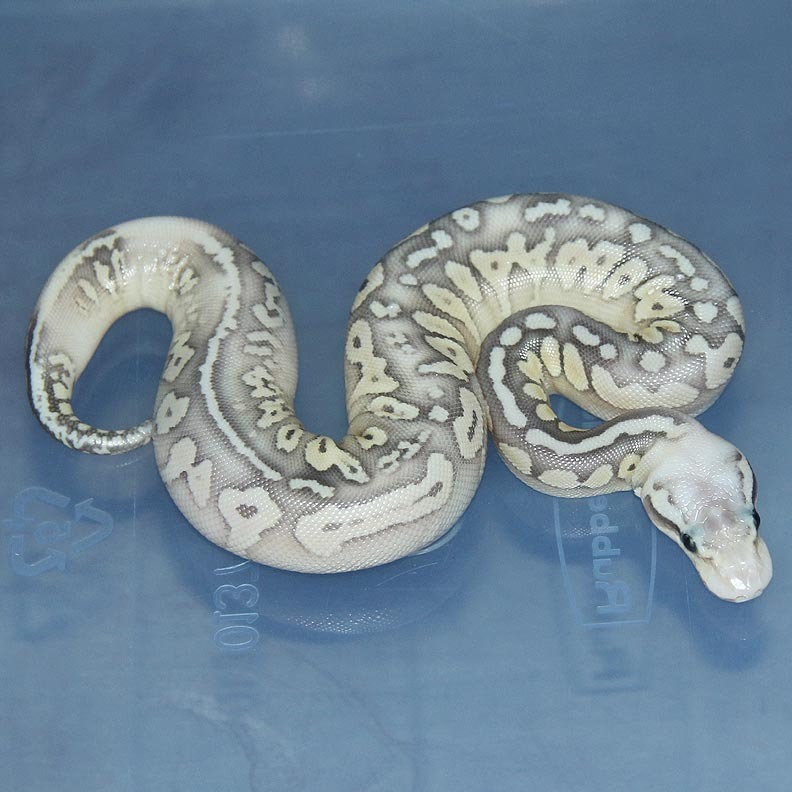 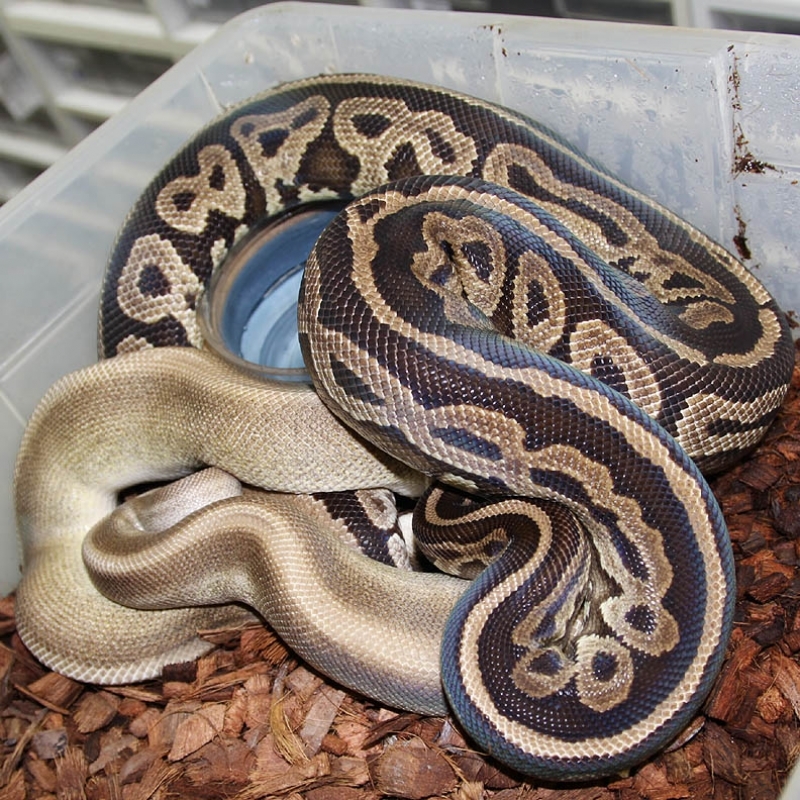 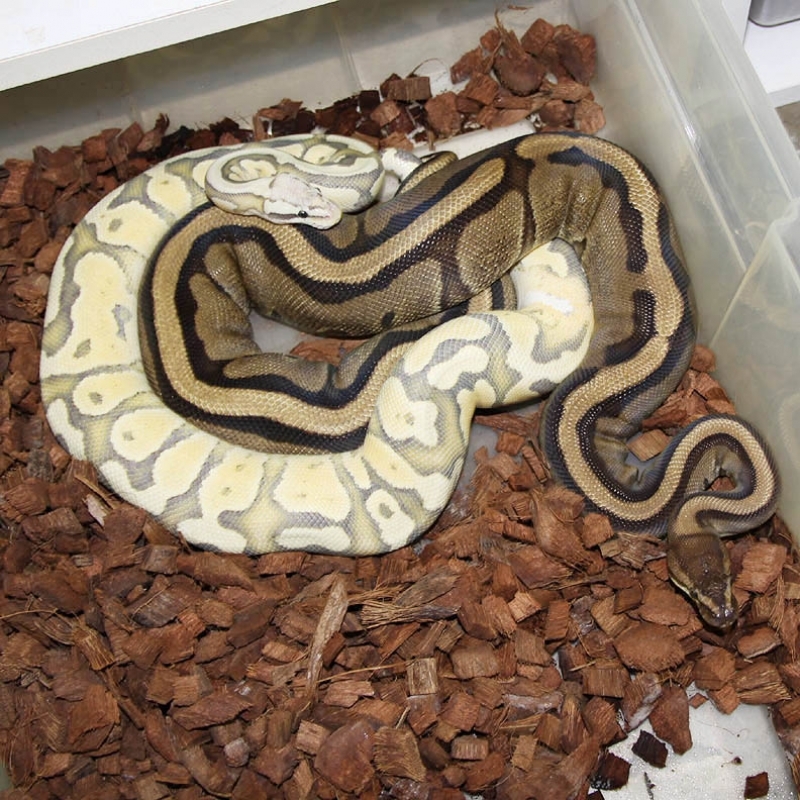 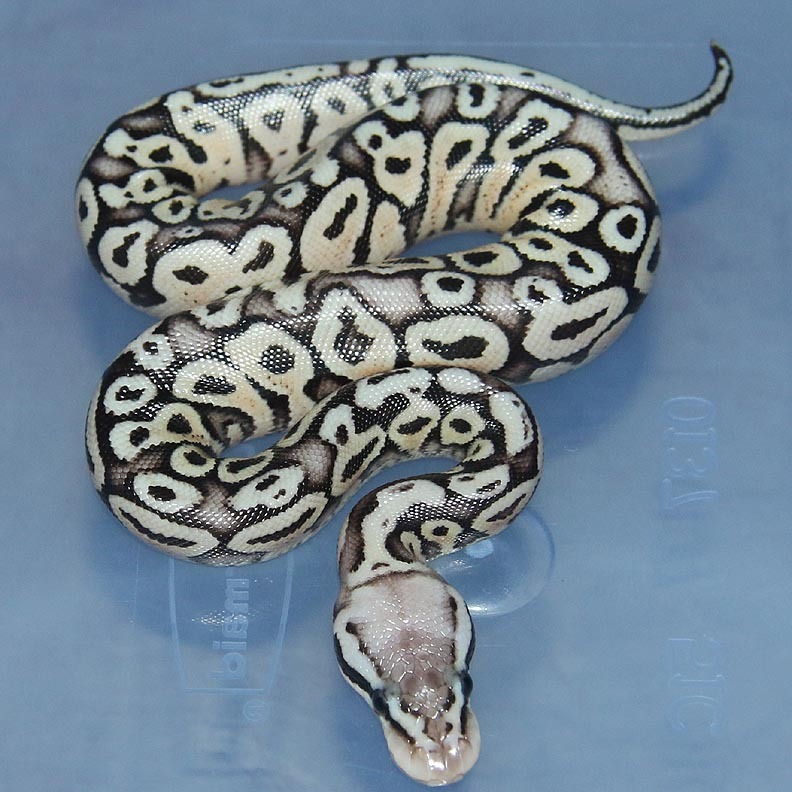 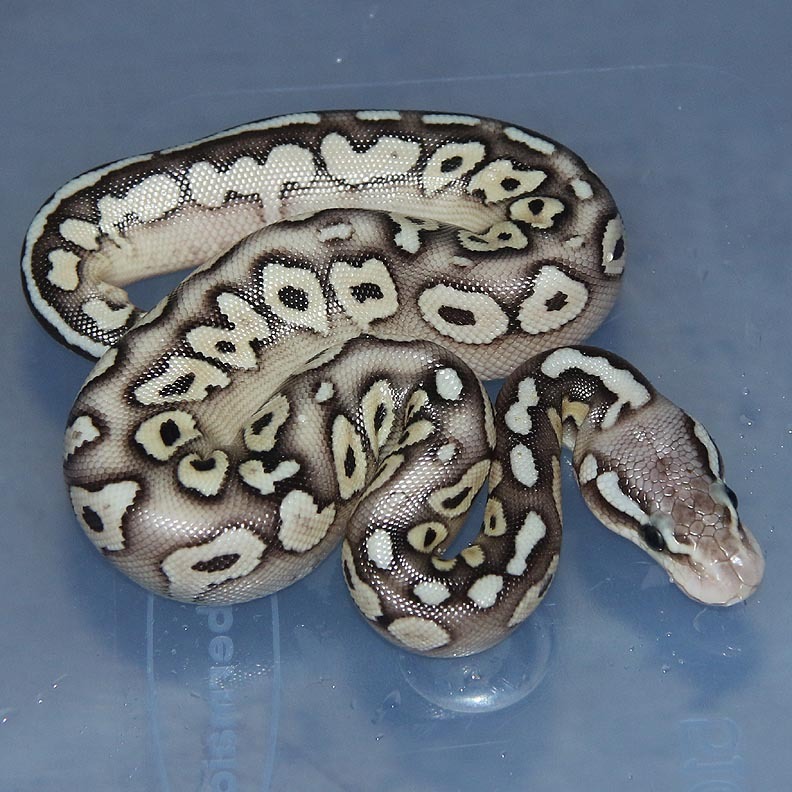 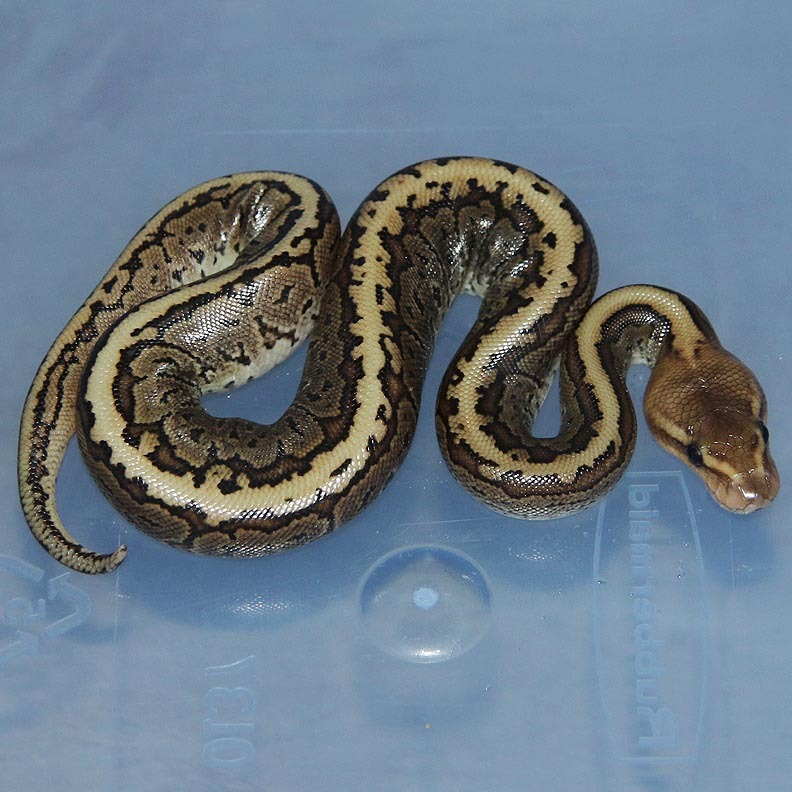 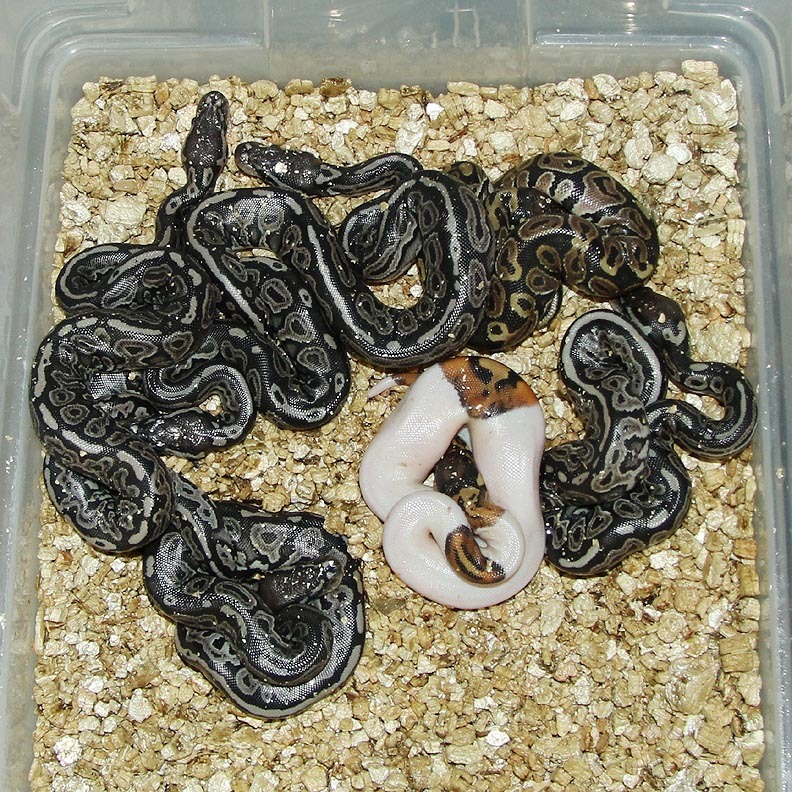 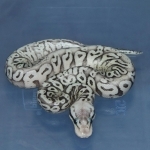 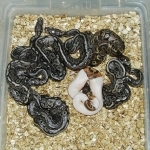 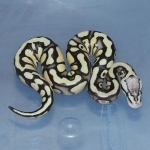 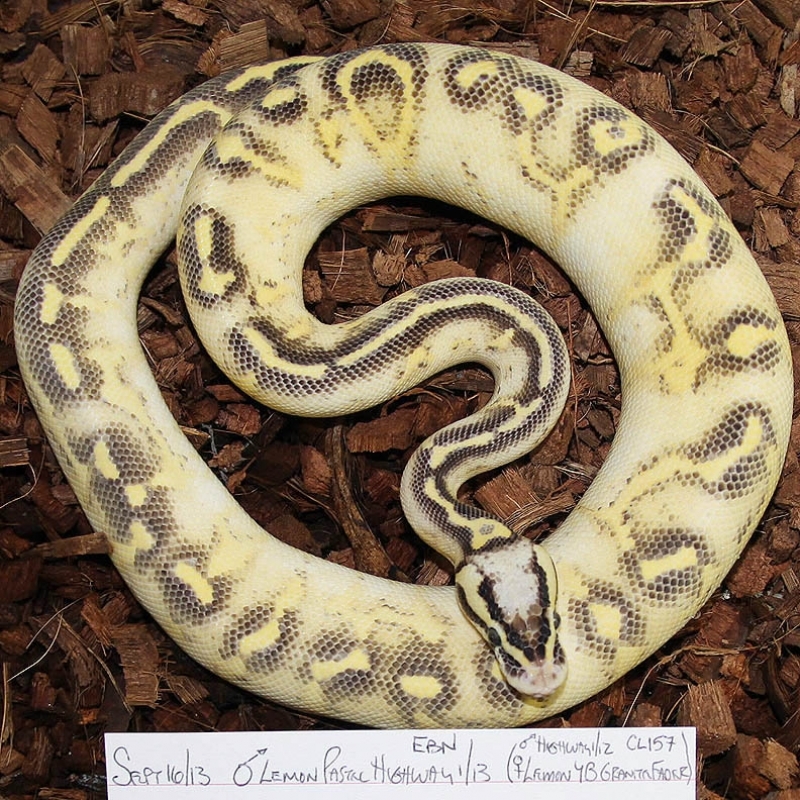 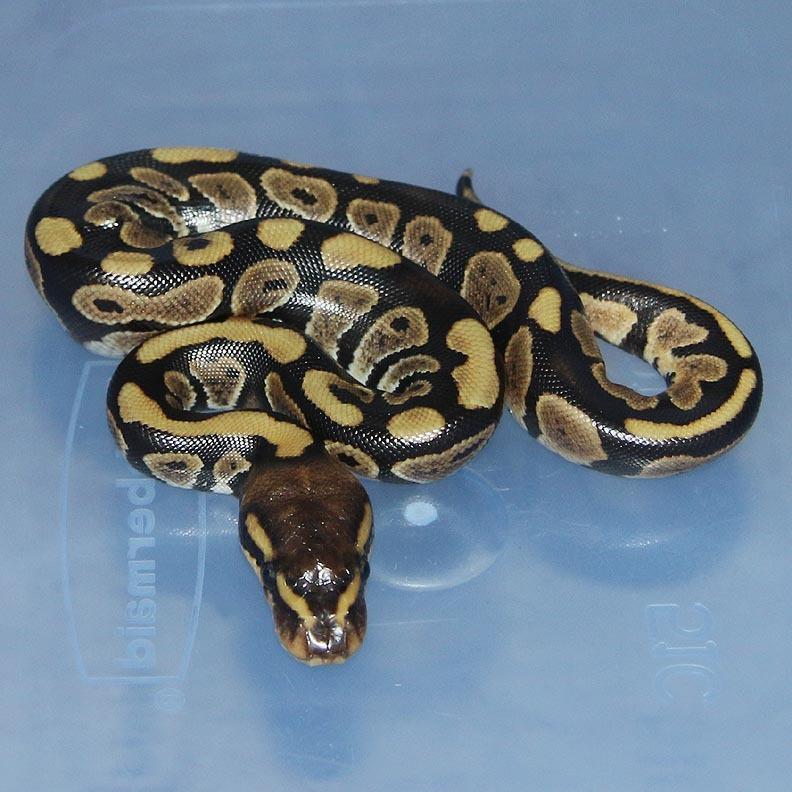 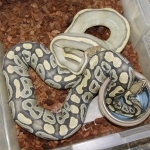 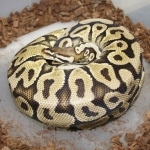 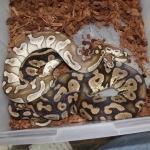 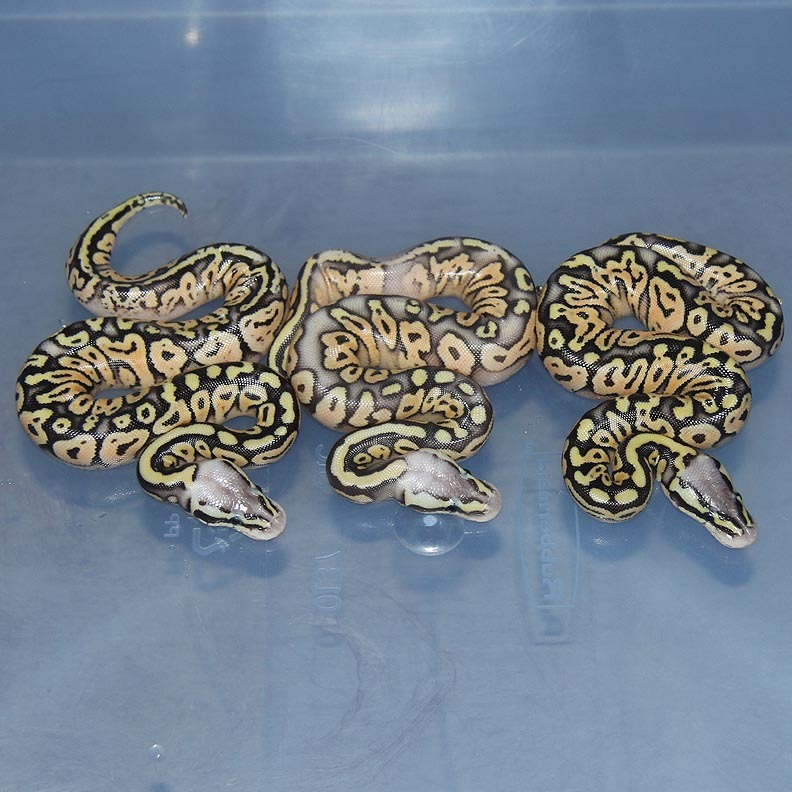 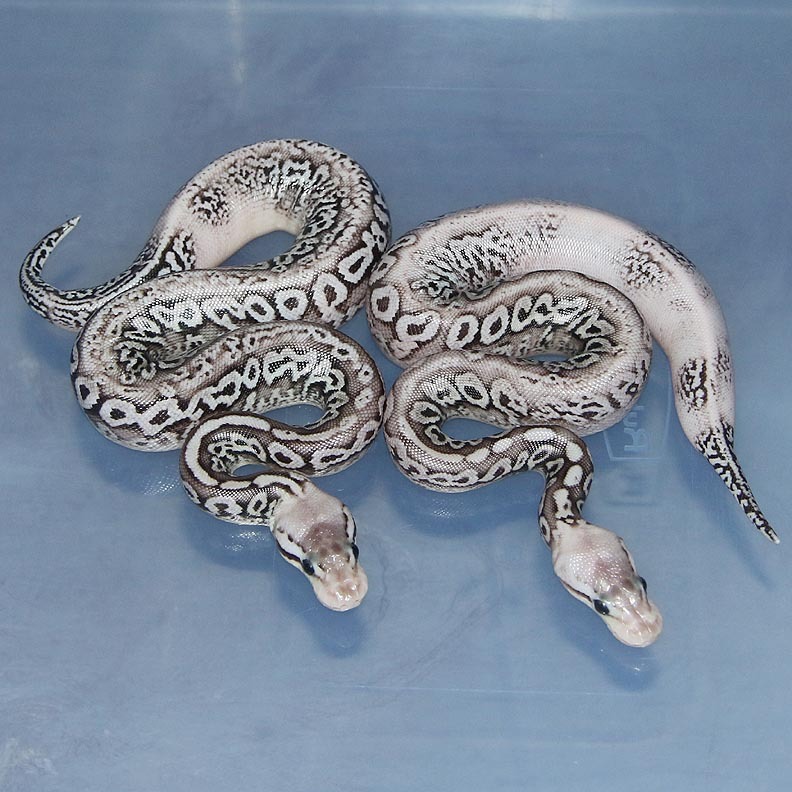 Description: POG HRA YB 1/13 x Pastel Het RA/OG 1/08. 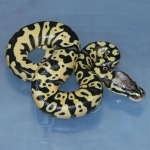 Description: Citrus Puma HRA 1/13 x Genetic Stripe HRA 2/10. 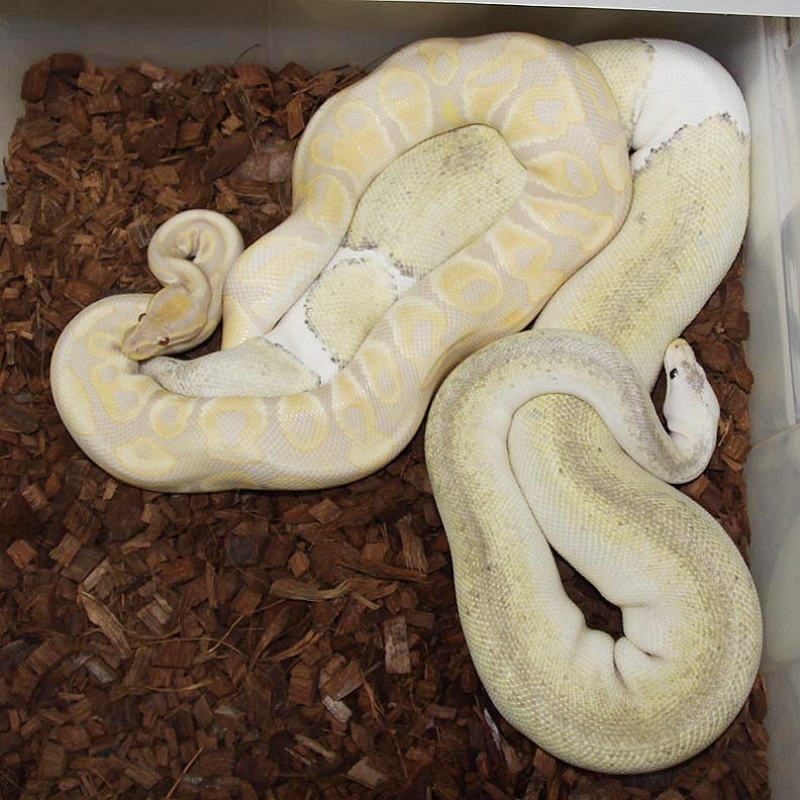 This pair bred twice but no pics were taken. 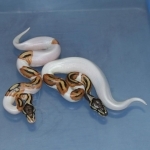 The Pastel Red Axanthic pair I'll be keeping so it doesn't matter if they are Spark or YB. 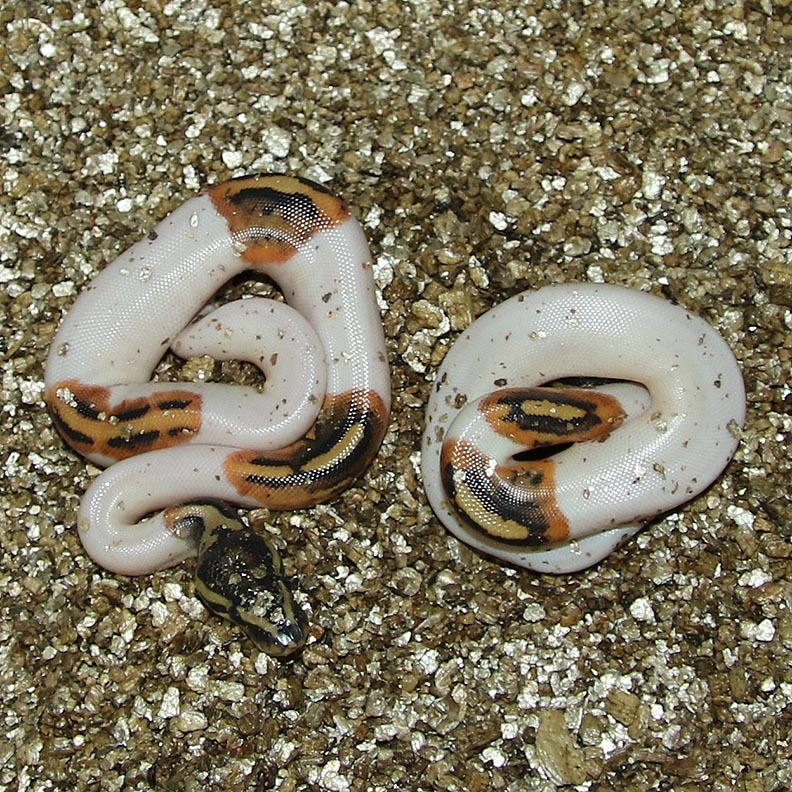 They are Red Axanthics that are guaranteed to be one or the other. 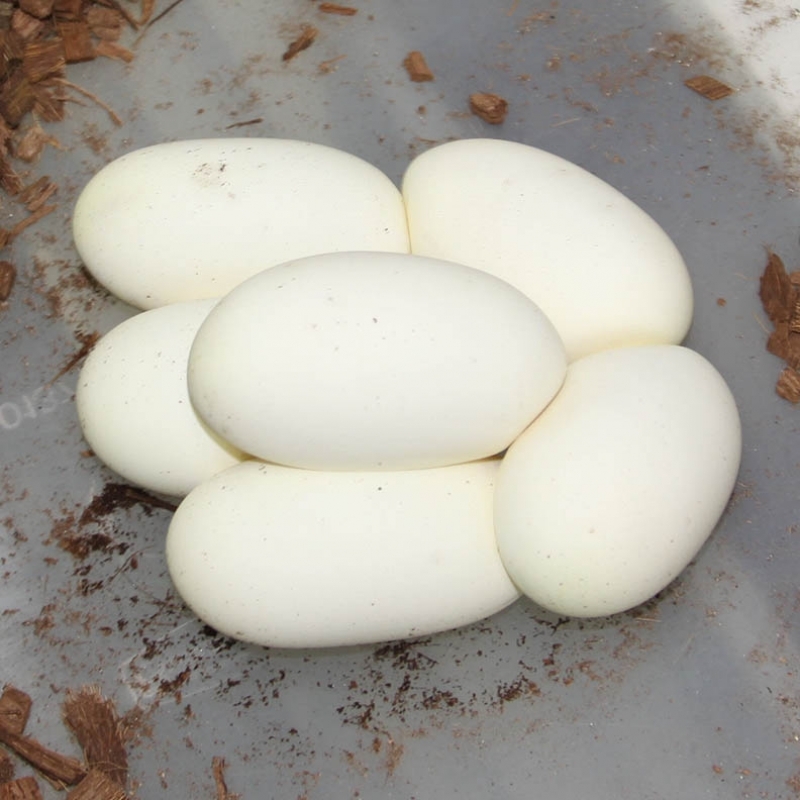 Also, lots of ringers in this clutch! 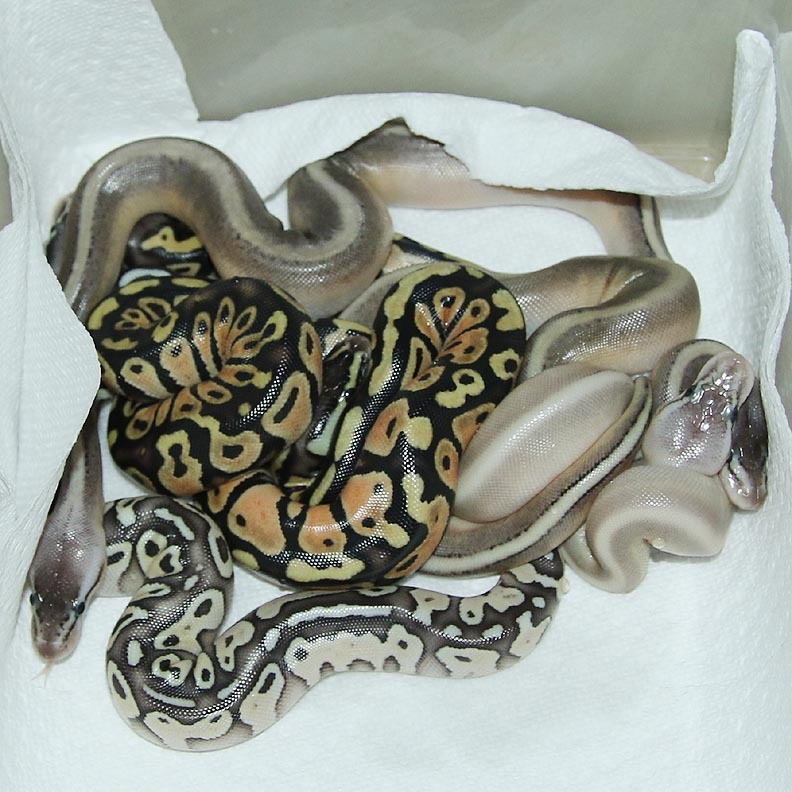 If option 2 is the case why even breed for Sugars (if you cannot tell them from a normal)?????? 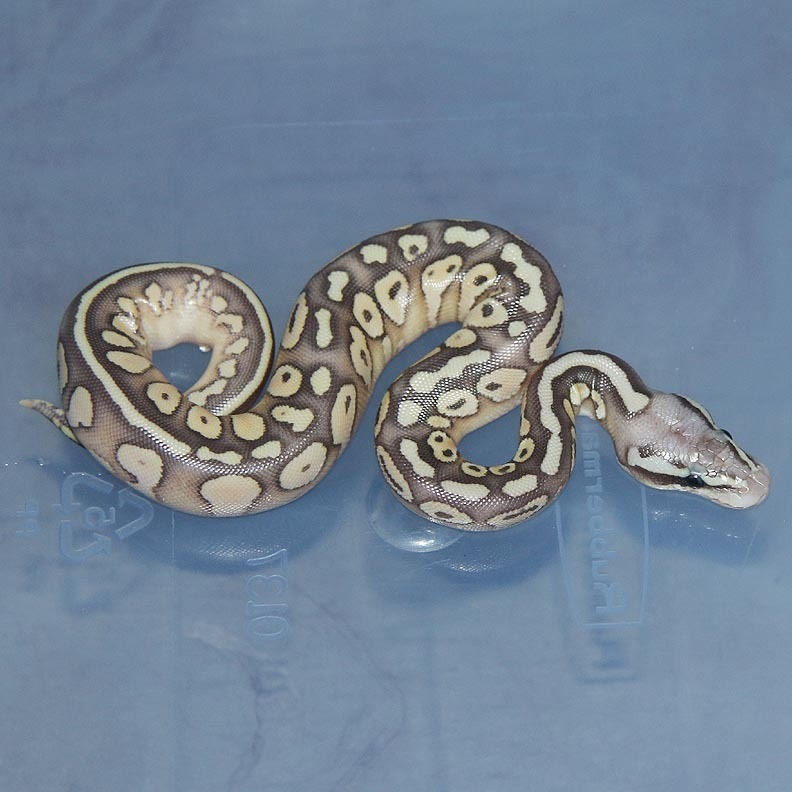 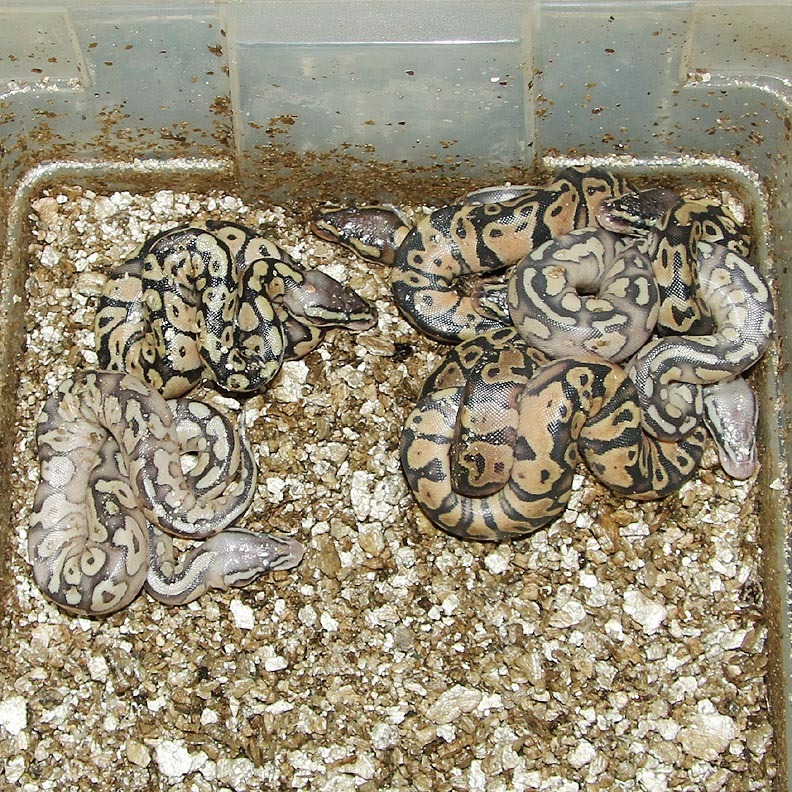 Description: Funky YB 1/11 x Pastel Lesser Genetic Stripe 1/13. 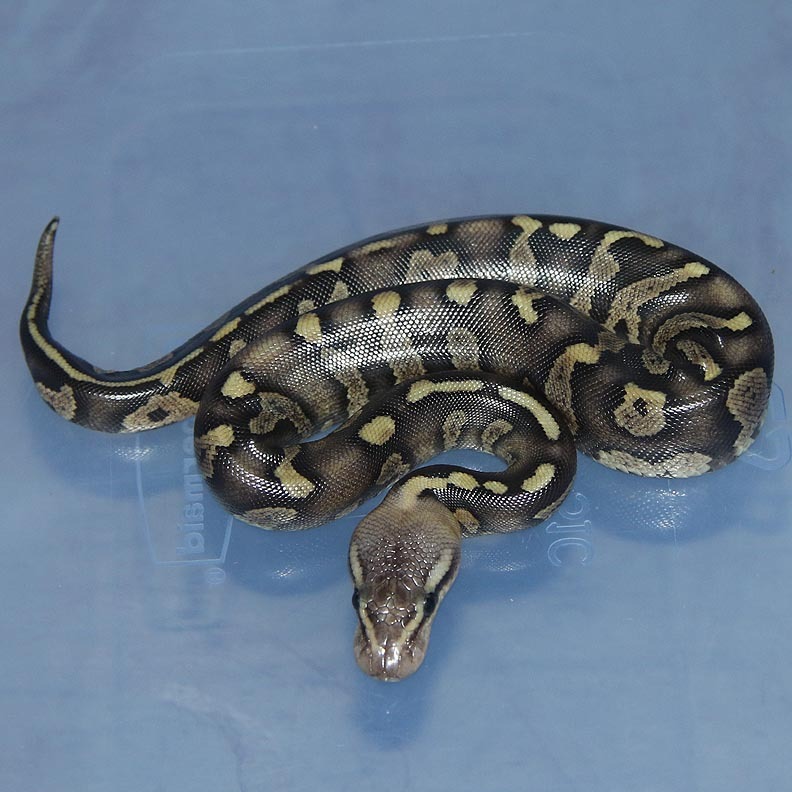 Description: Pastel Lesser DH Green Ghost/Genetic Stripe 1/11 x Pastel Lesser DH Green Ghost/Genetic Stripe 2/10. 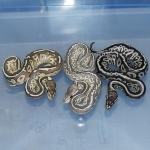 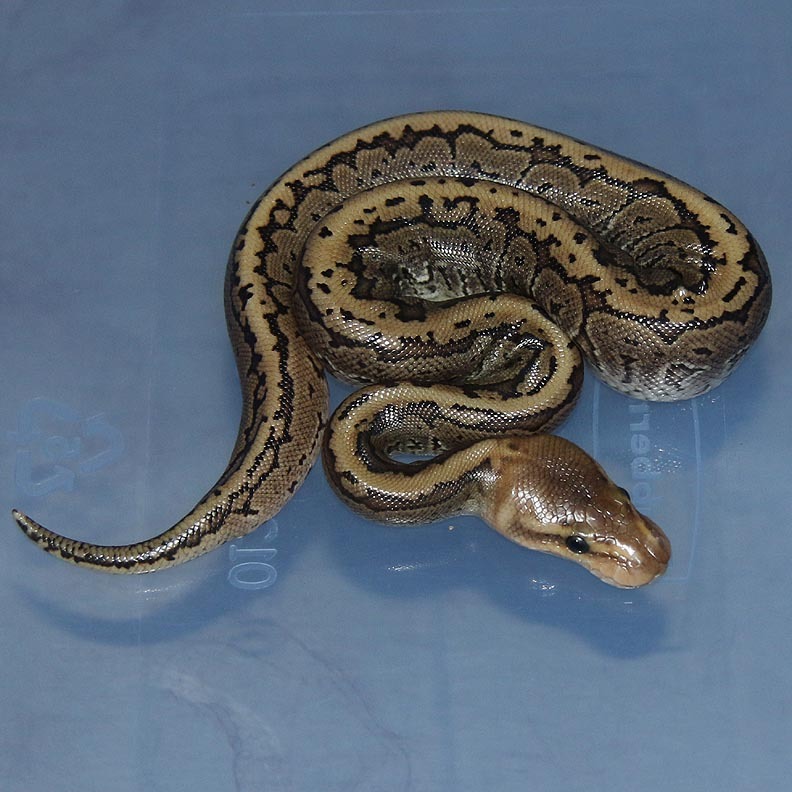 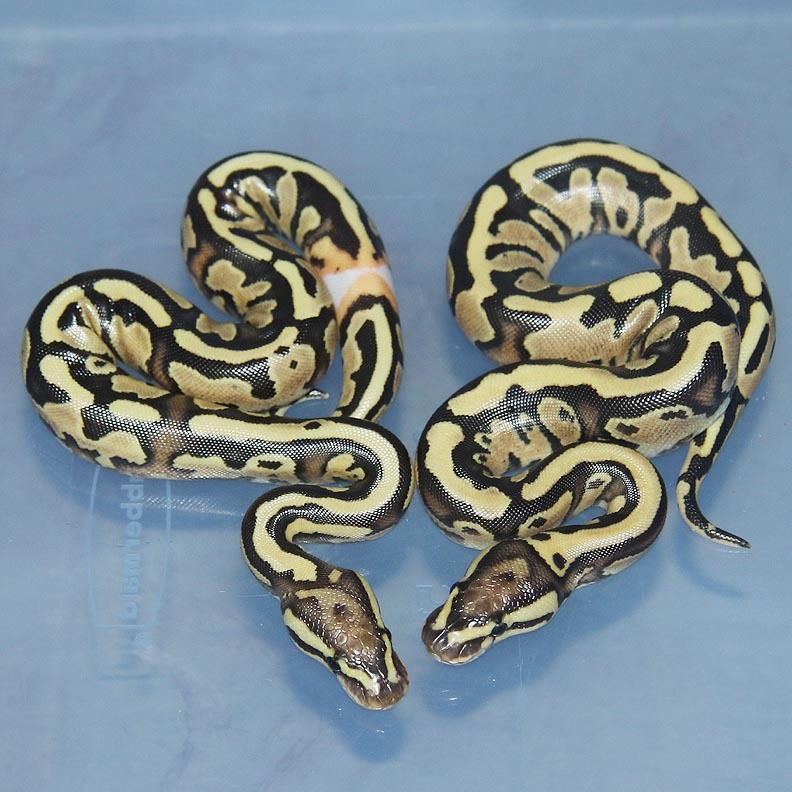 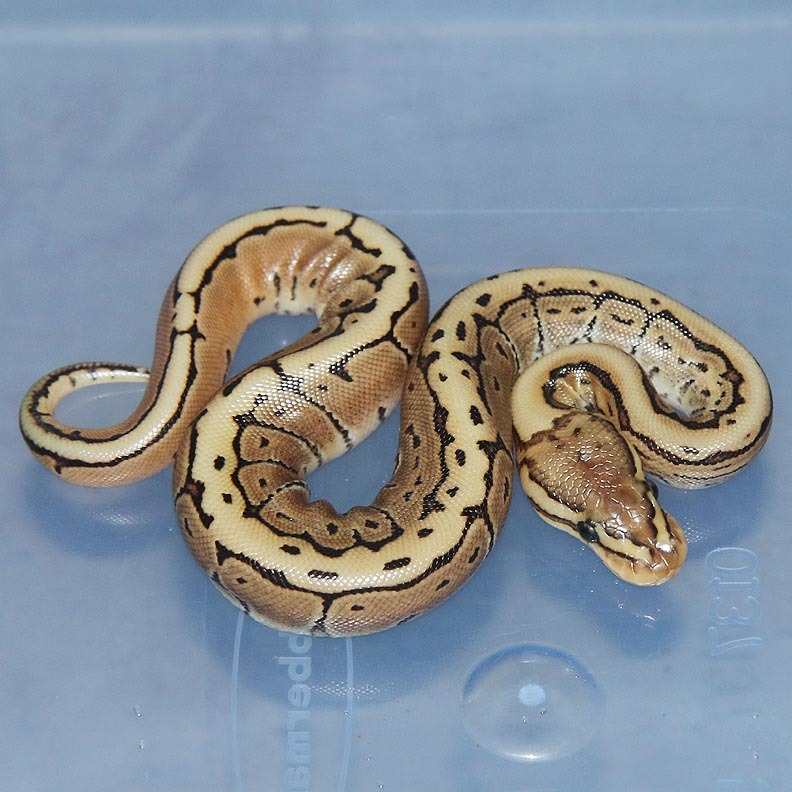 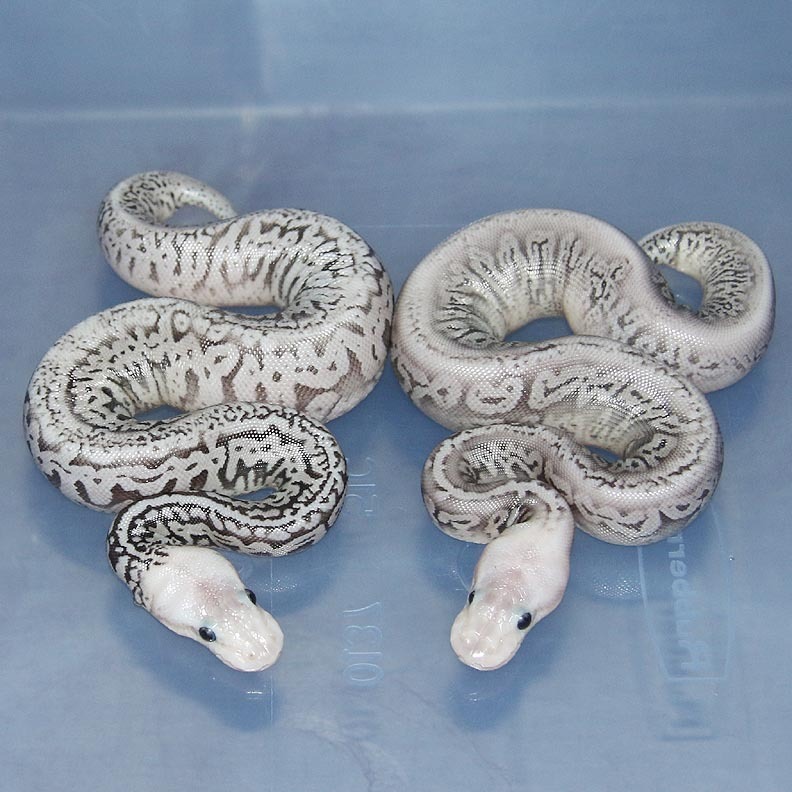 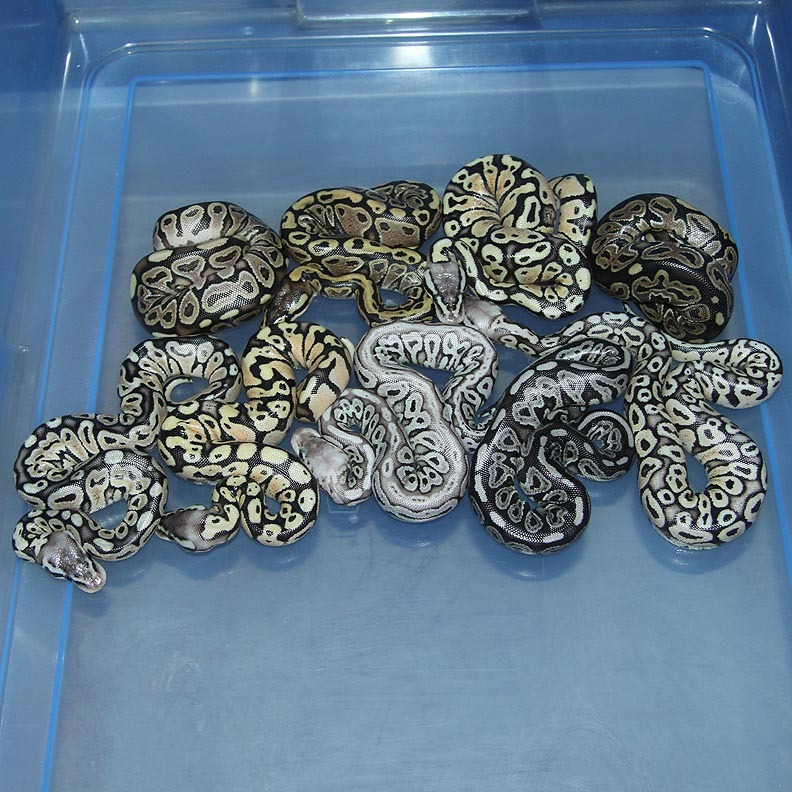 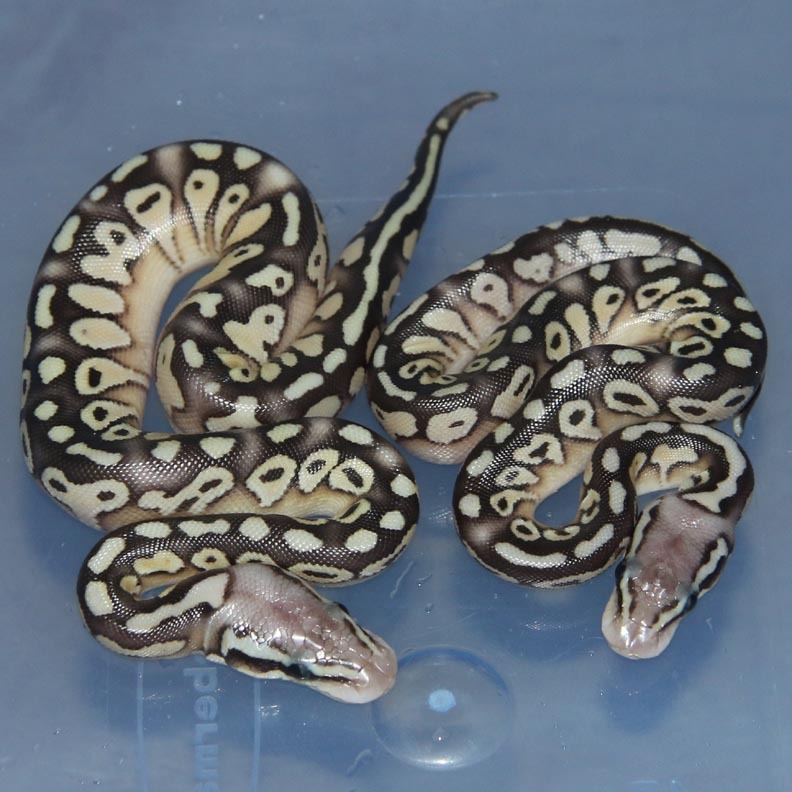 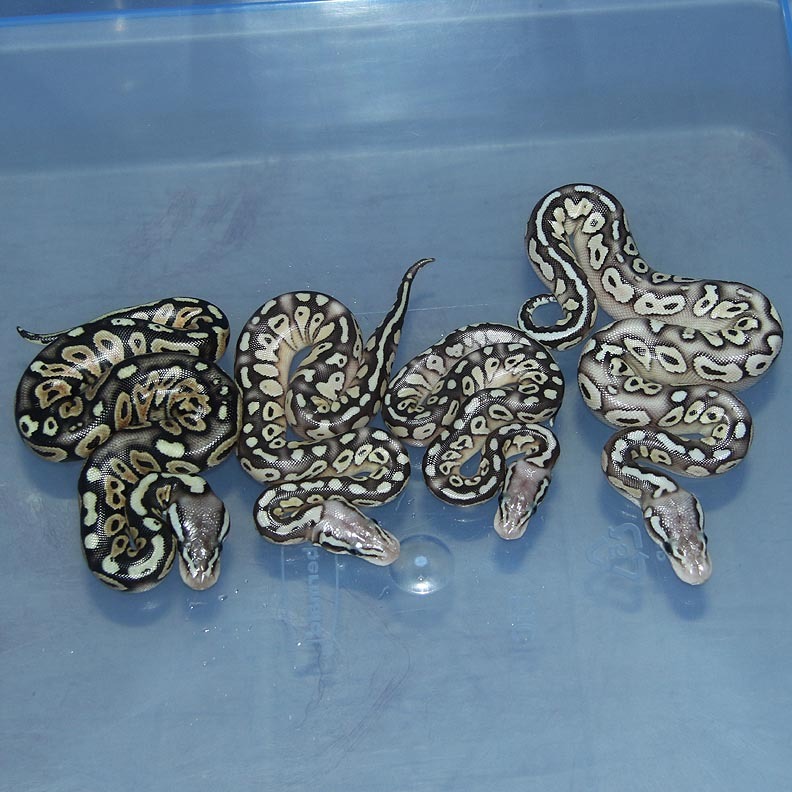 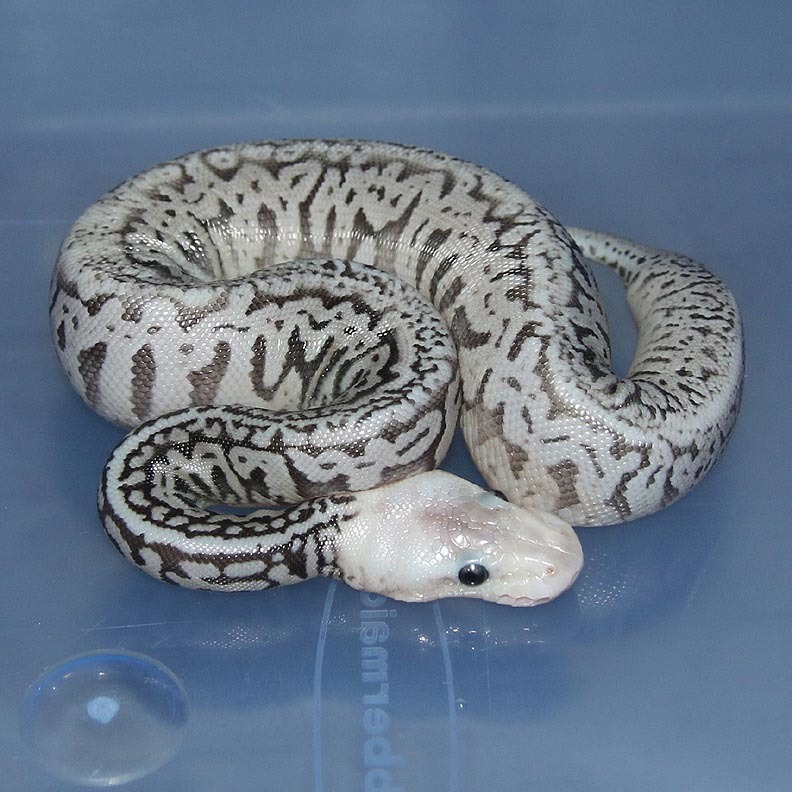 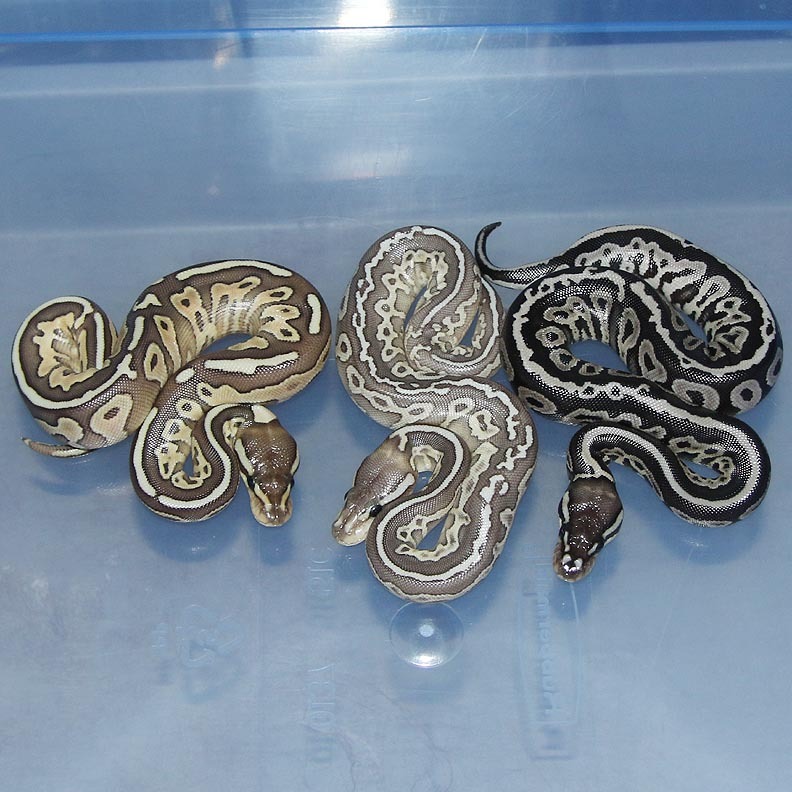 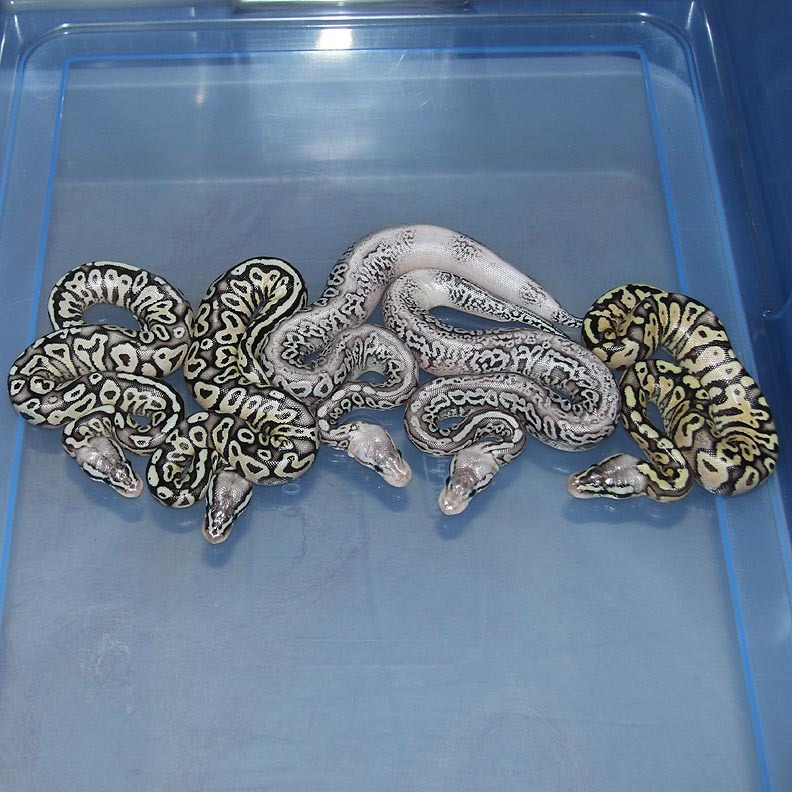 Description: Lesser Genetic Stripe HRA 1/12 x Super Pastel Het Genetic Stripe 4/10. 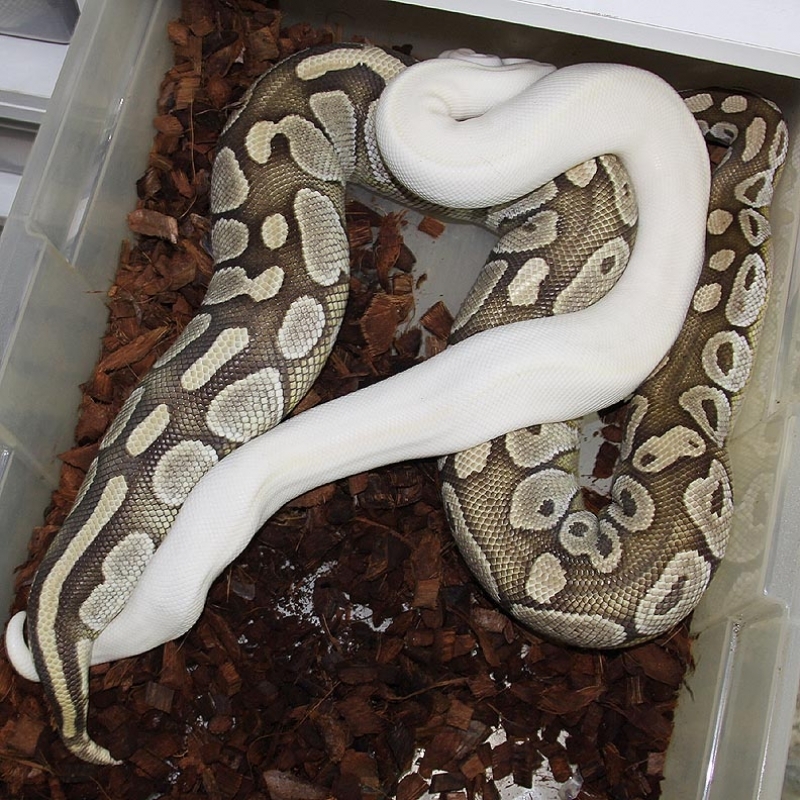 Description: Lesser Ivory 1/12 x Mutation X PHGS 1/11. 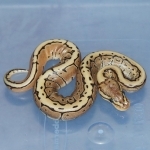 Description: Banana Mahogany 1/13 x Genetic Stripe 3/06. 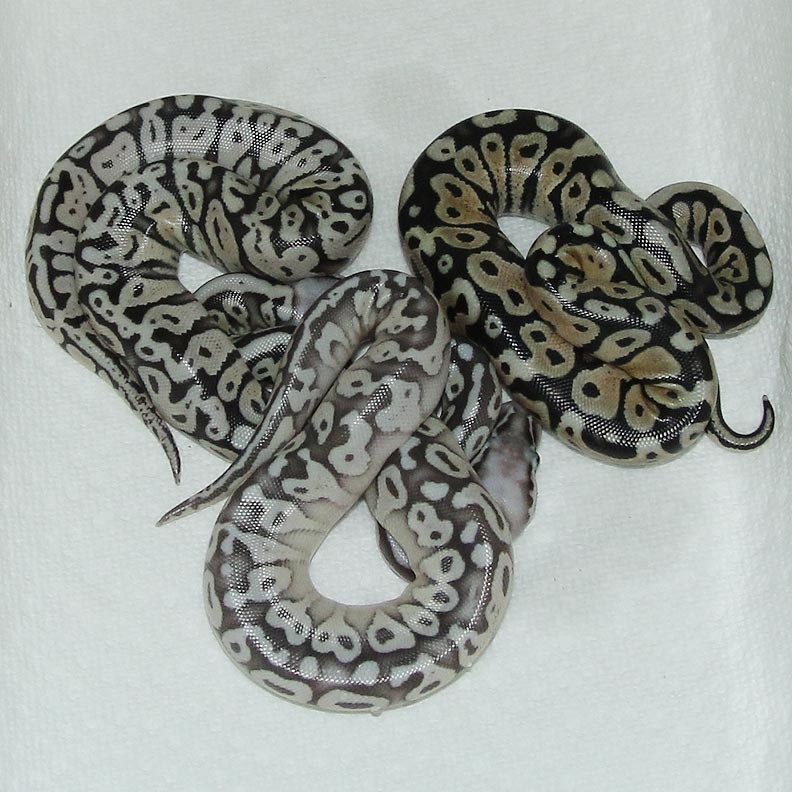 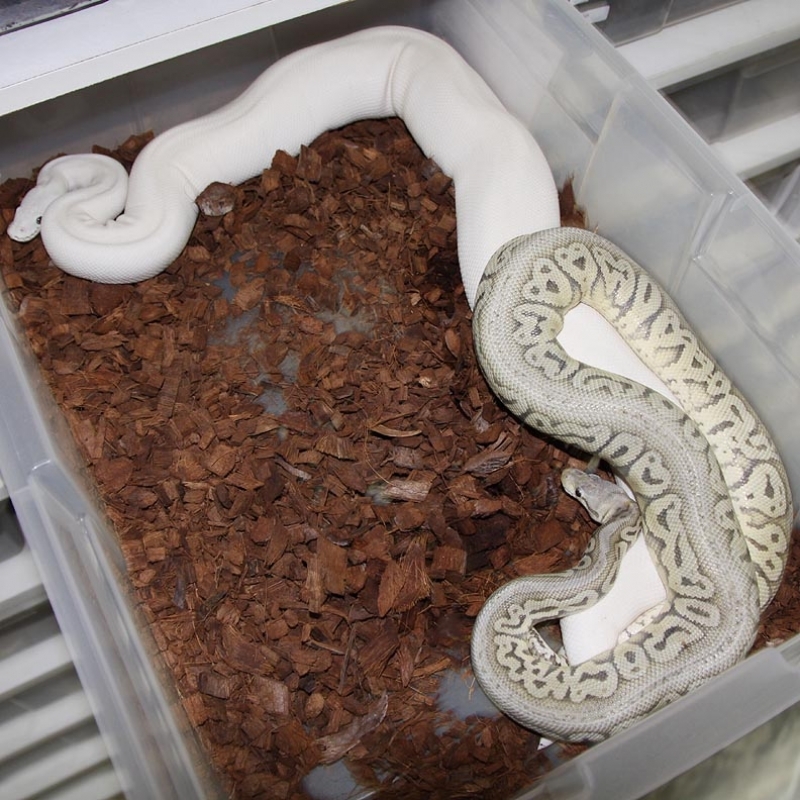 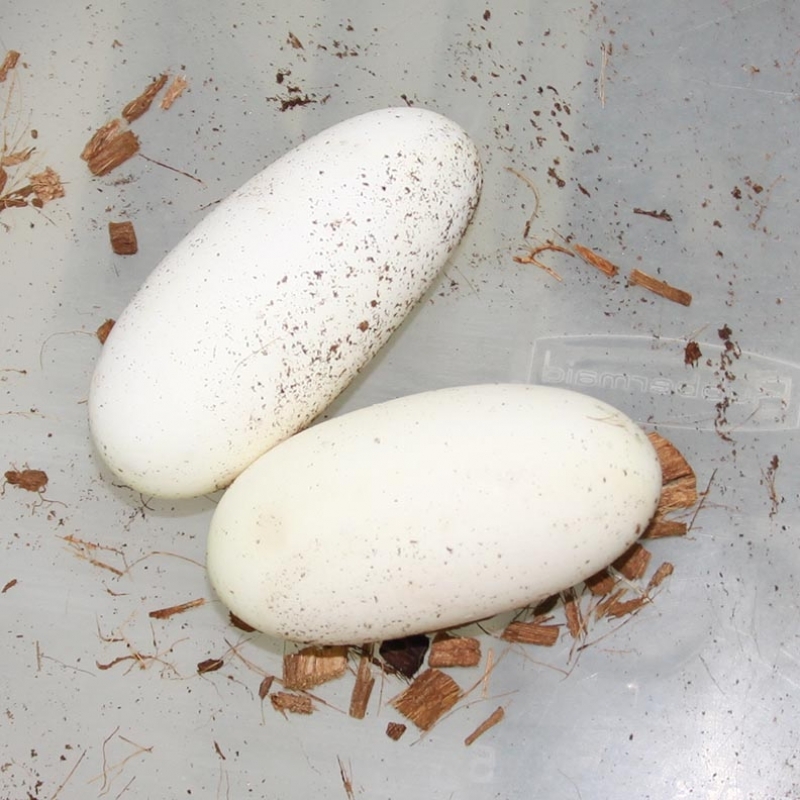 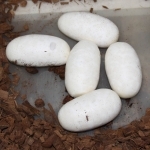 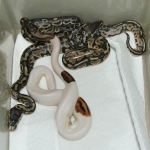 Description: Super Pastel Green Ghost Lesser HRA 1/13 x Chocolate PHGG 1/11. 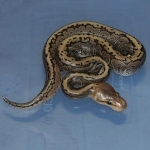 Description: Red Axanthic Het Pied 1/12 x Het RA Het Pied 5/10.